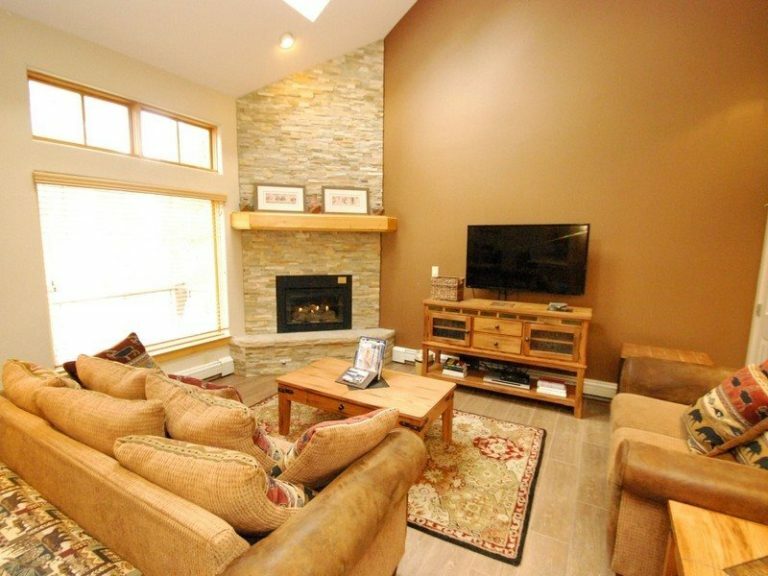 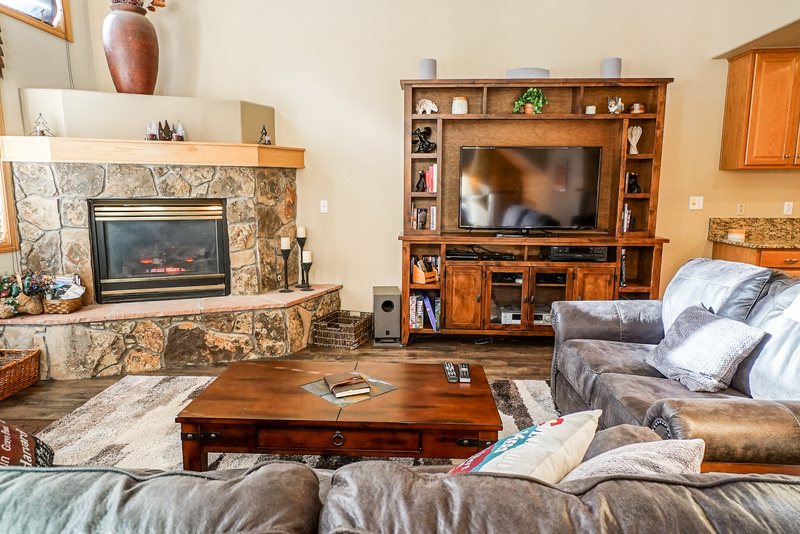 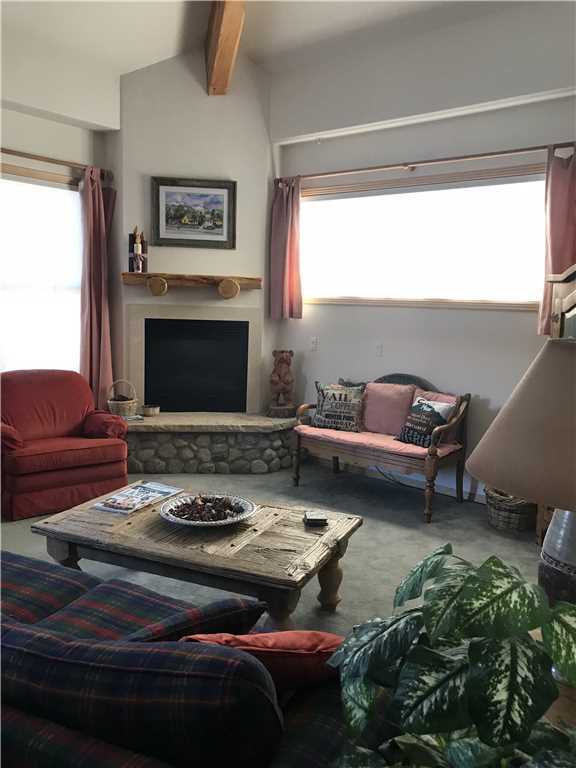 This charming home features a private hot tub, mountain views, gas fireplace, private washer/dryer, WiFi, gas BBQ grill, easy access to Main Street and shuttle stop right outside for a quick ride to the slopes. 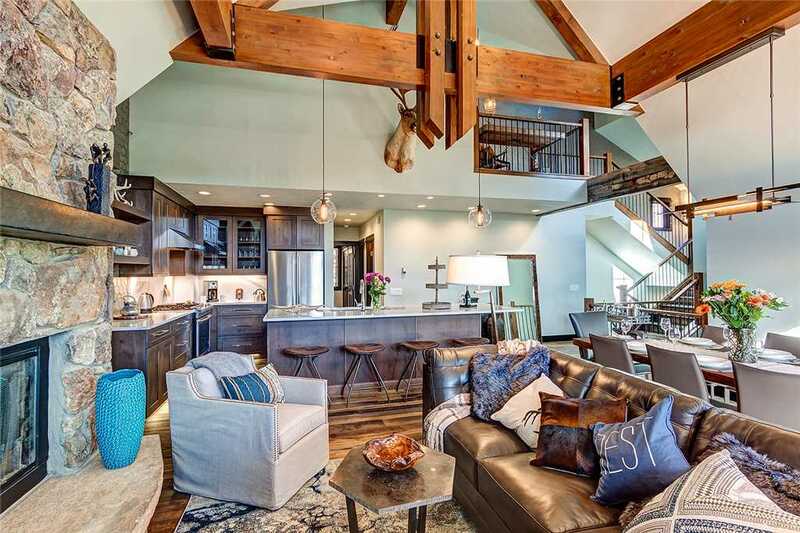 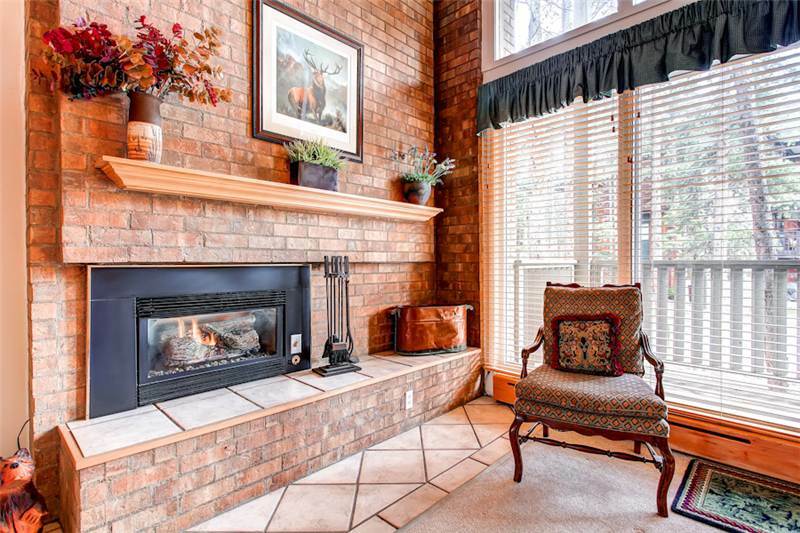 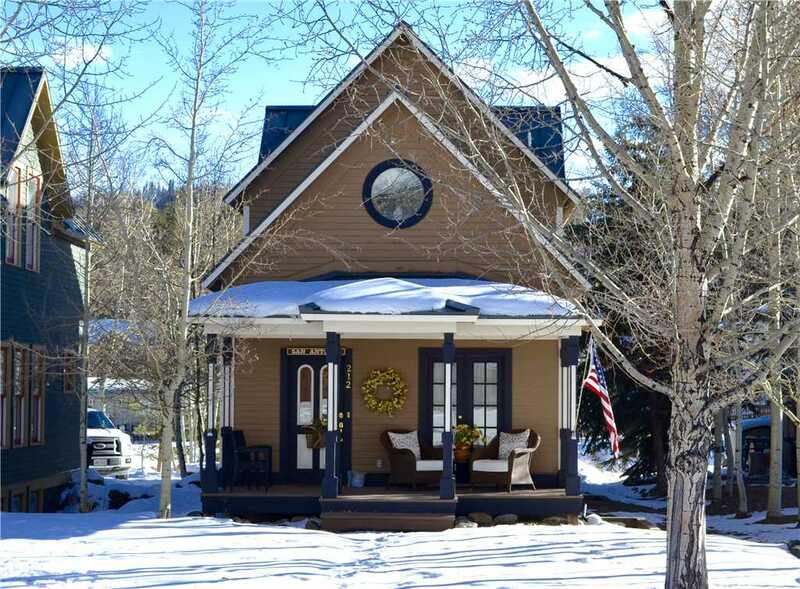 This charming home on French St. sits in the heart of Breckenridge’s historic district. 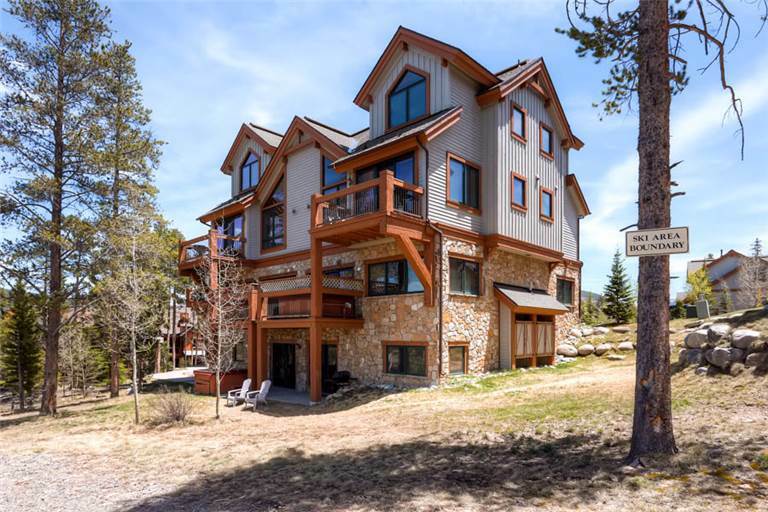 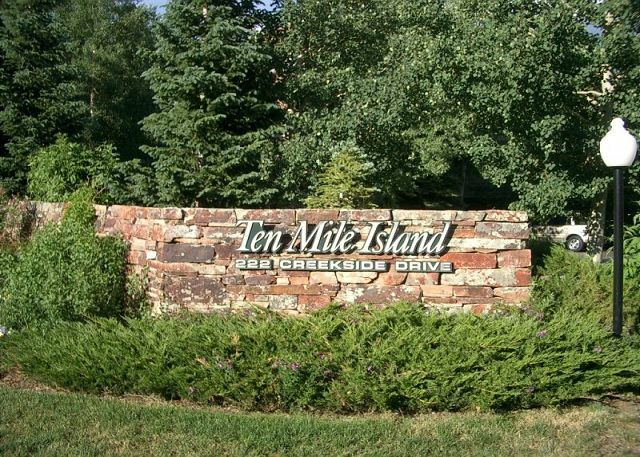 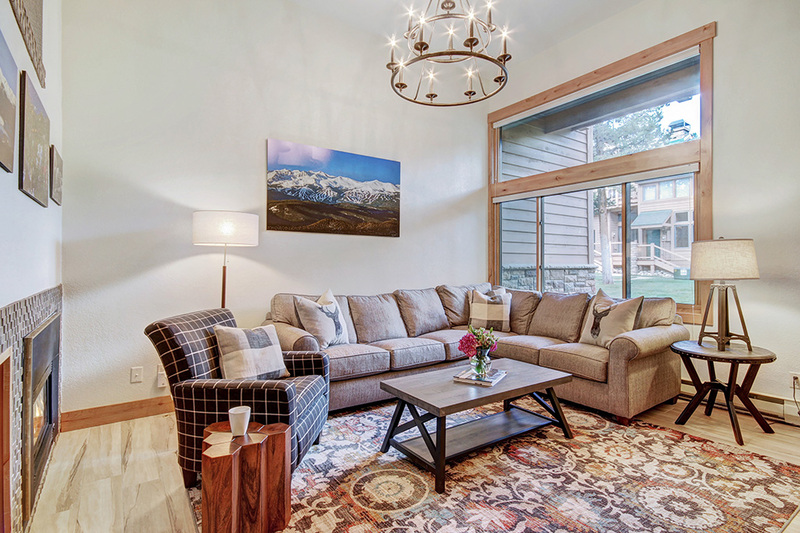 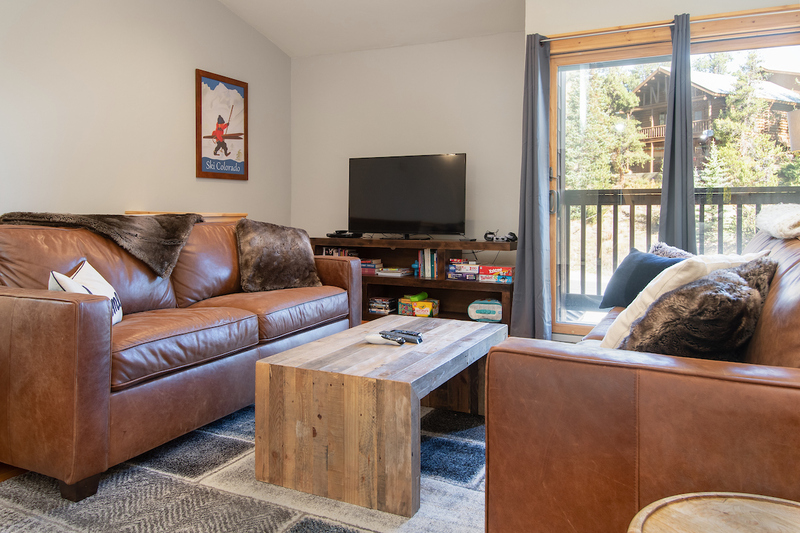 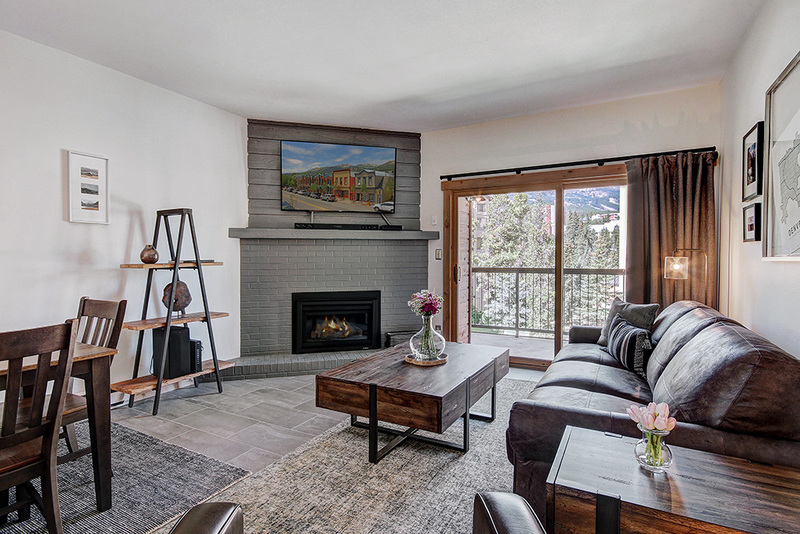 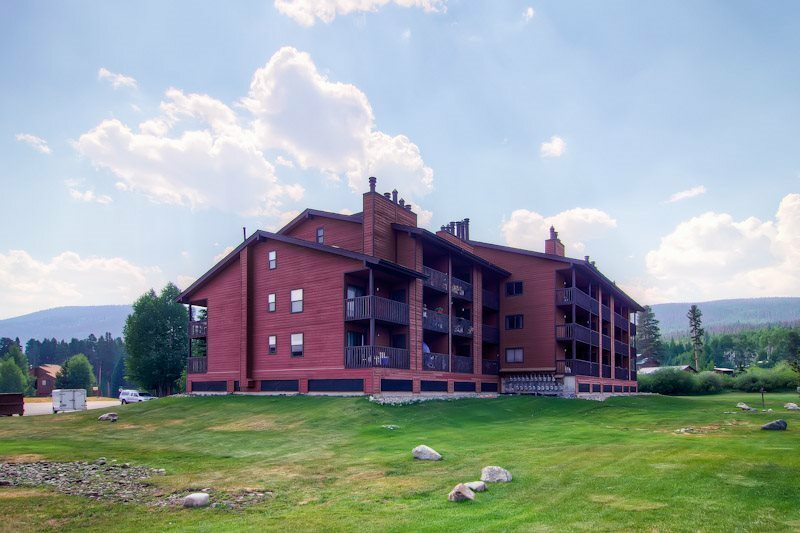 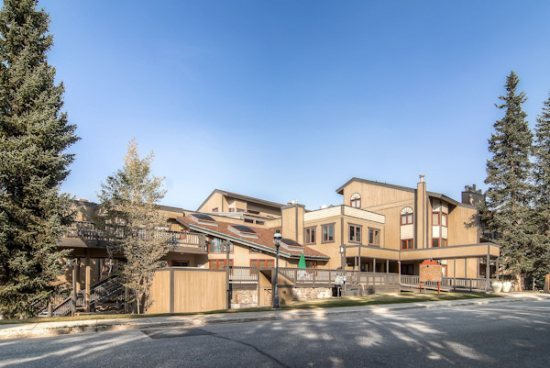 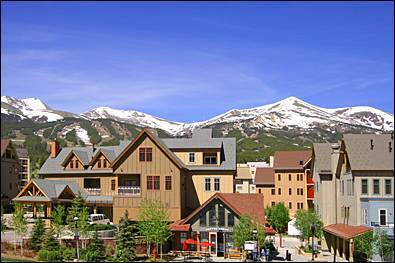 Located just two blocks from Main Street, you can feel like you are a part of the community by staying close to all that Breckenridge has to offer – including shops, galleries, restaurants and pubs. 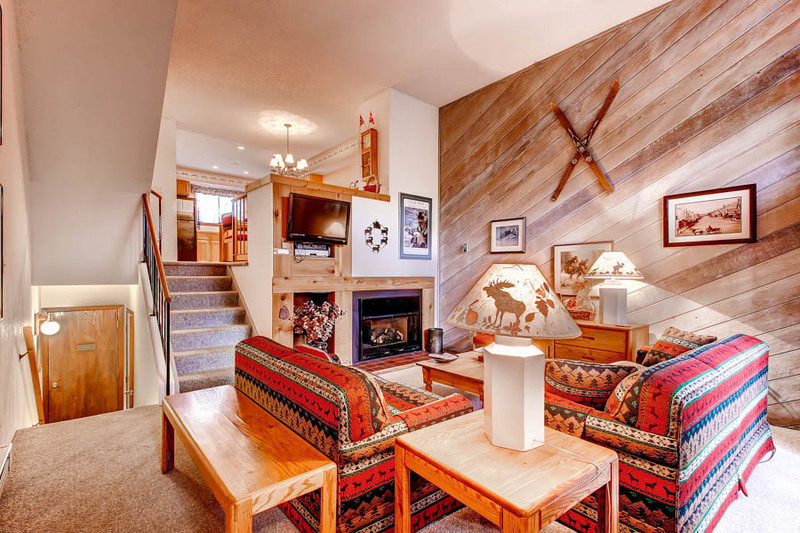 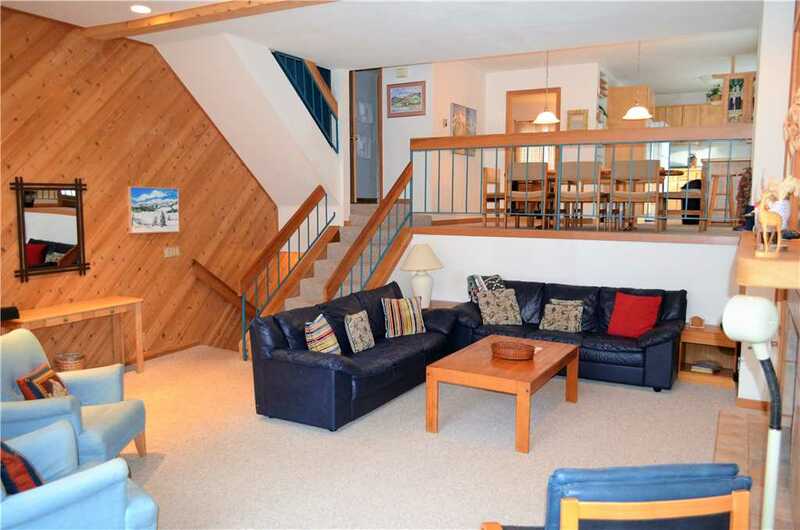 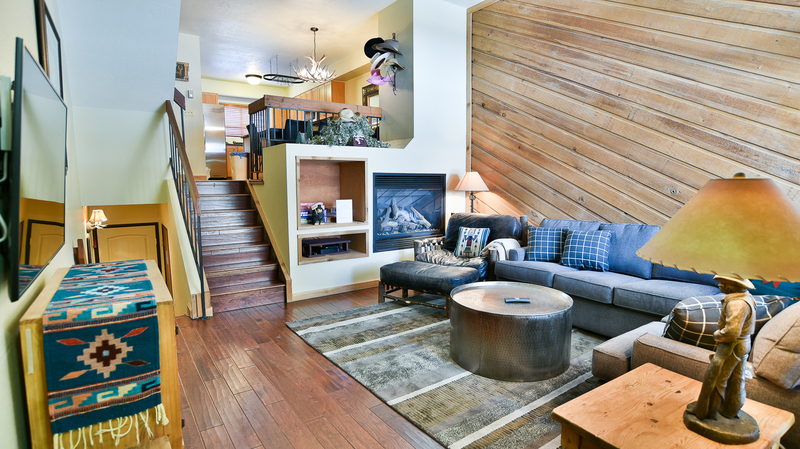 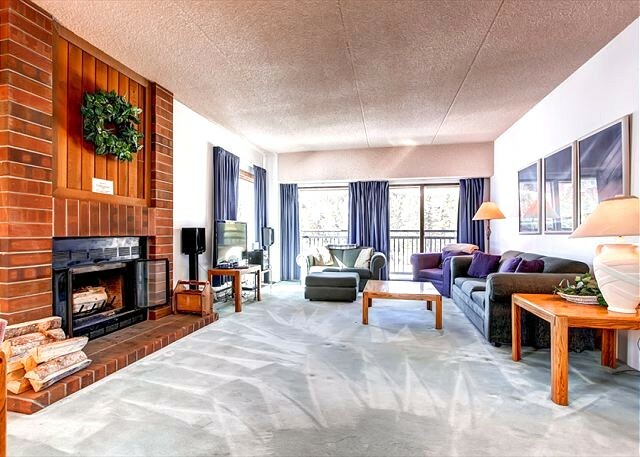 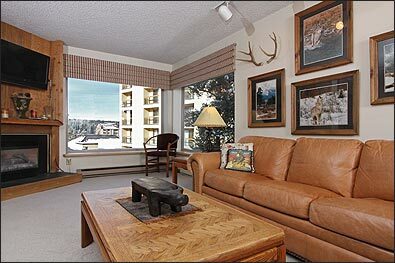 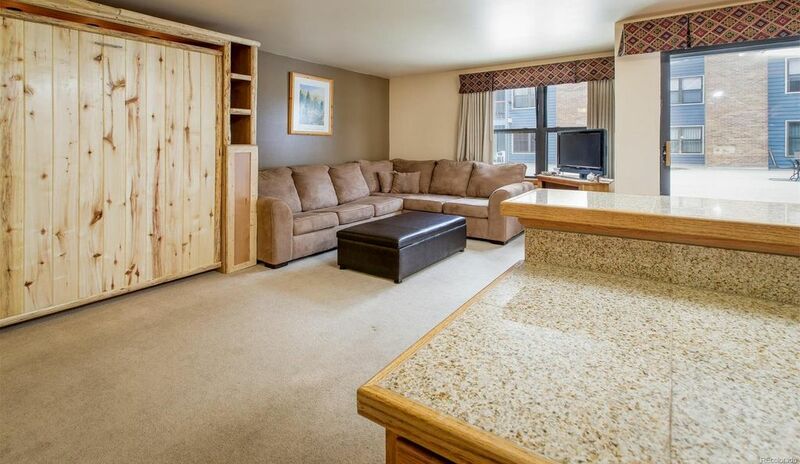 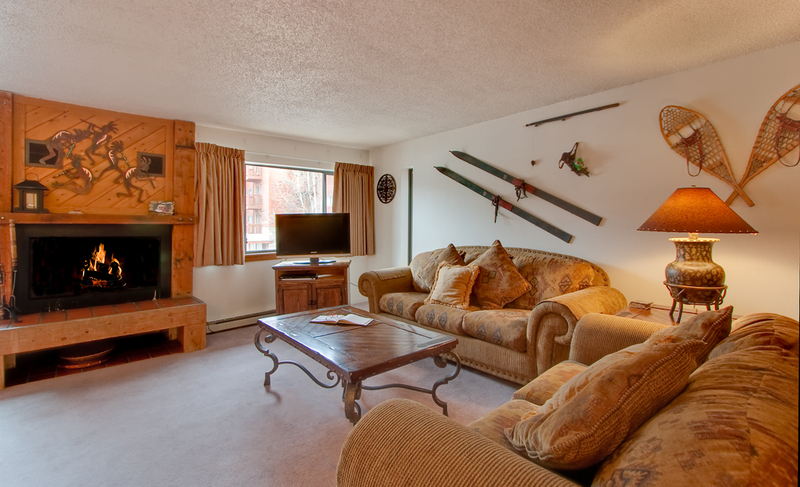 You will love being steps away from the shuttle to get to the slopes in a snap. 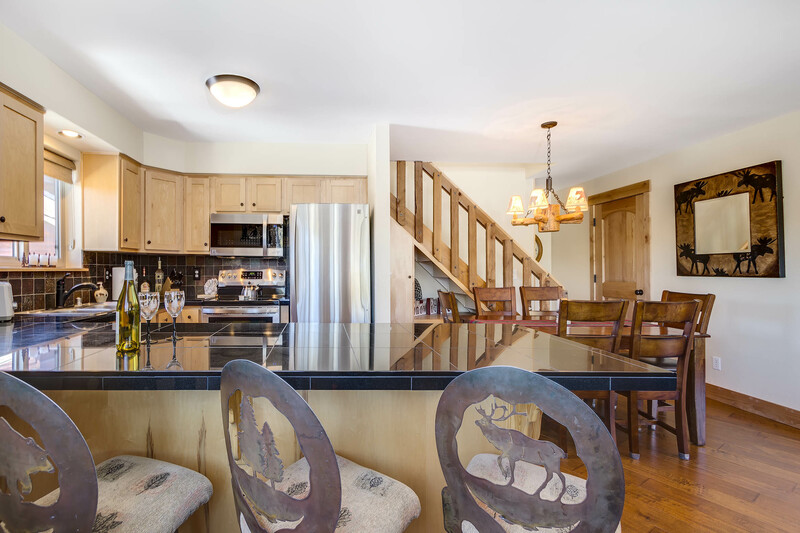 With its modern kitchen and open living room and dining area you can enjoy this home as a romantic retreat or a getaway with friends. 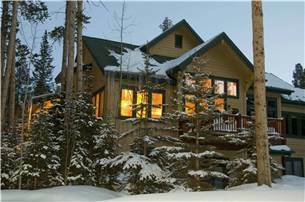 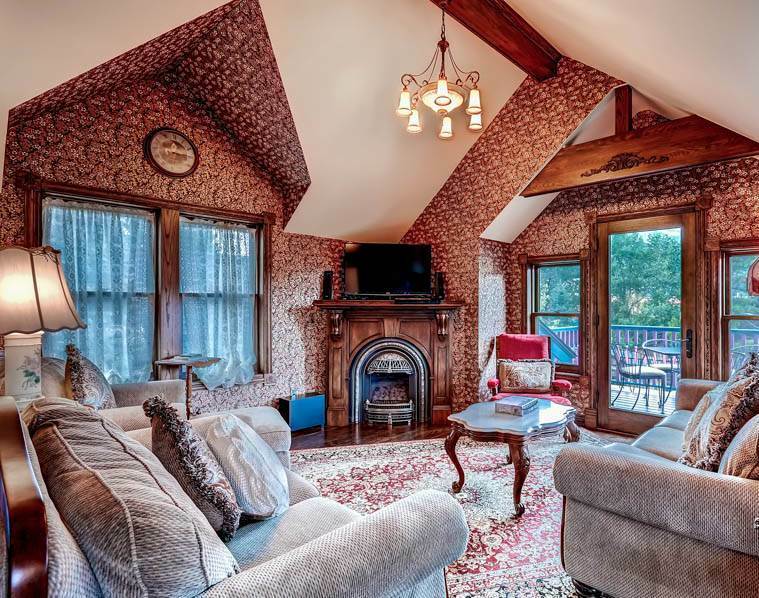 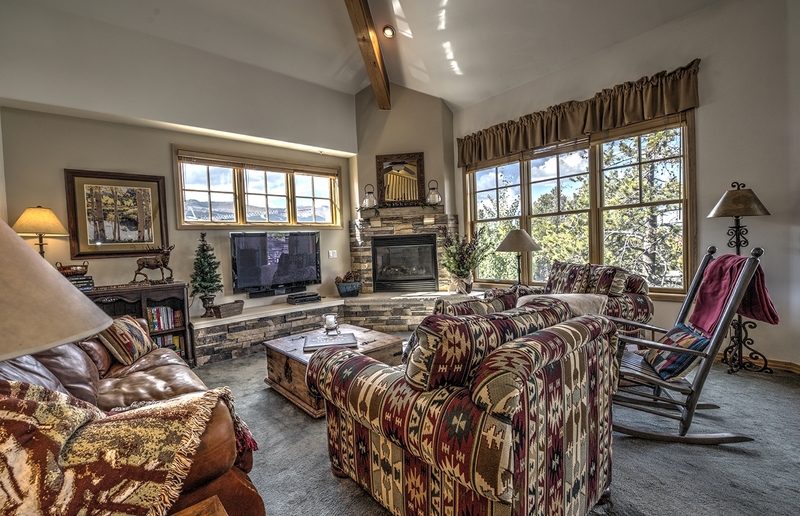 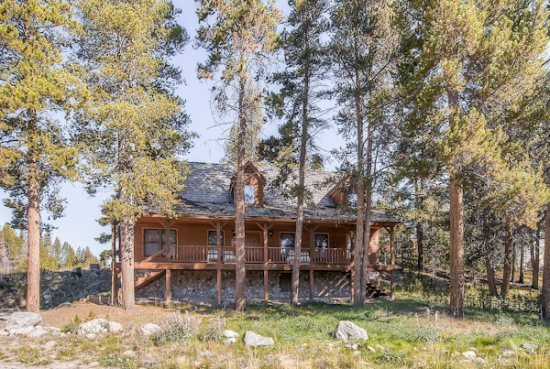 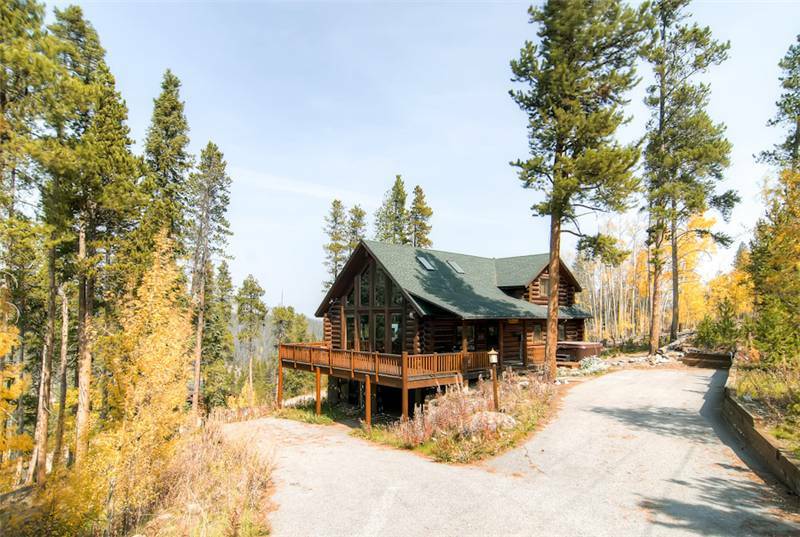 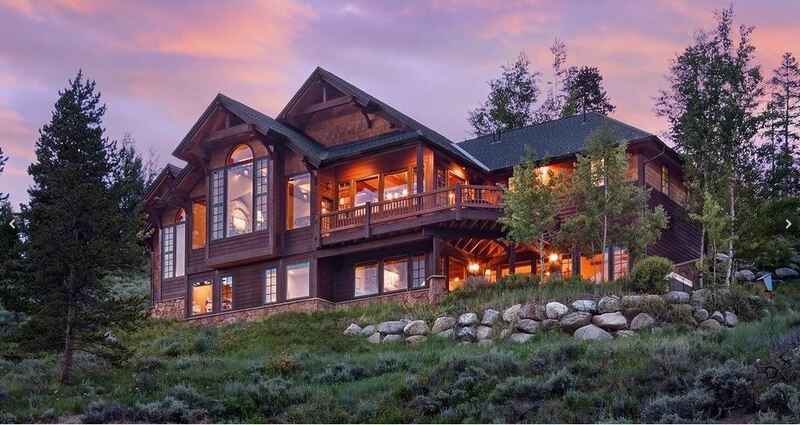 True to the Victorian Style, this house has a great front porch to sit on to enjoy the gorgeous views of Peak 9 and 10. 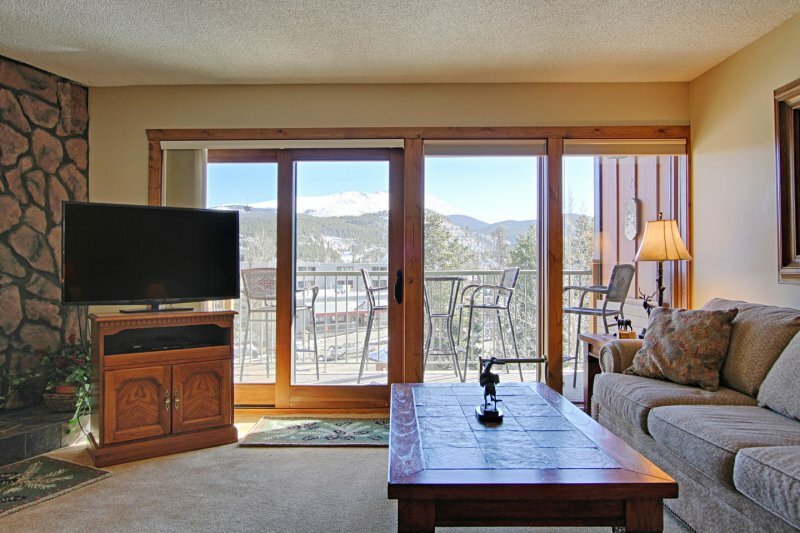 Enjoy a cup of coffee and watch the mountain come alive! 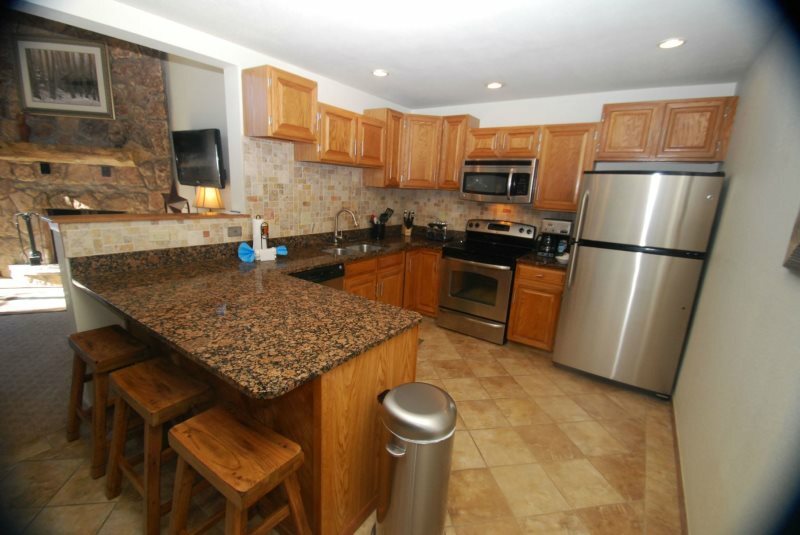 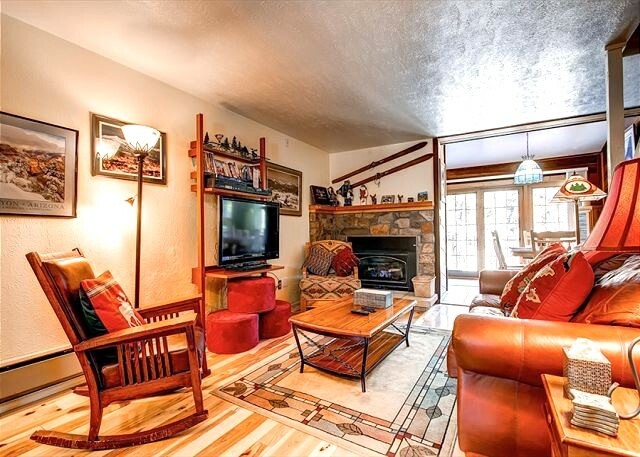 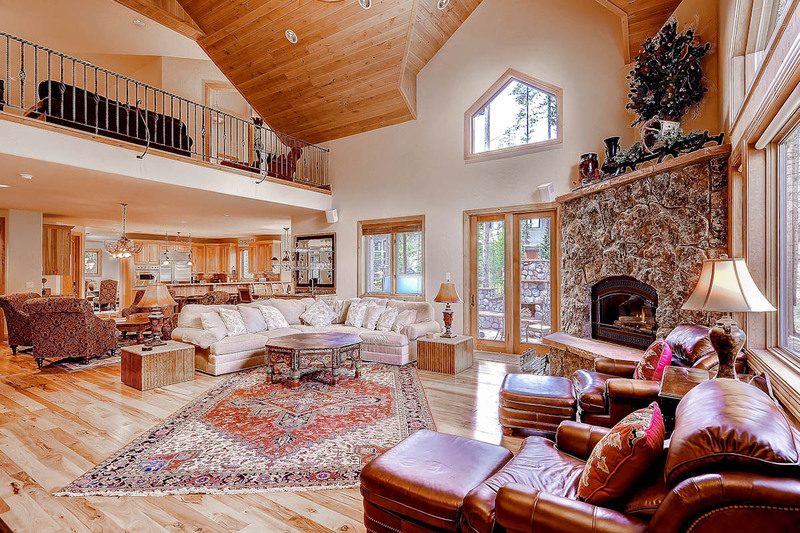 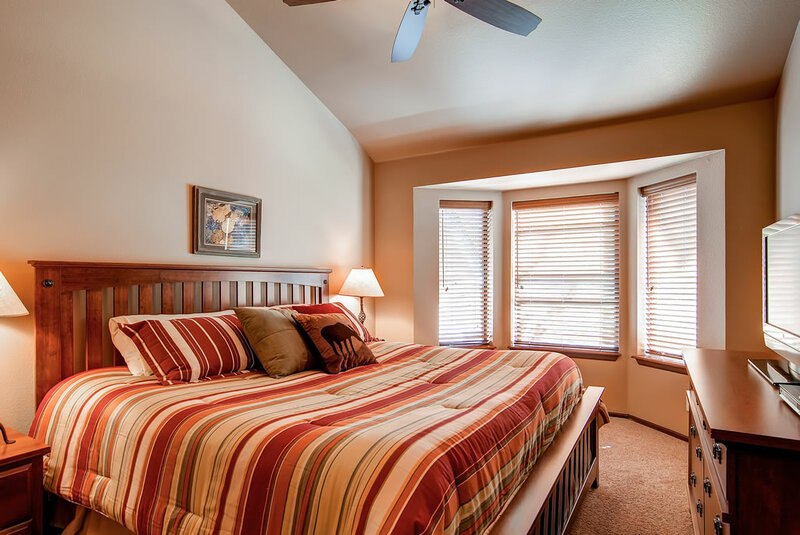 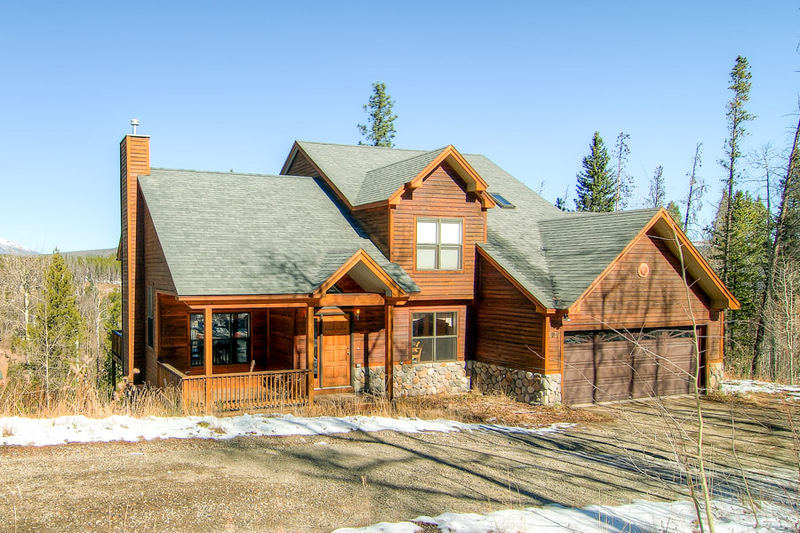 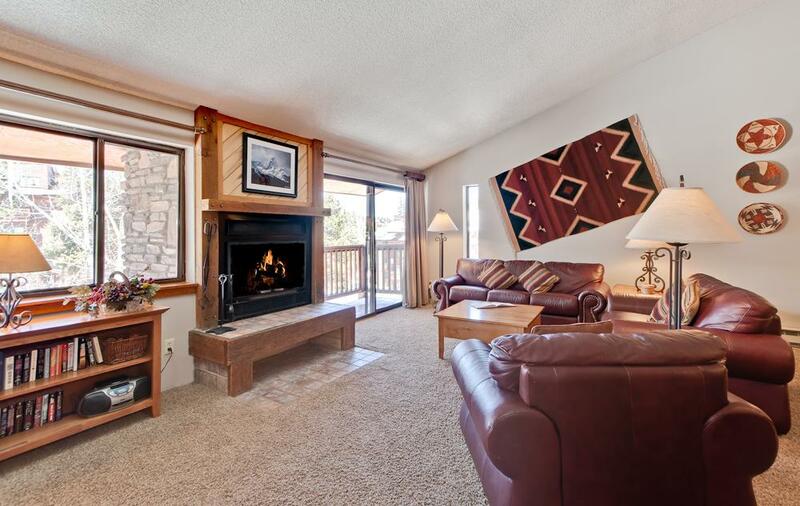 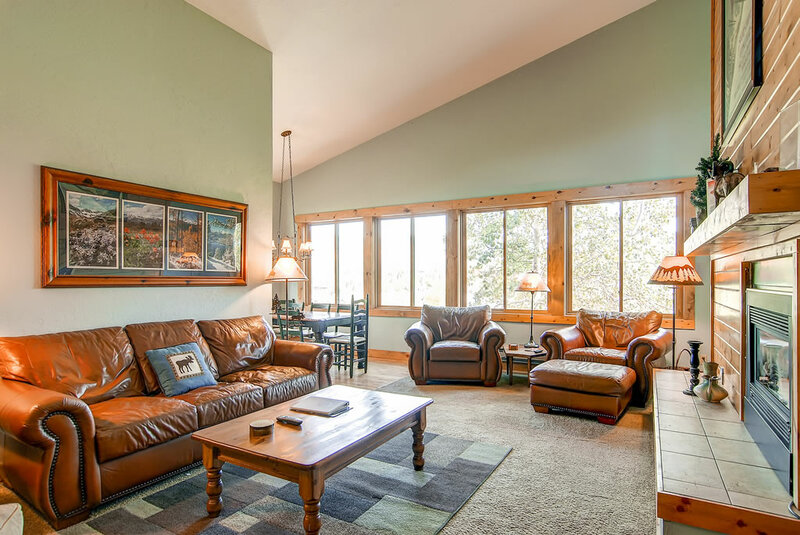 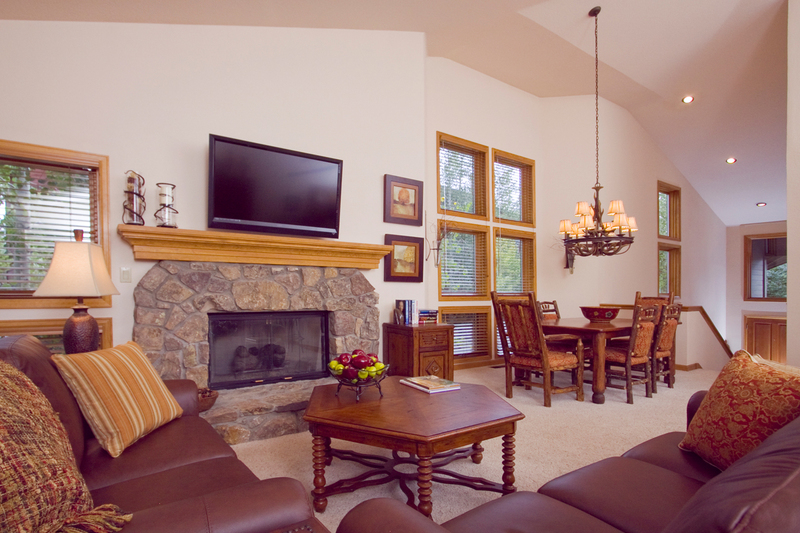 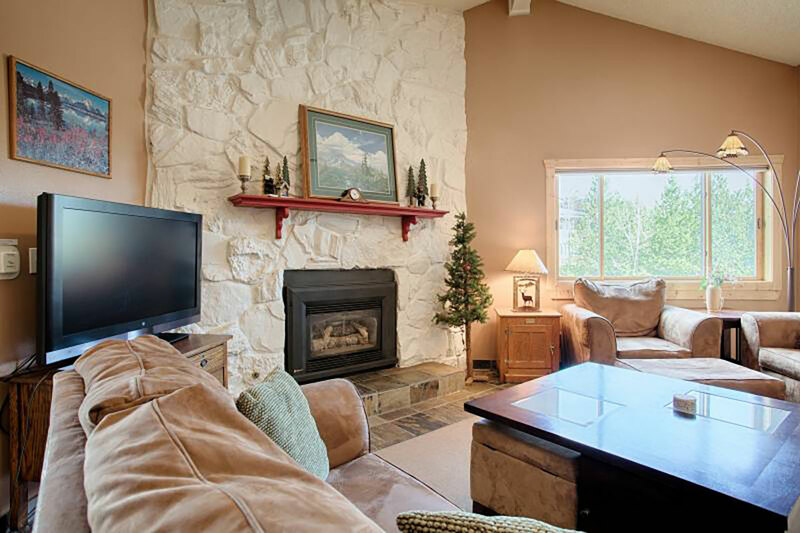 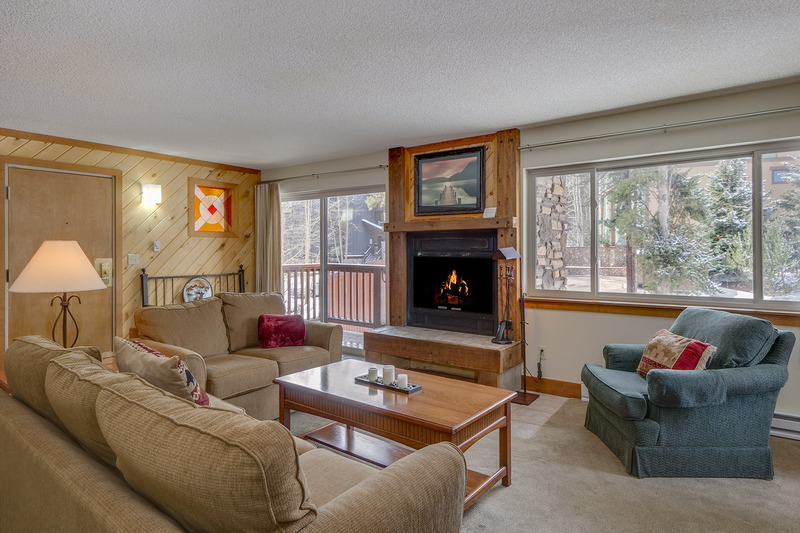 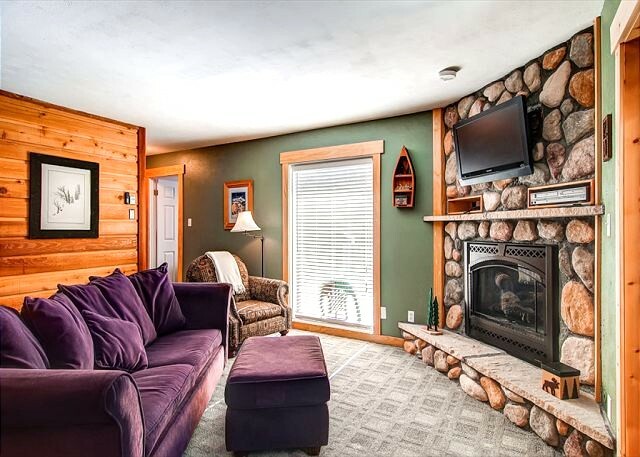 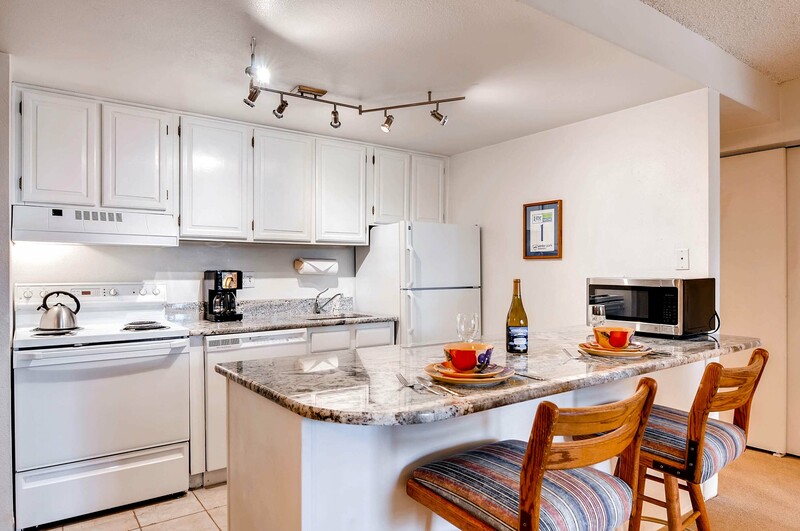 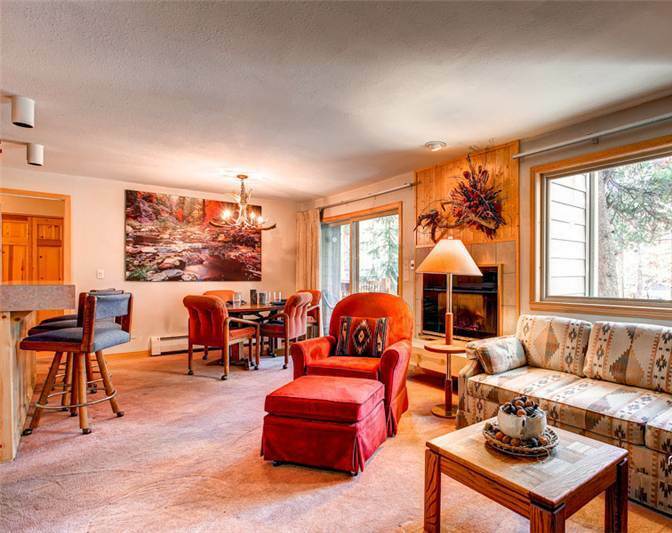 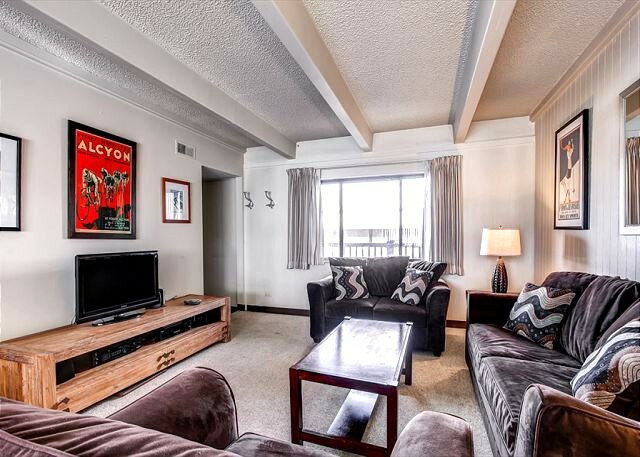 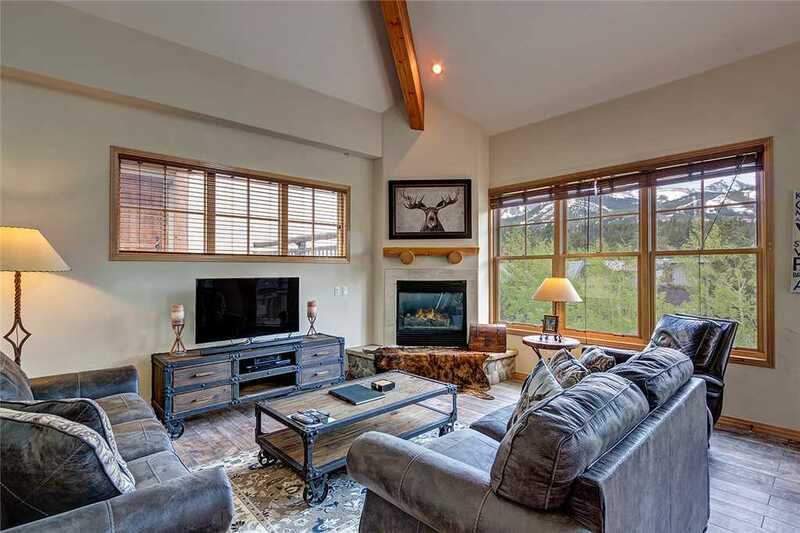 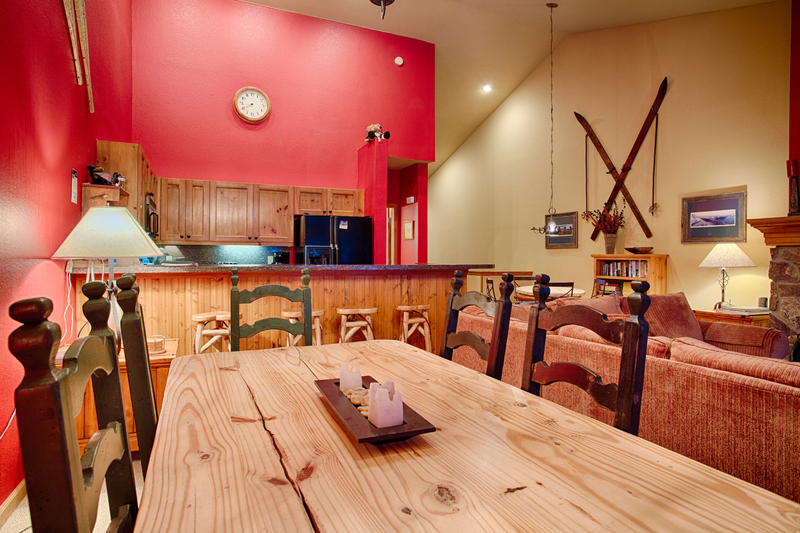 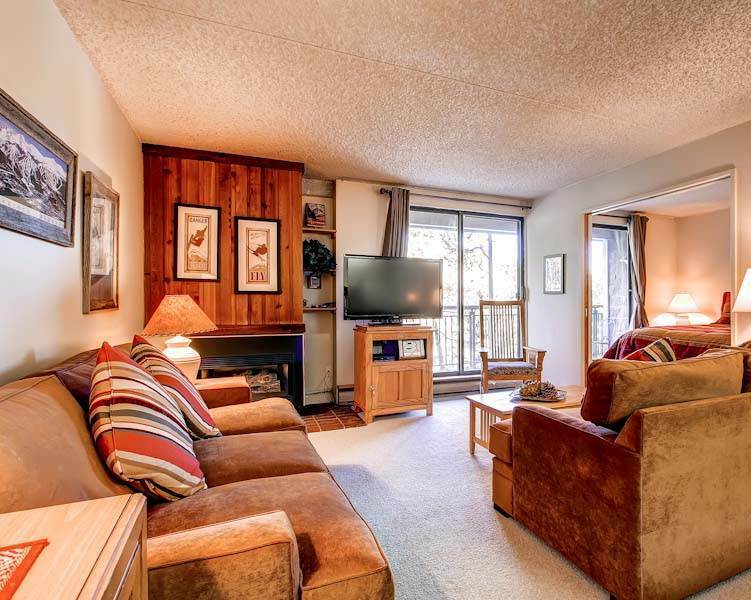 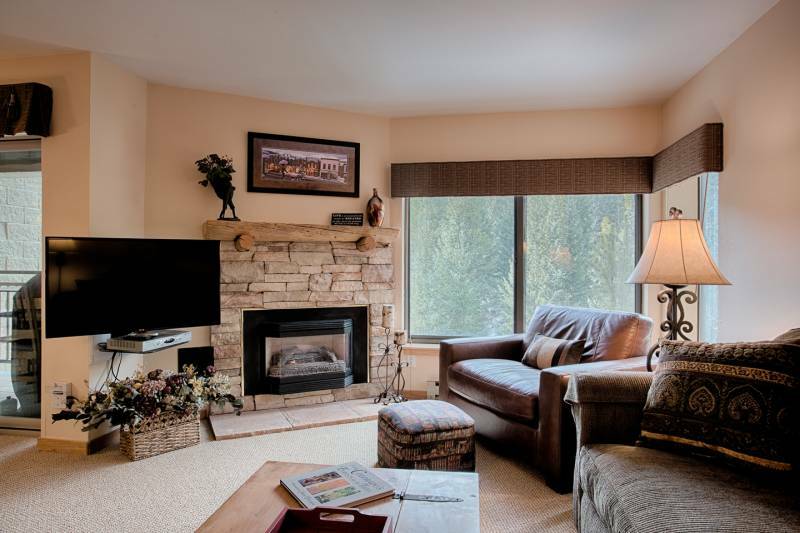 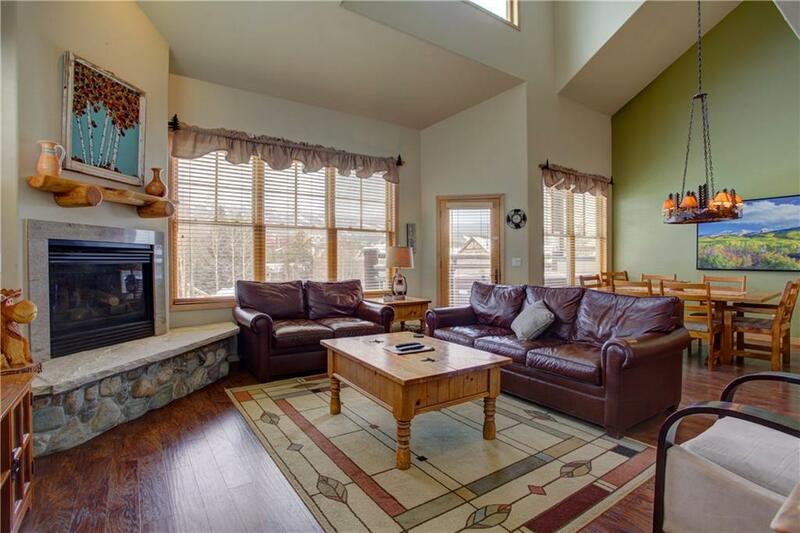 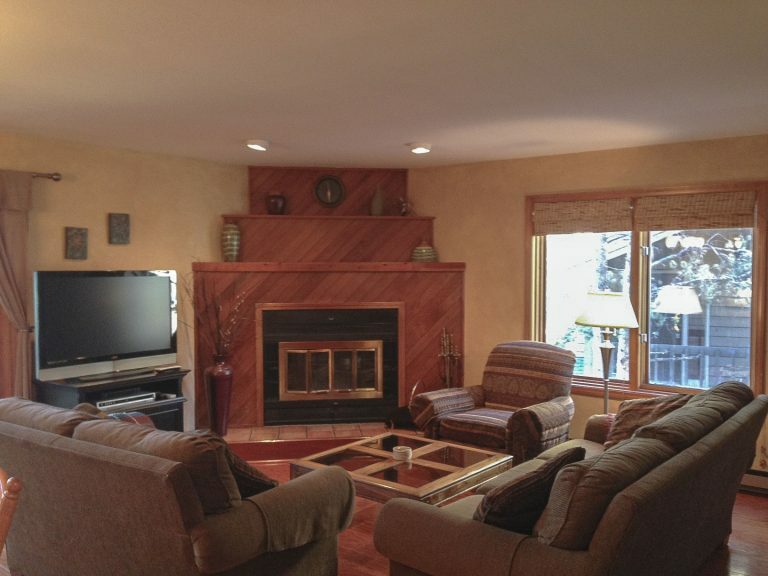 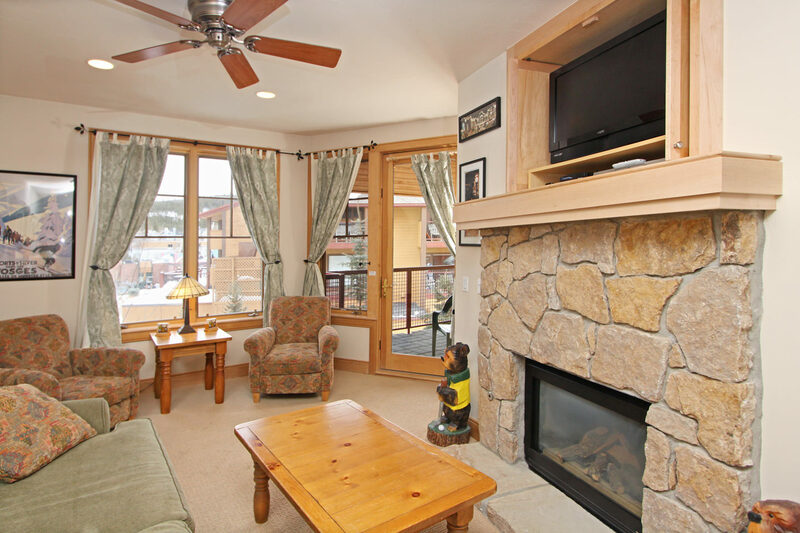 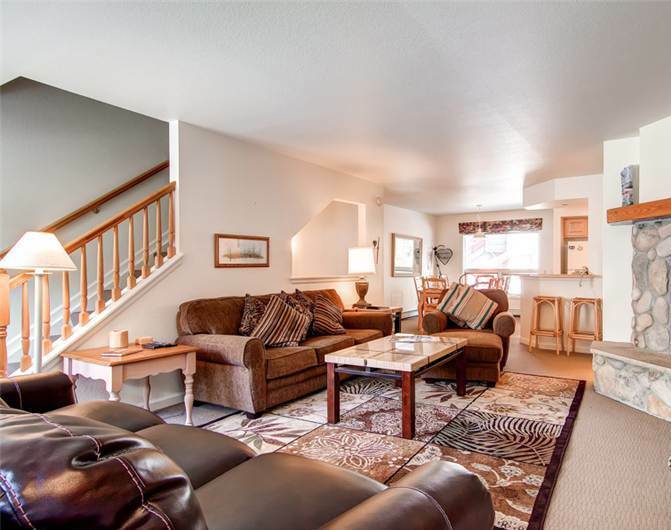 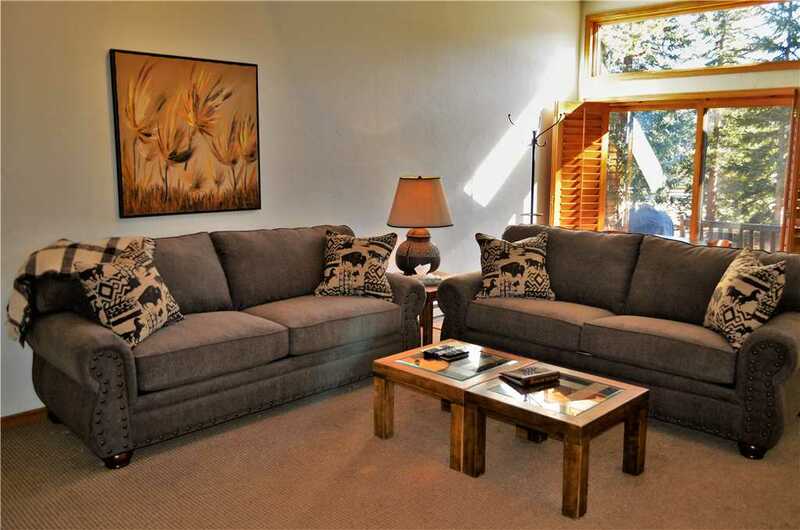 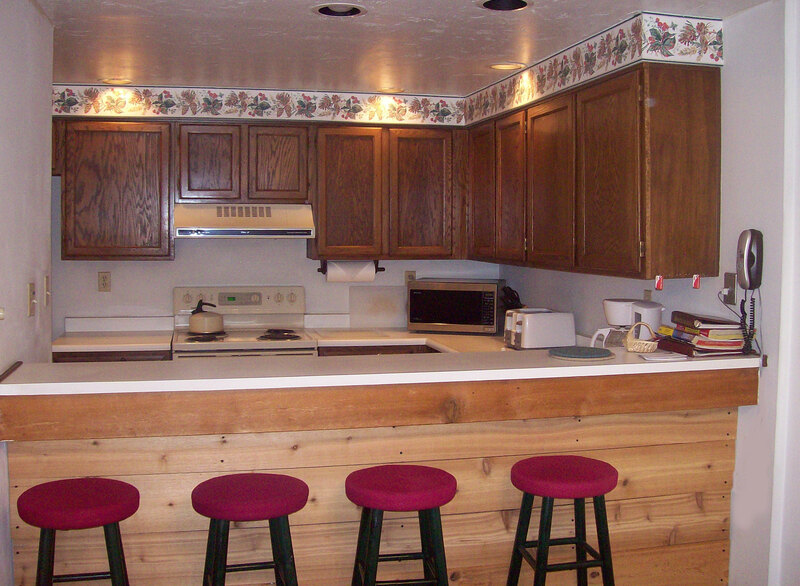 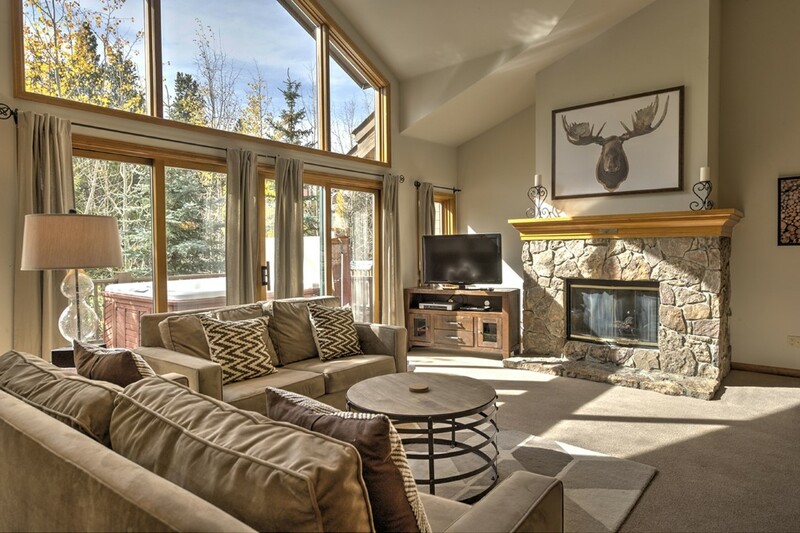 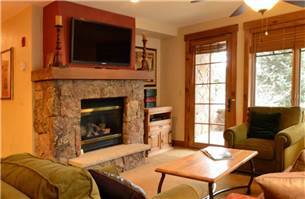 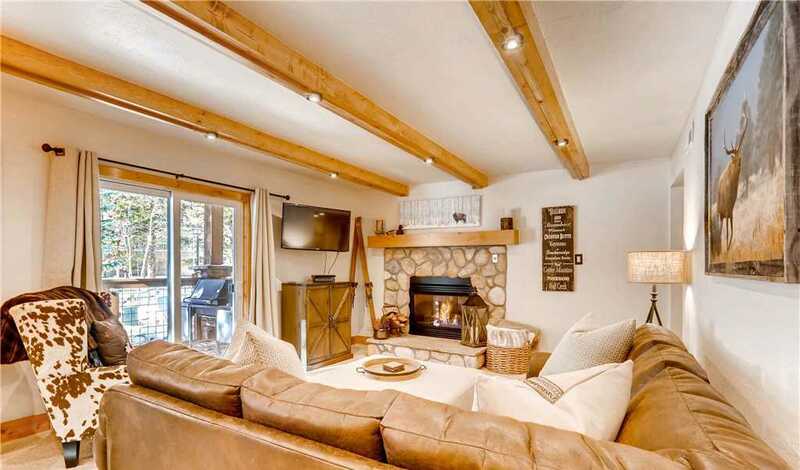 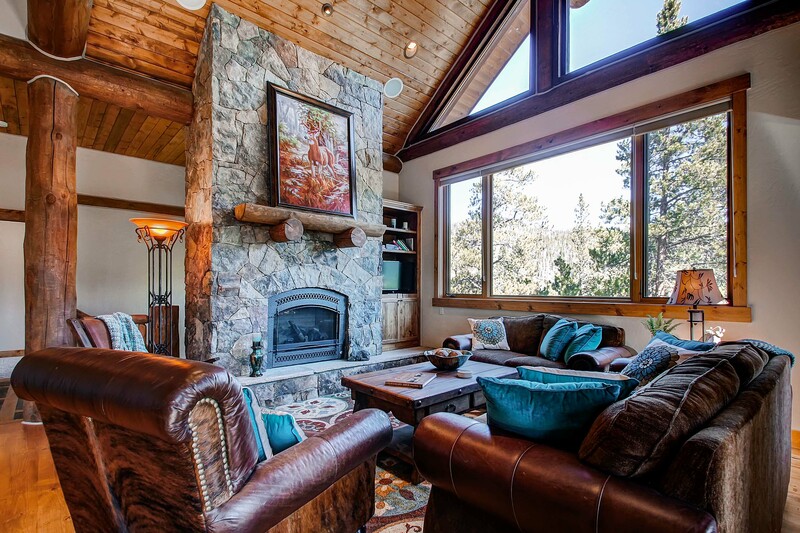 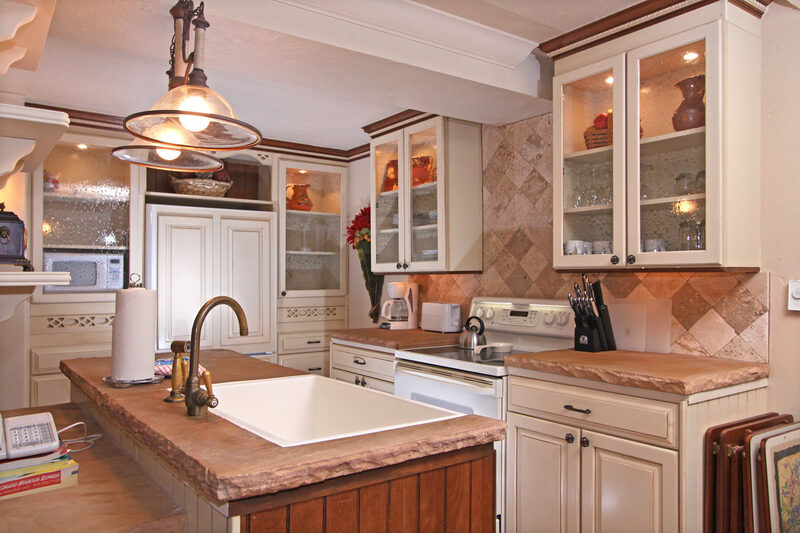 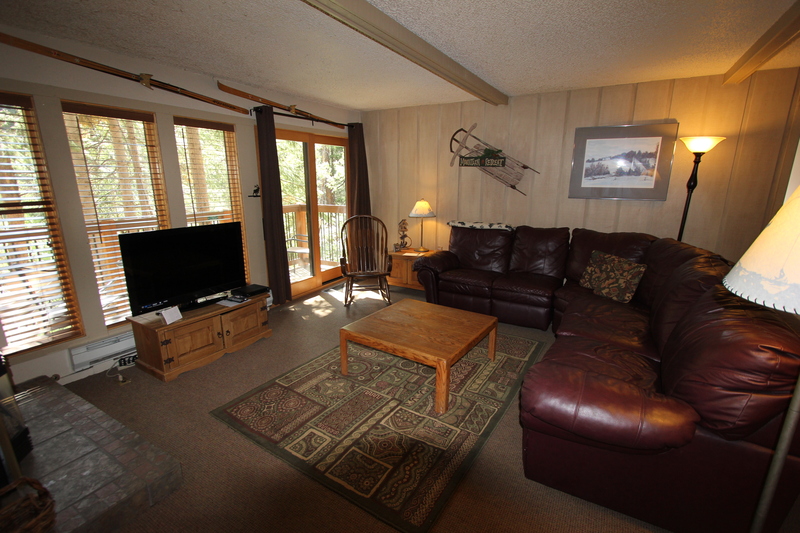 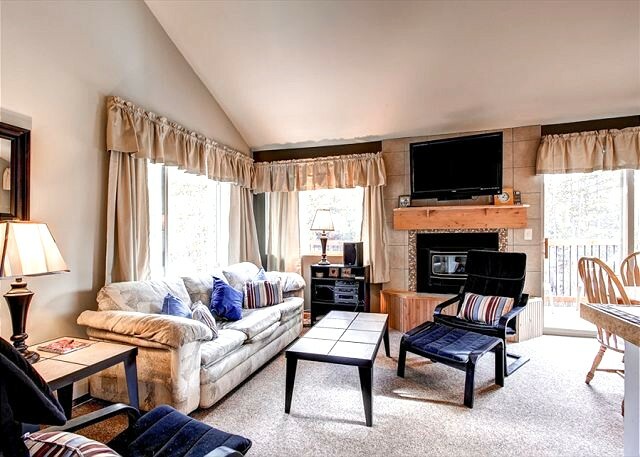 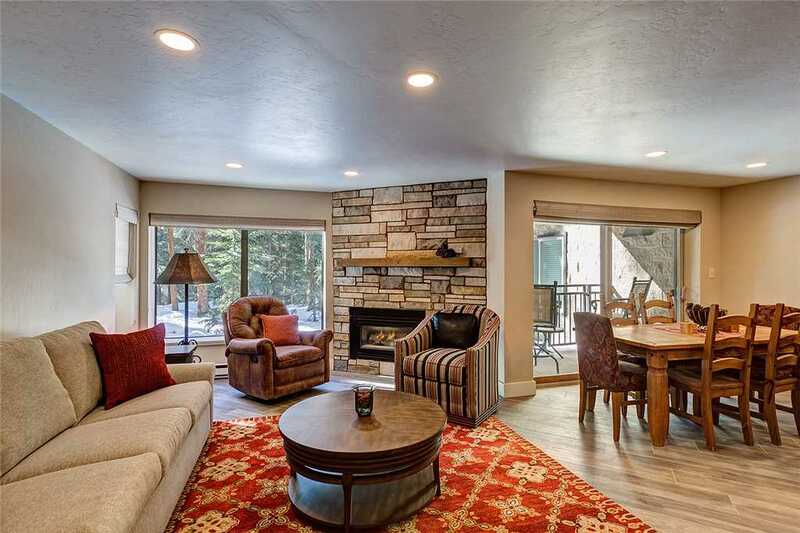 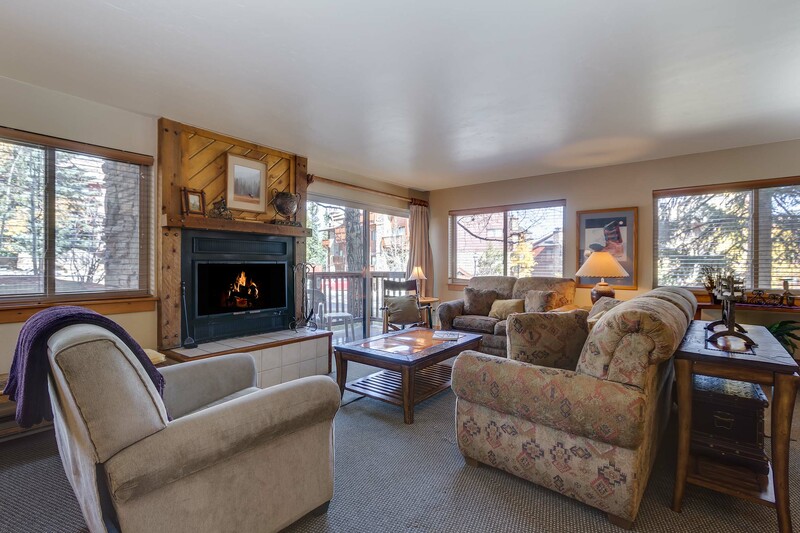 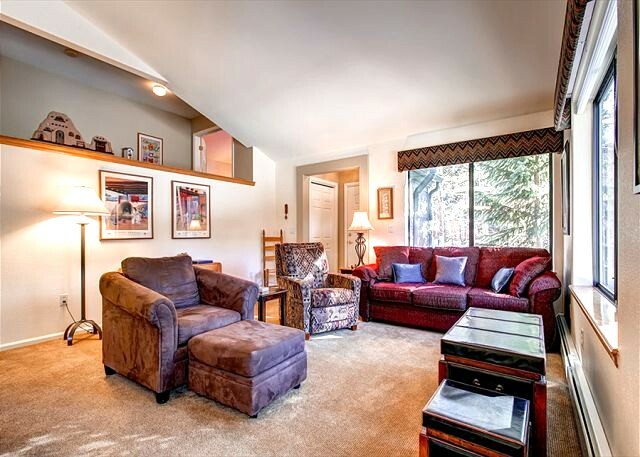 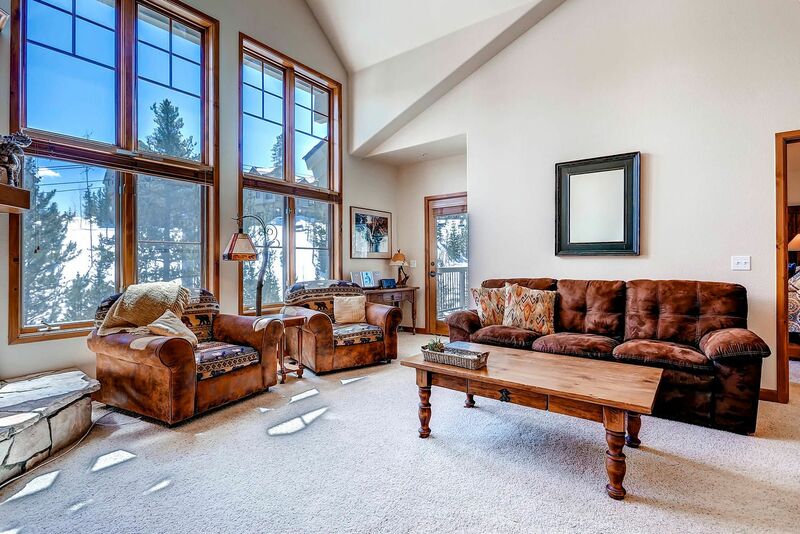 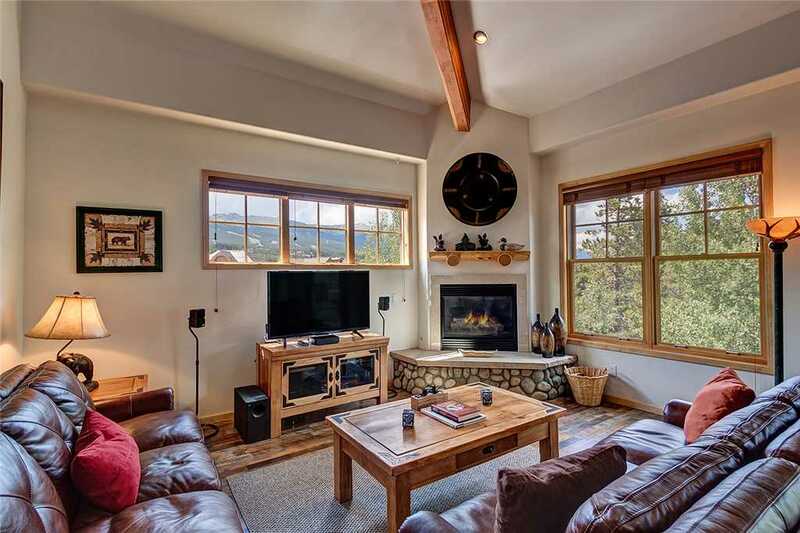 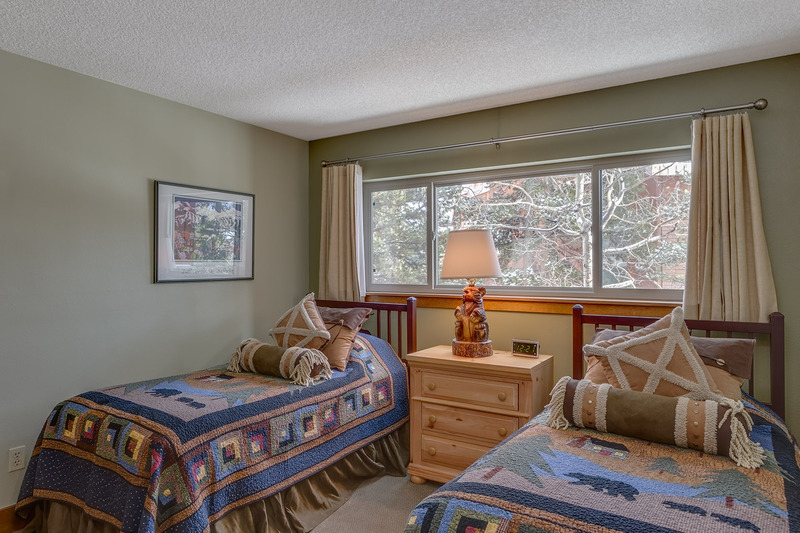 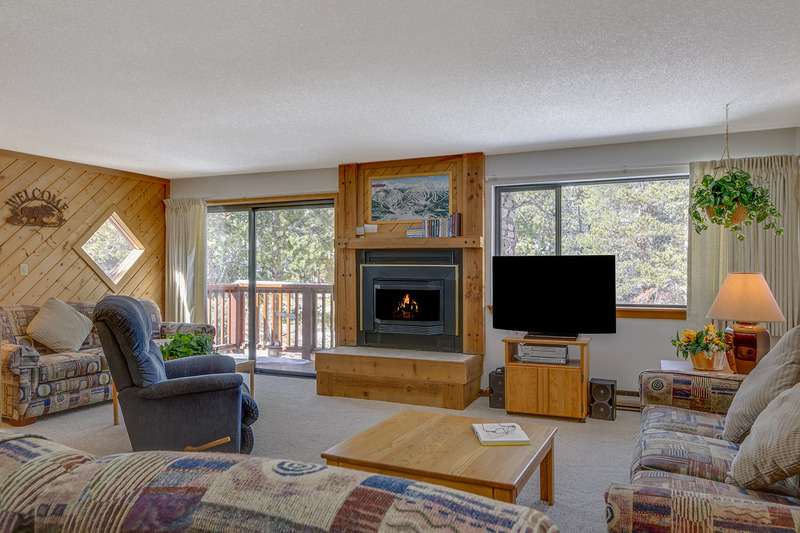 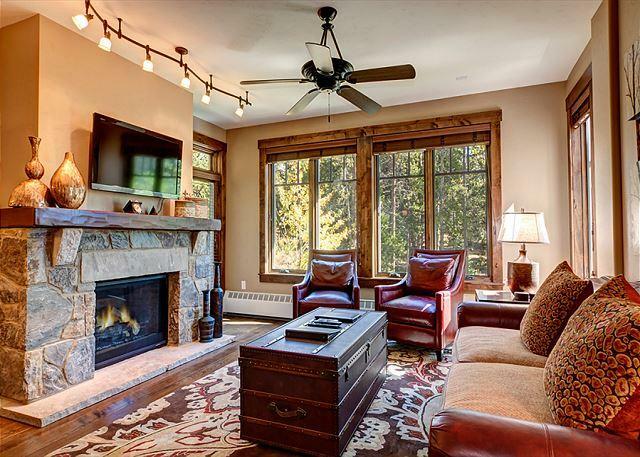 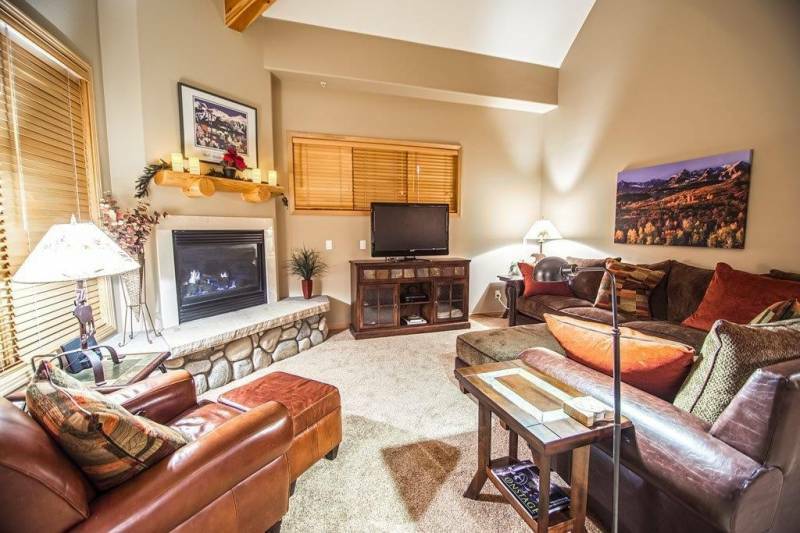 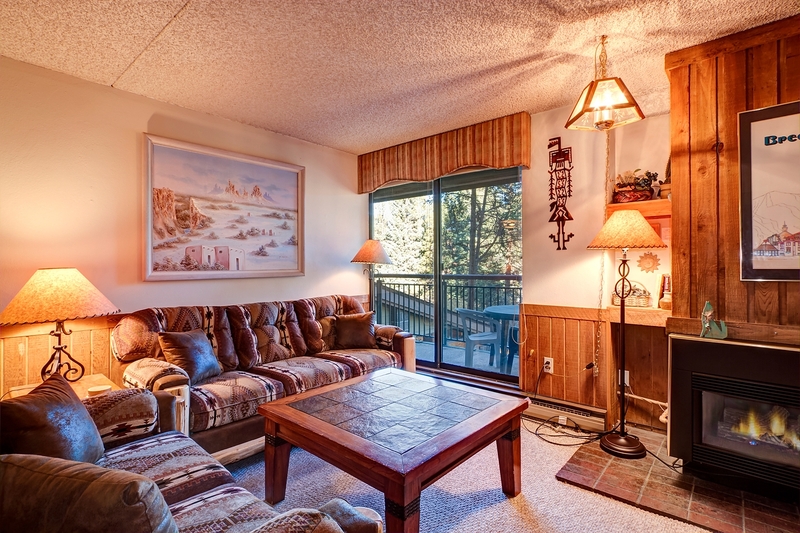 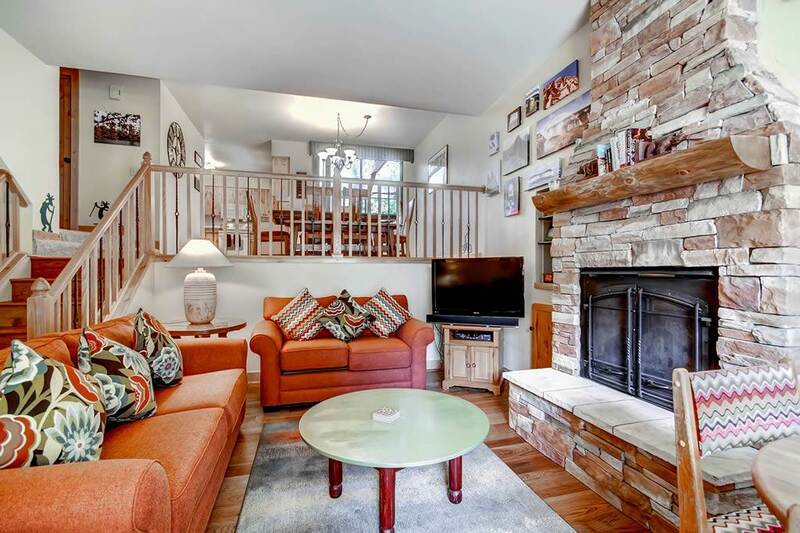 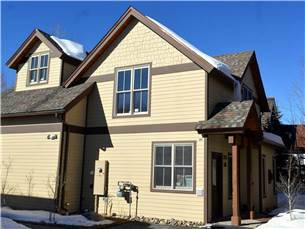 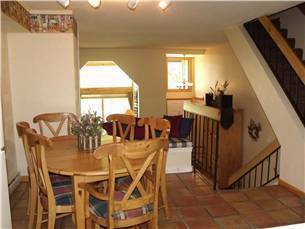 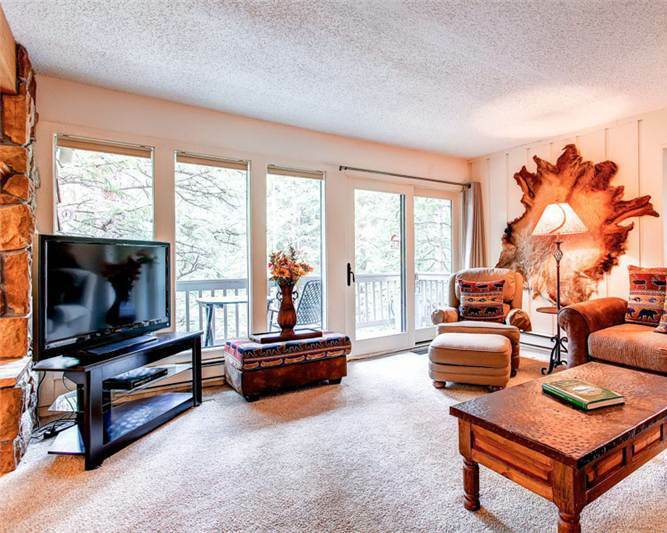 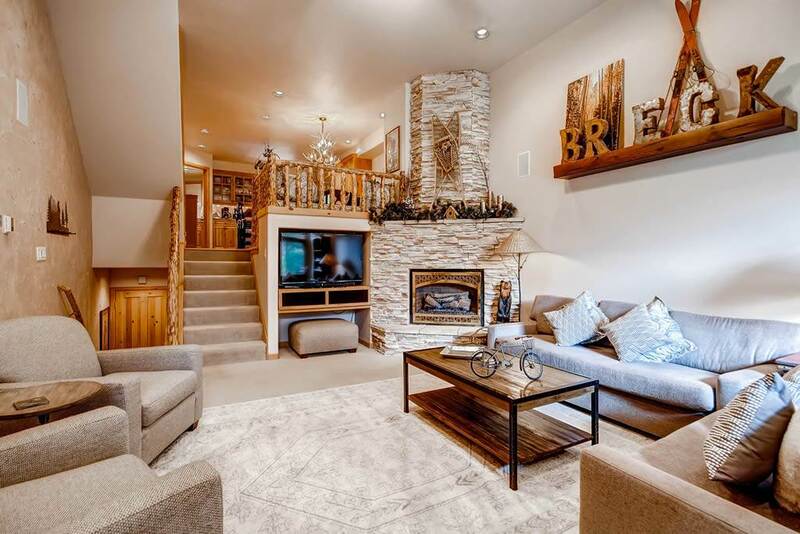 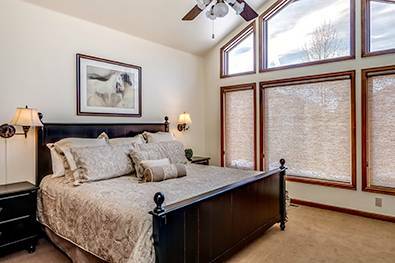 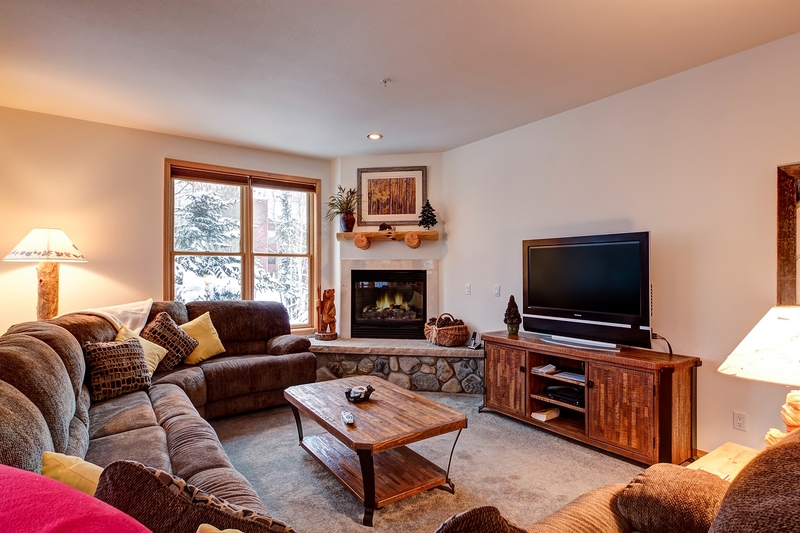 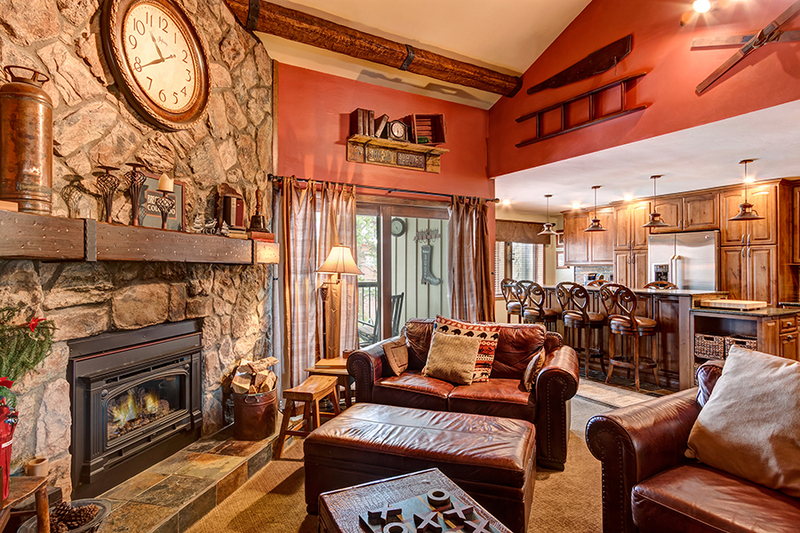 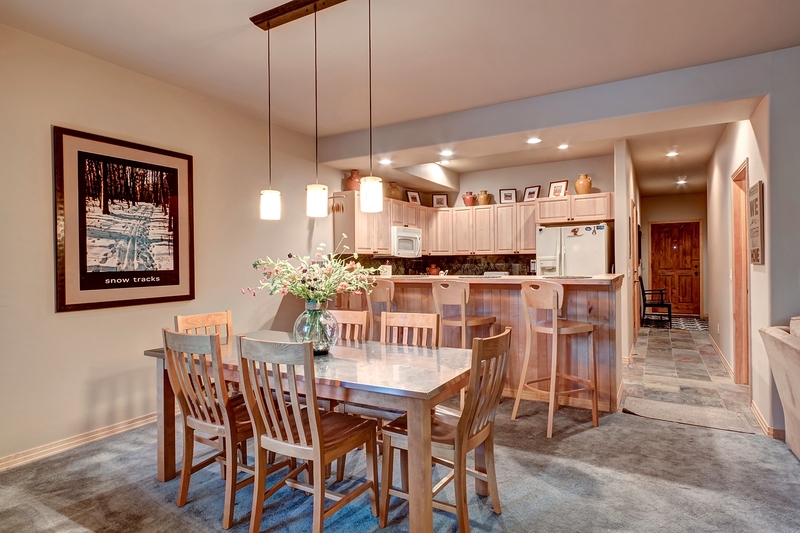 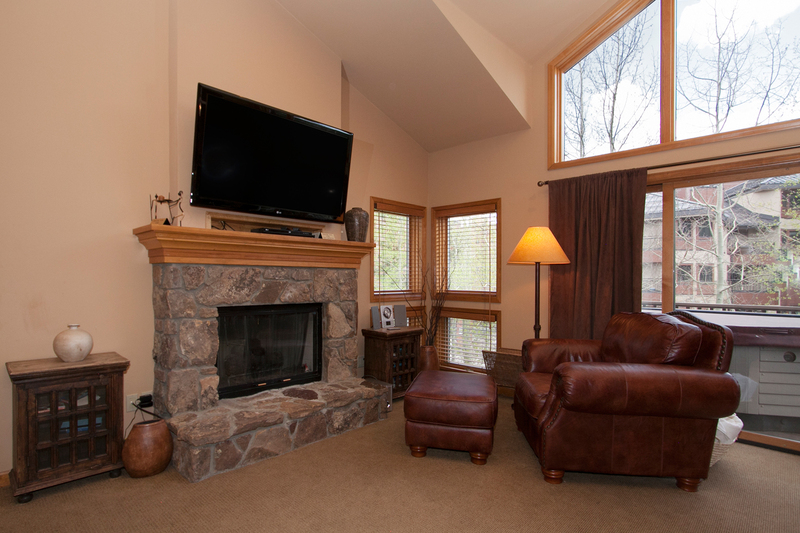 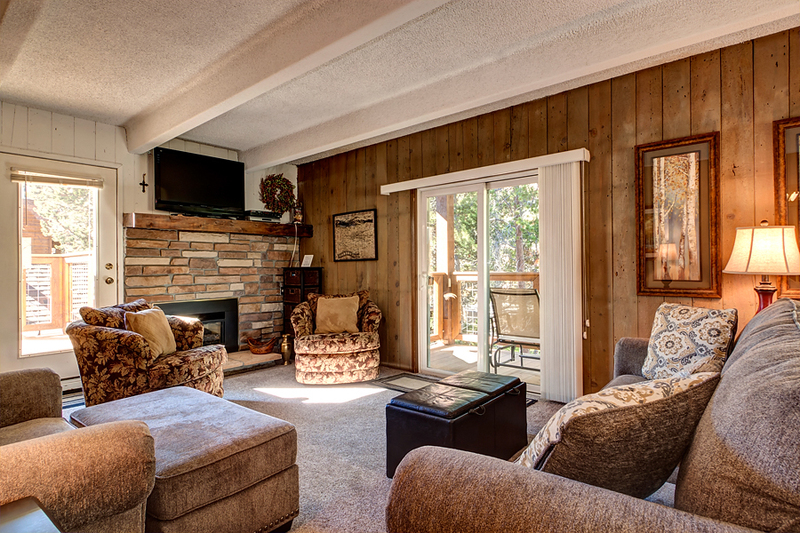 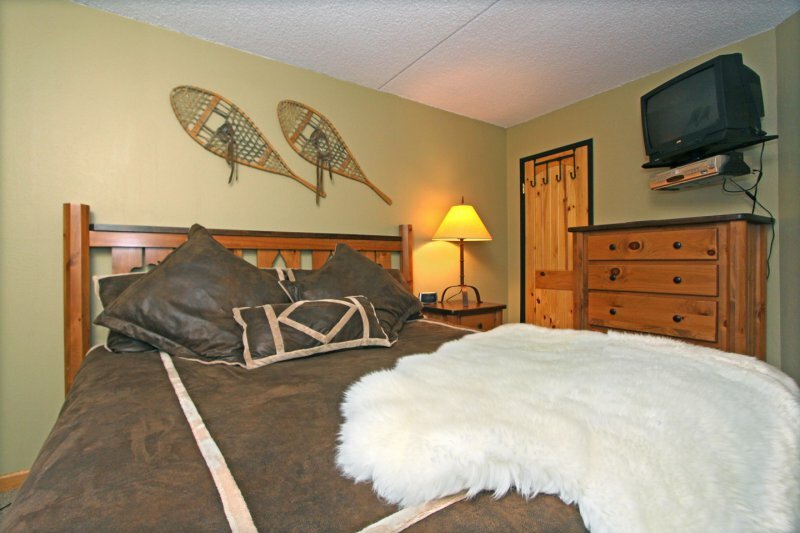 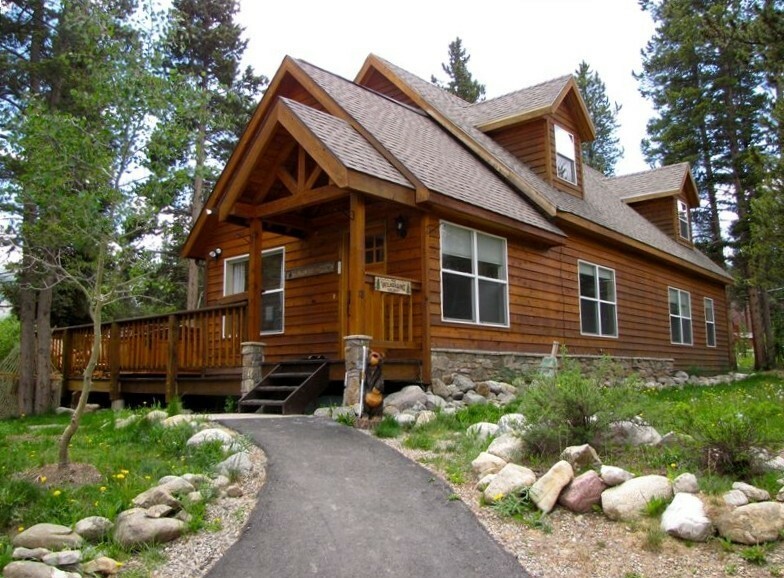 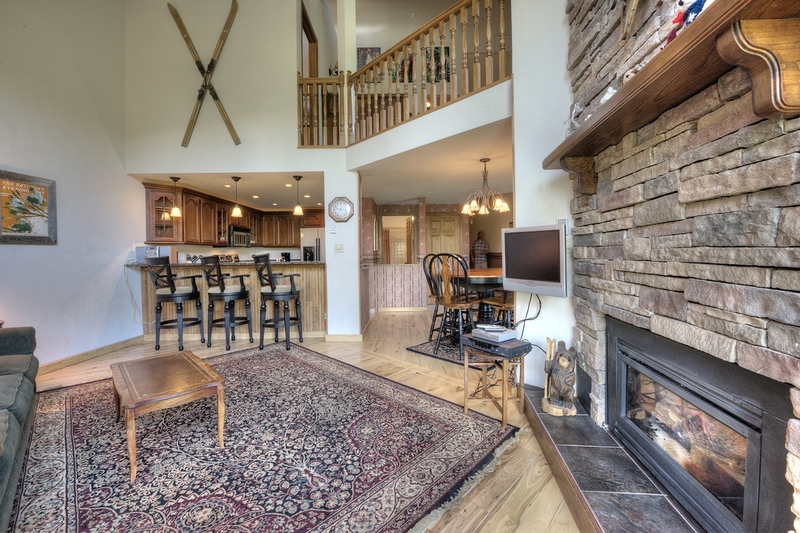 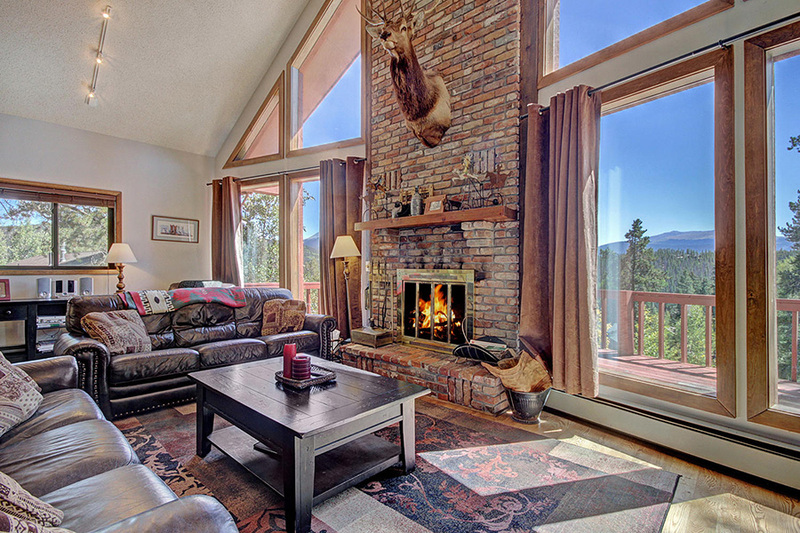 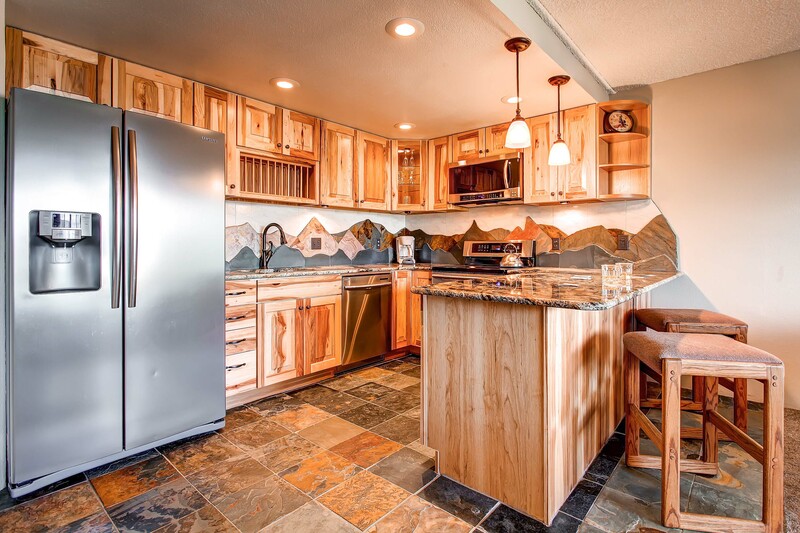 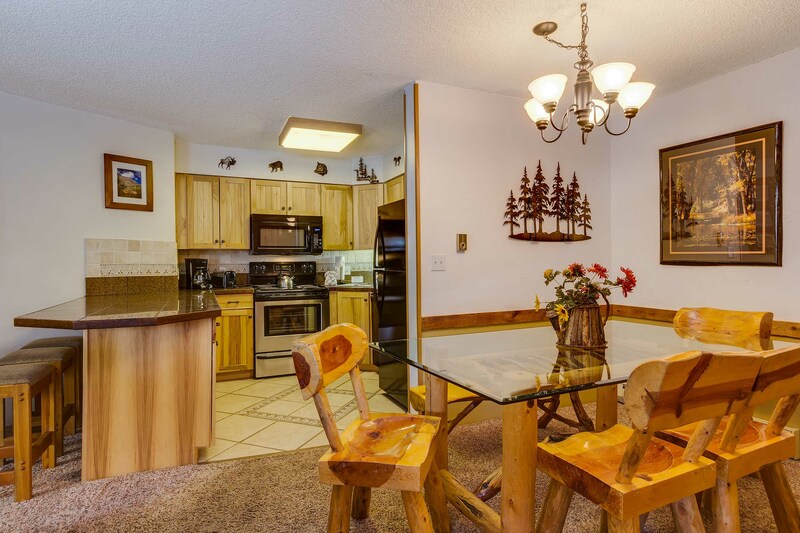 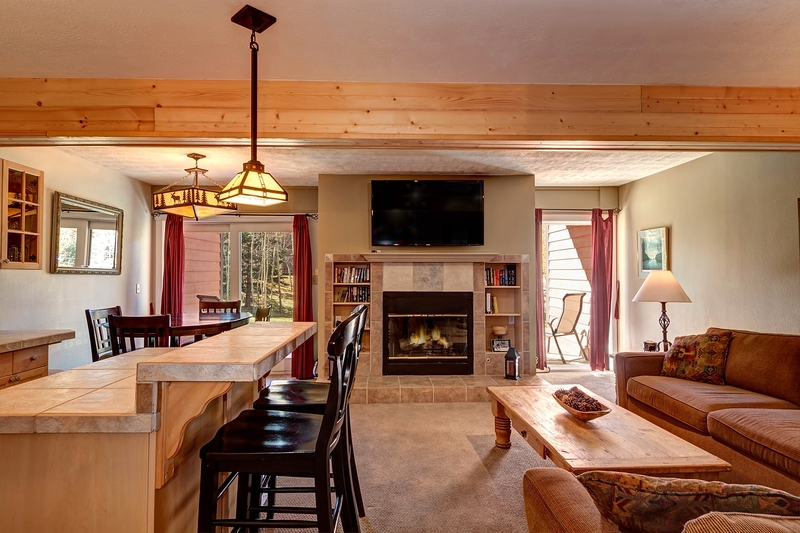 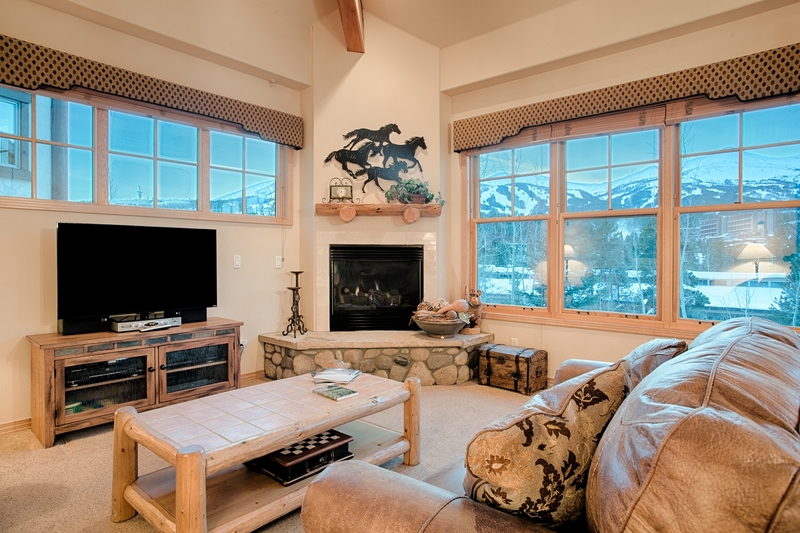 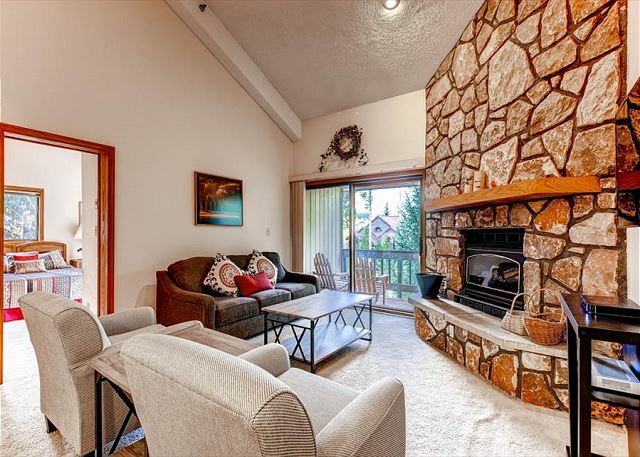 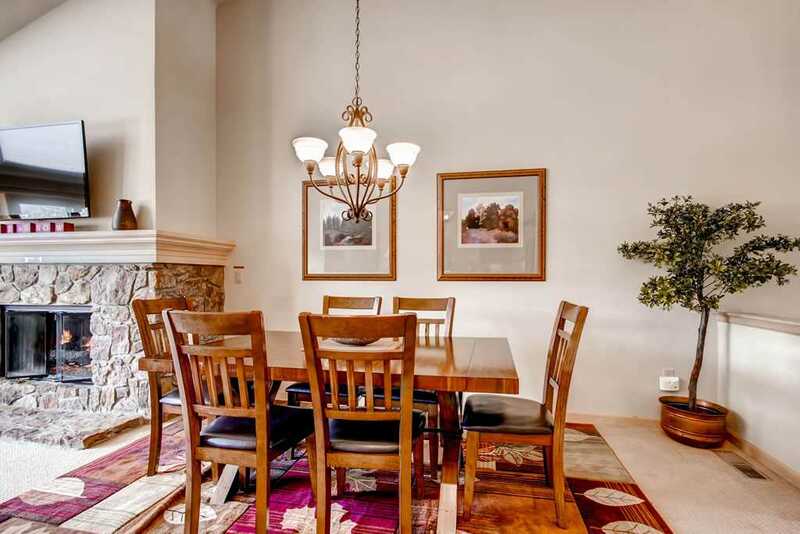 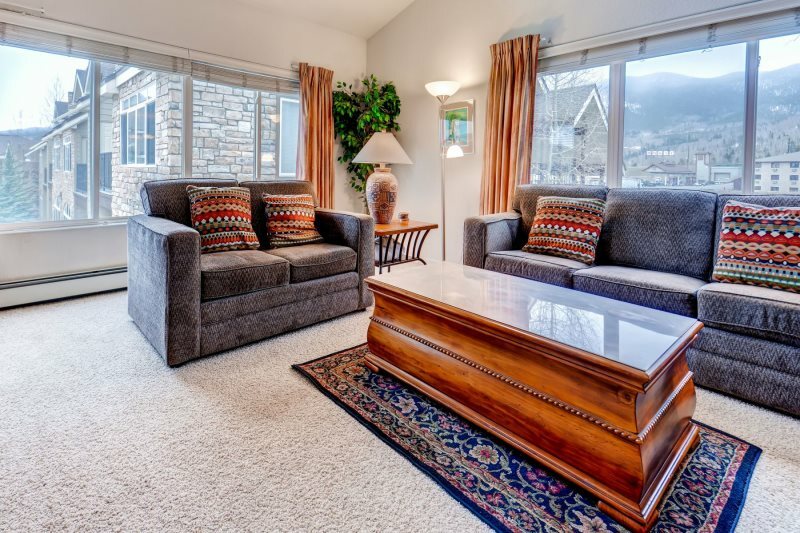 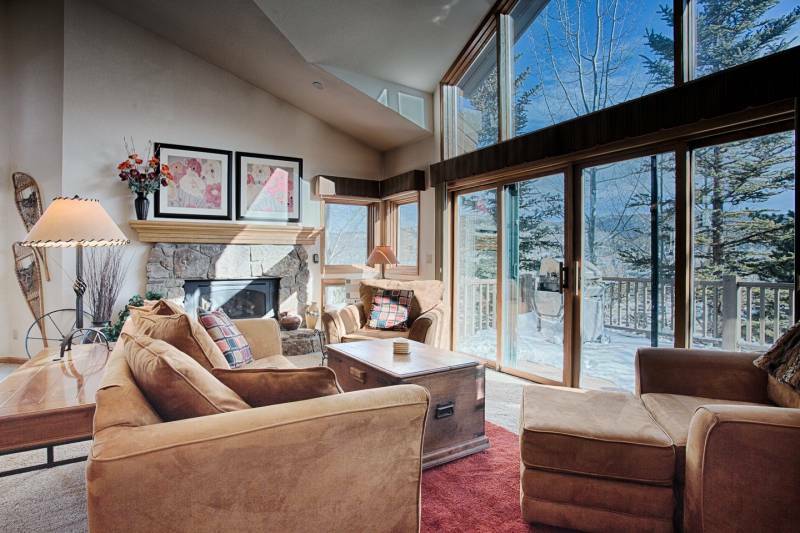 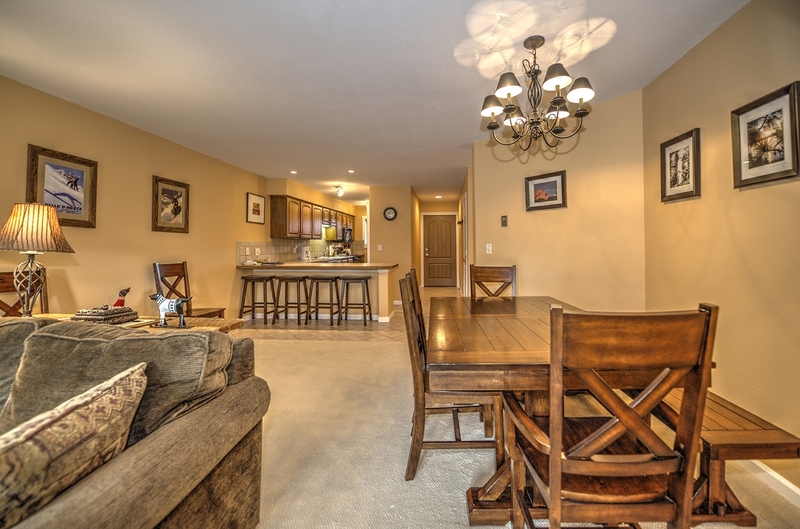 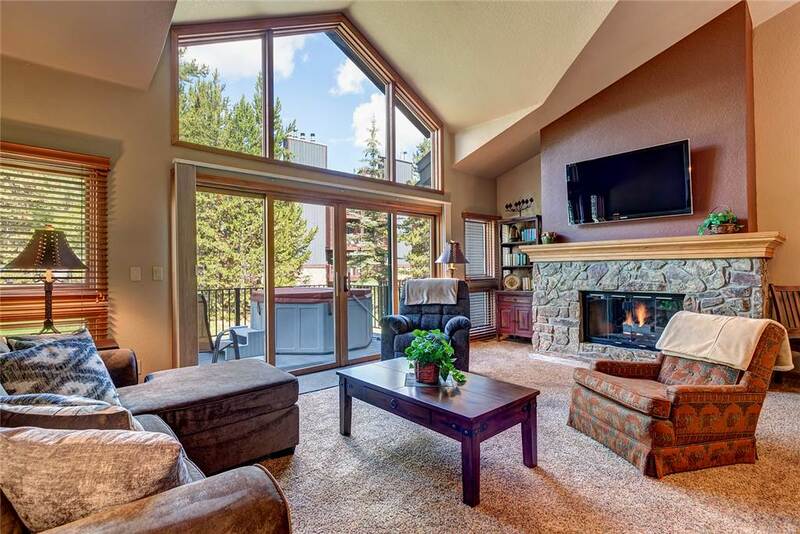 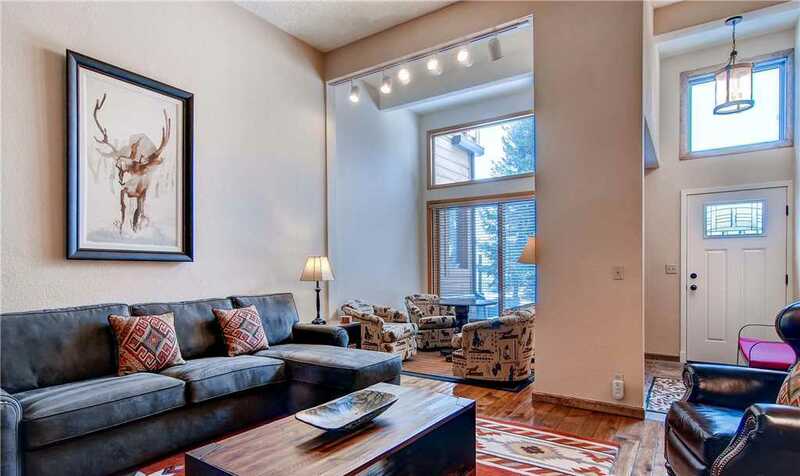 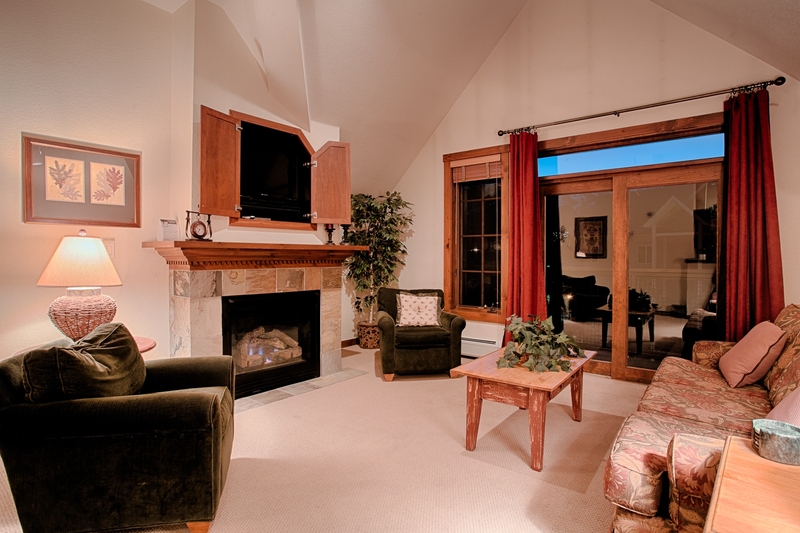 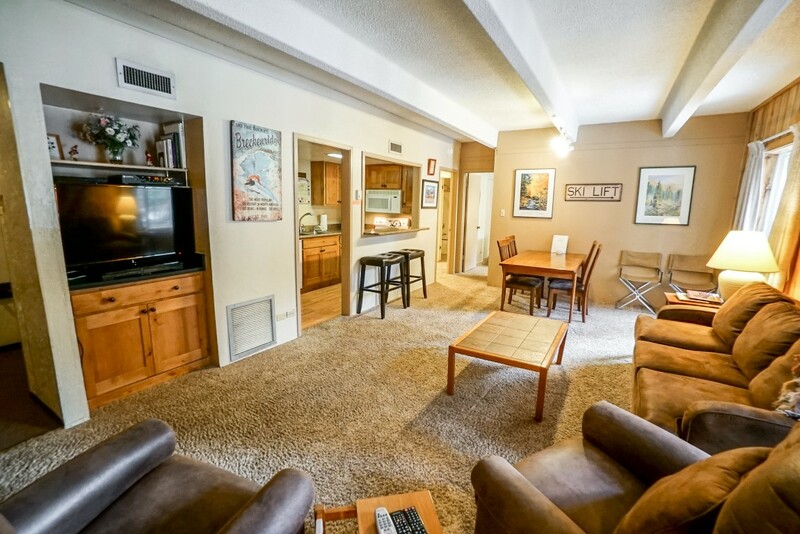 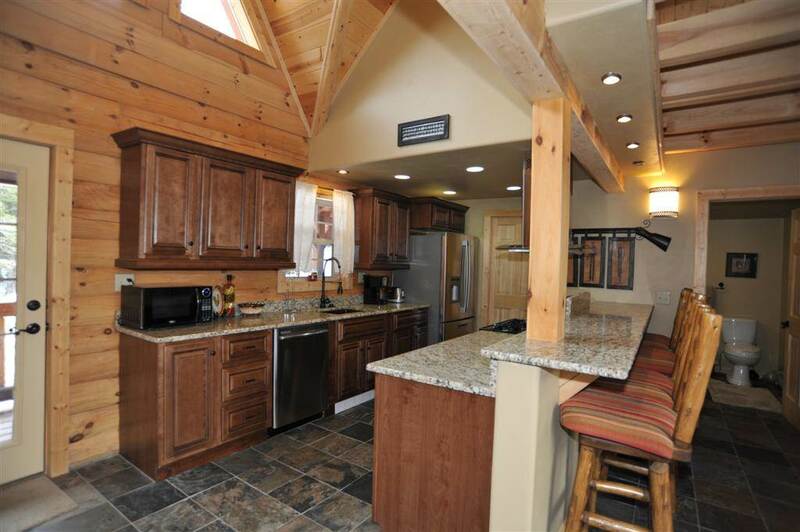 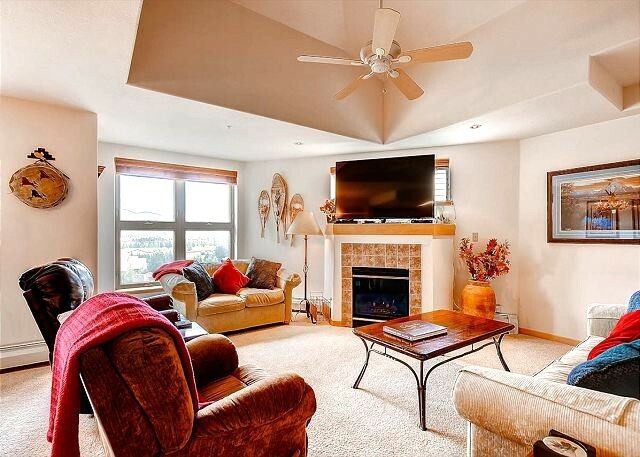 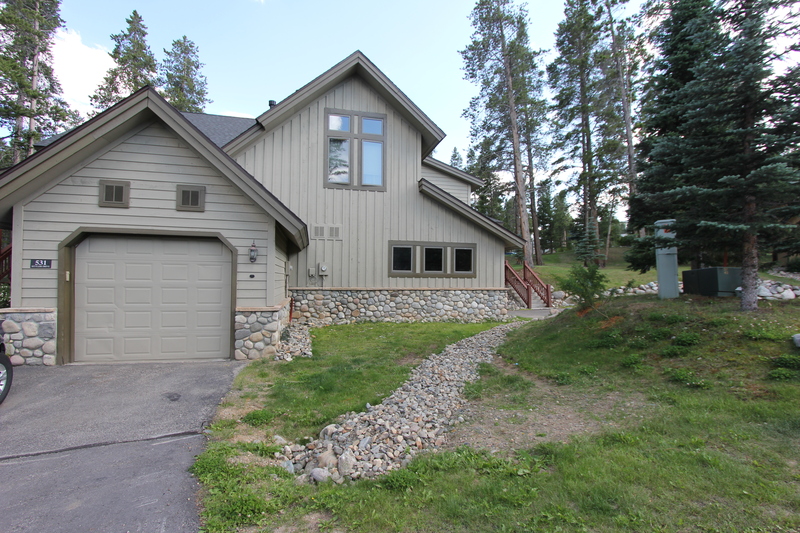 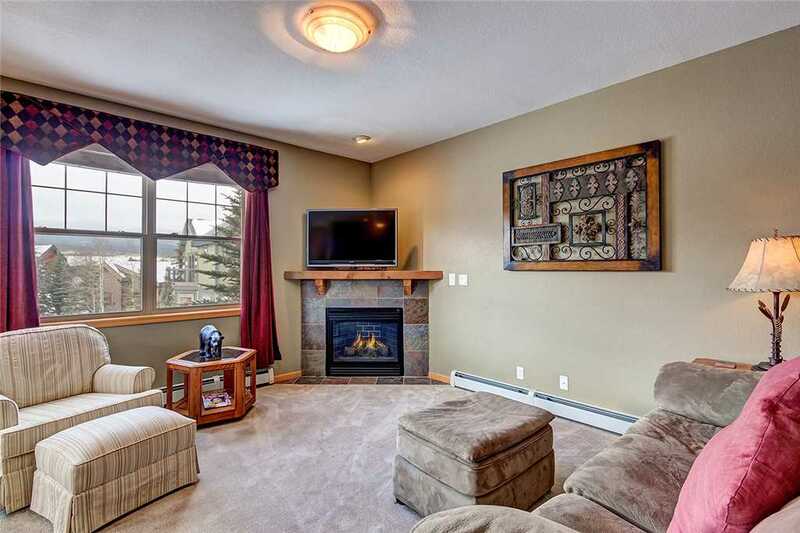 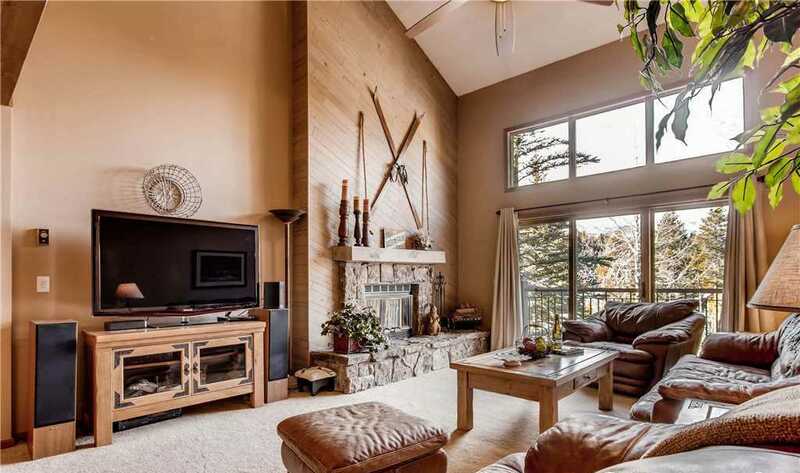 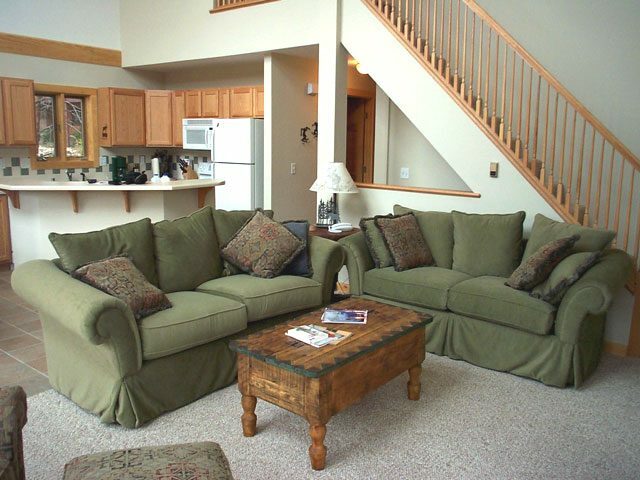 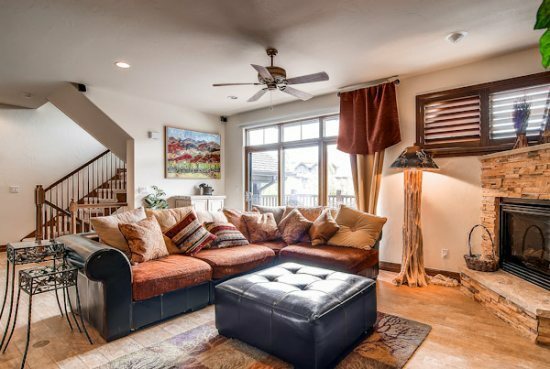 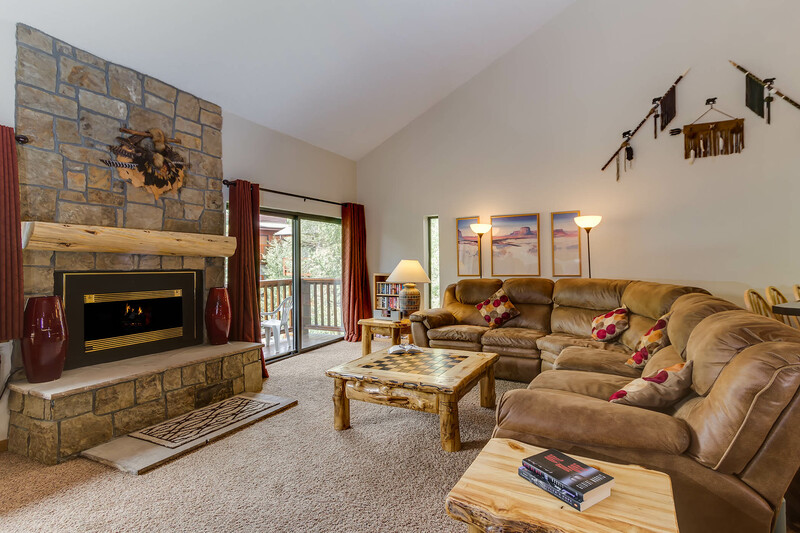 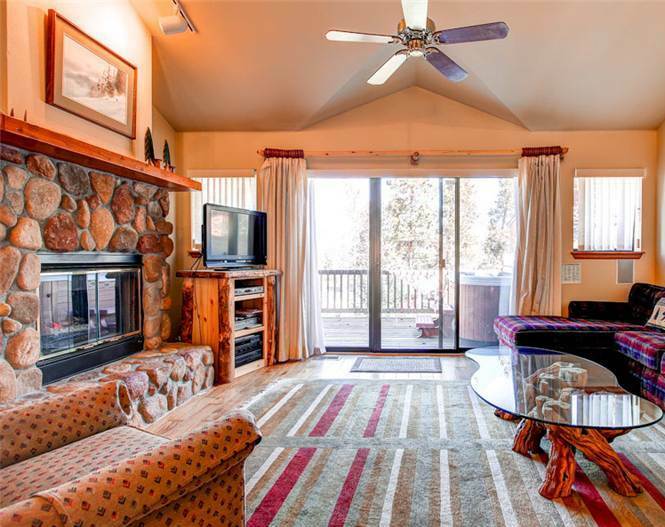 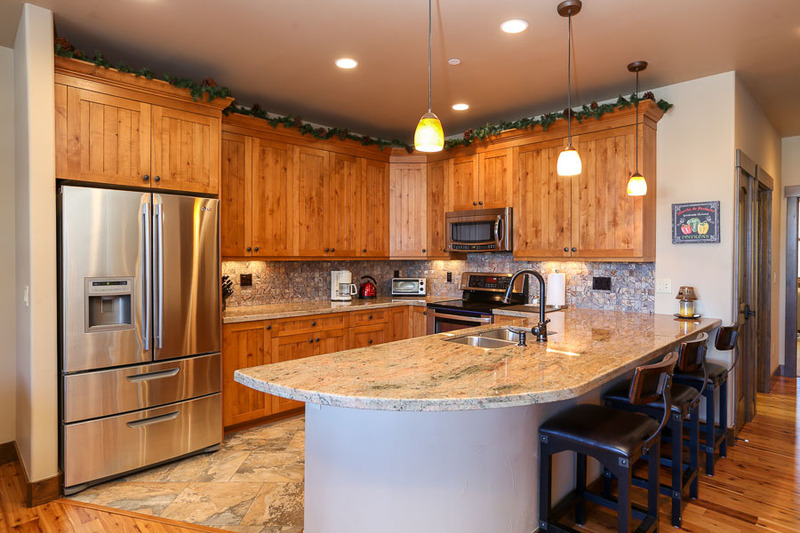 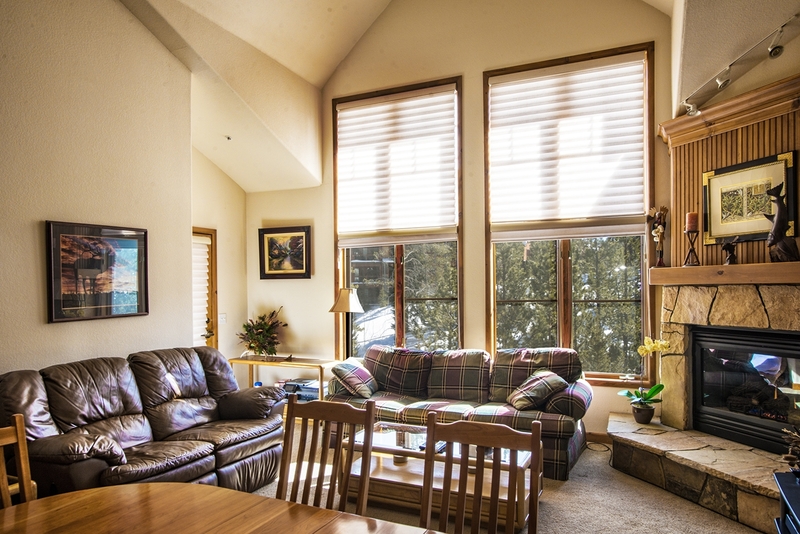 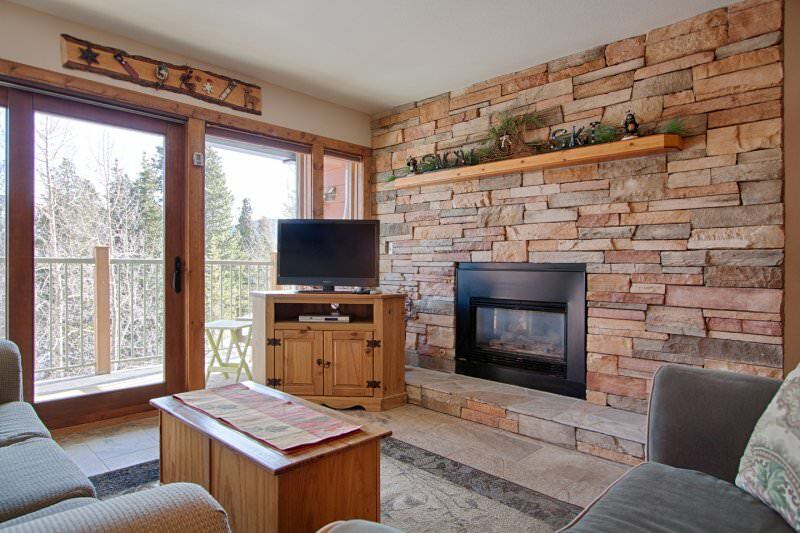 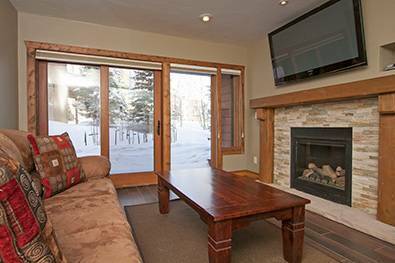 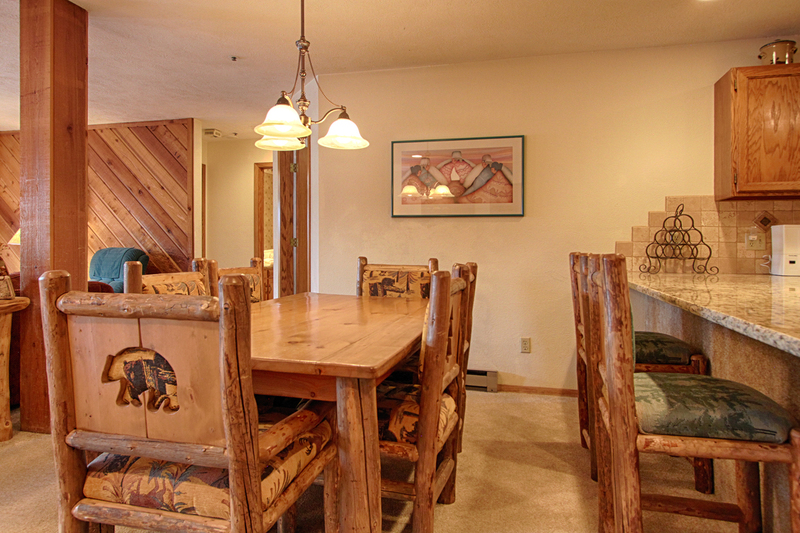 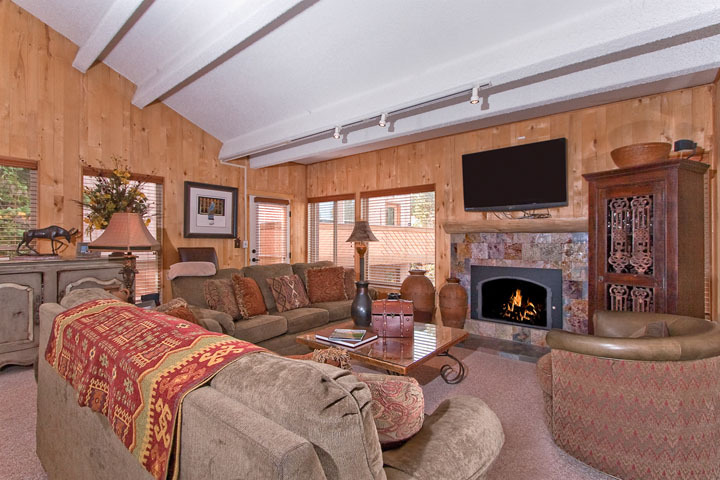 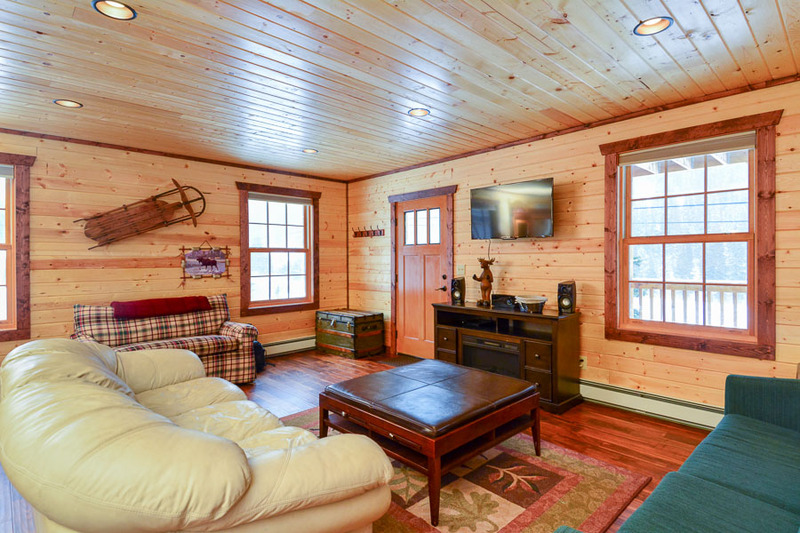 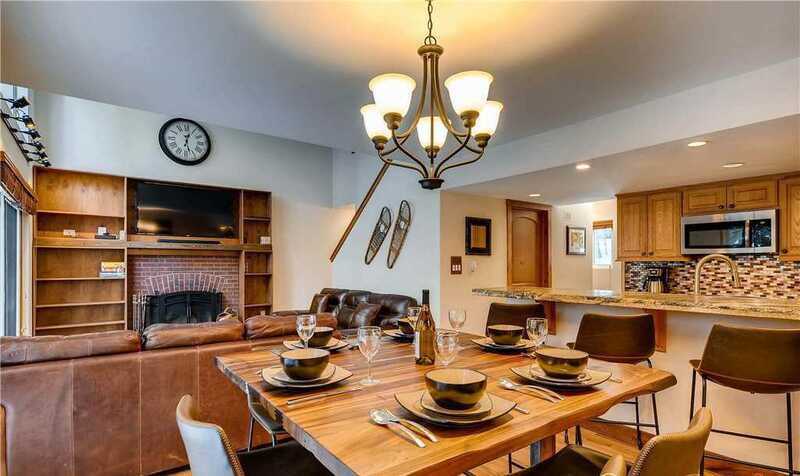 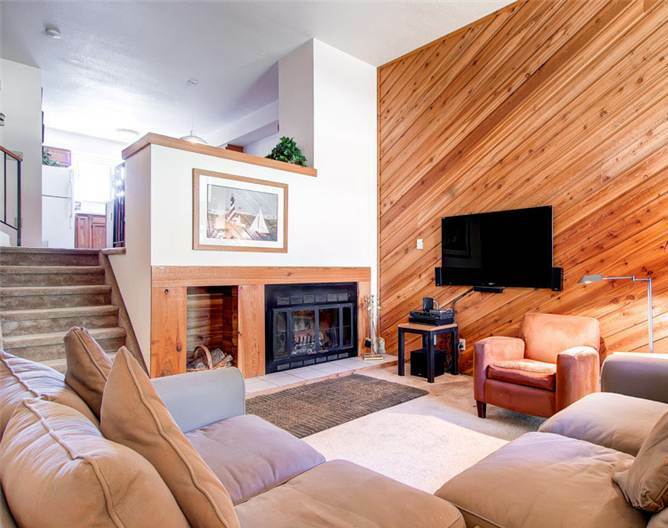 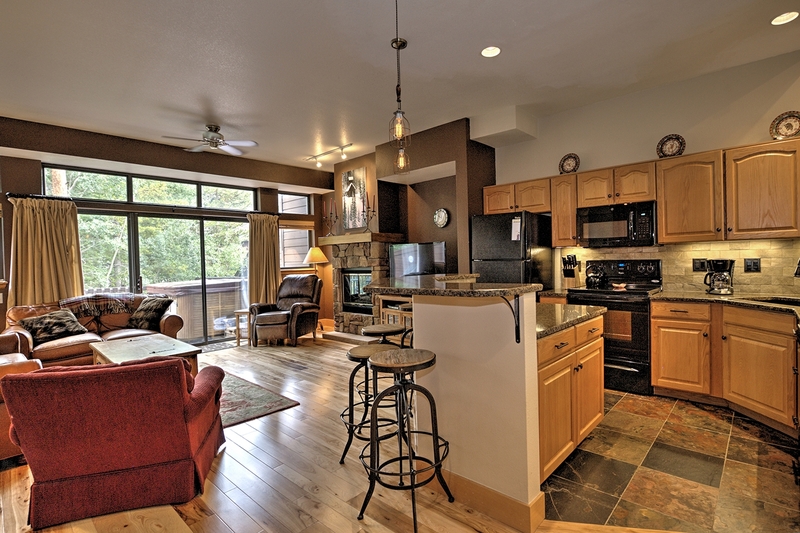 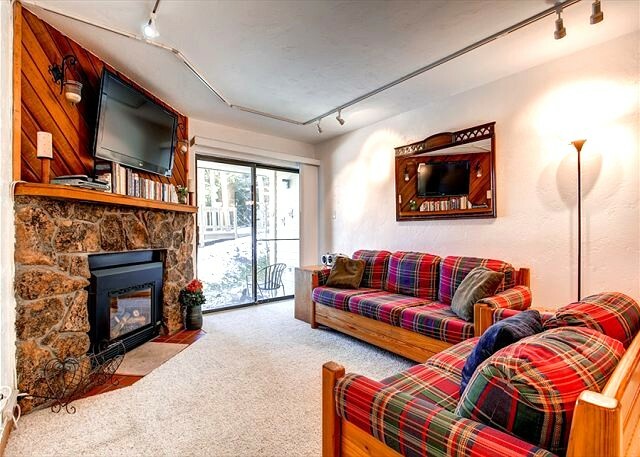 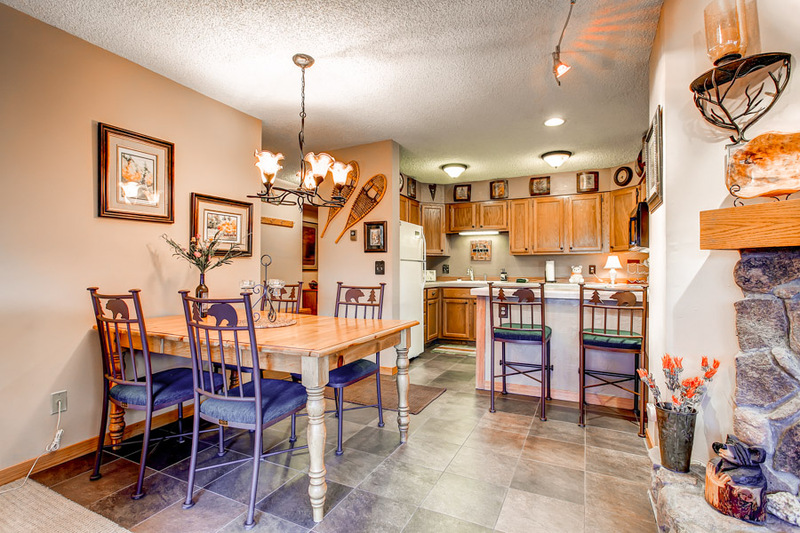 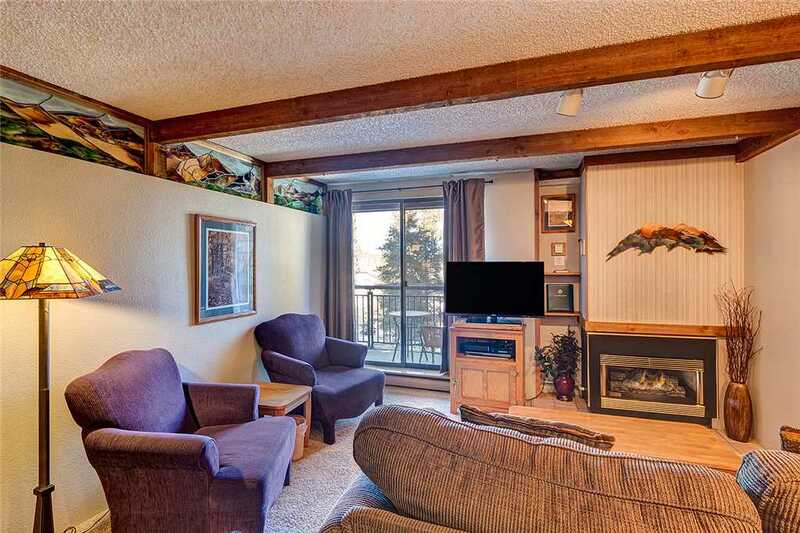 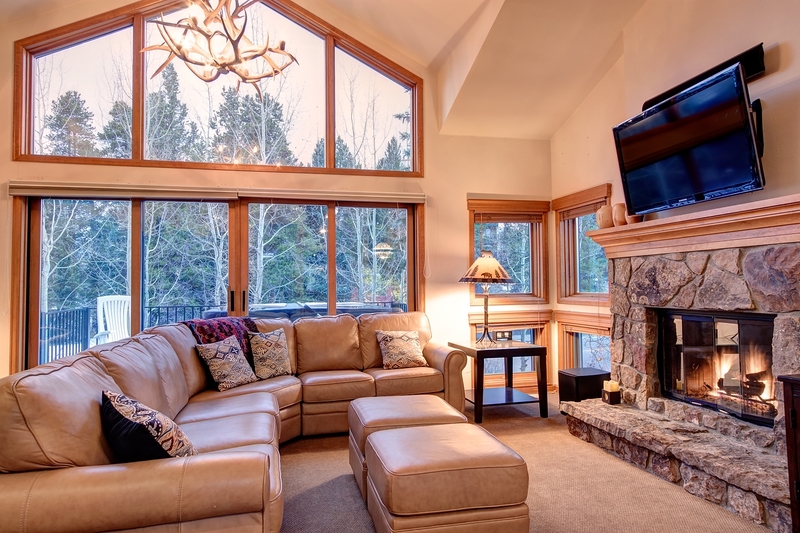 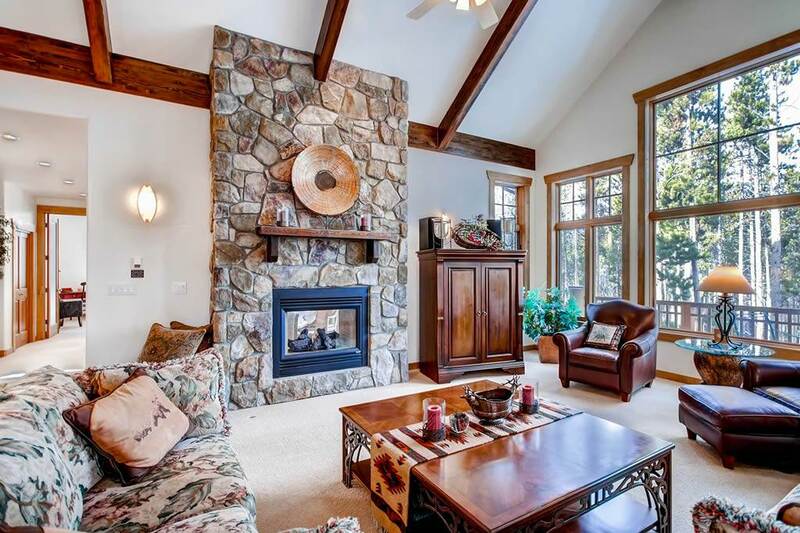 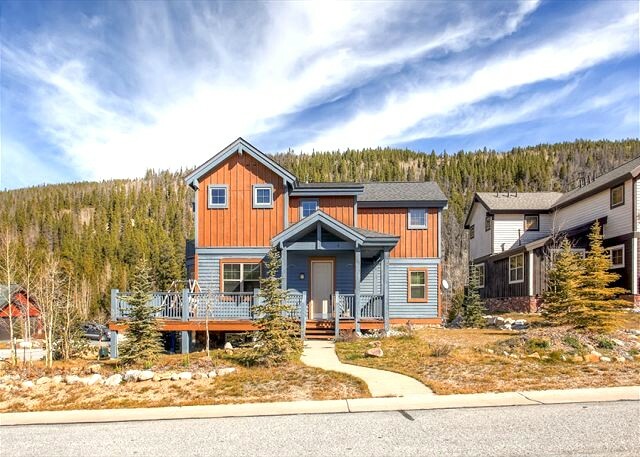 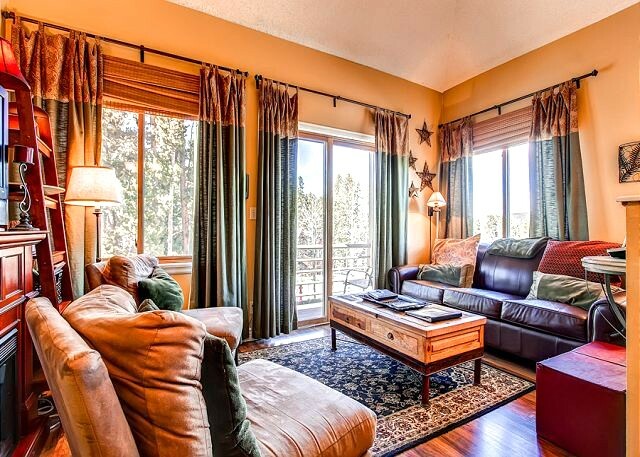 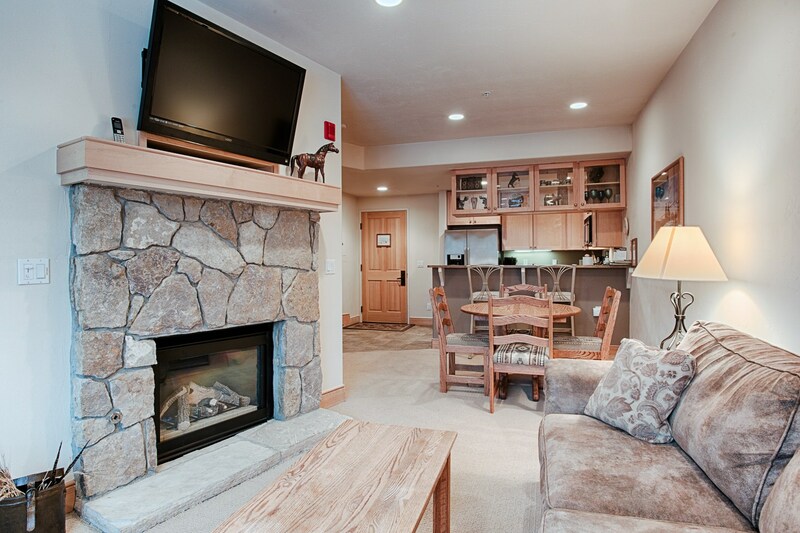 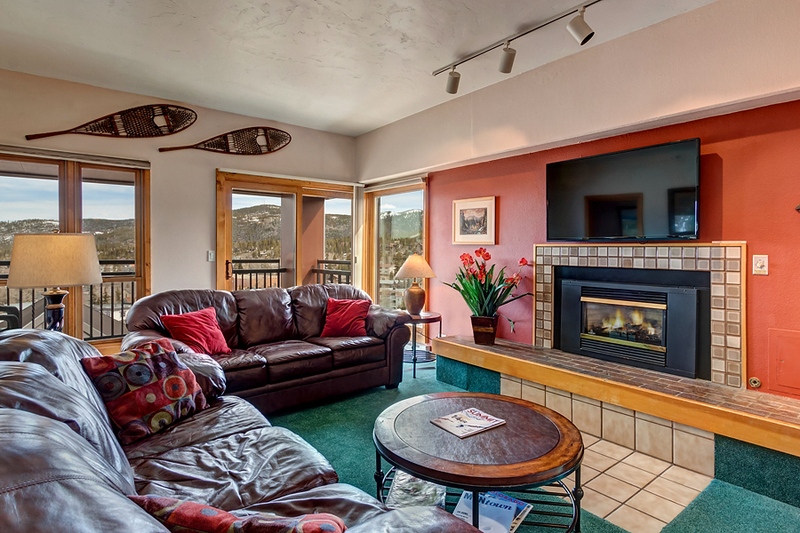 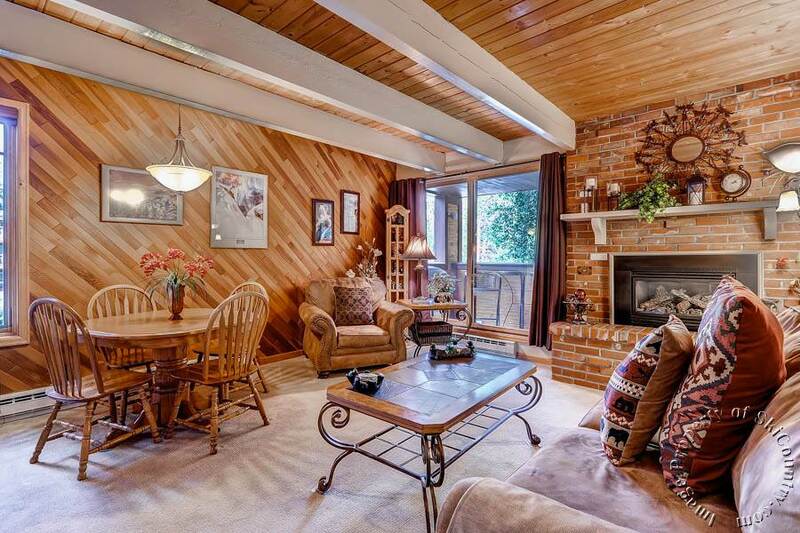 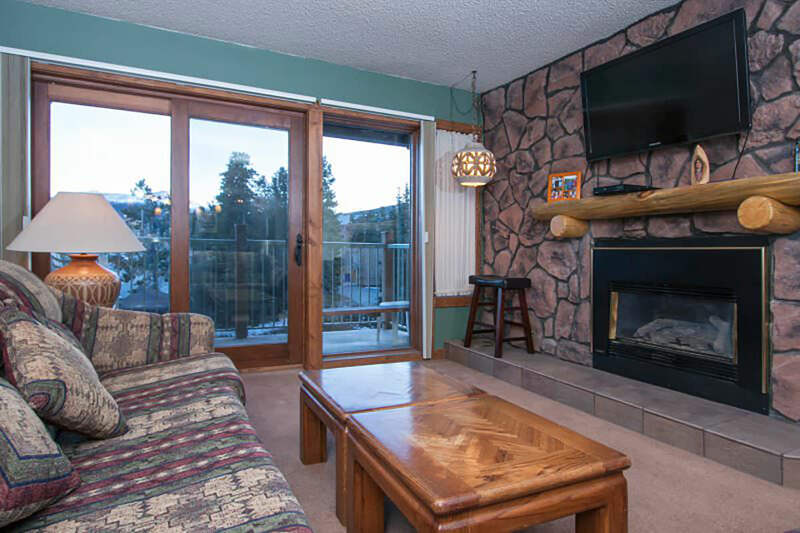 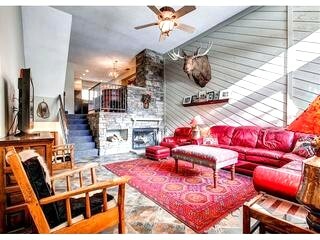 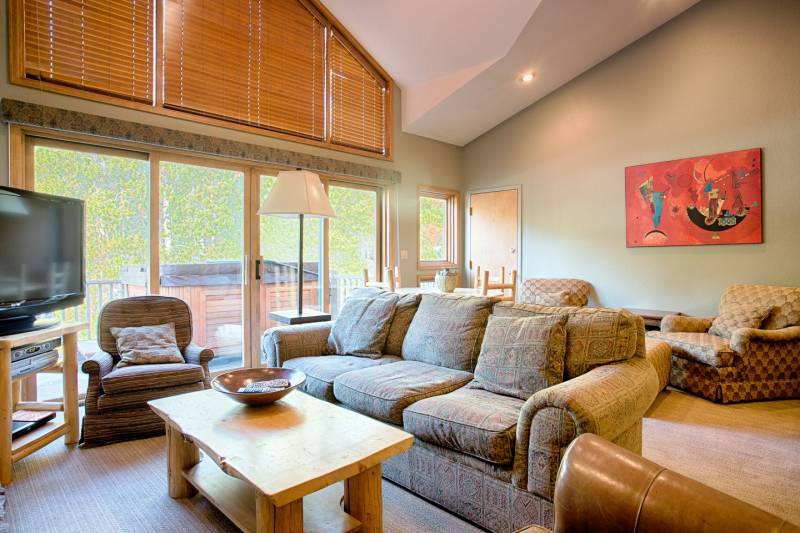 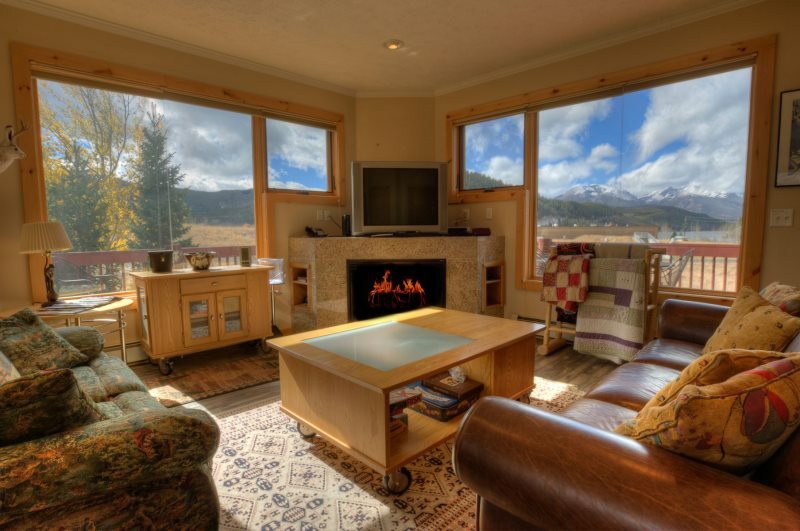 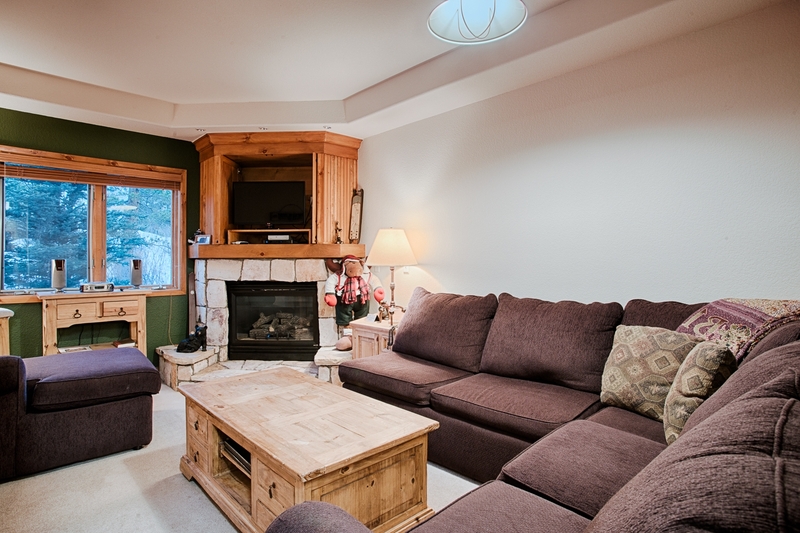 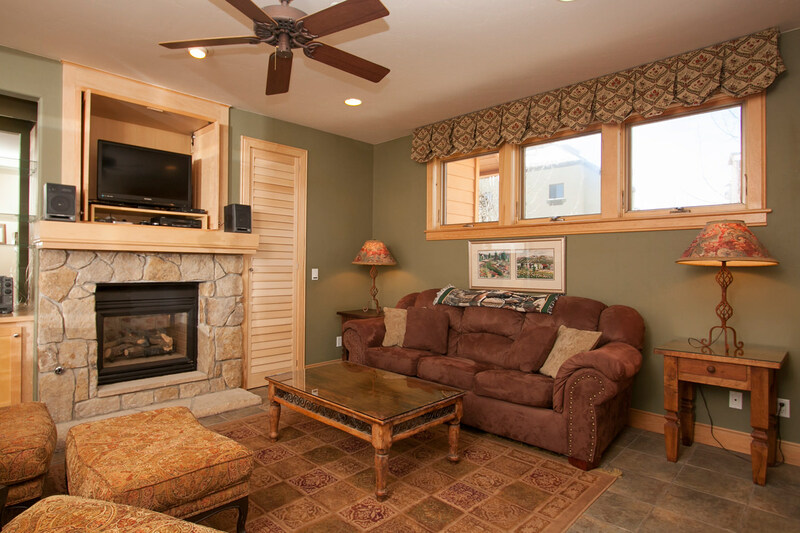 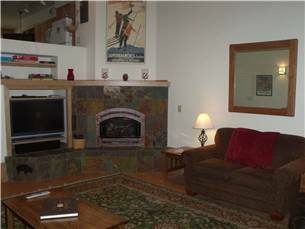 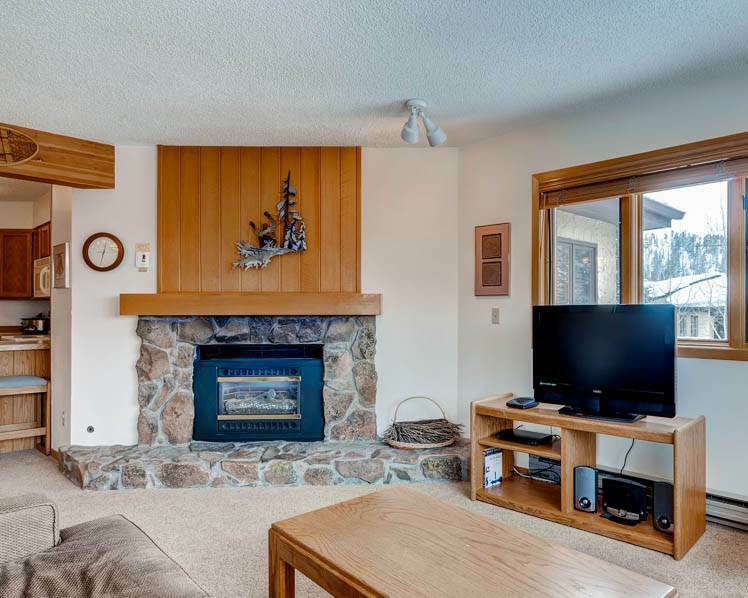 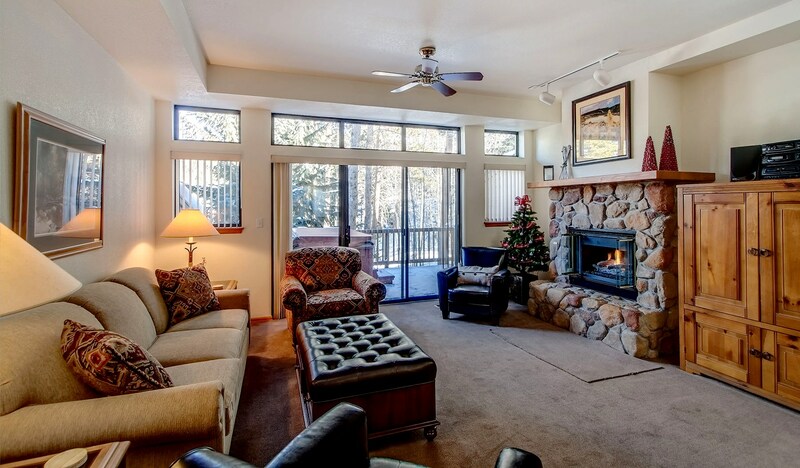 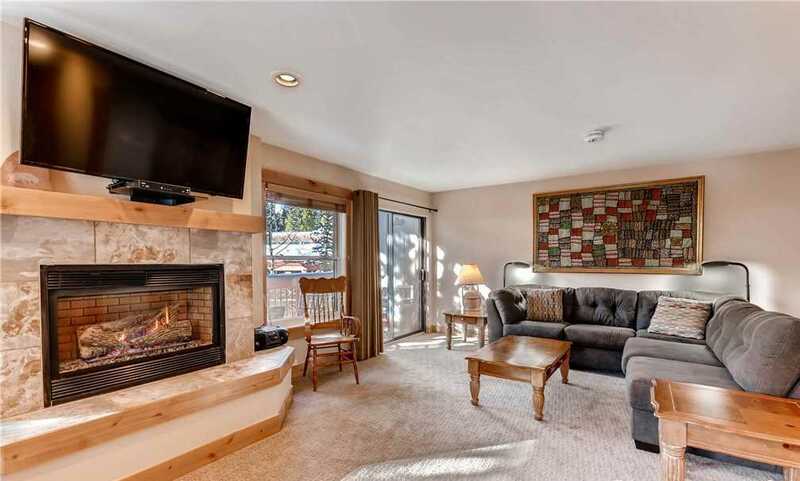 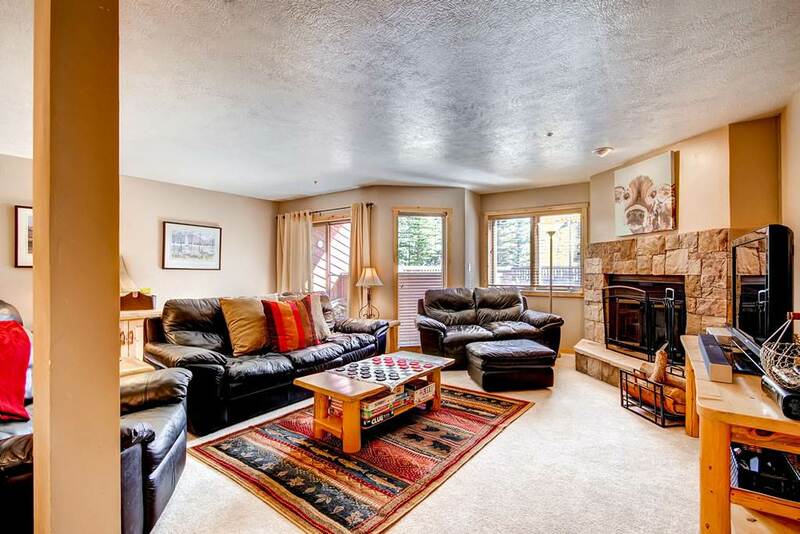 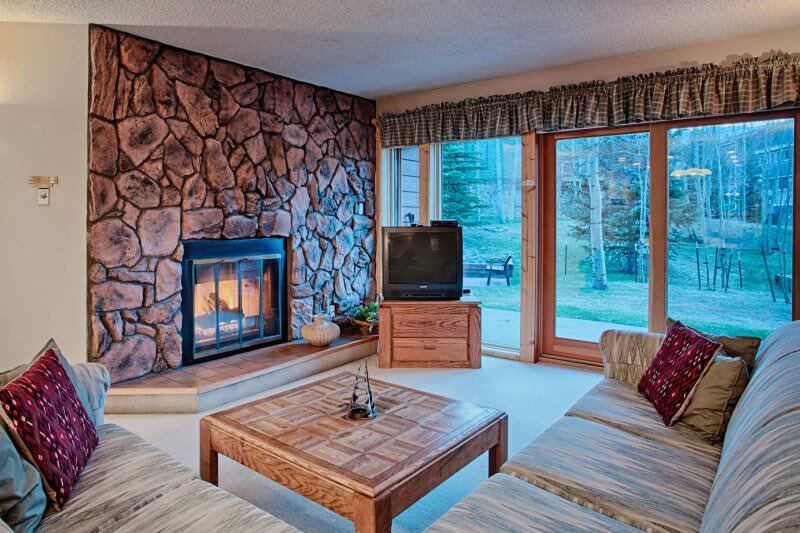 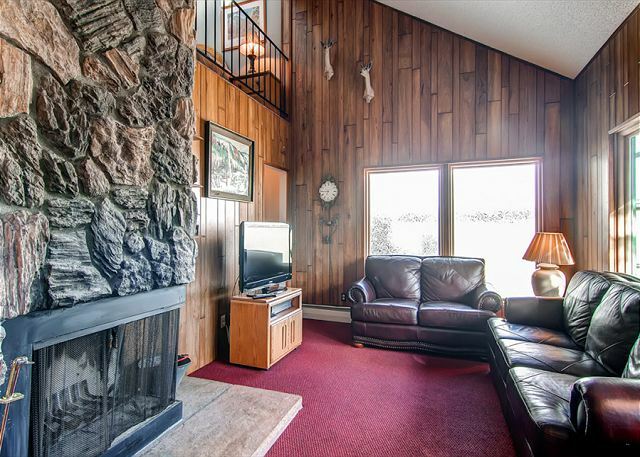 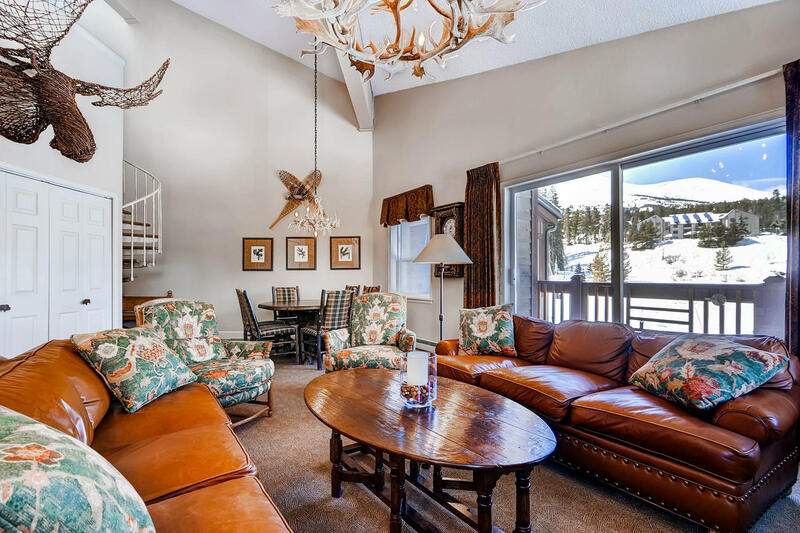 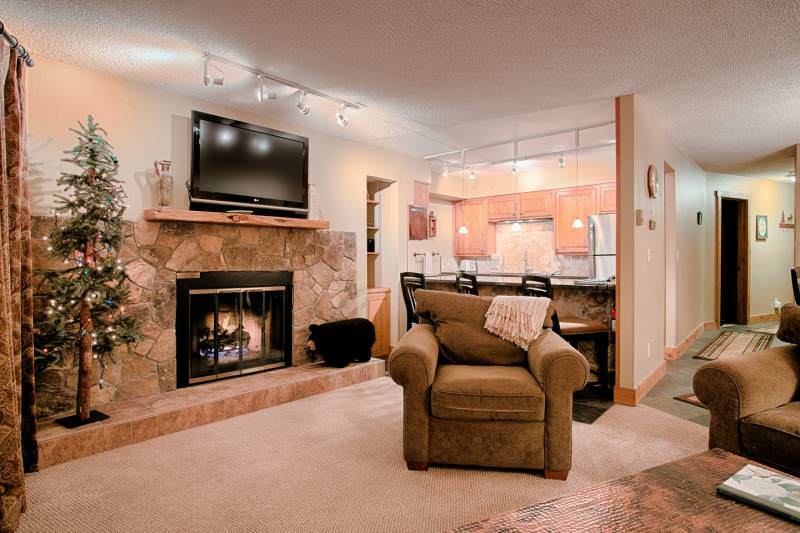 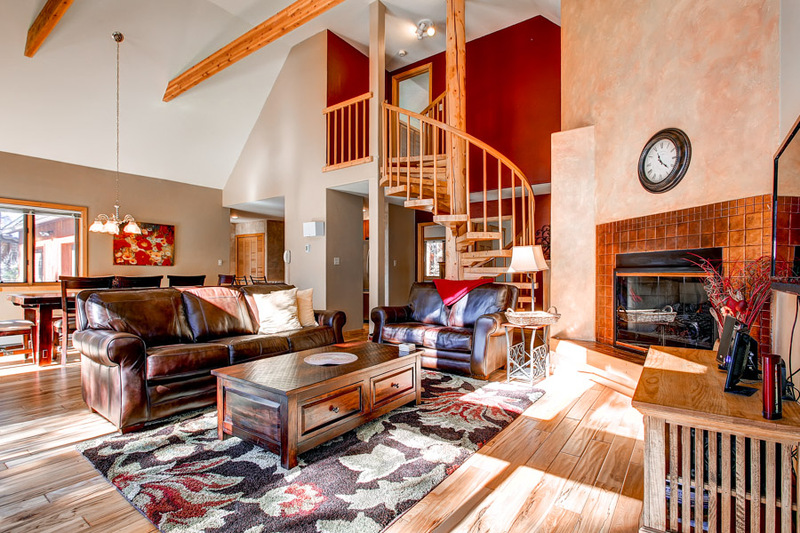 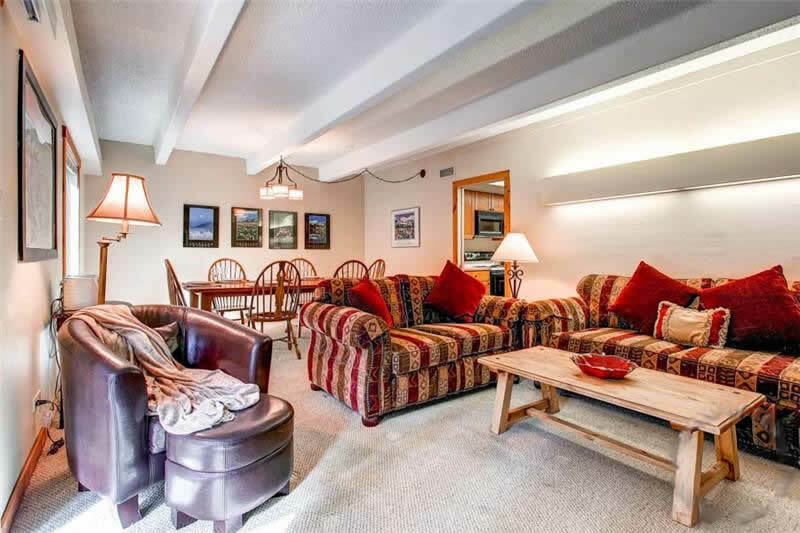 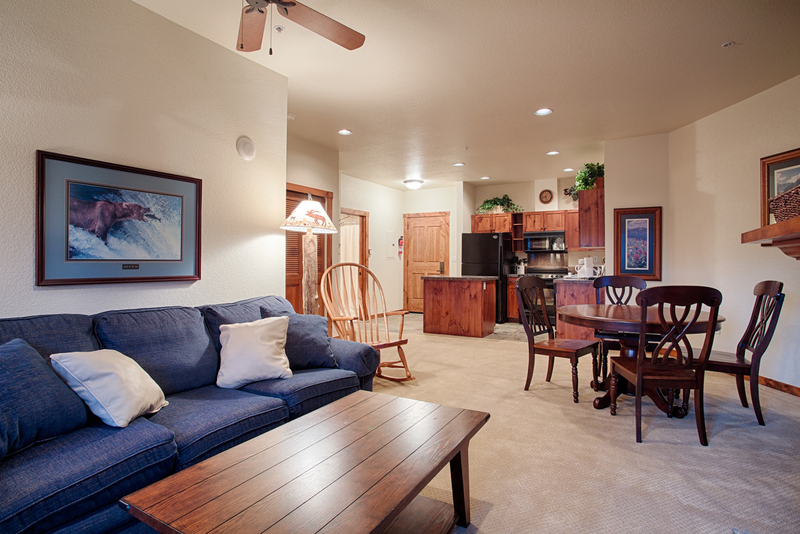 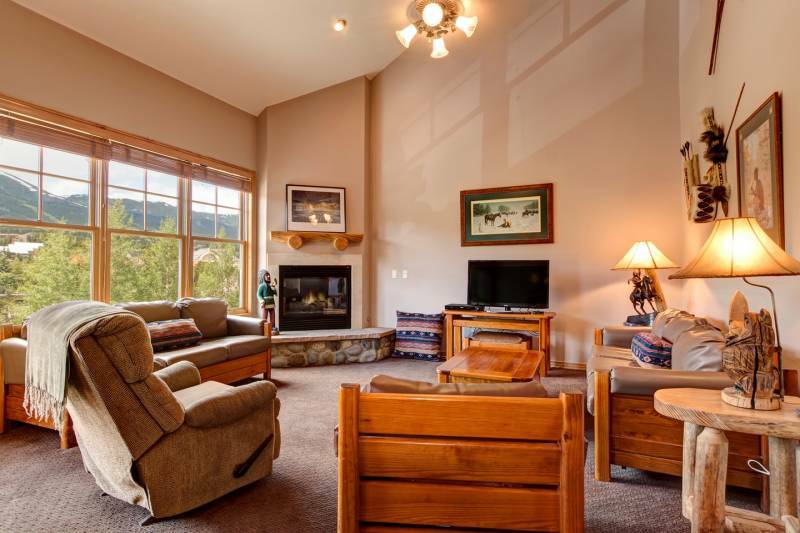 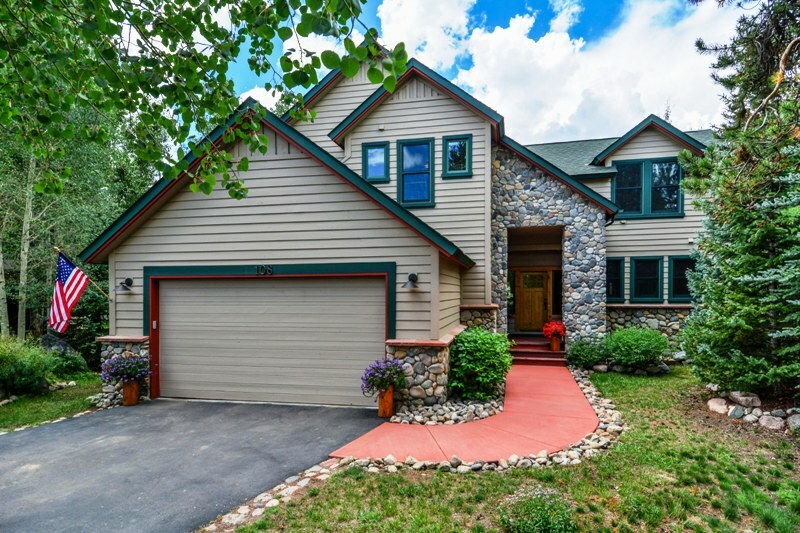 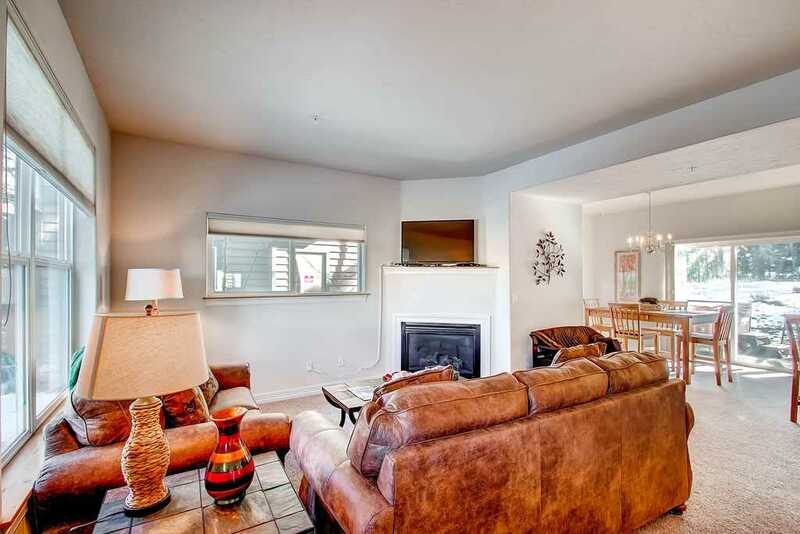 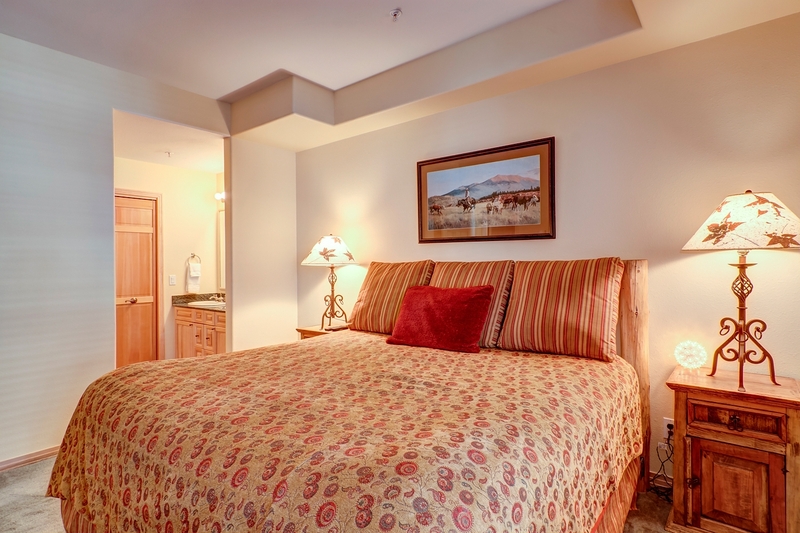 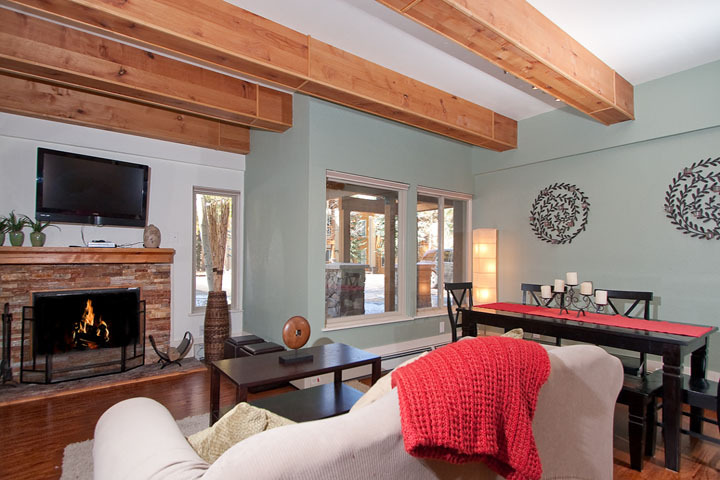 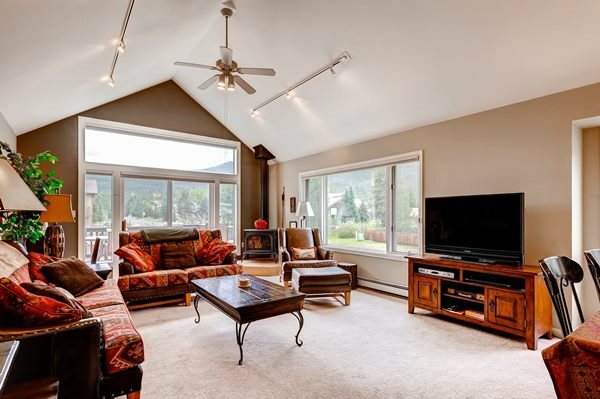 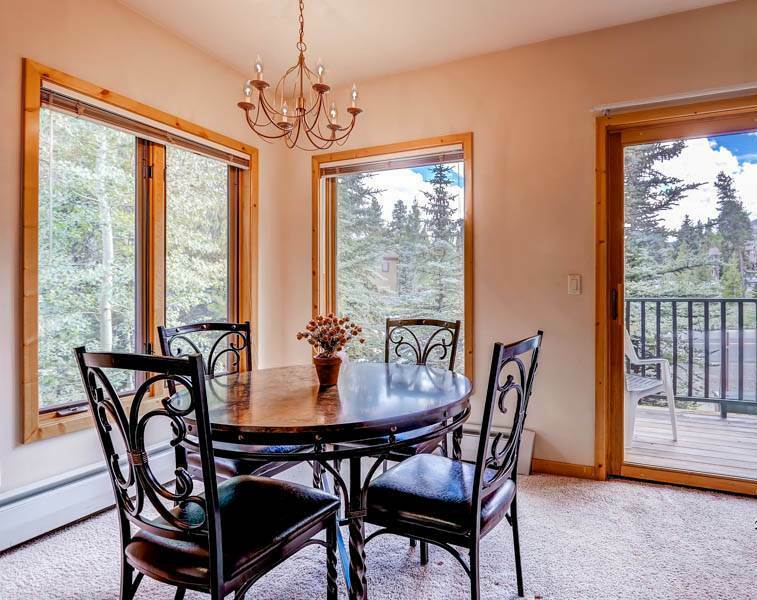 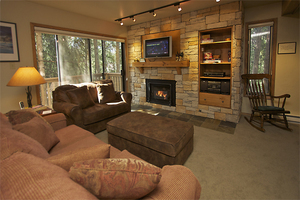 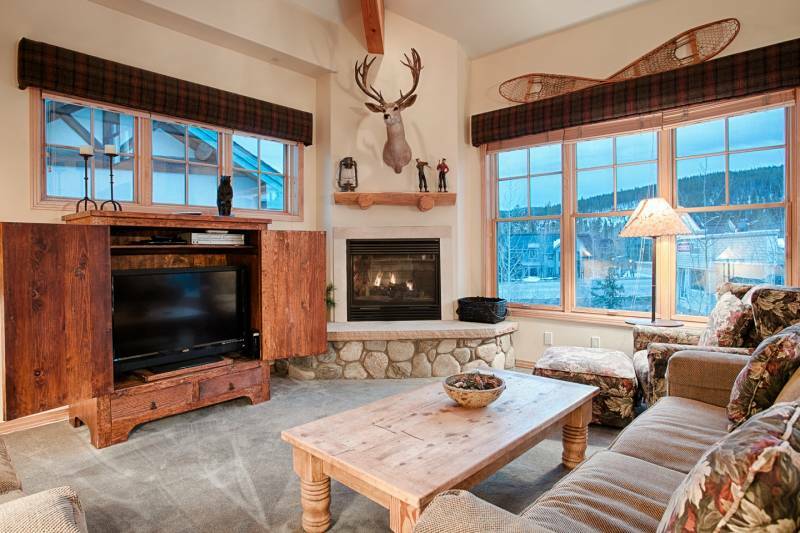 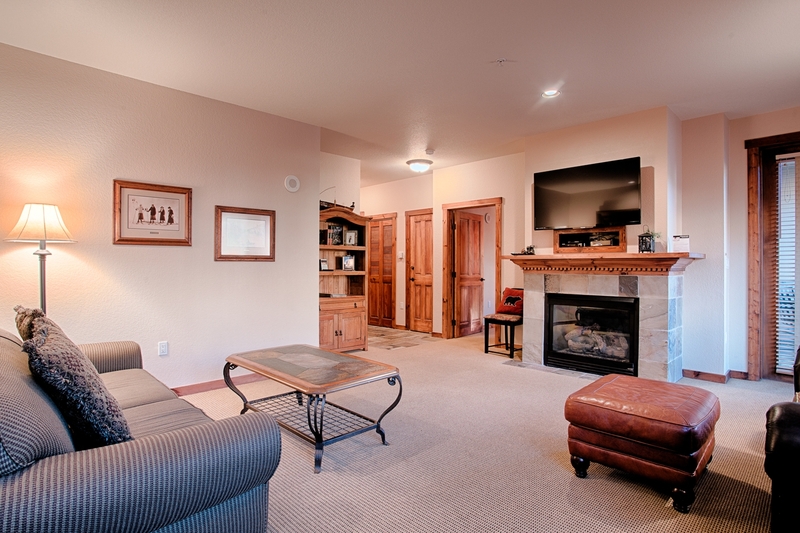 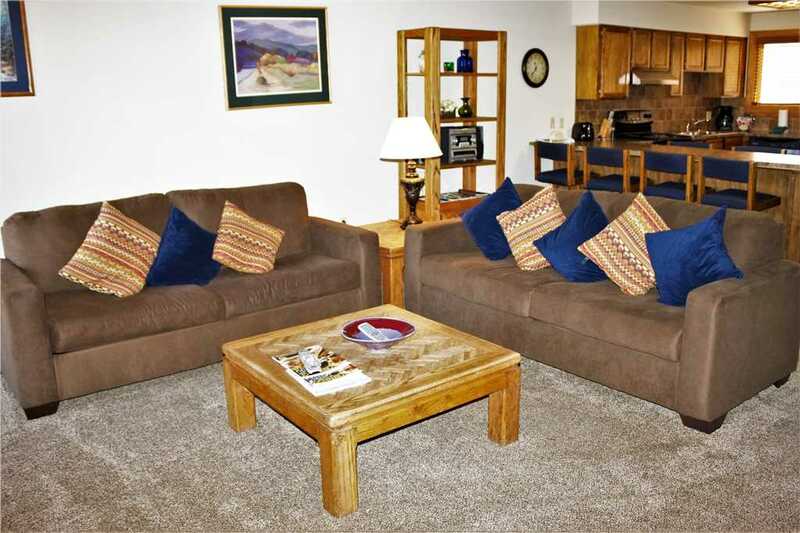 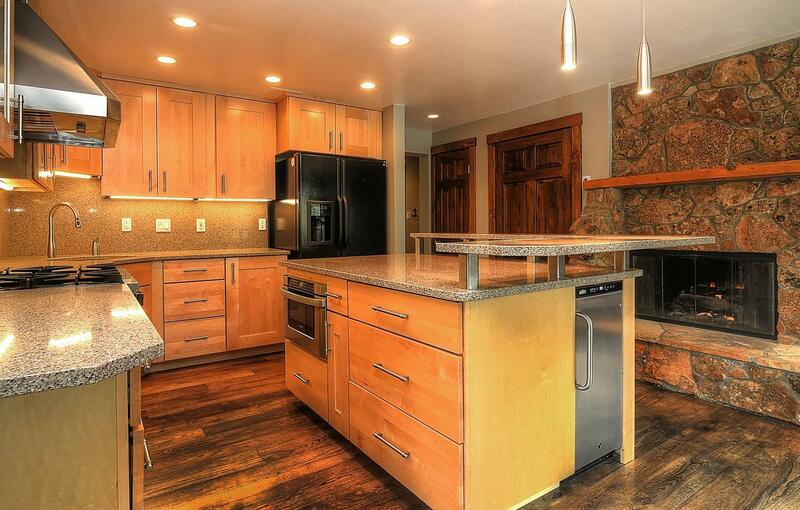 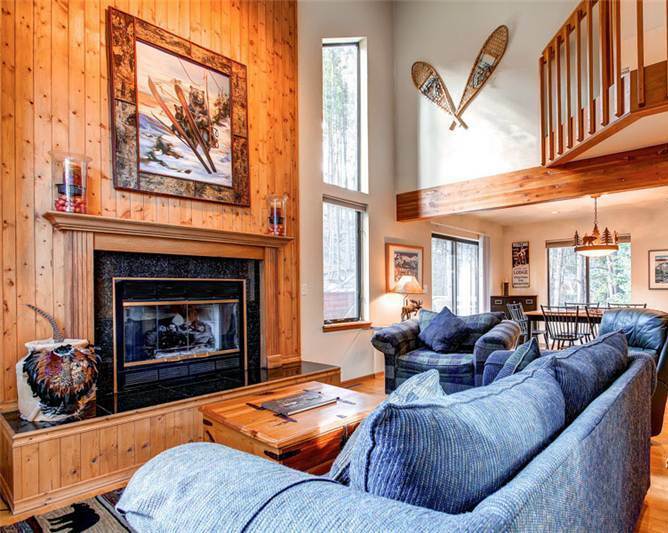 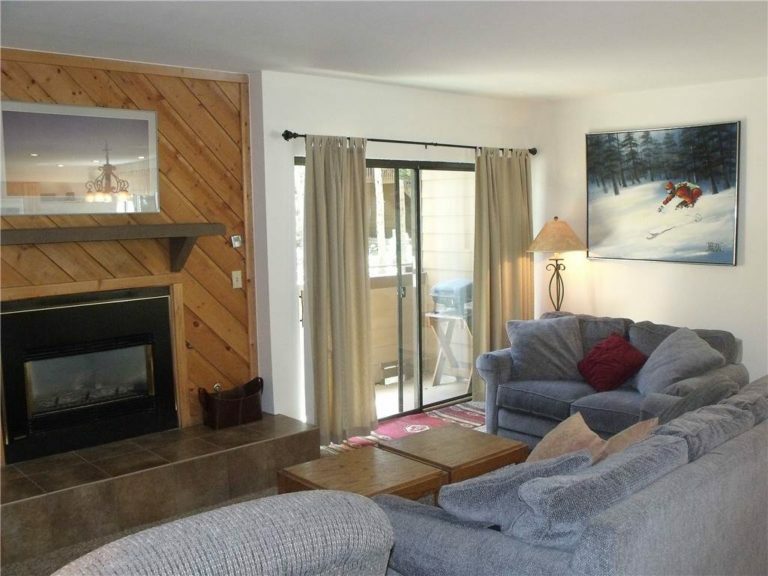 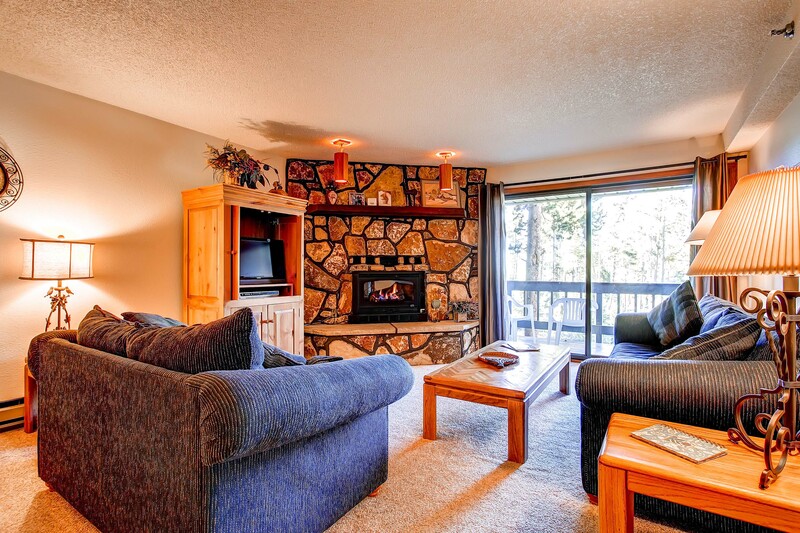 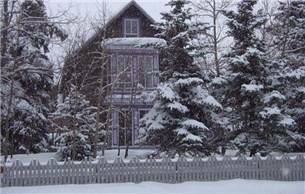 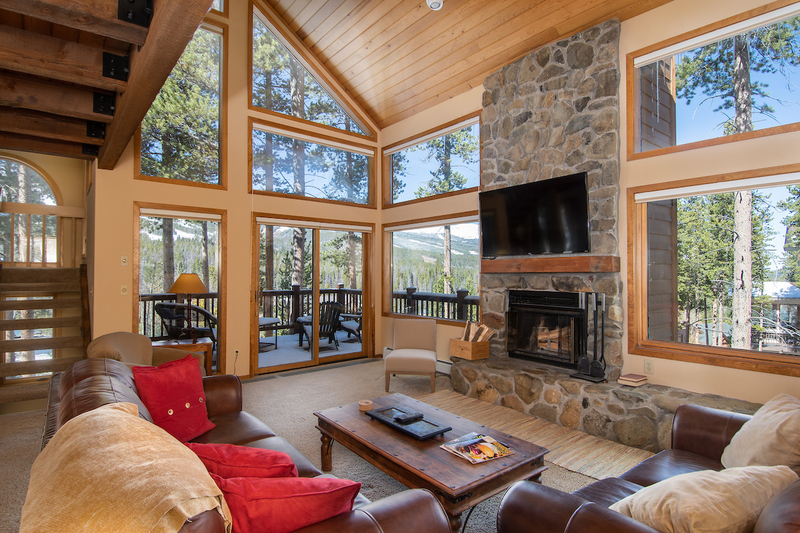 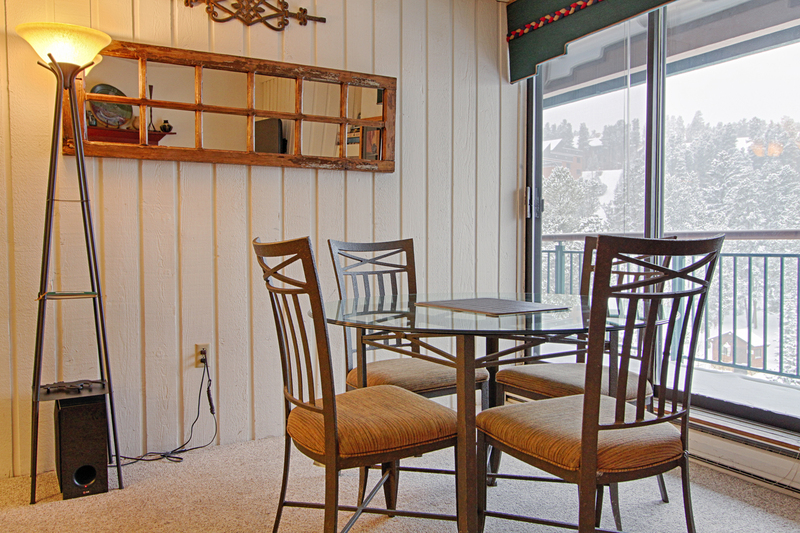 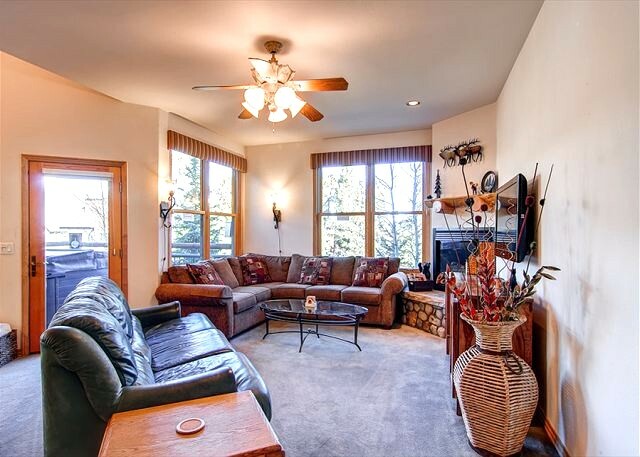 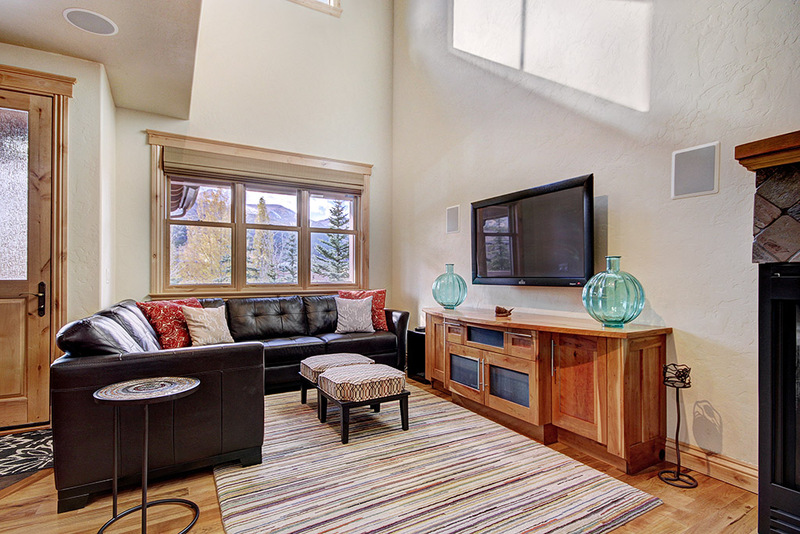 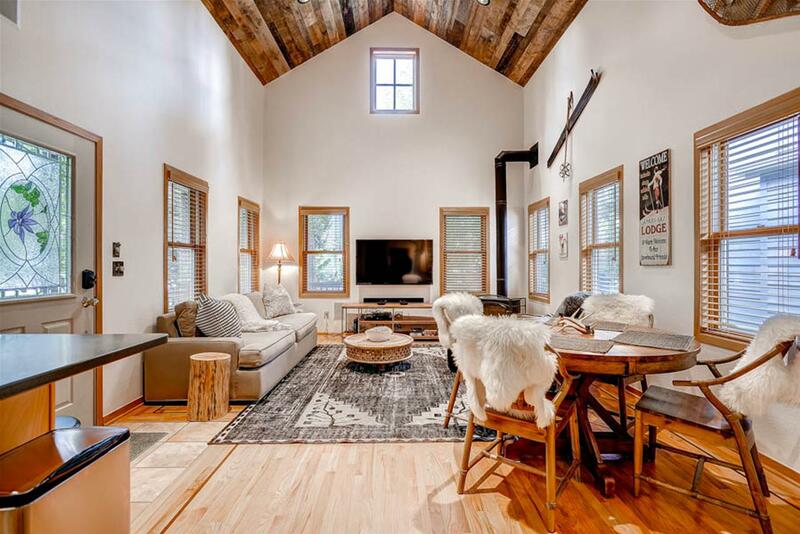 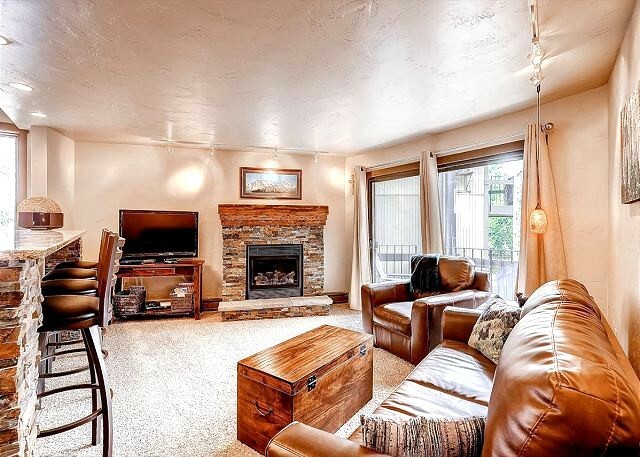 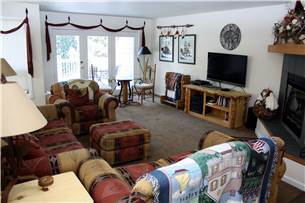 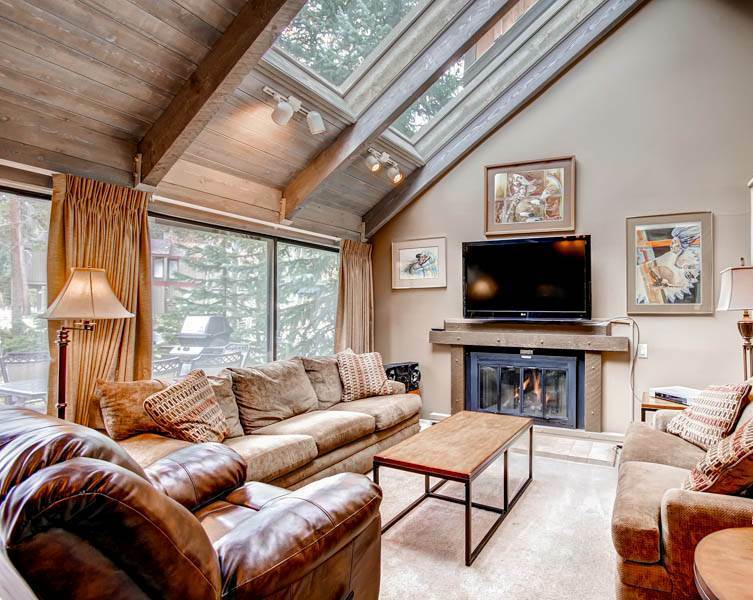 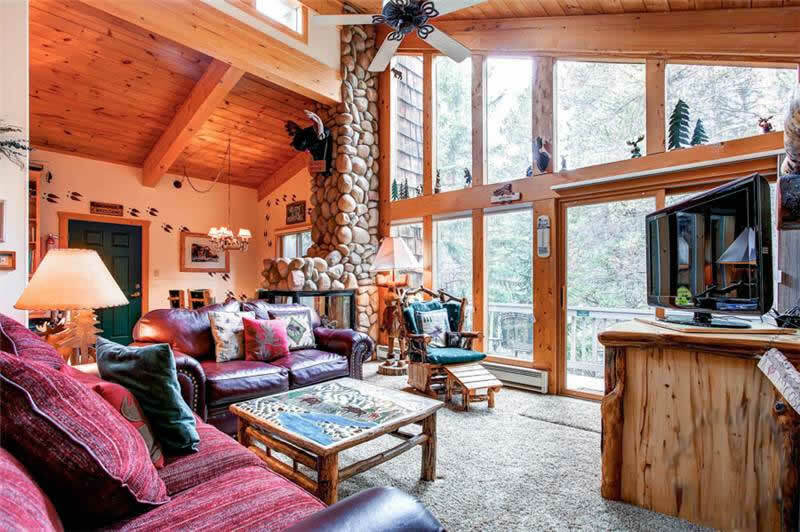 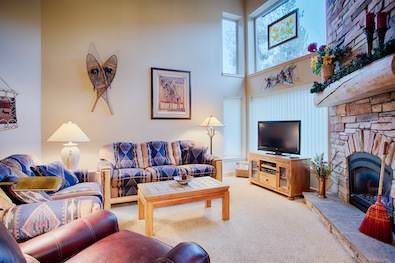 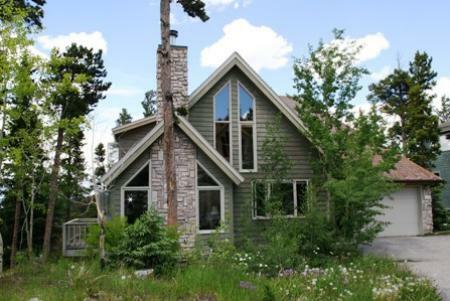 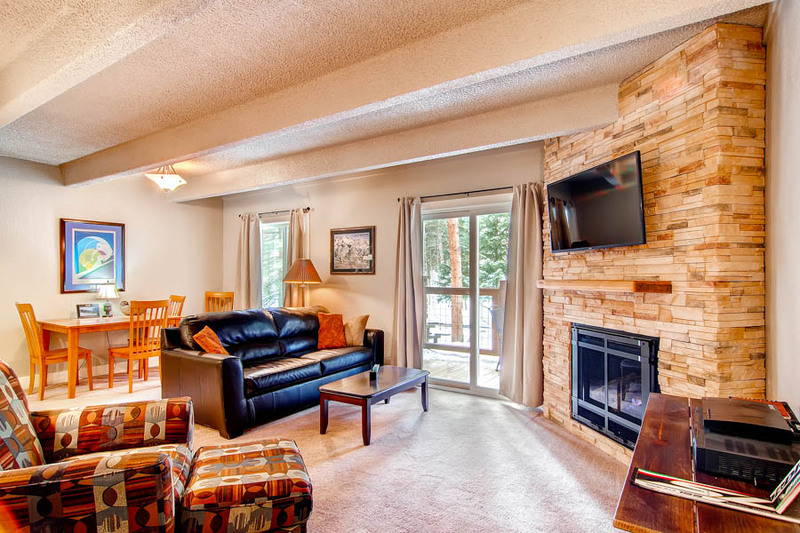 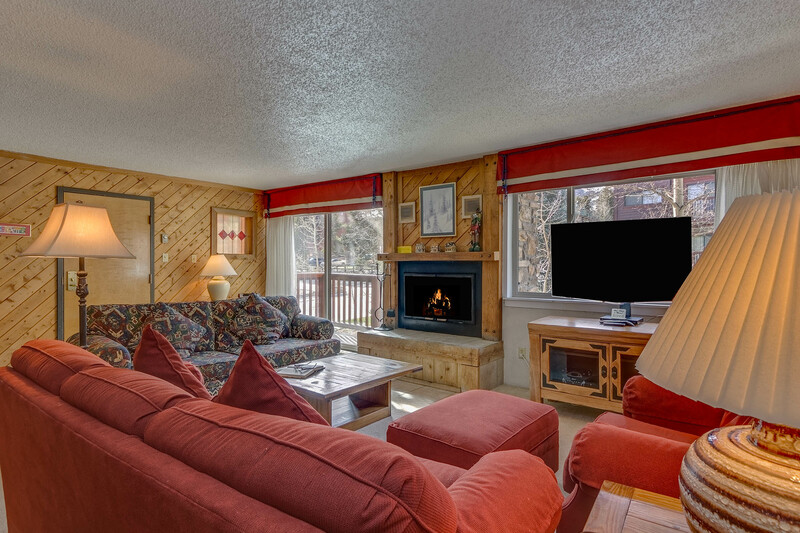 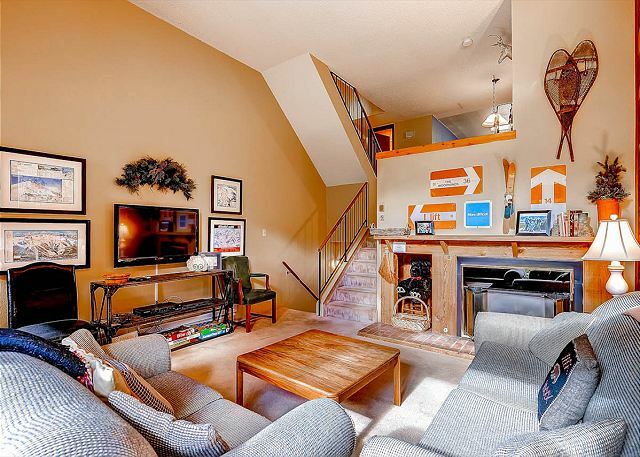 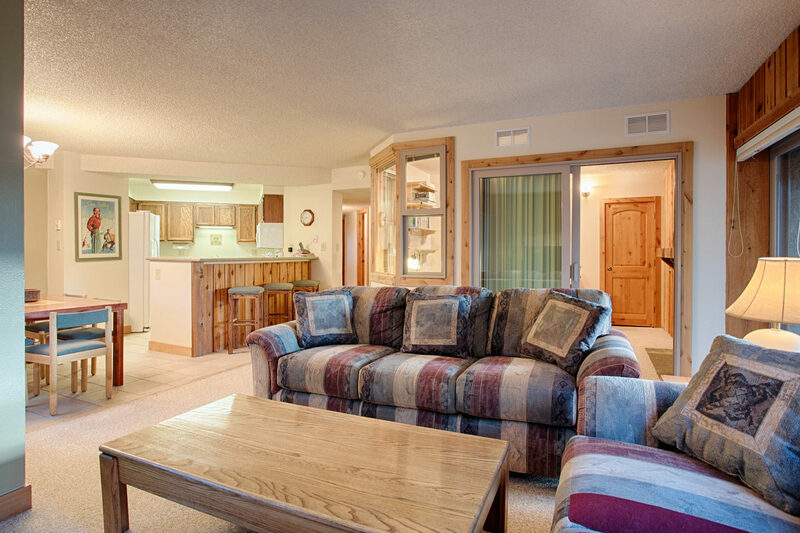 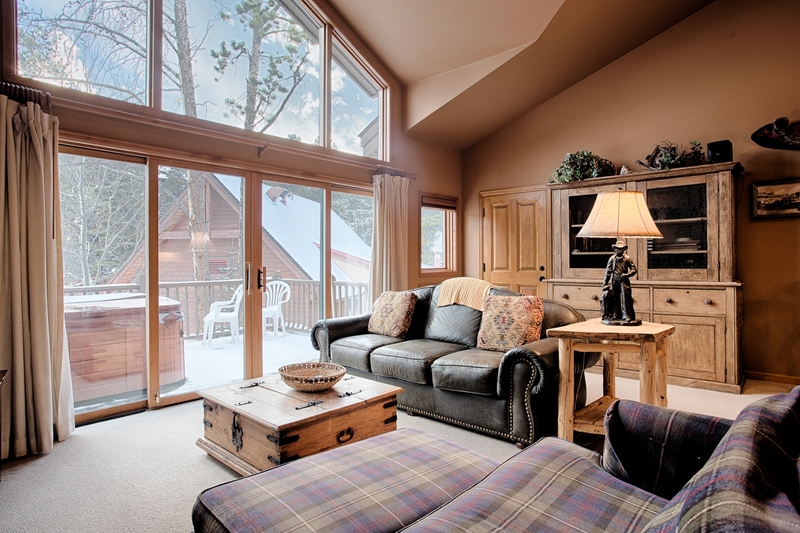 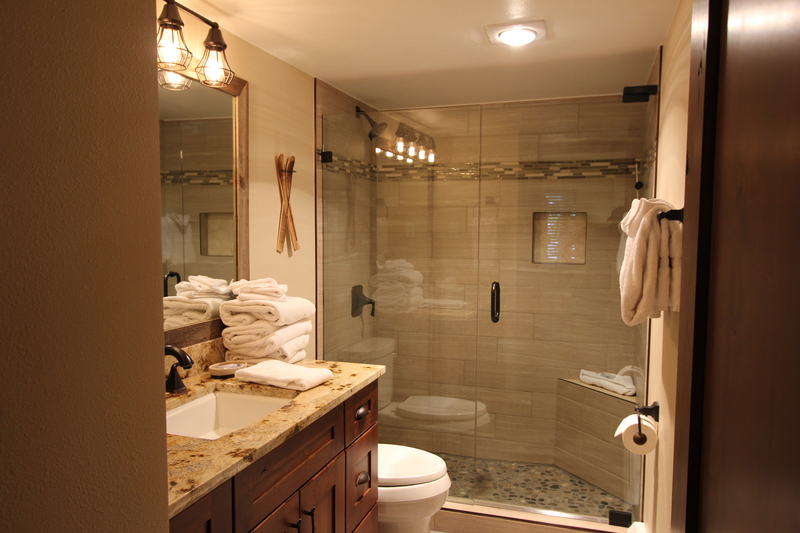 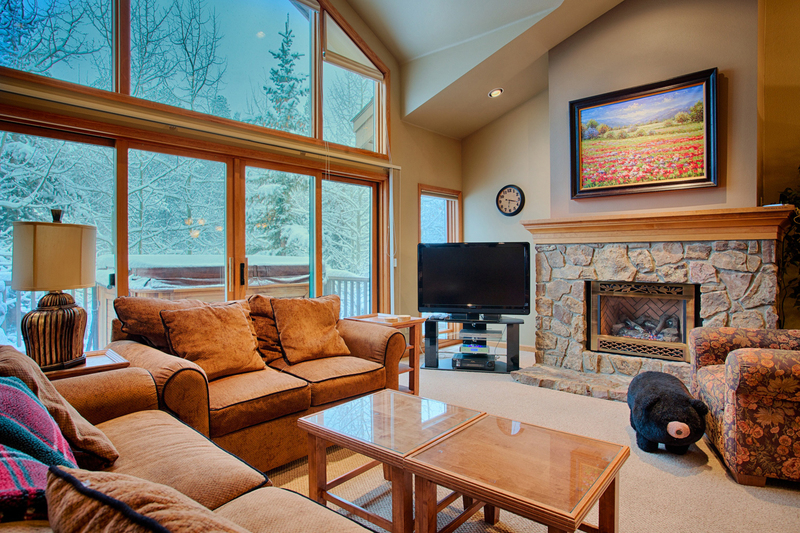 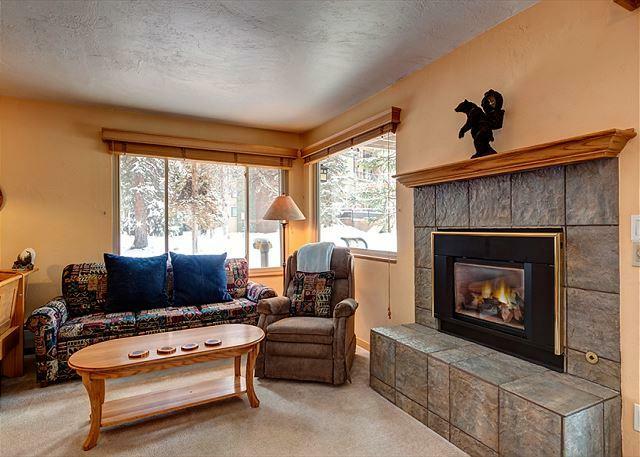 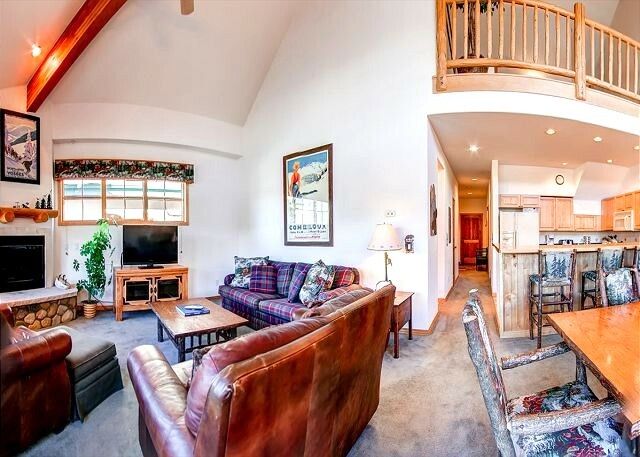 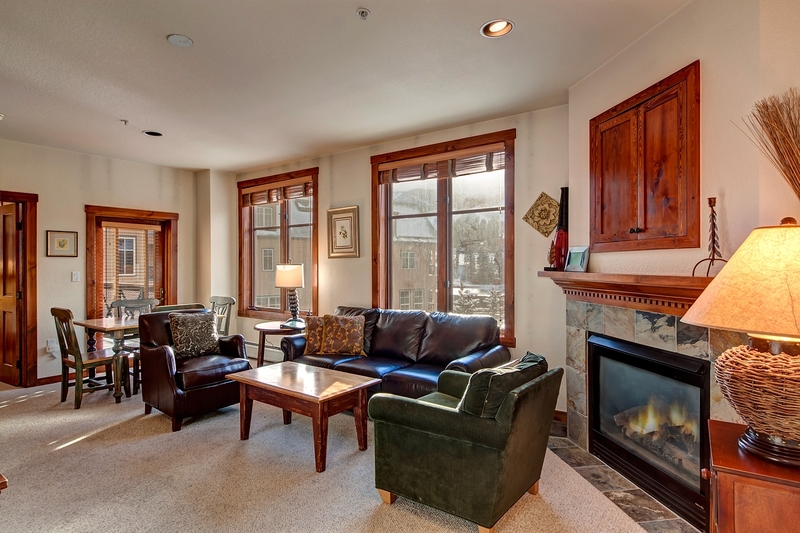 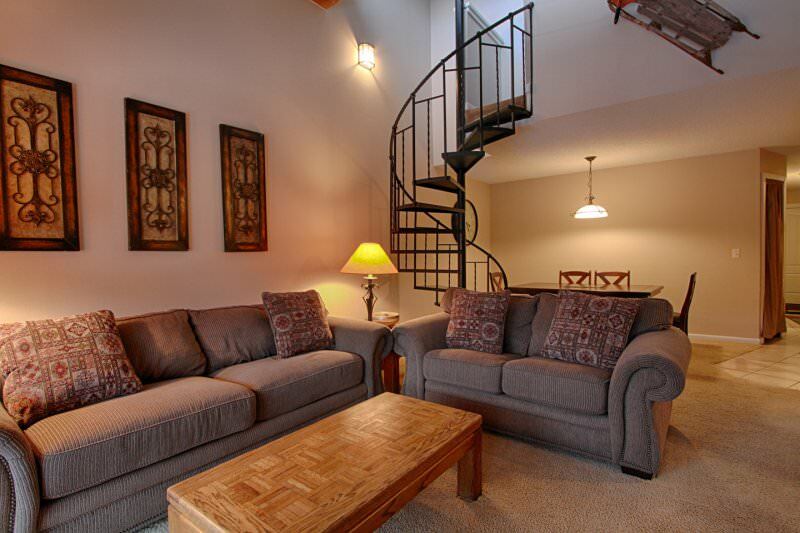 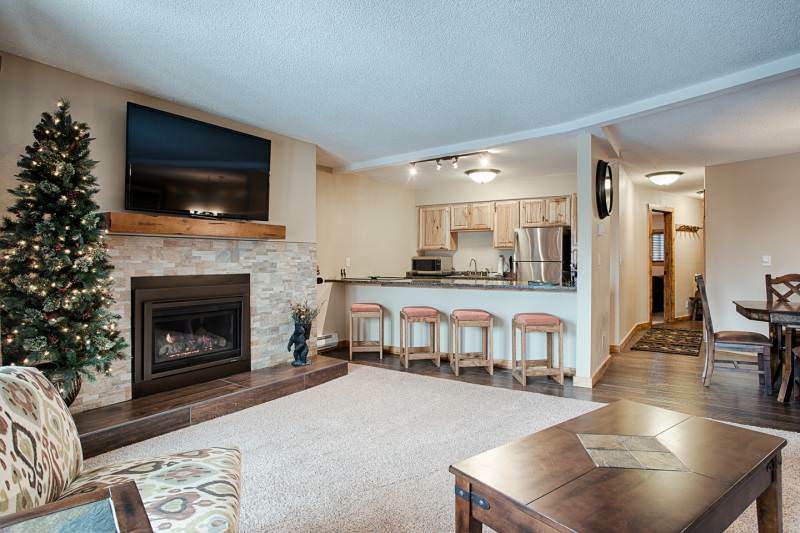 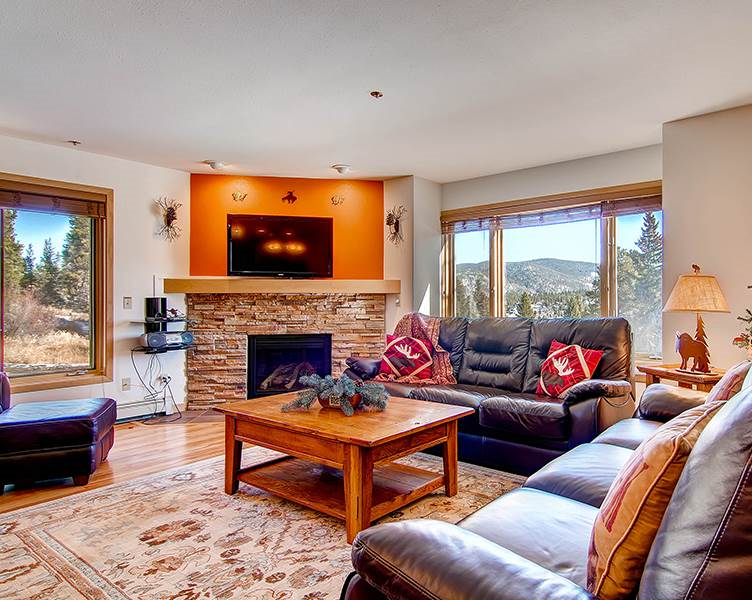 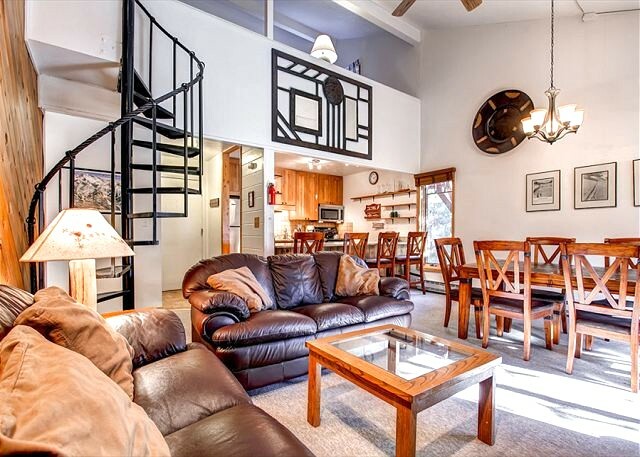 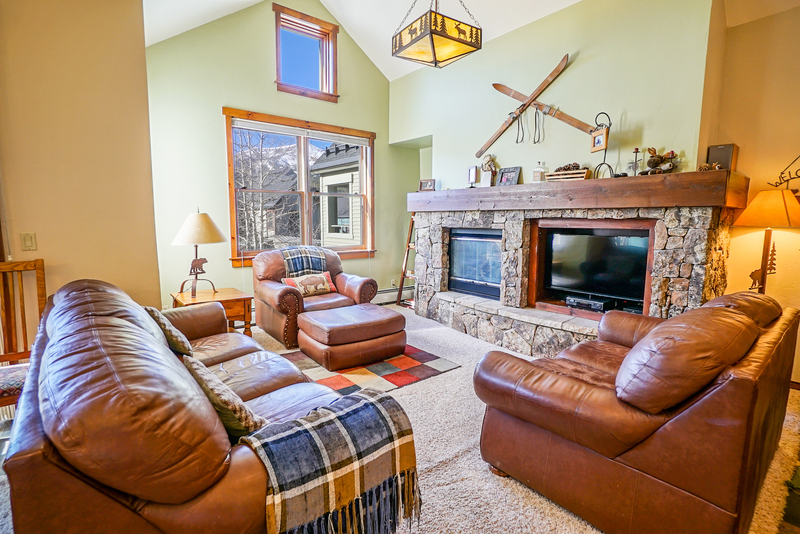 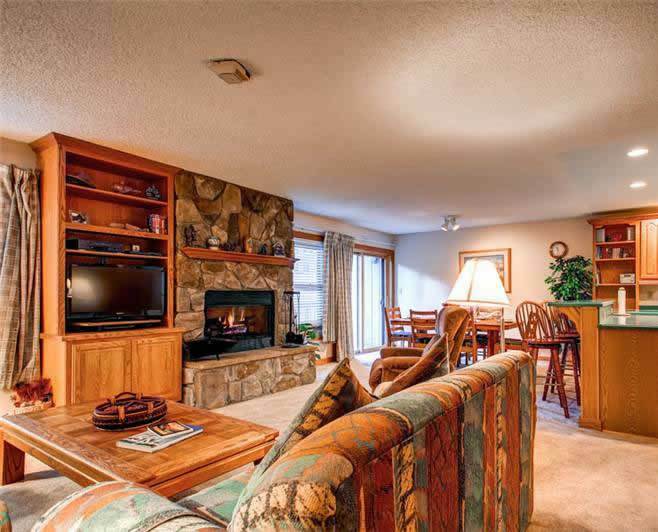 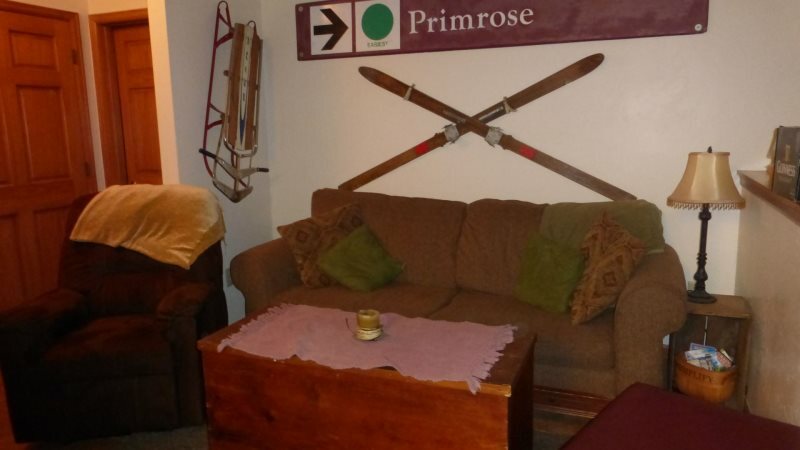 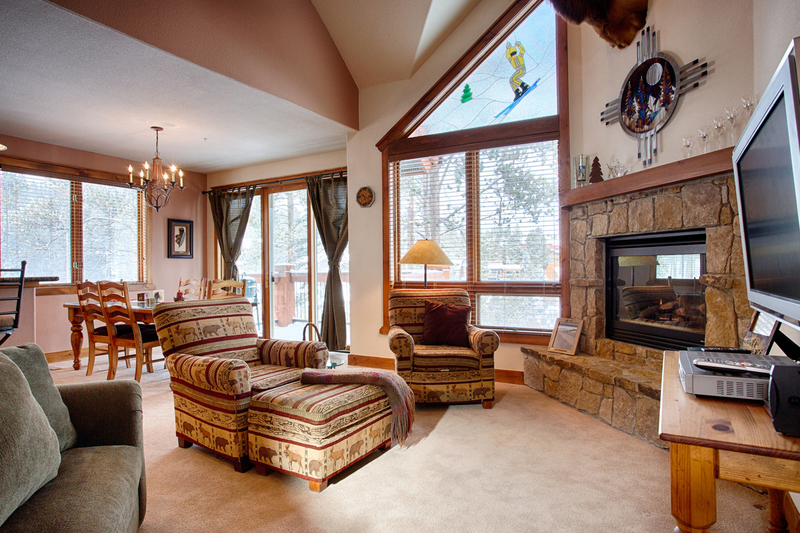 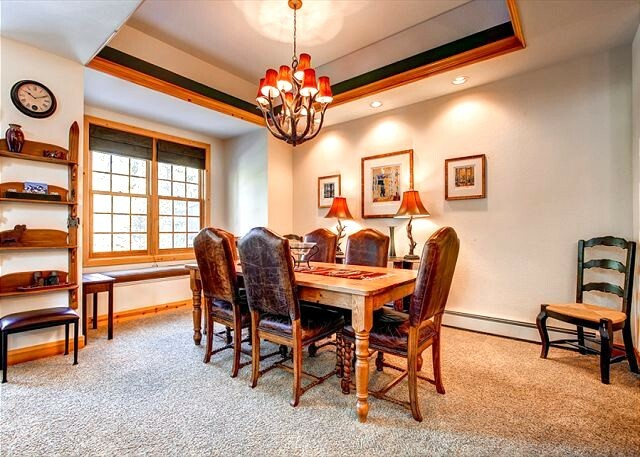 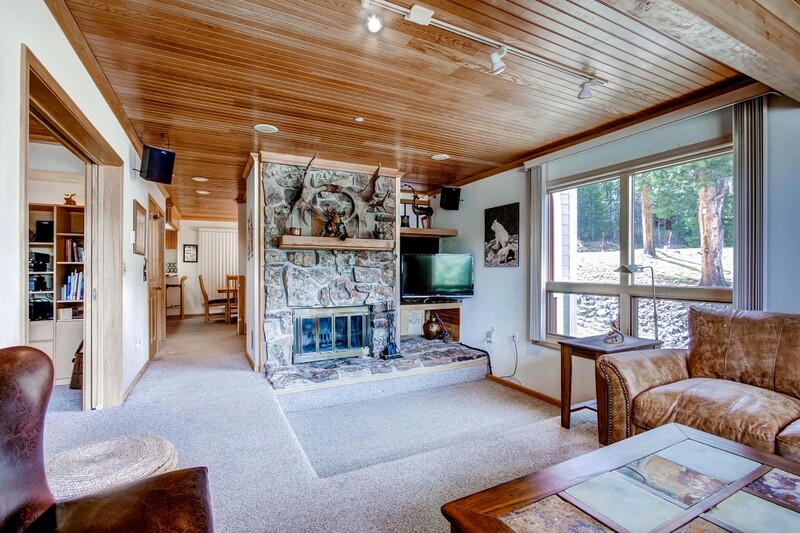 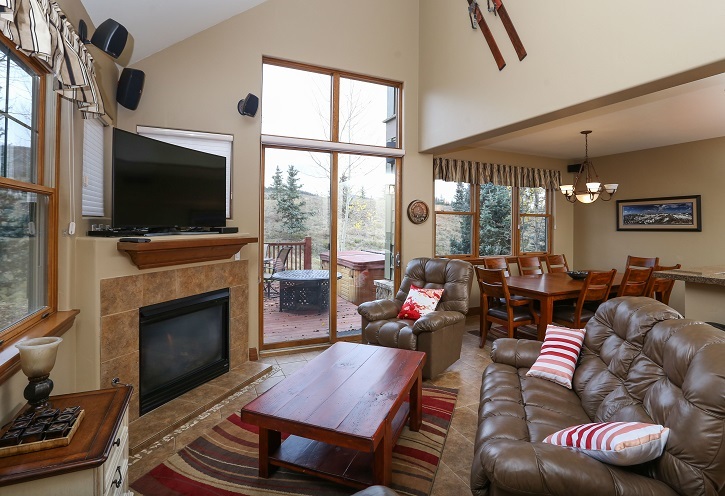 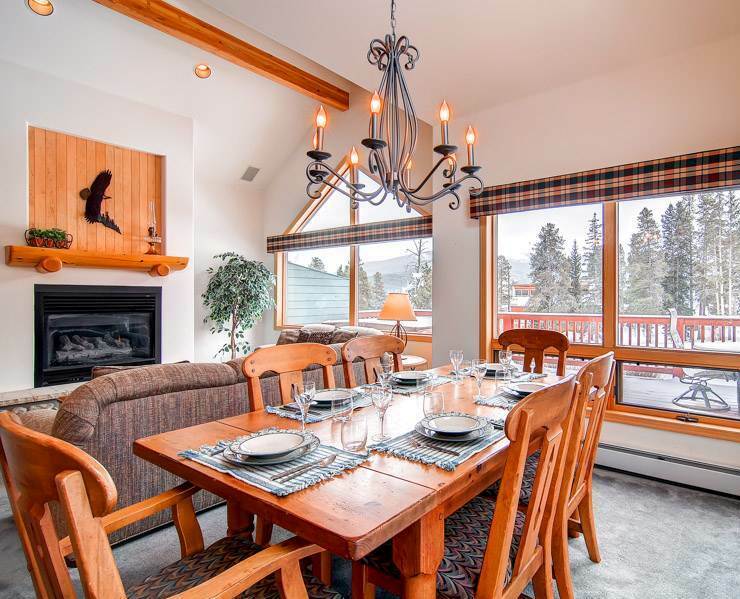 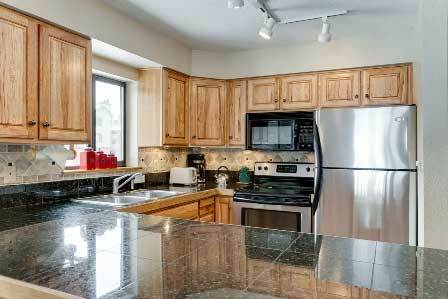 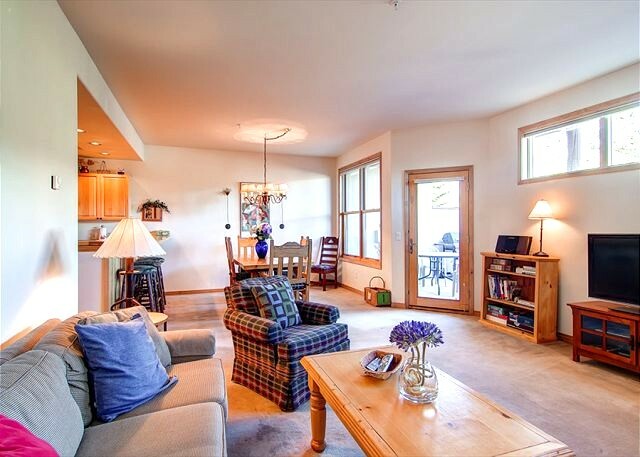 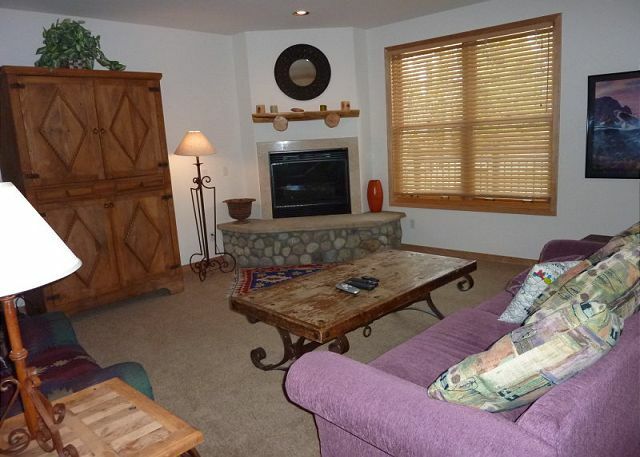 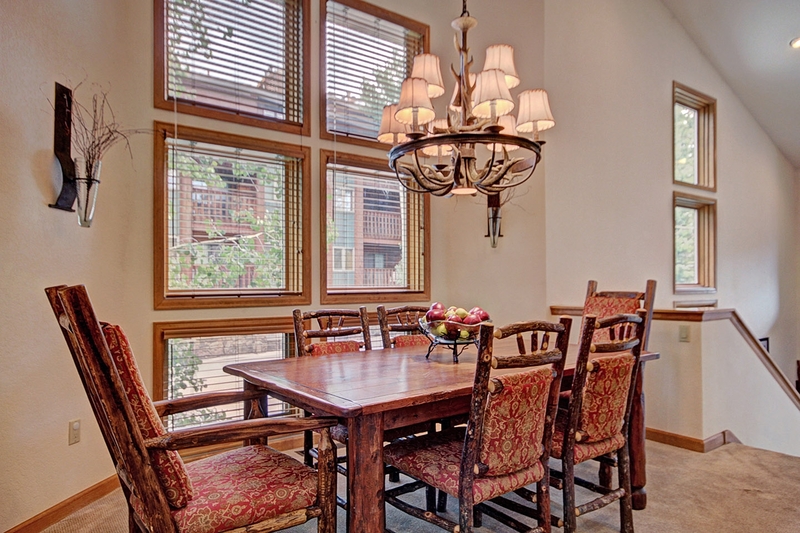 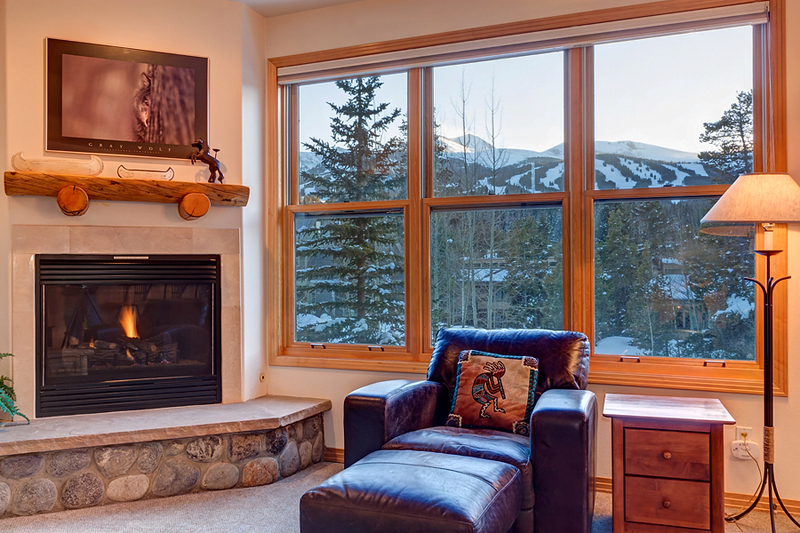 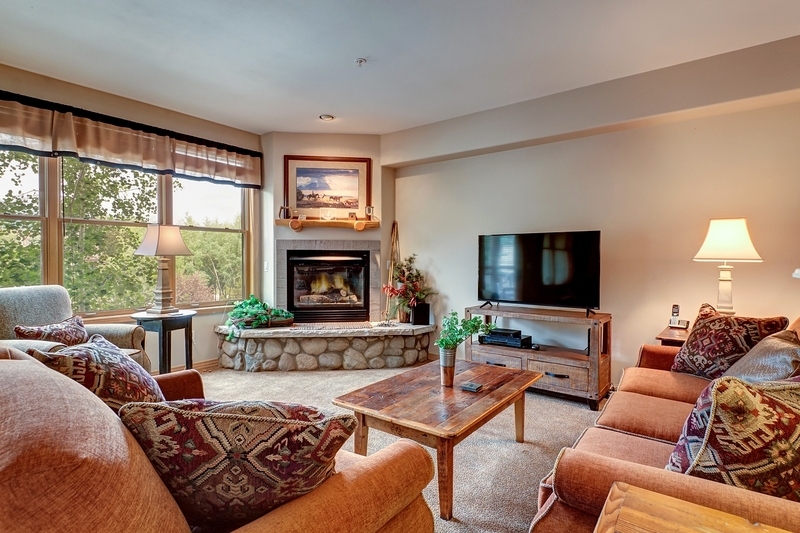 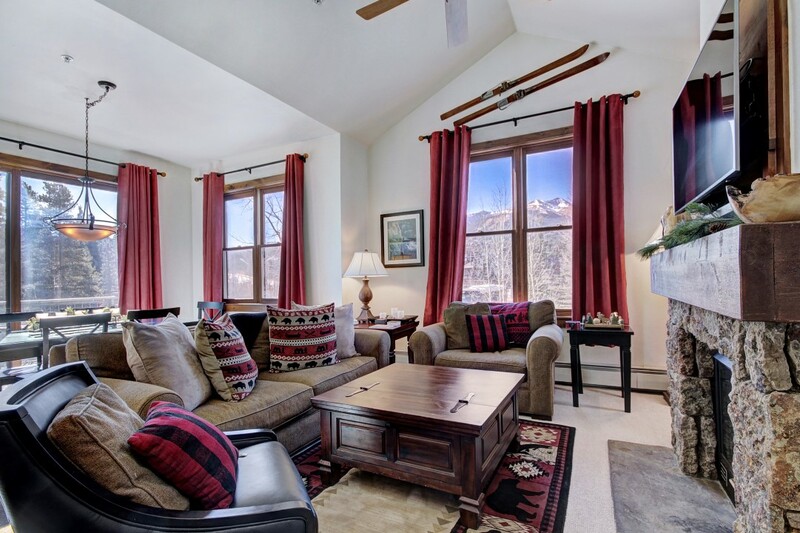 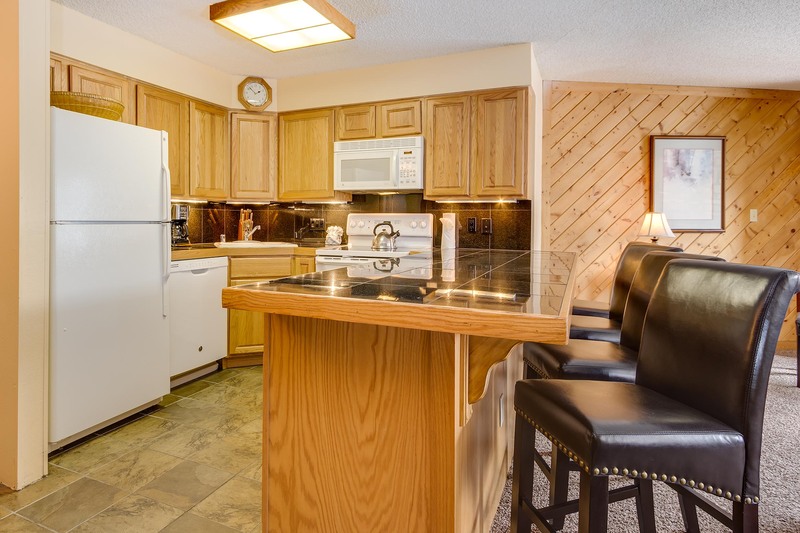 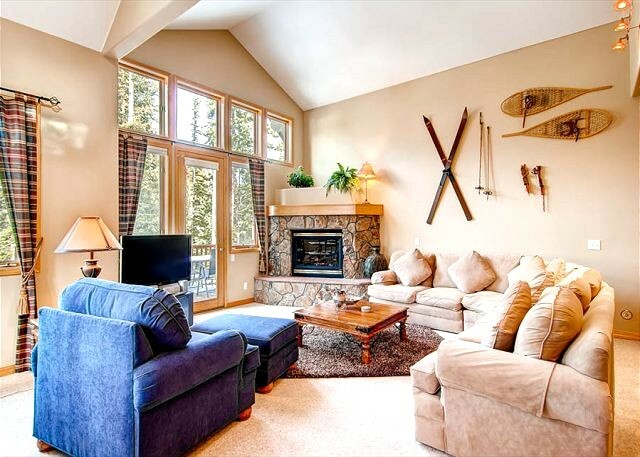 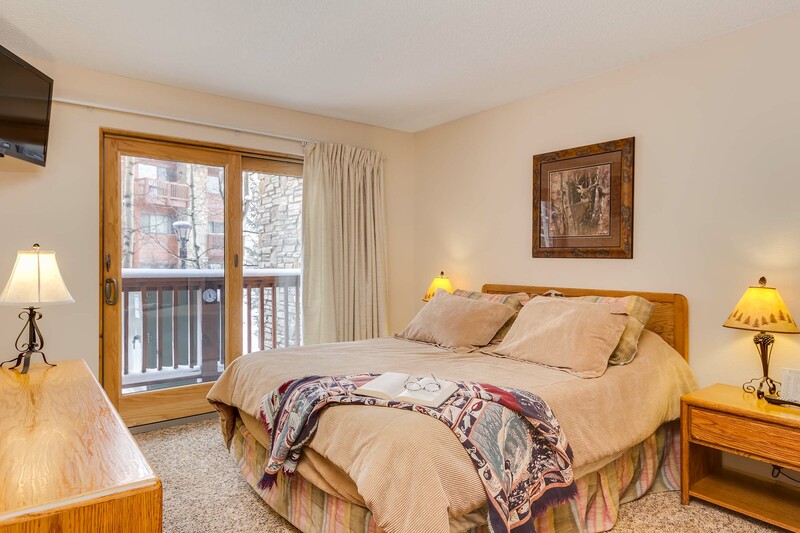 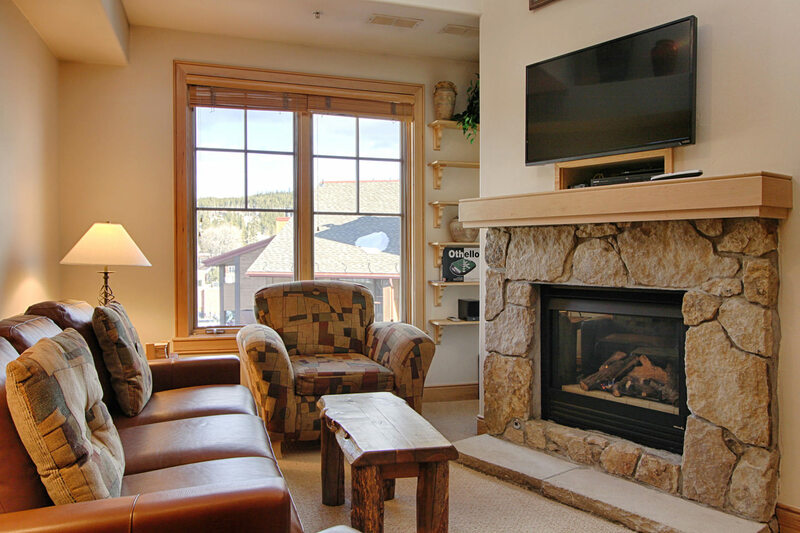 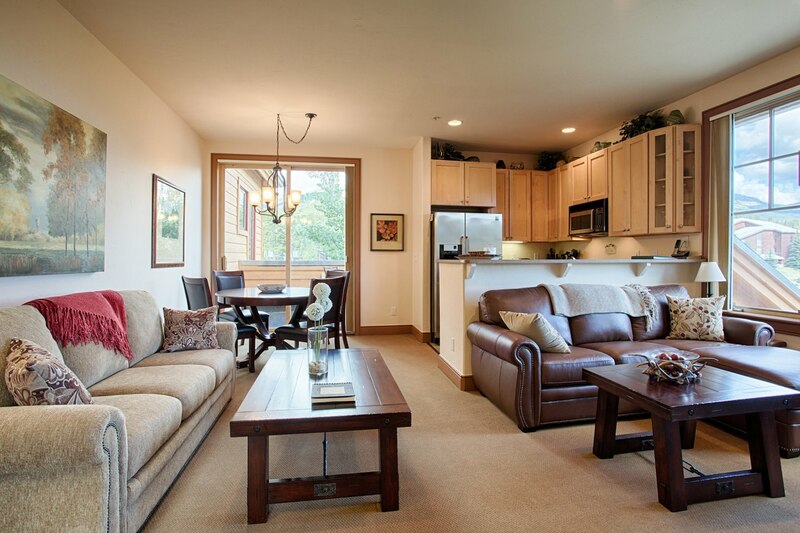 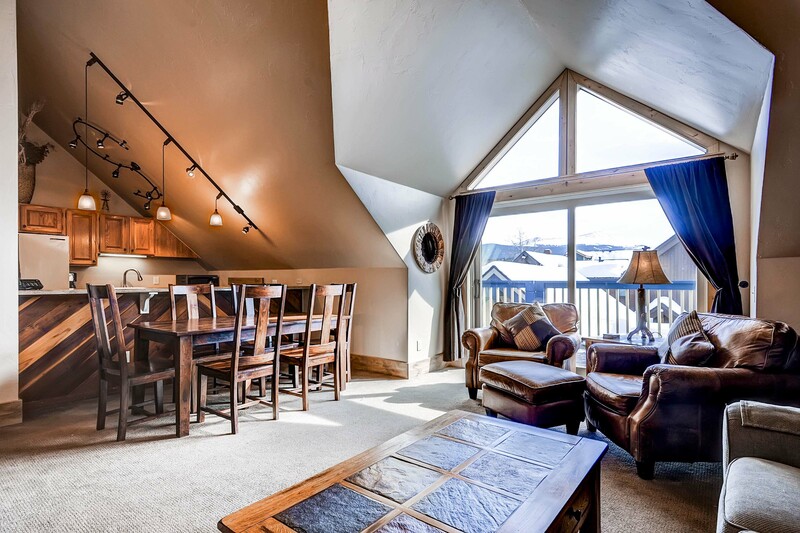 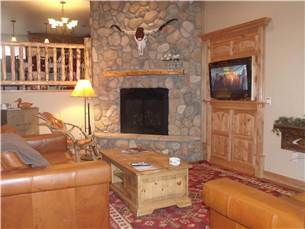 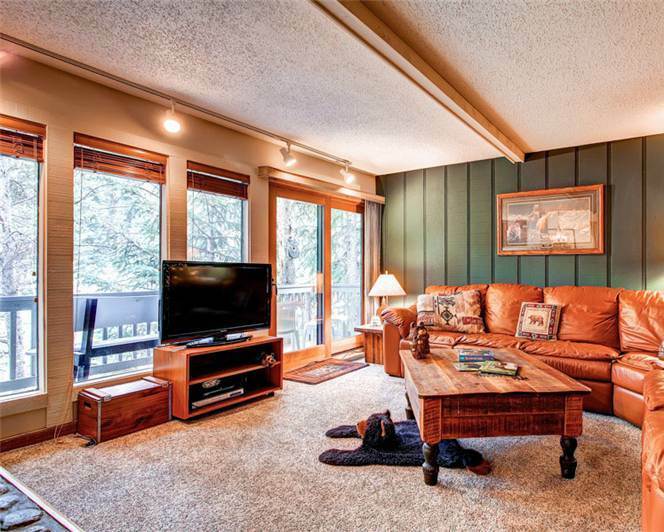 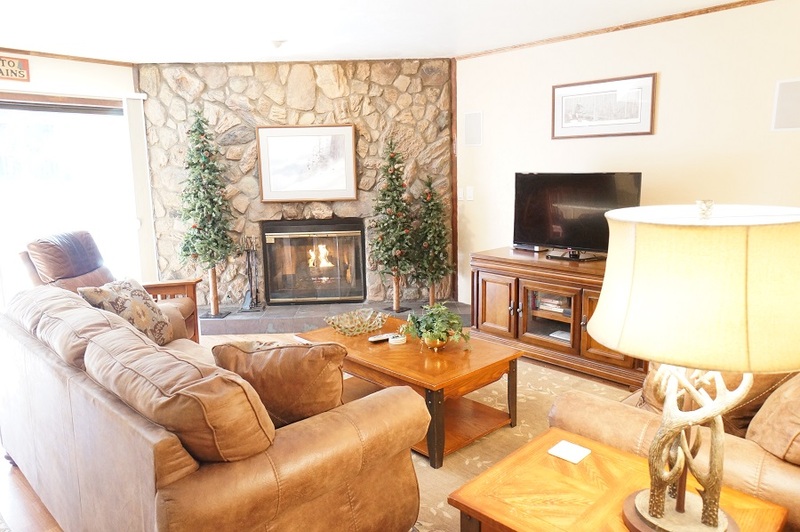 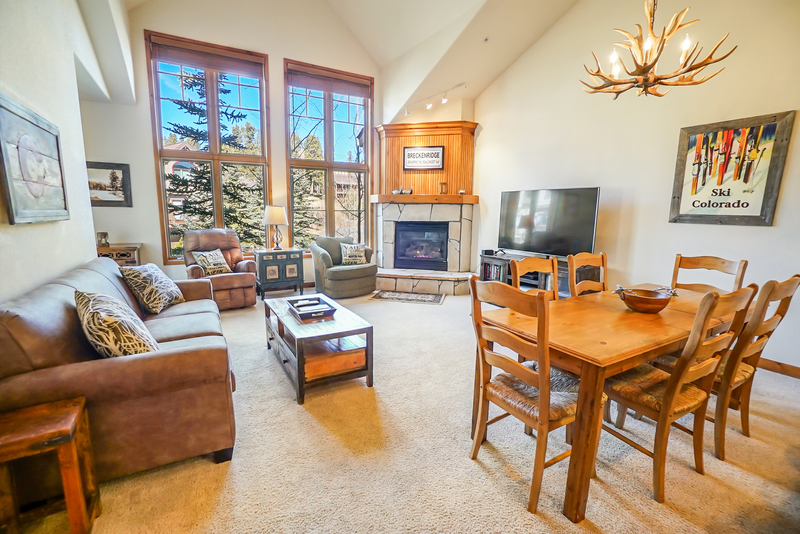 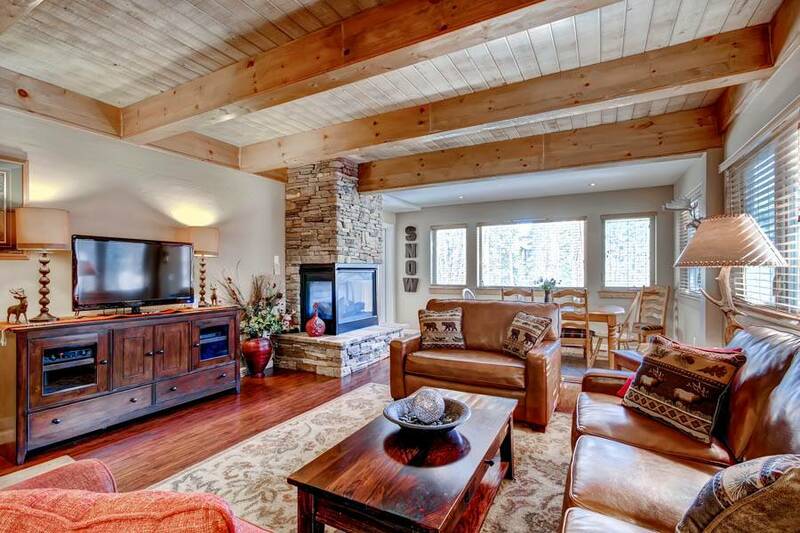 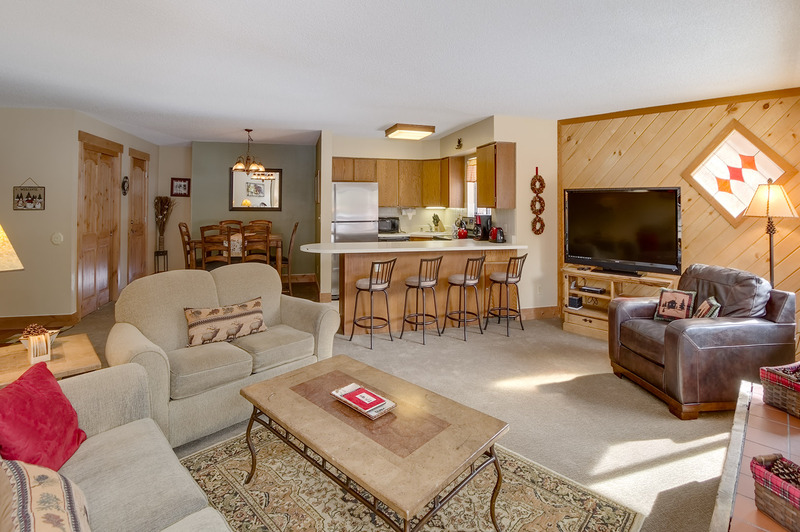 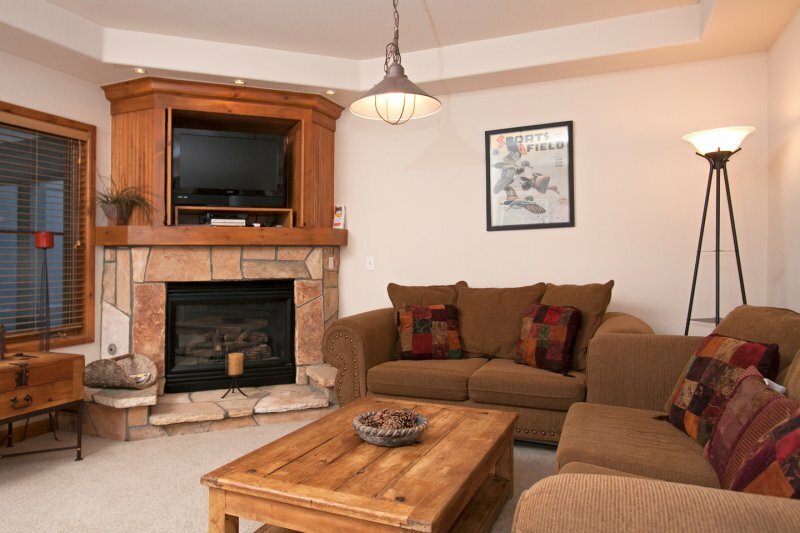 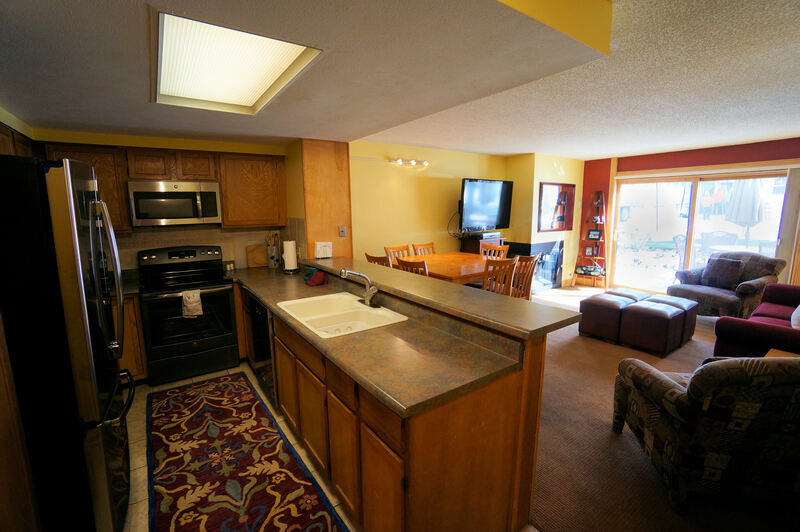 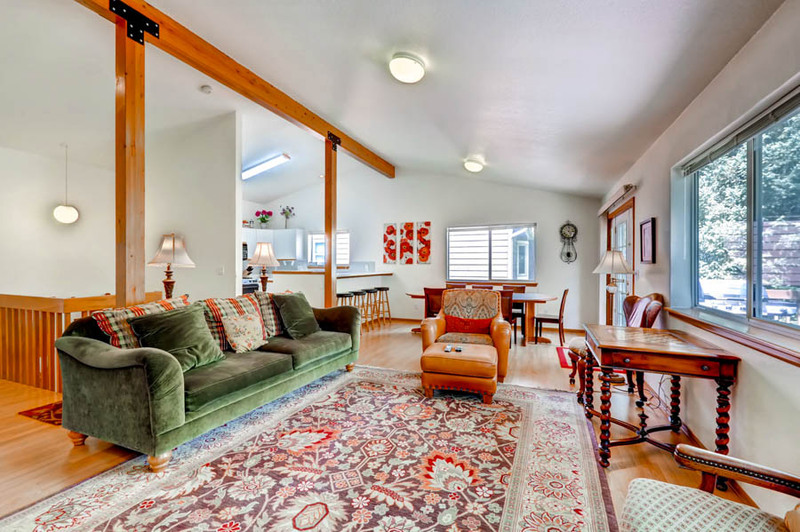 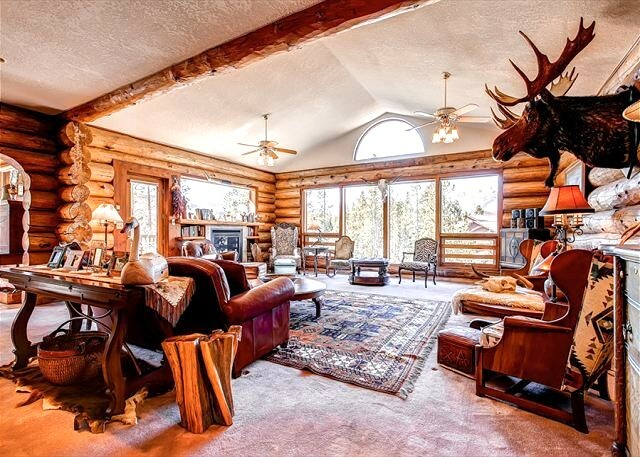 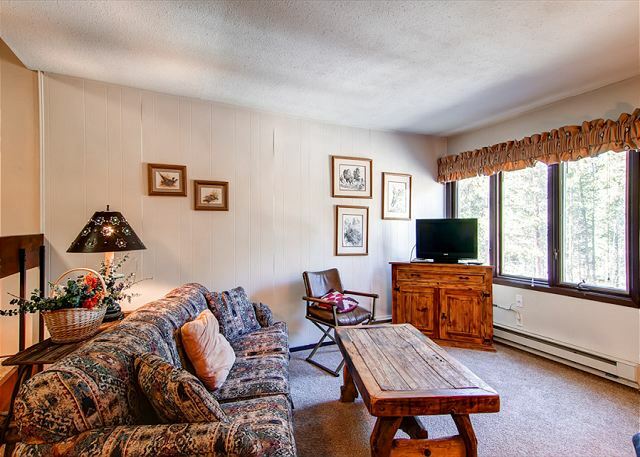 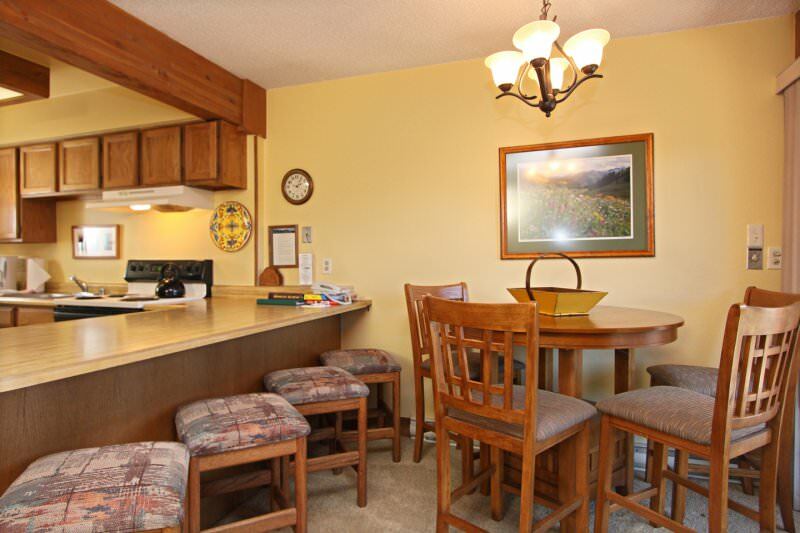 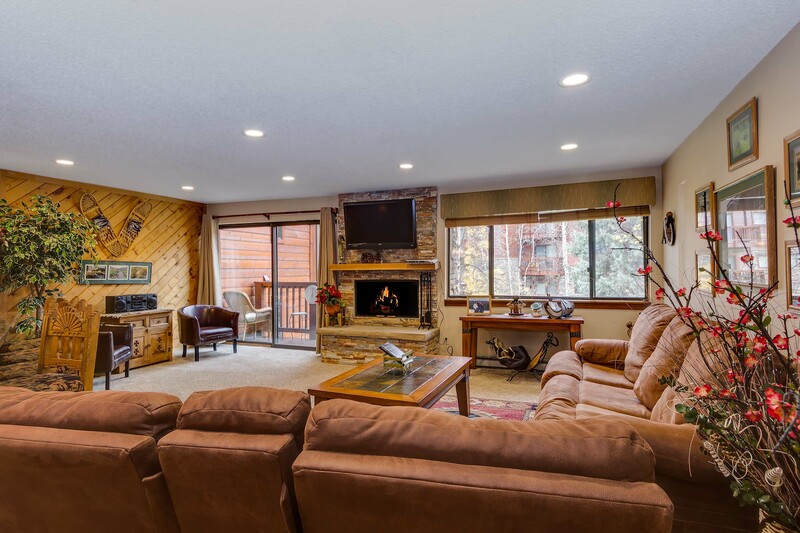 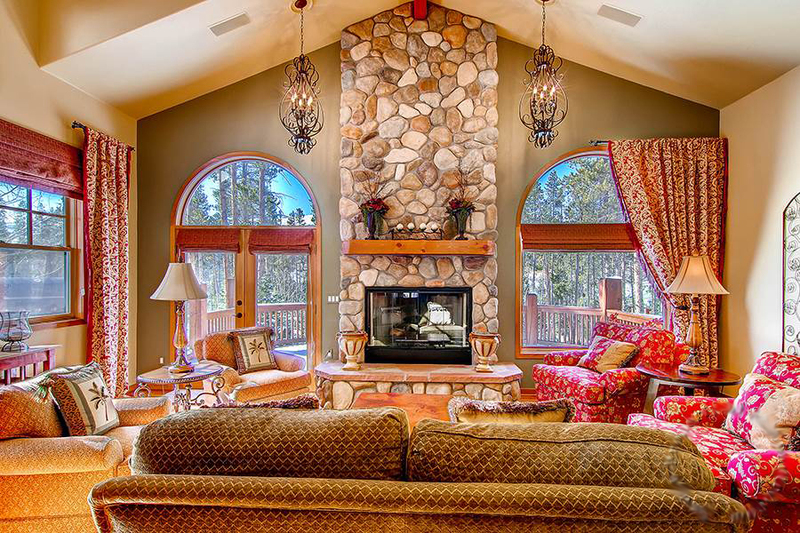 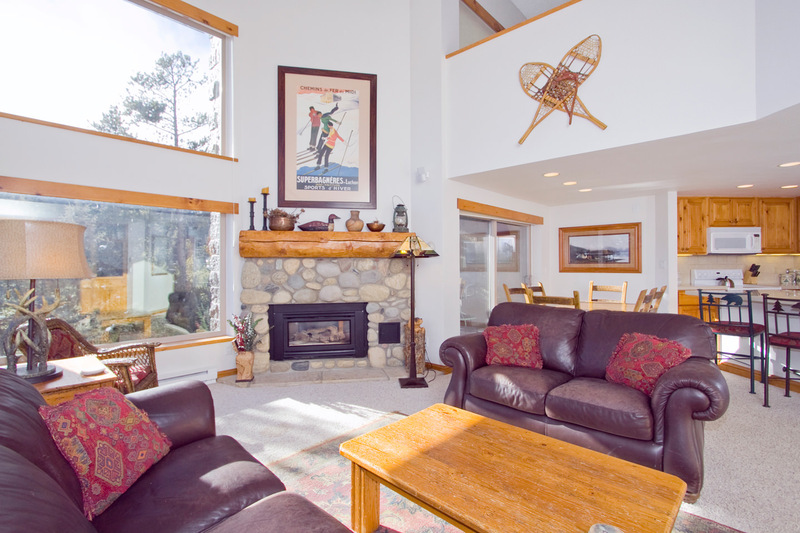 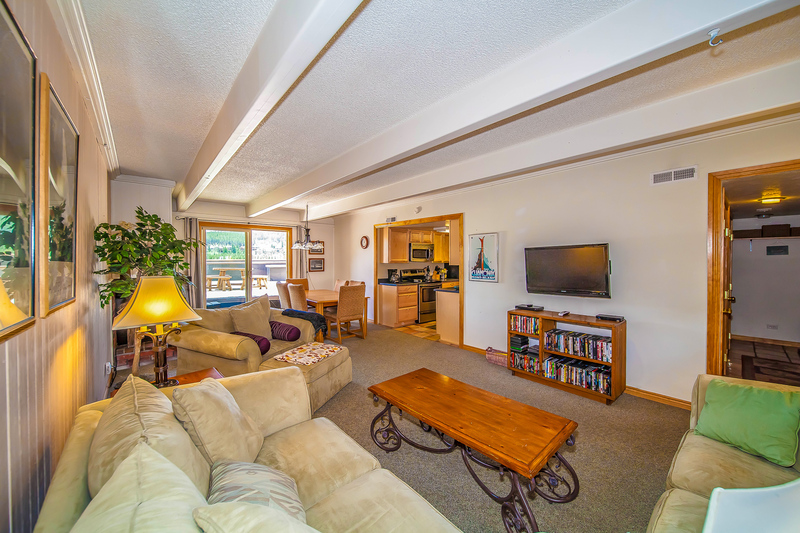 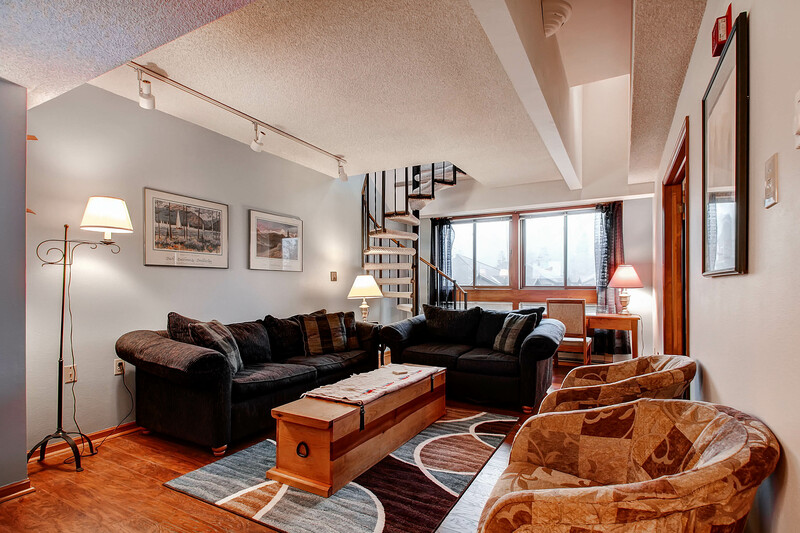 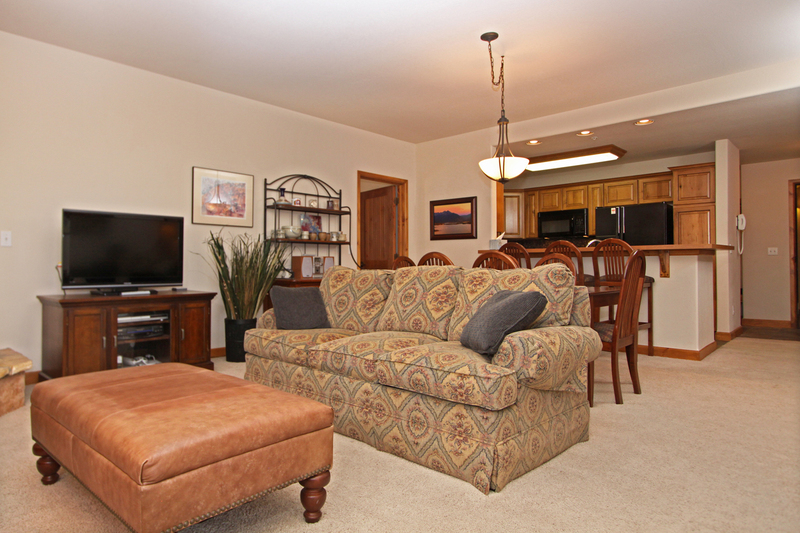 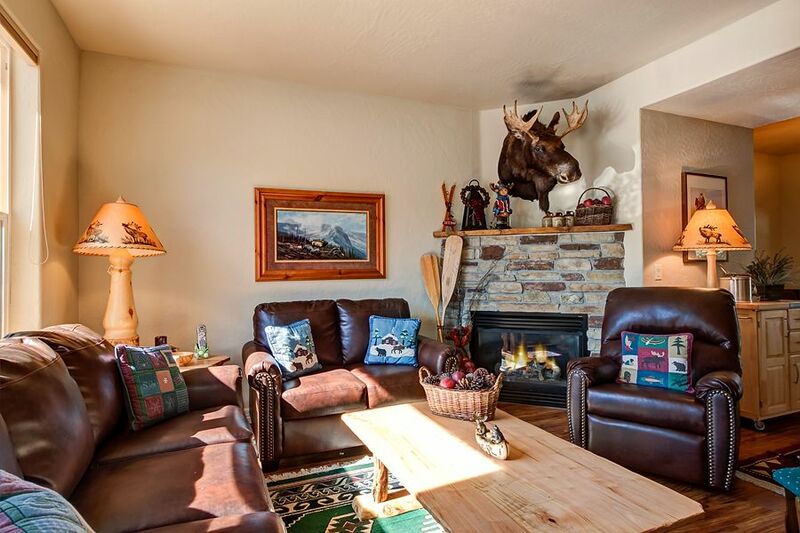 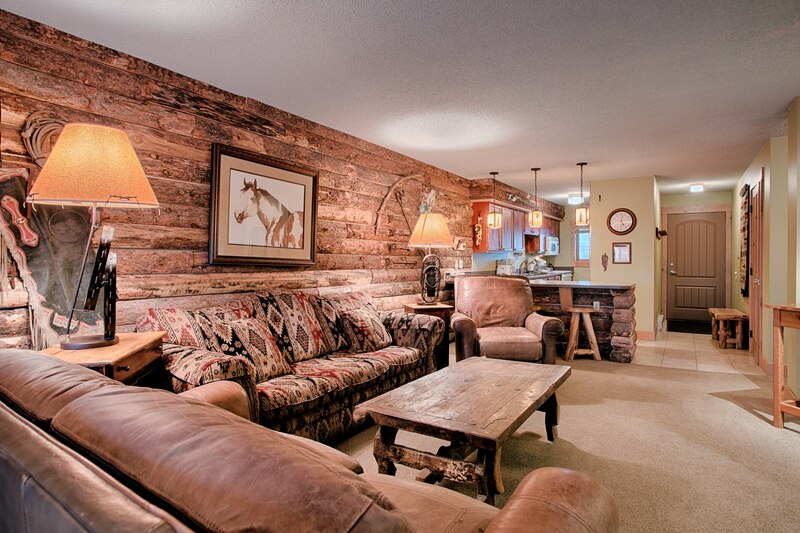 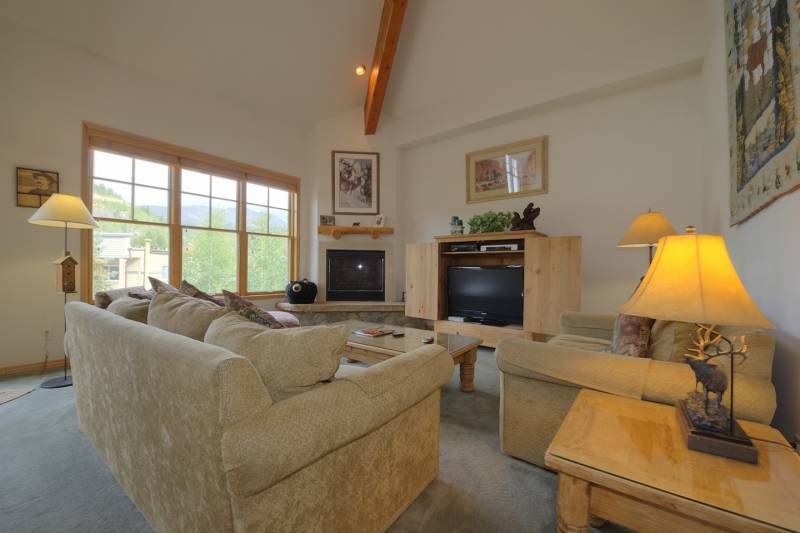 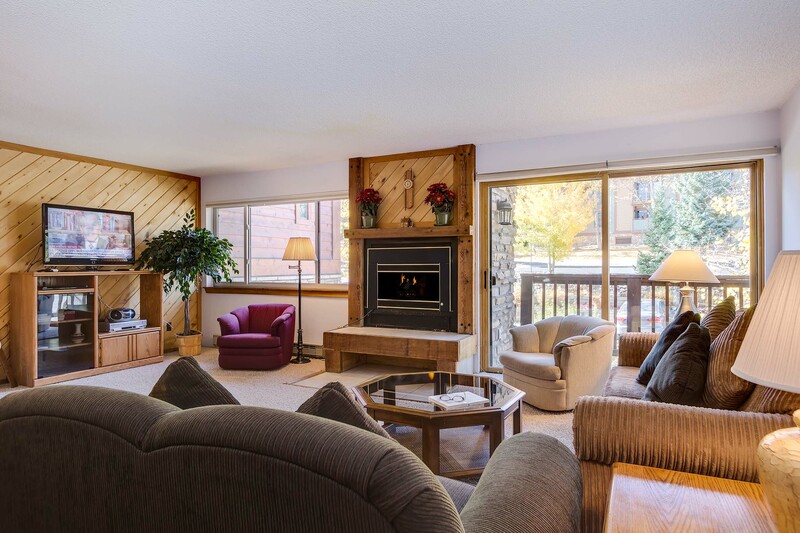 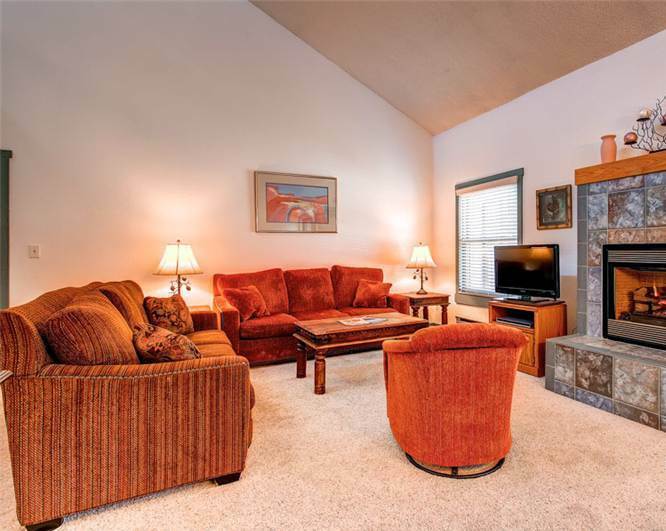 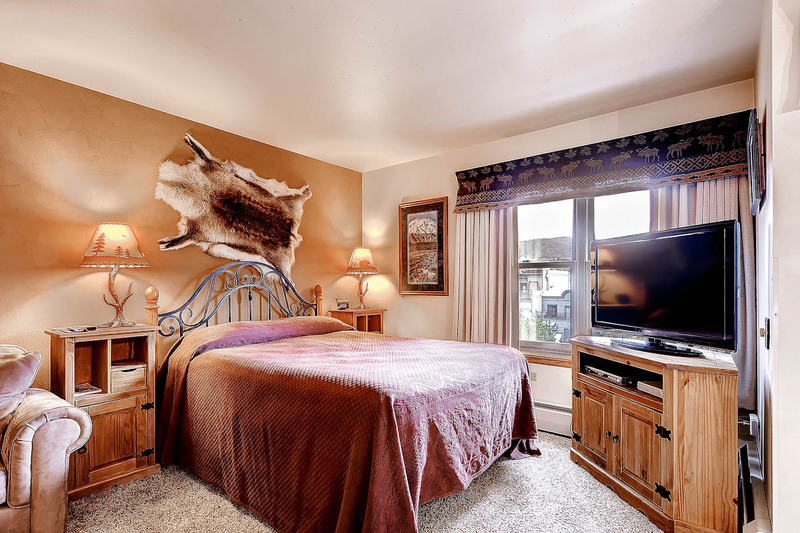 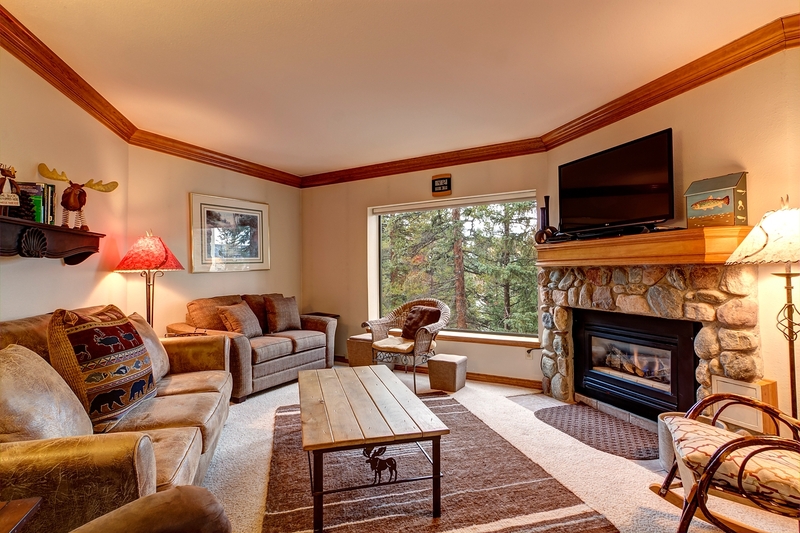 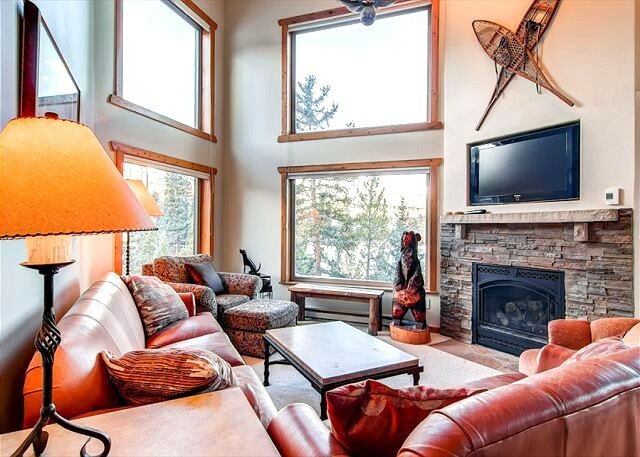 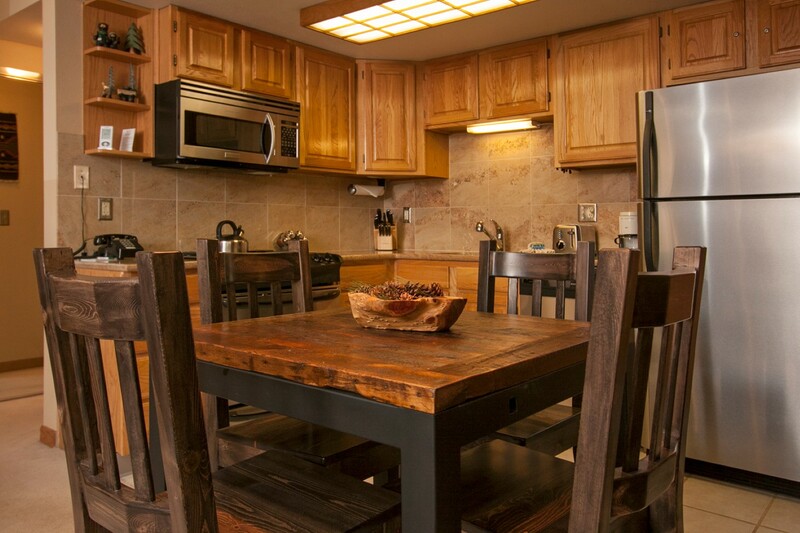 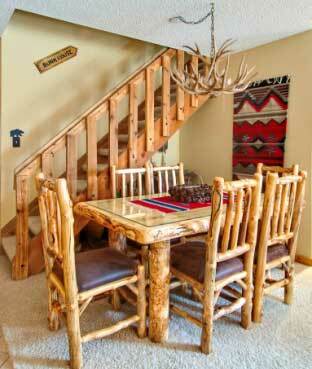 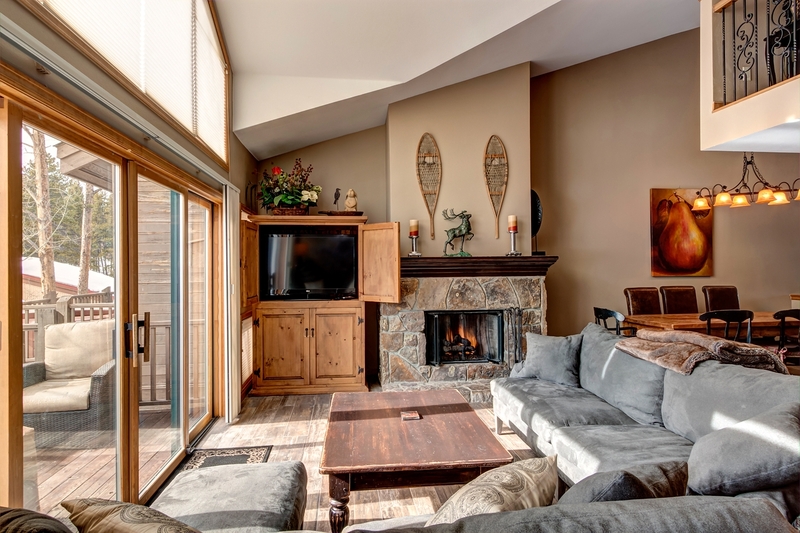 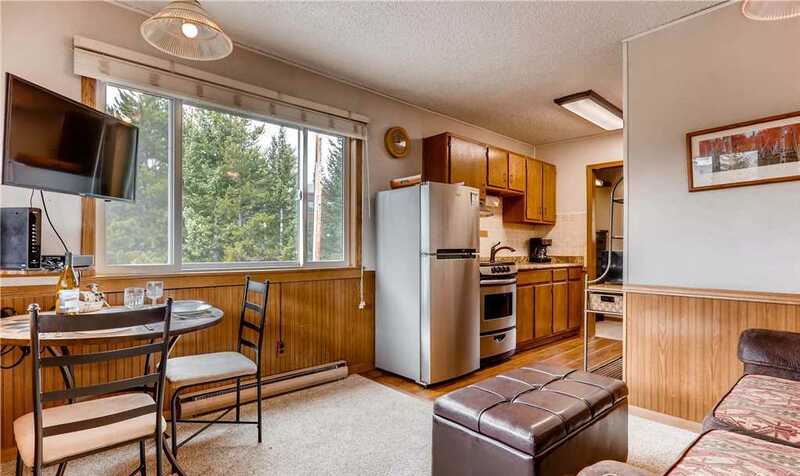 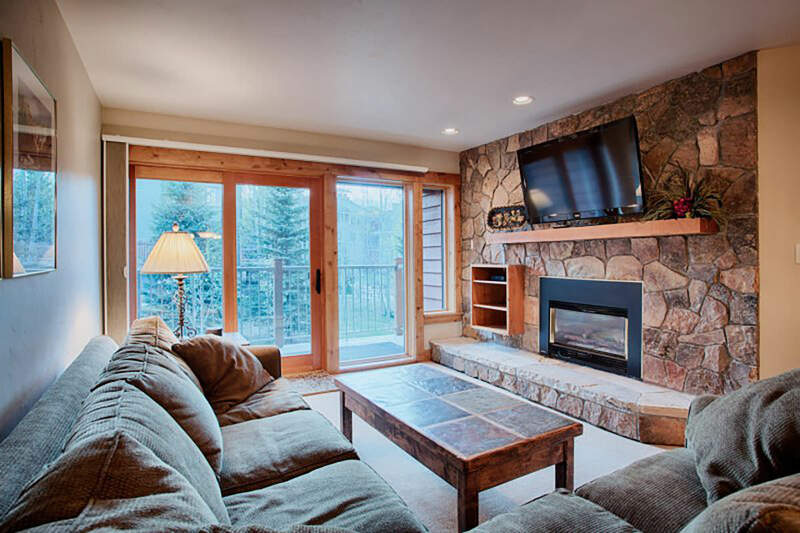 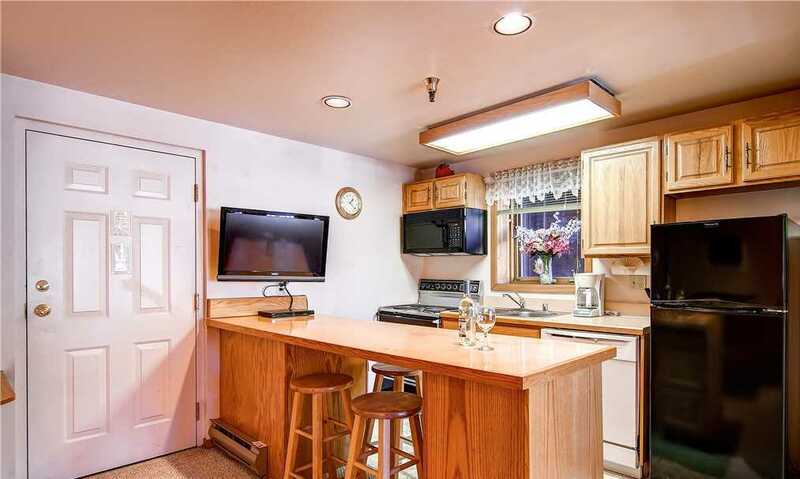 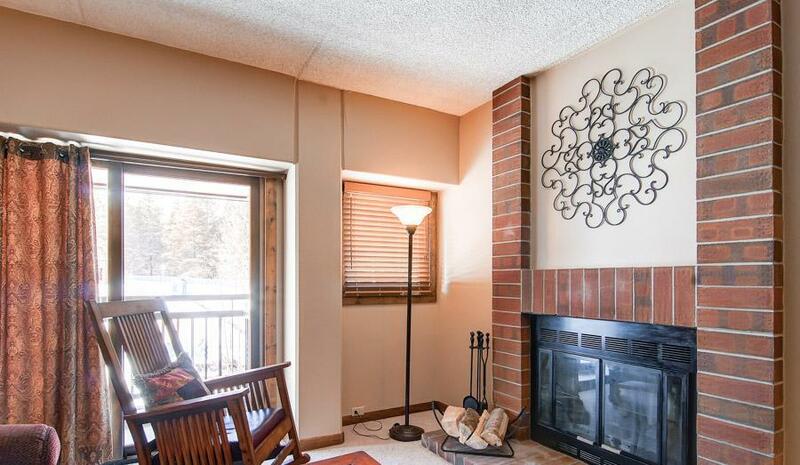 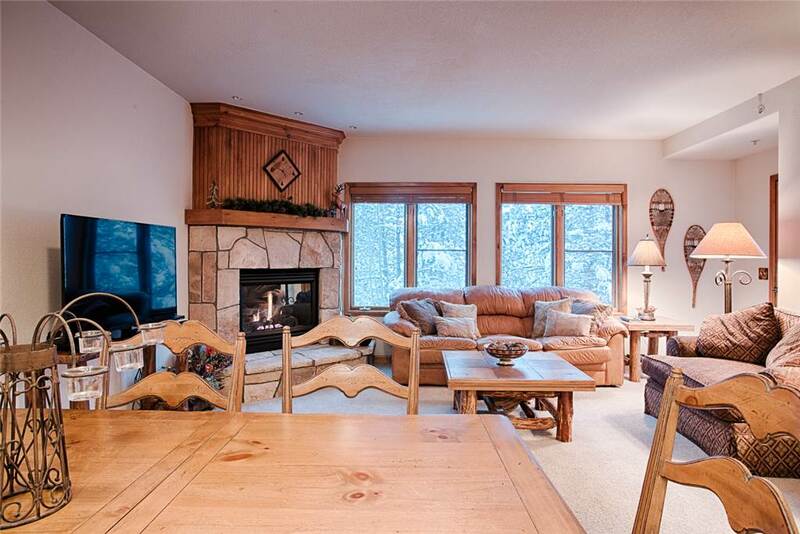 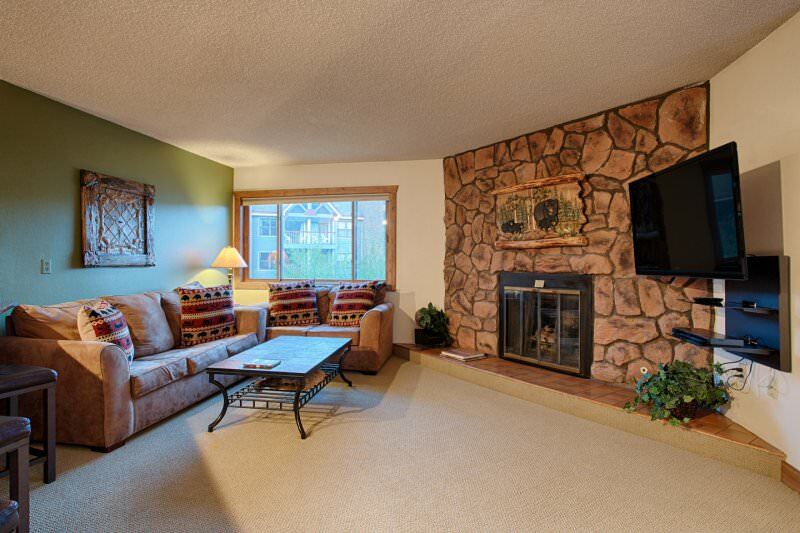 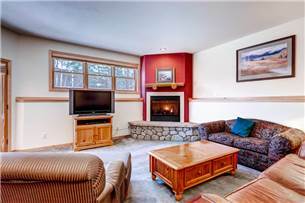 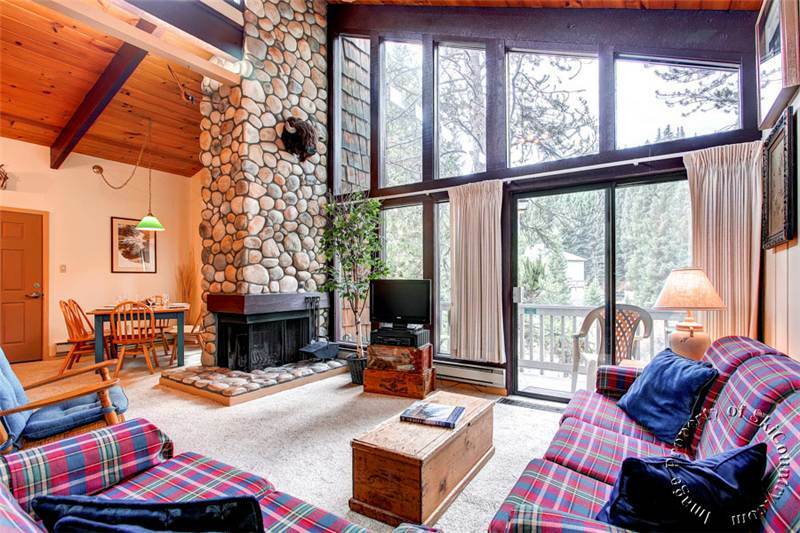 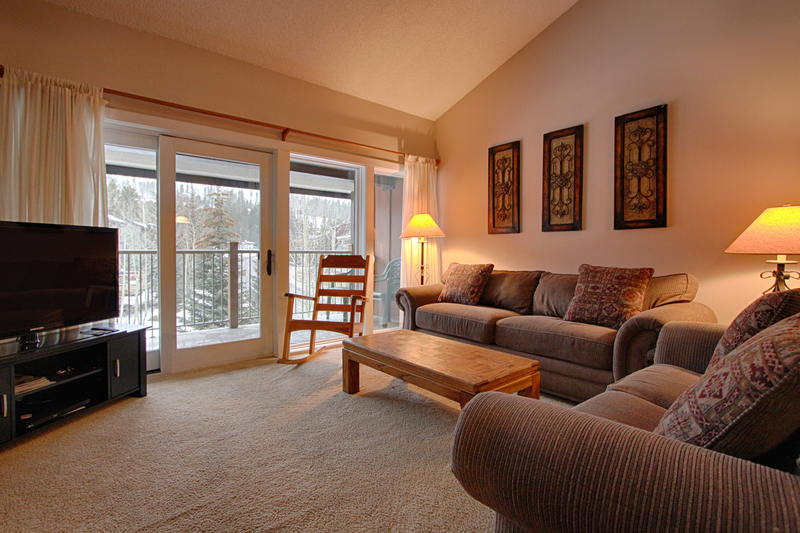 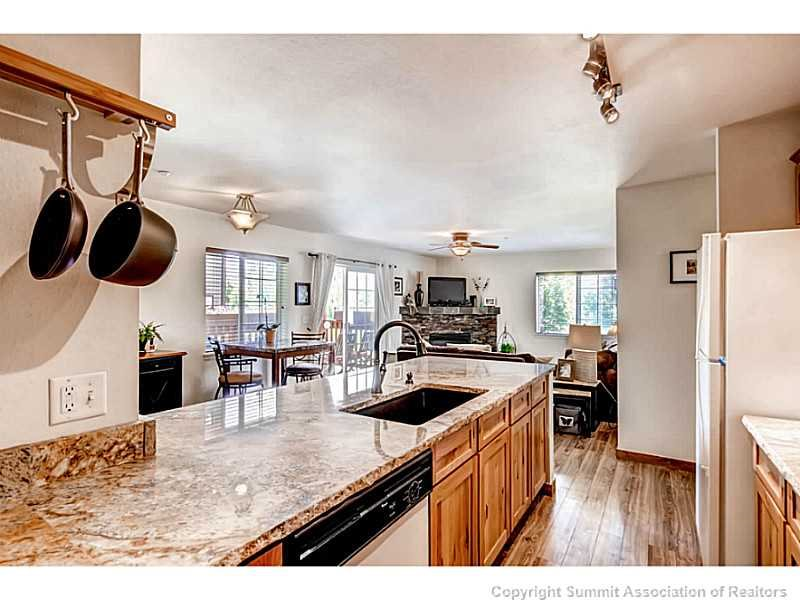 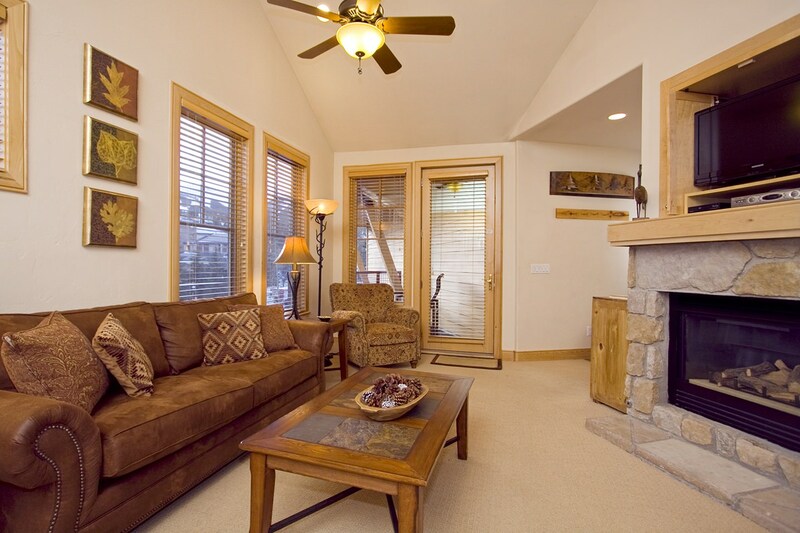 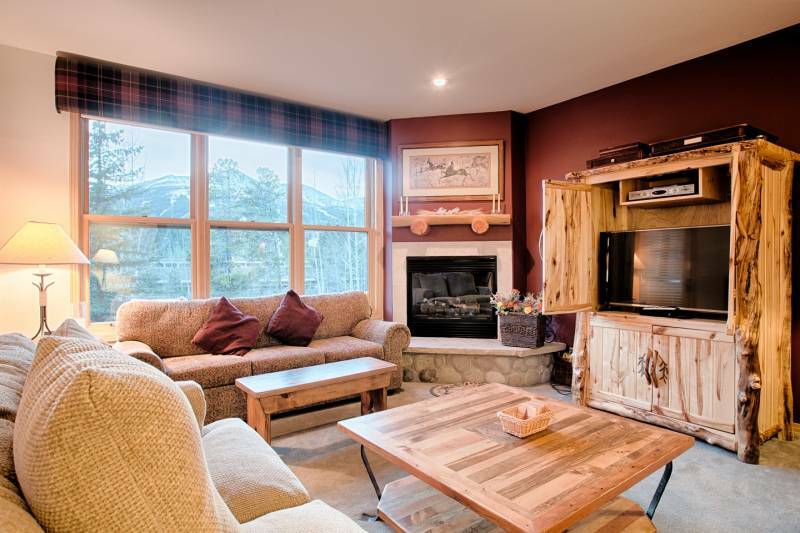 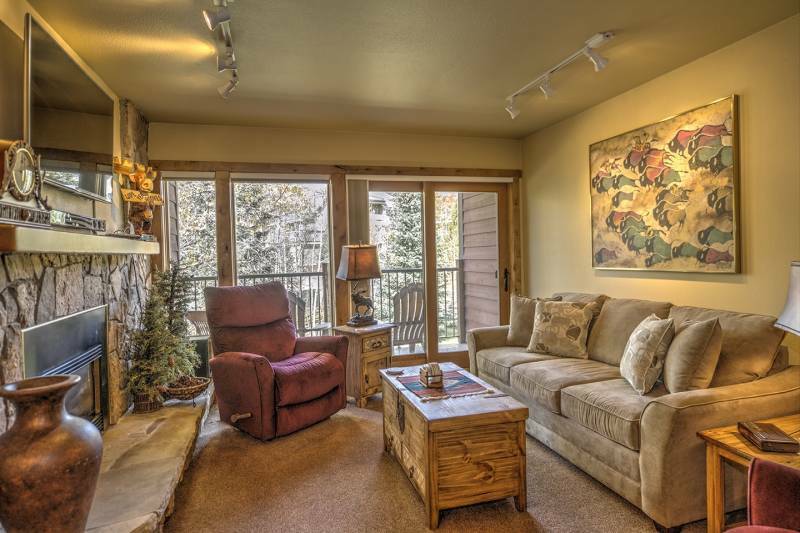 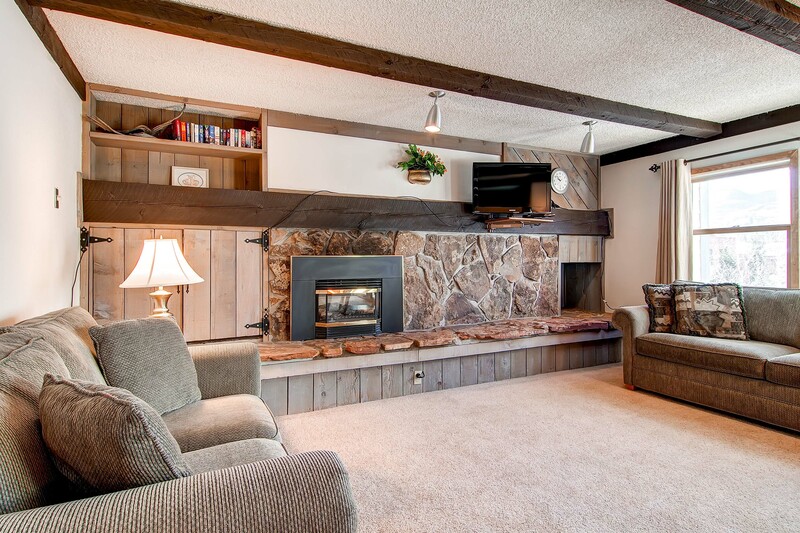 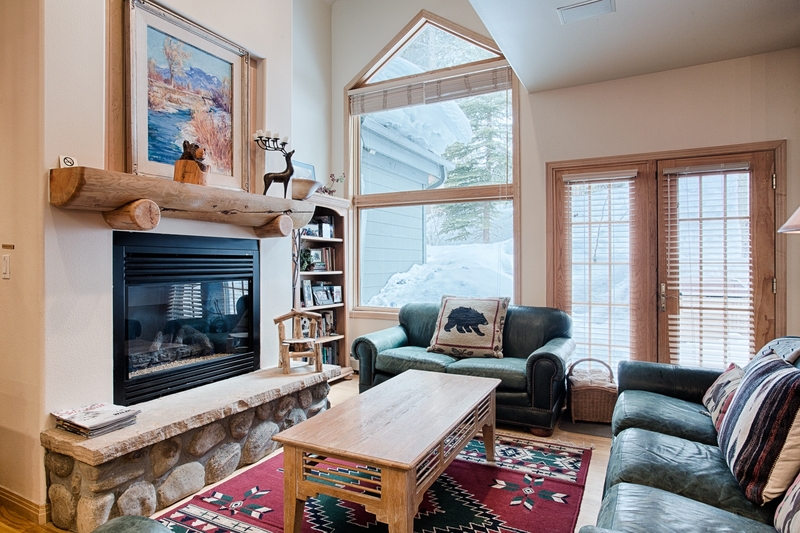 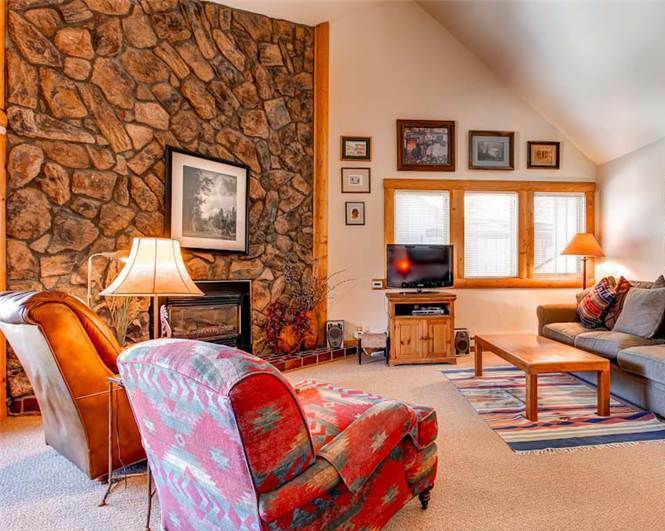 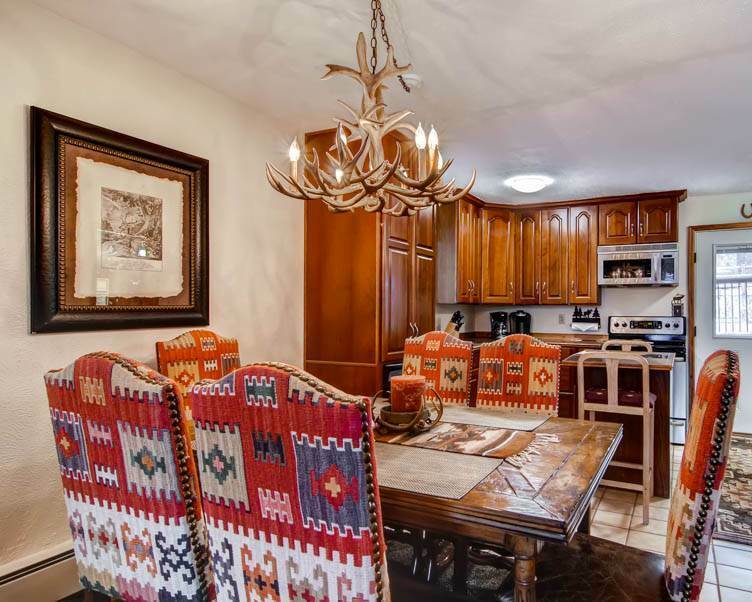 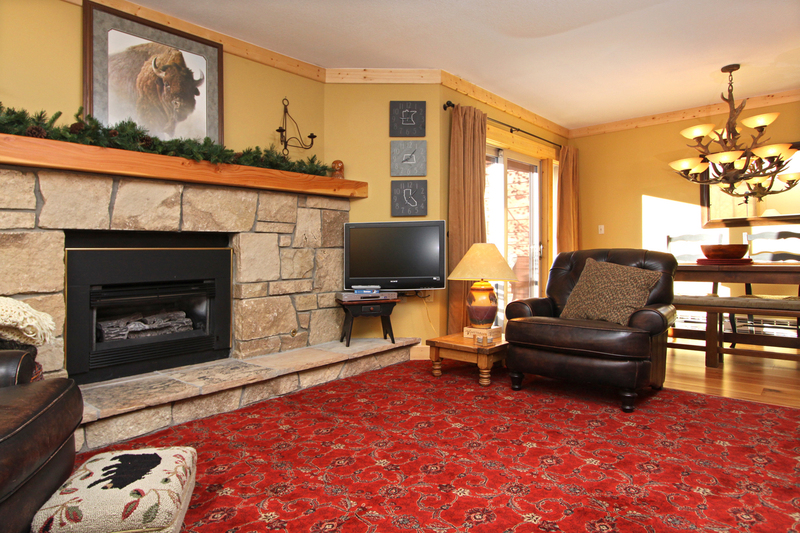 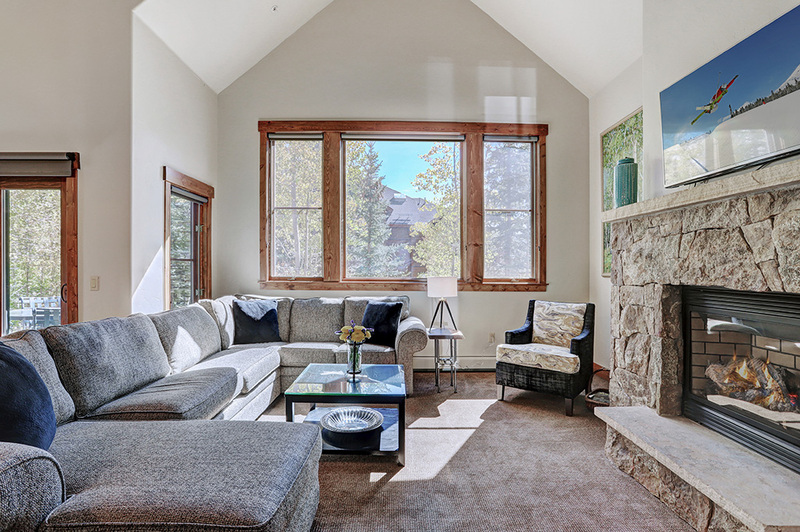 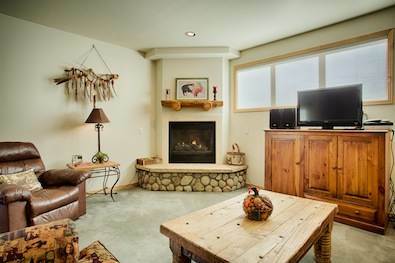 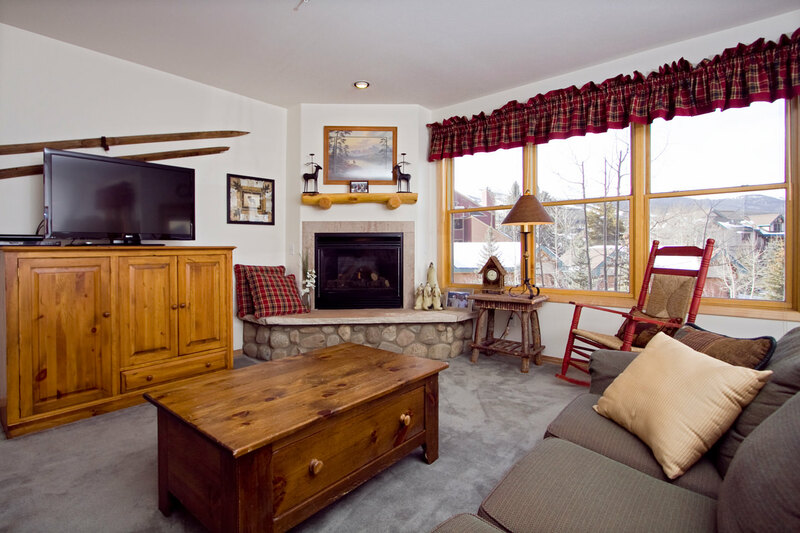 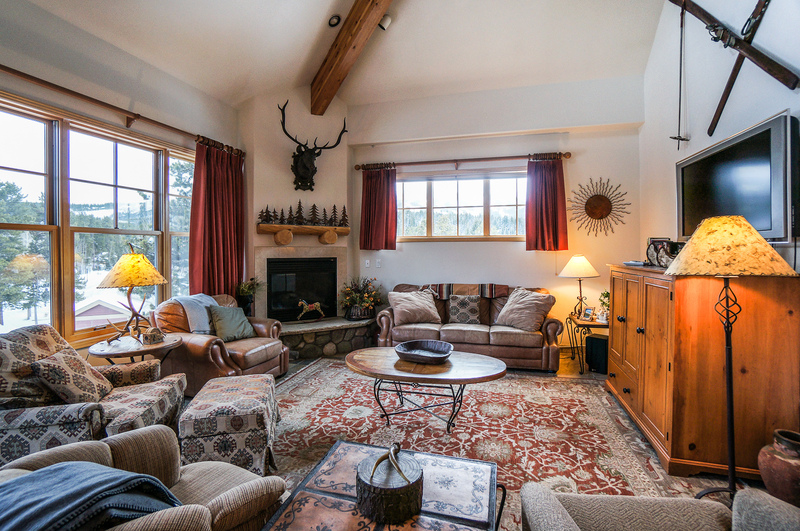 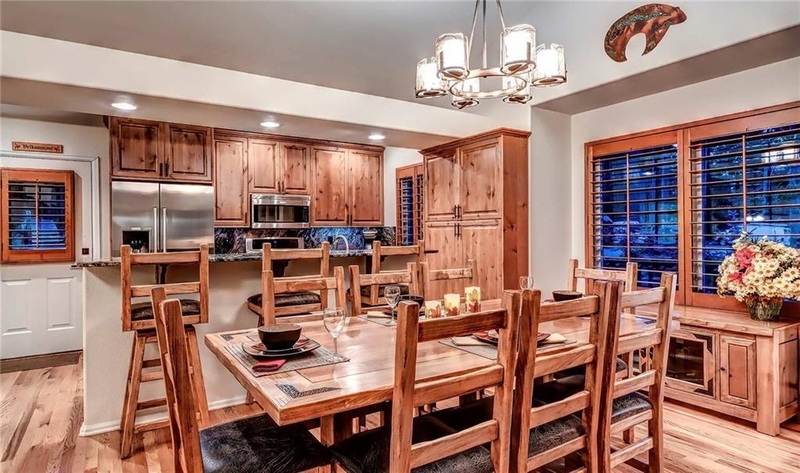 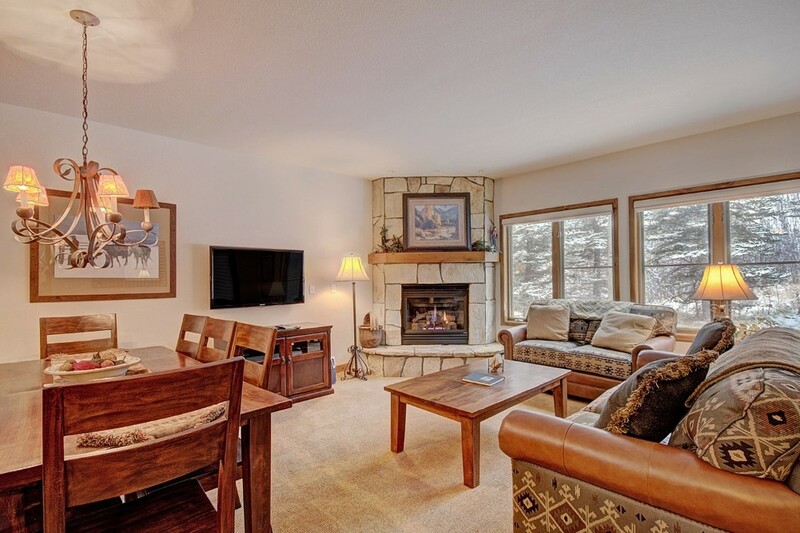 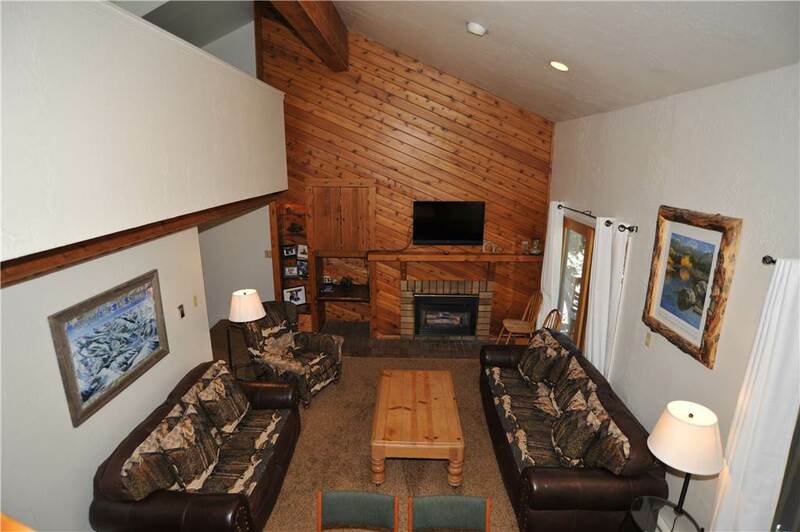 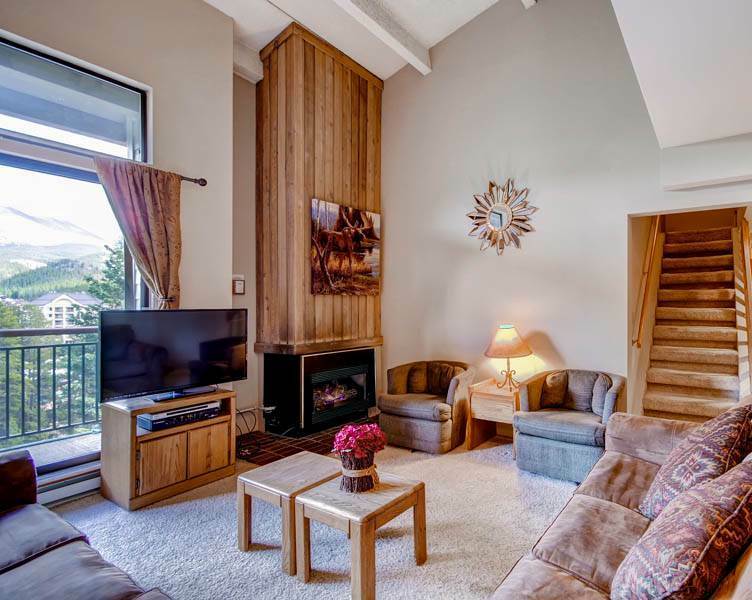 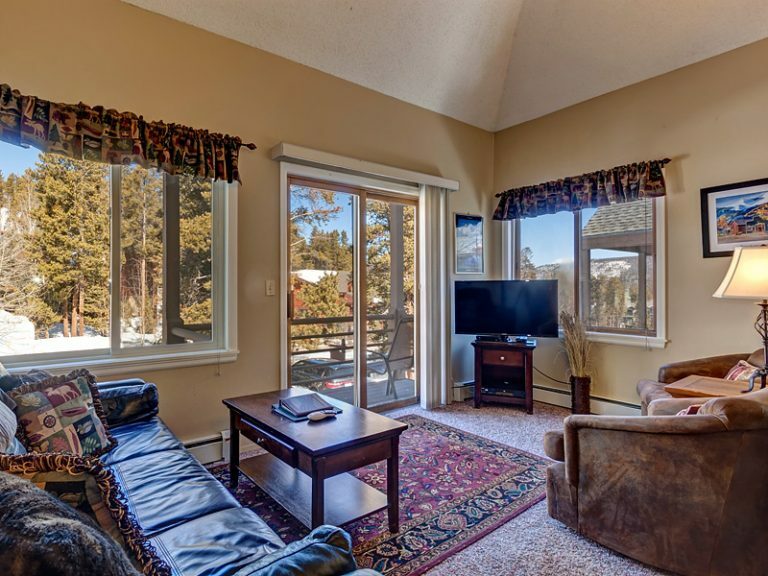 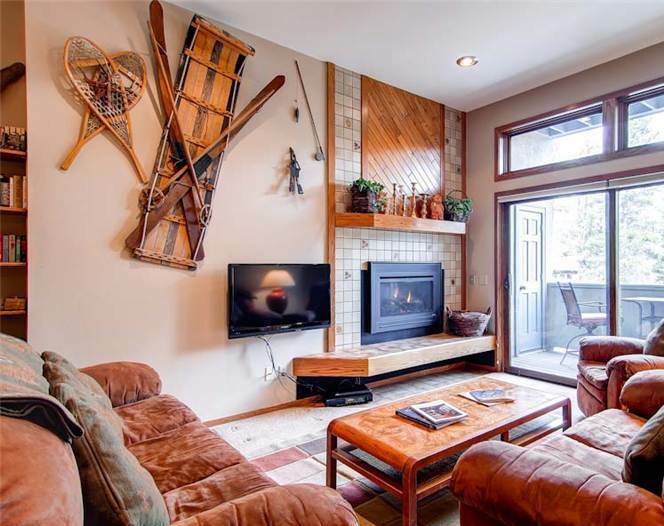 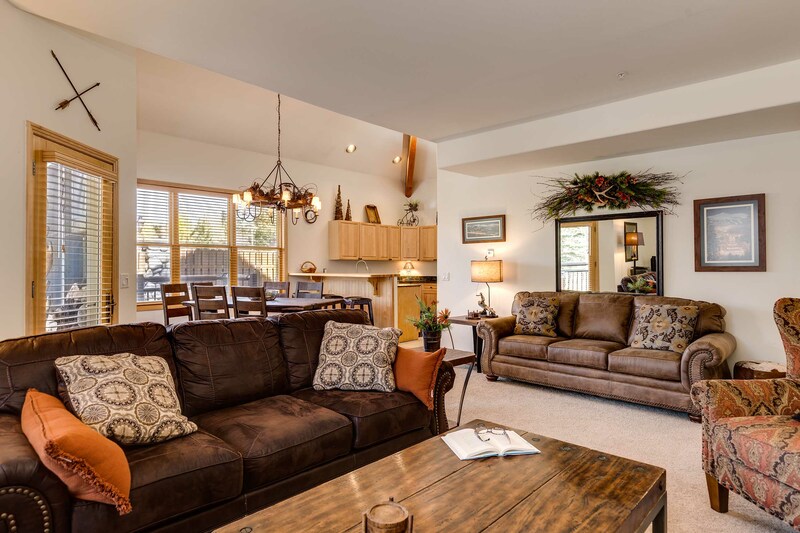 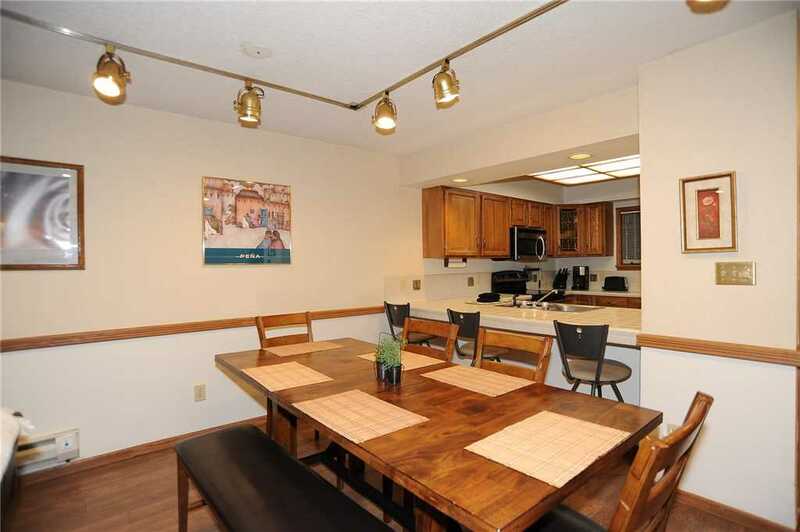 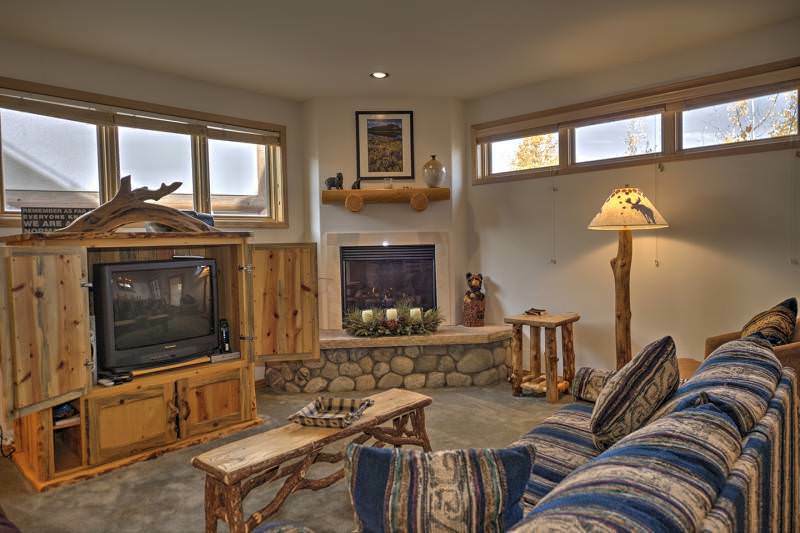 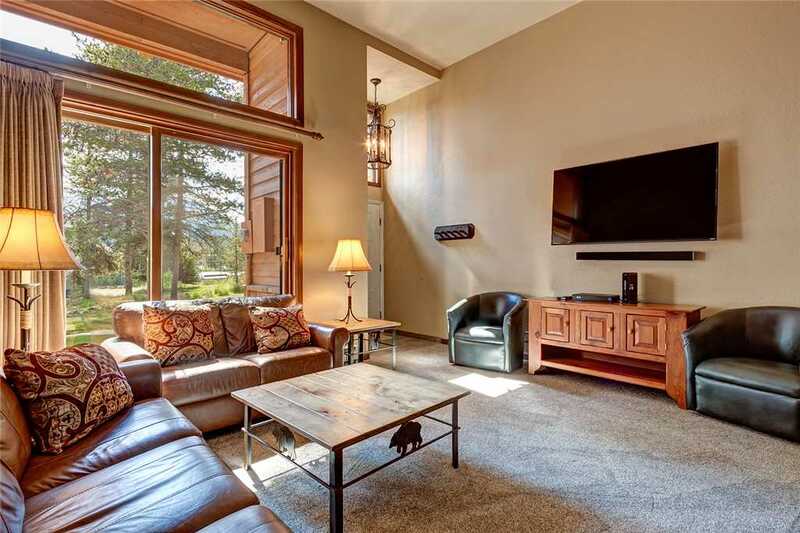 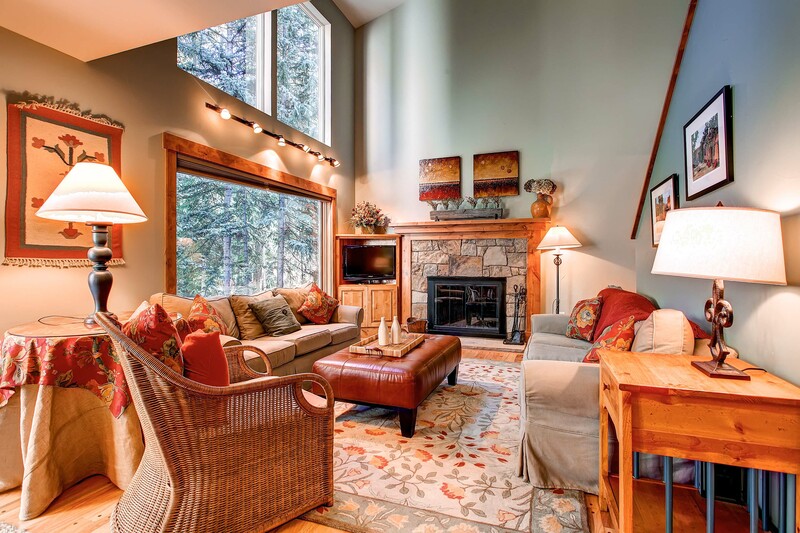 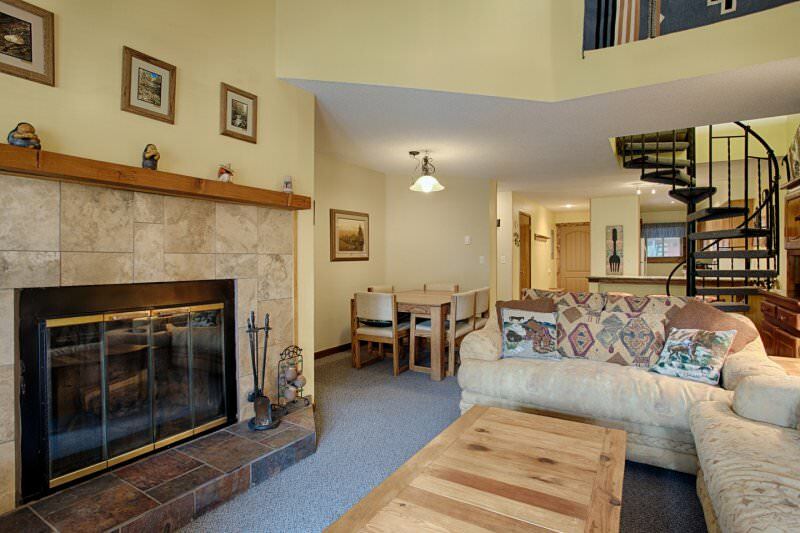 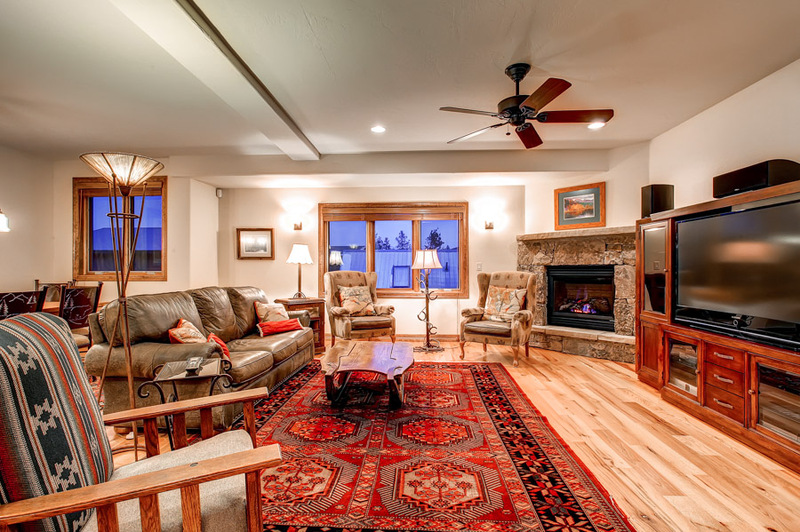 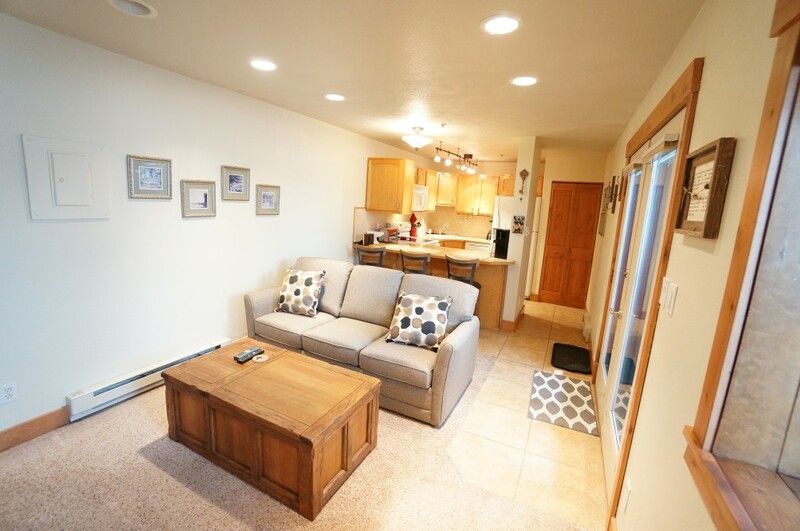 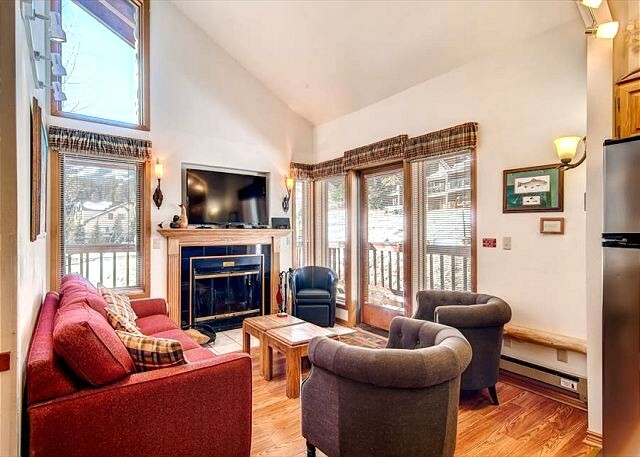 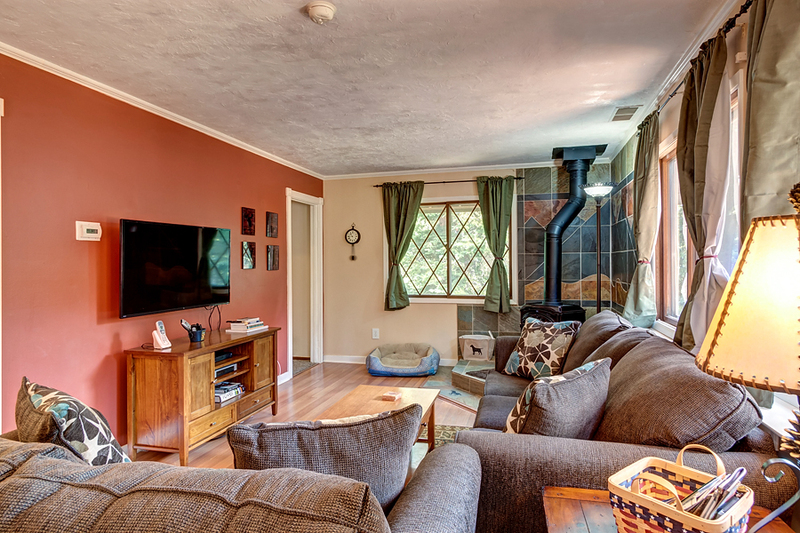 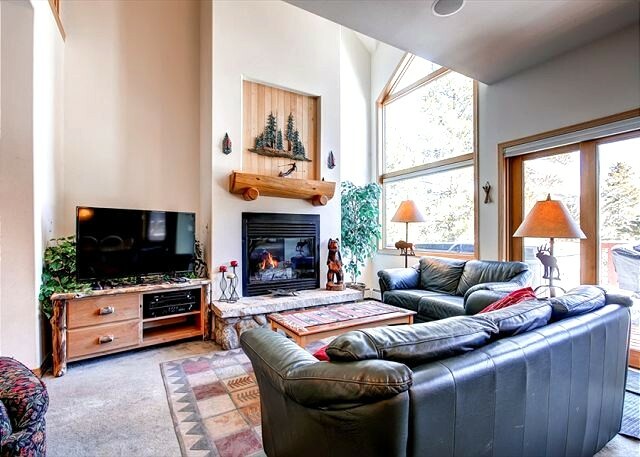 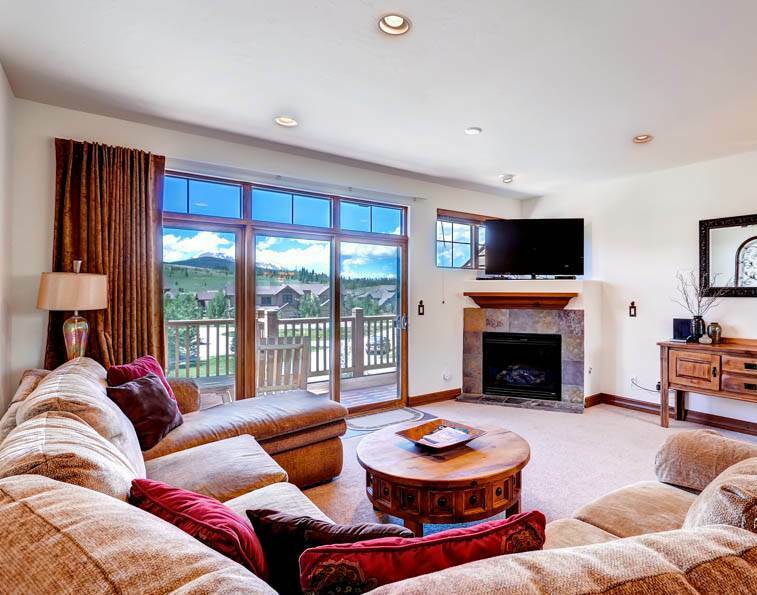 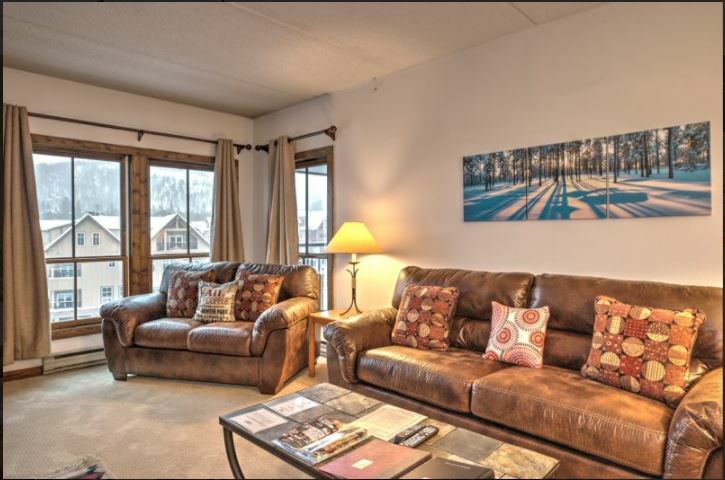 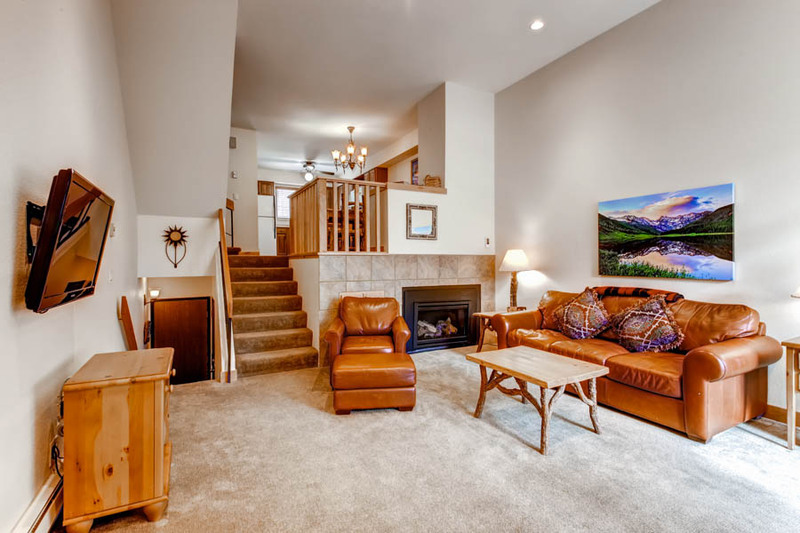 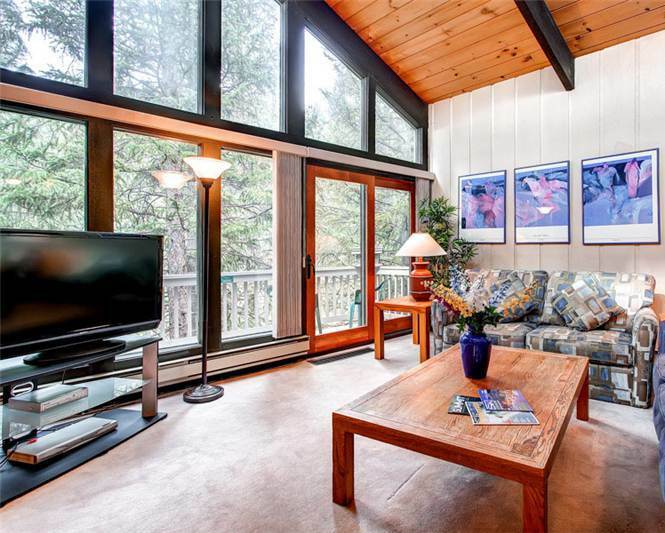 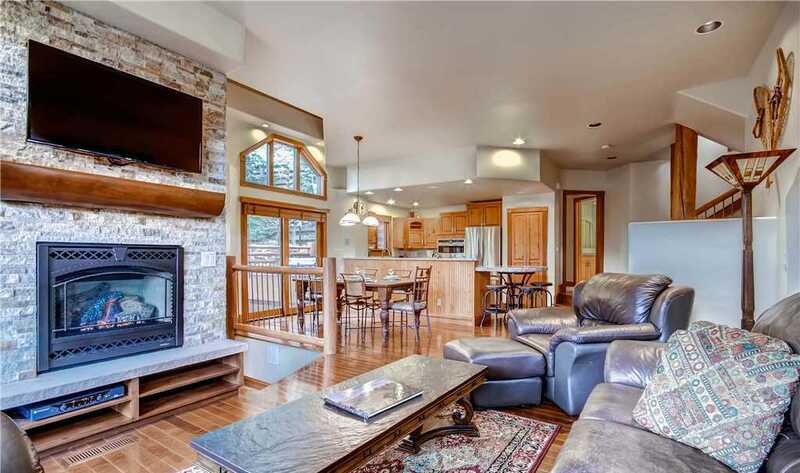 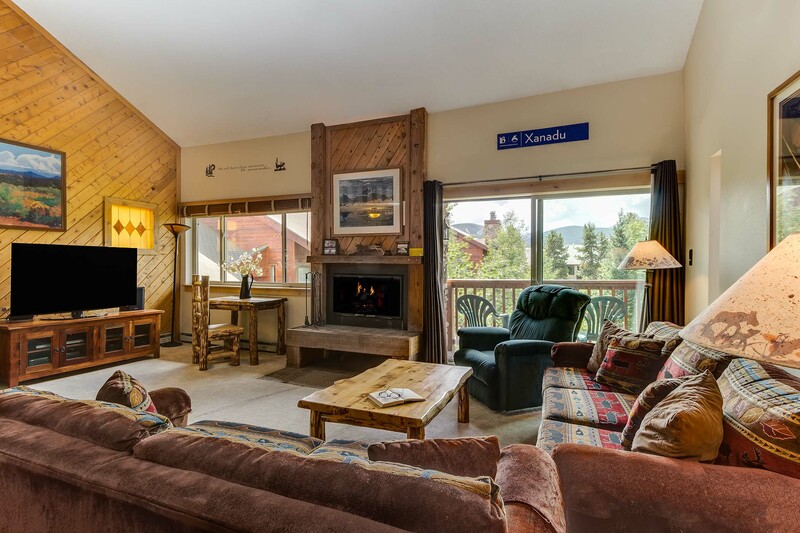 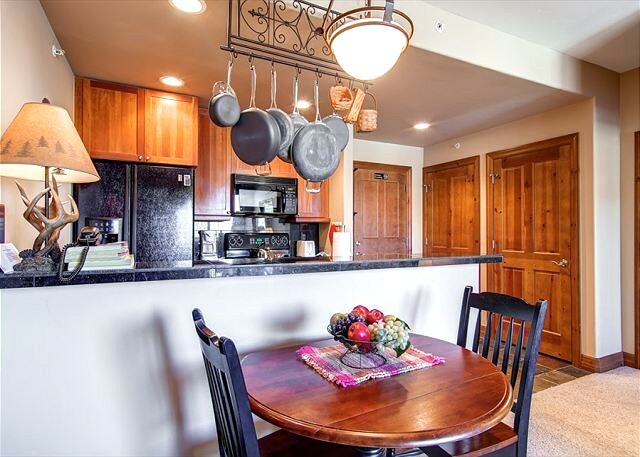 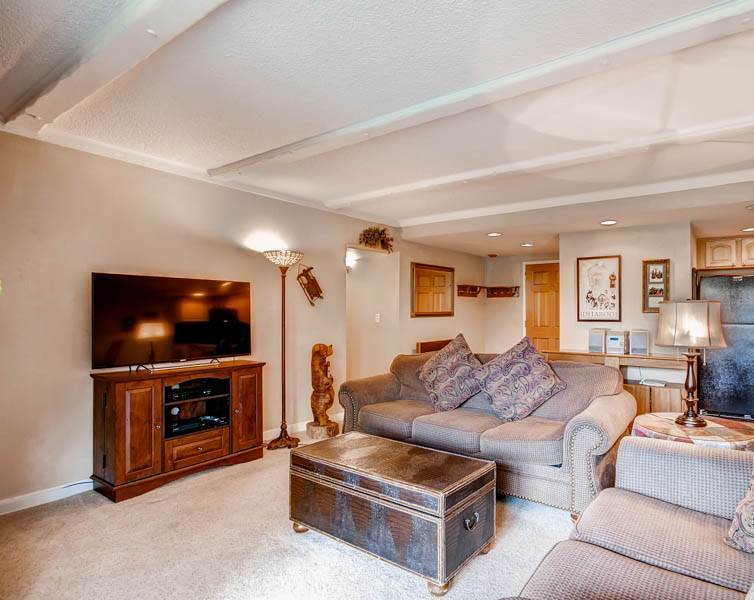 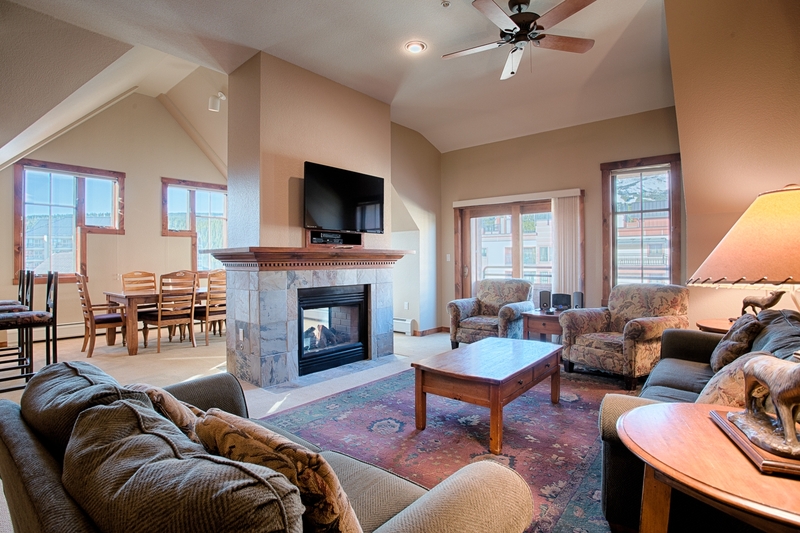 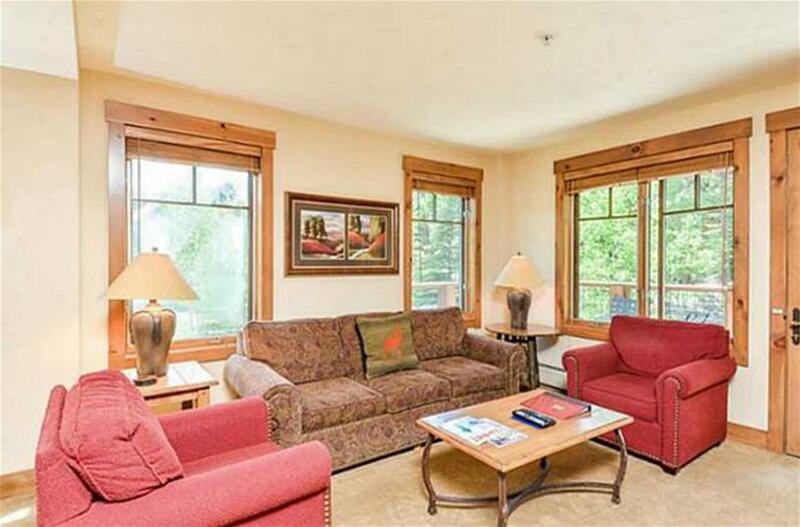 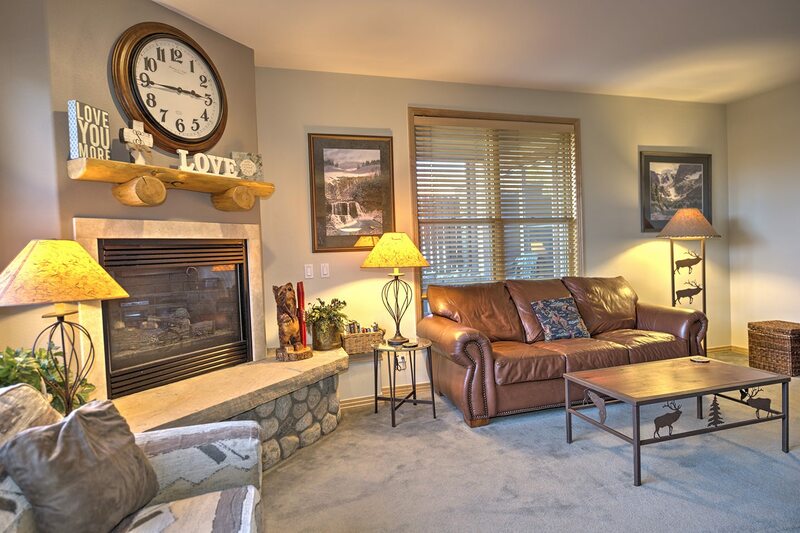 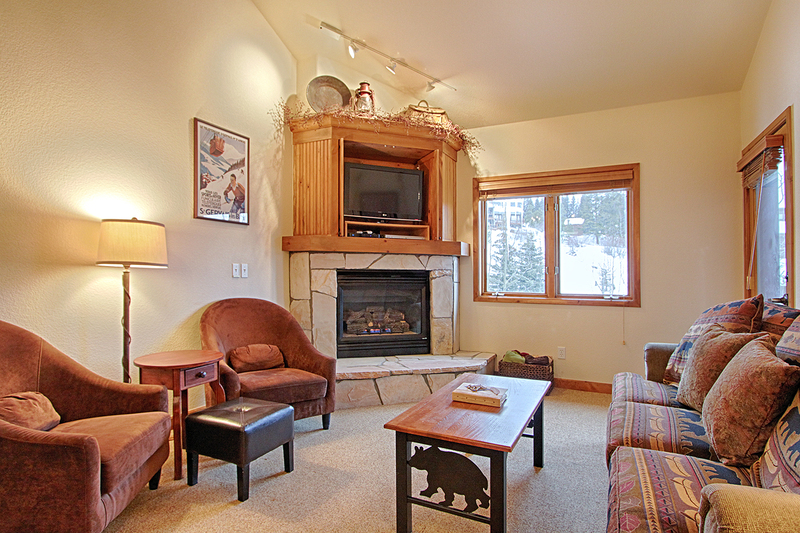 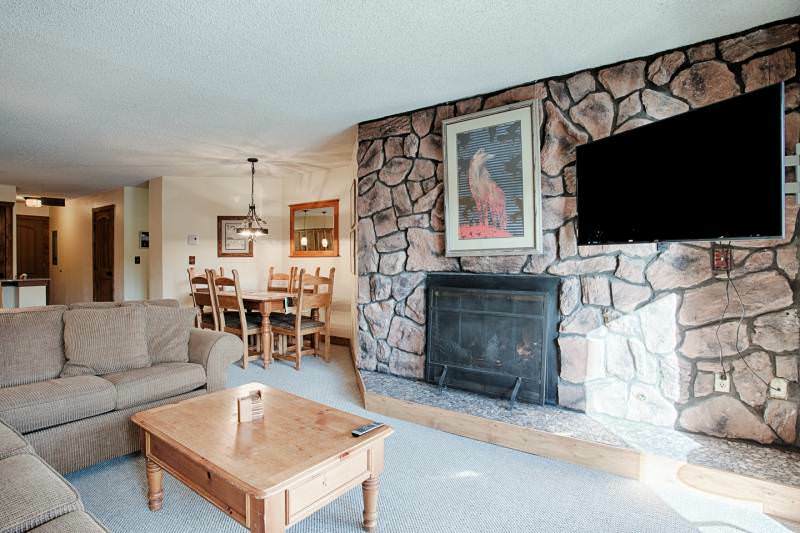 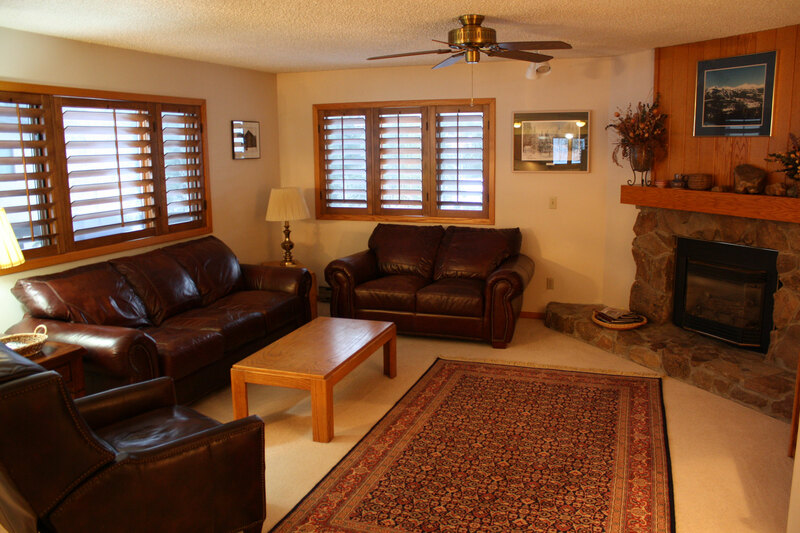 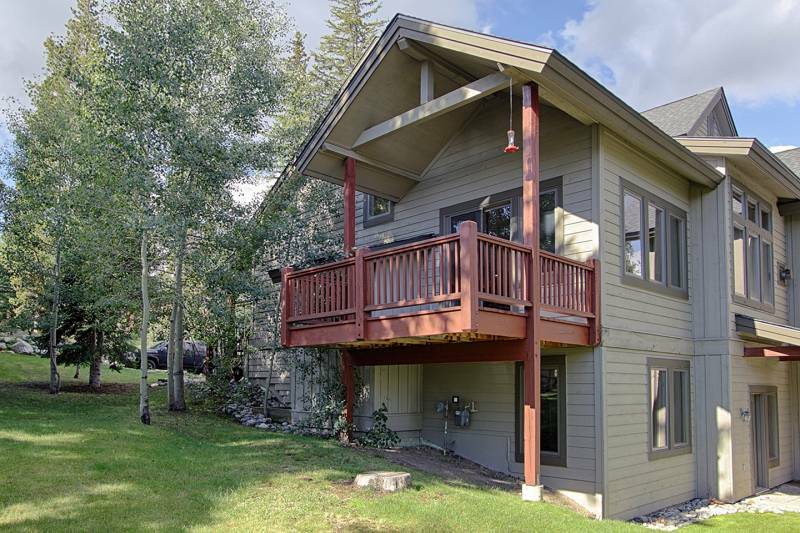 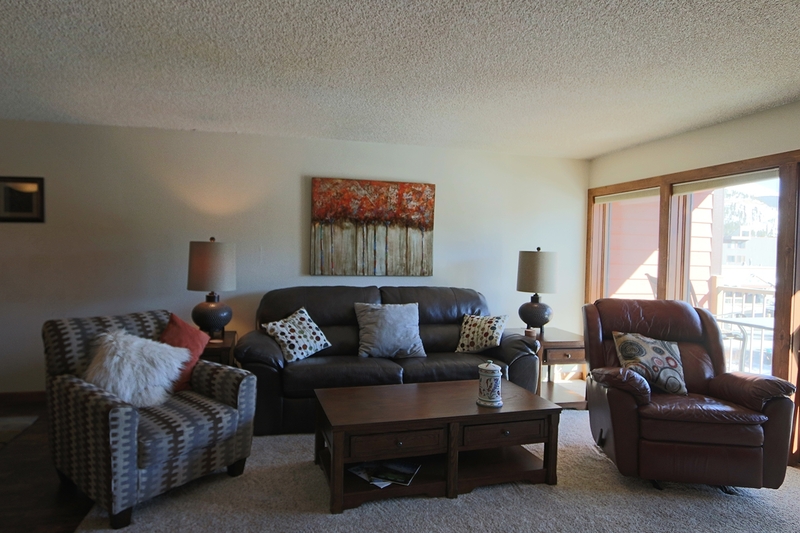 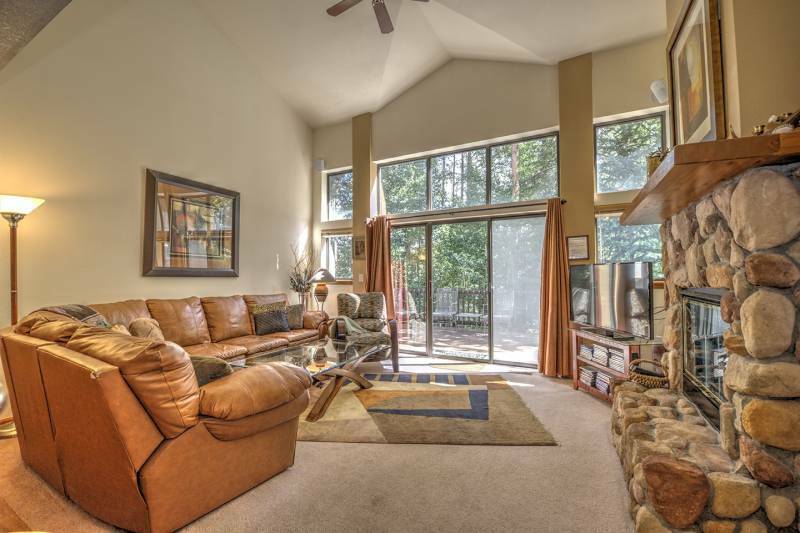 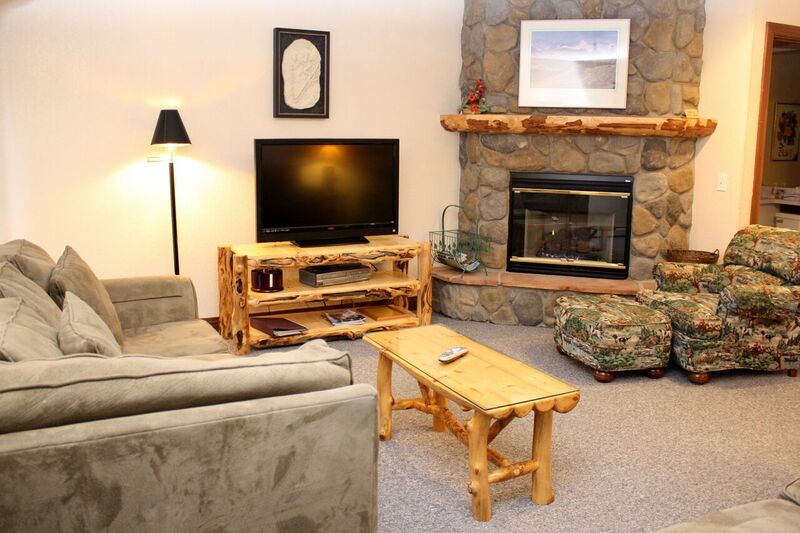 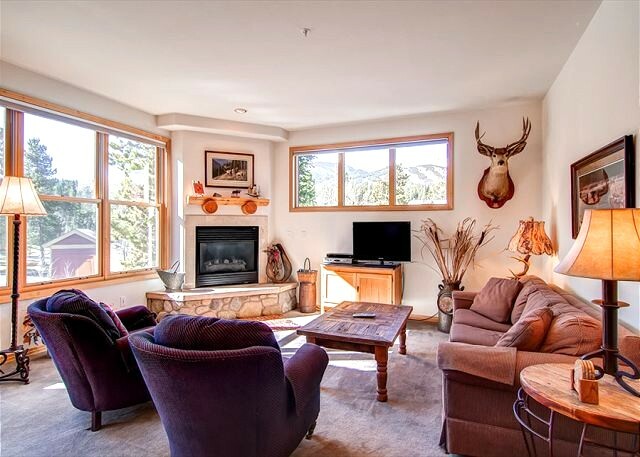 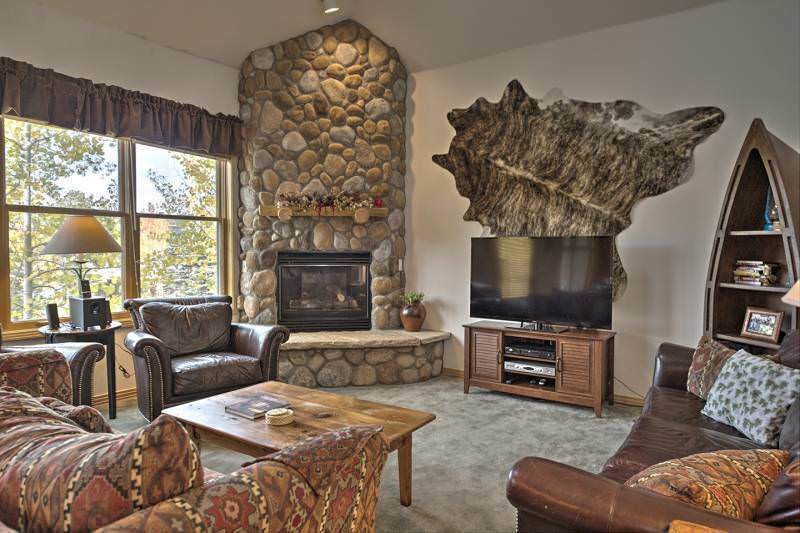 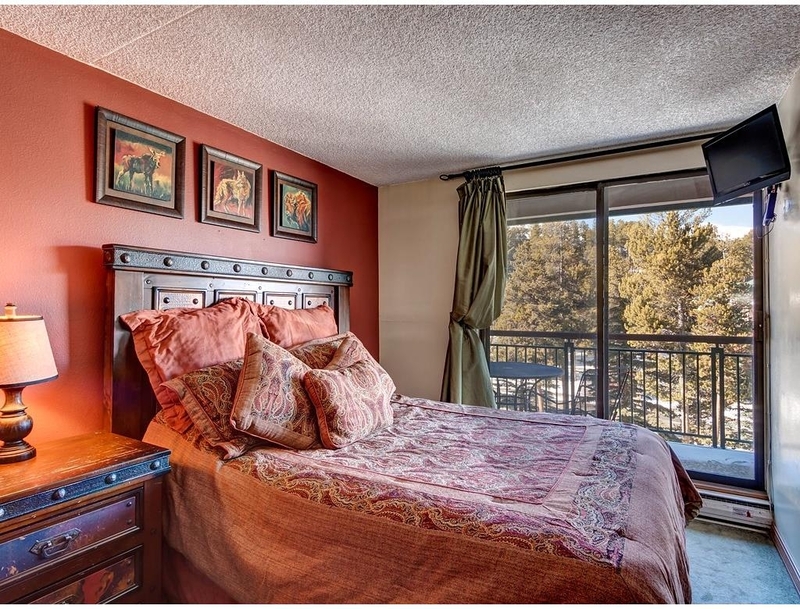 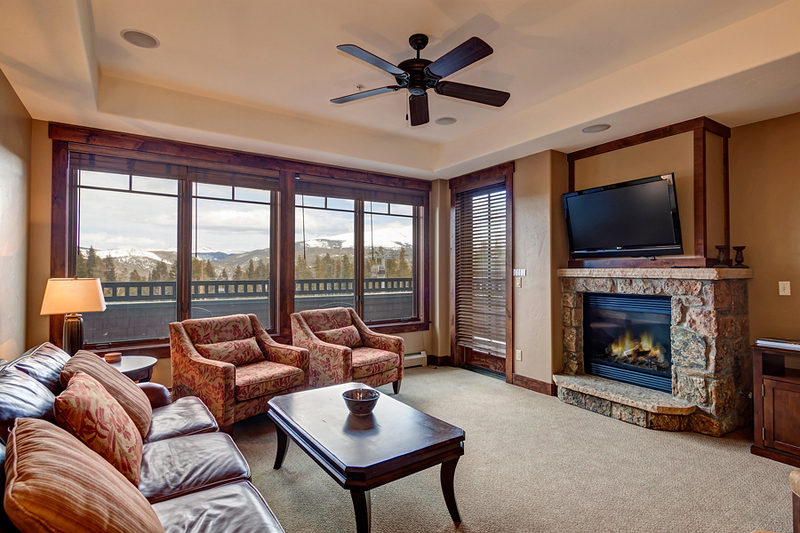 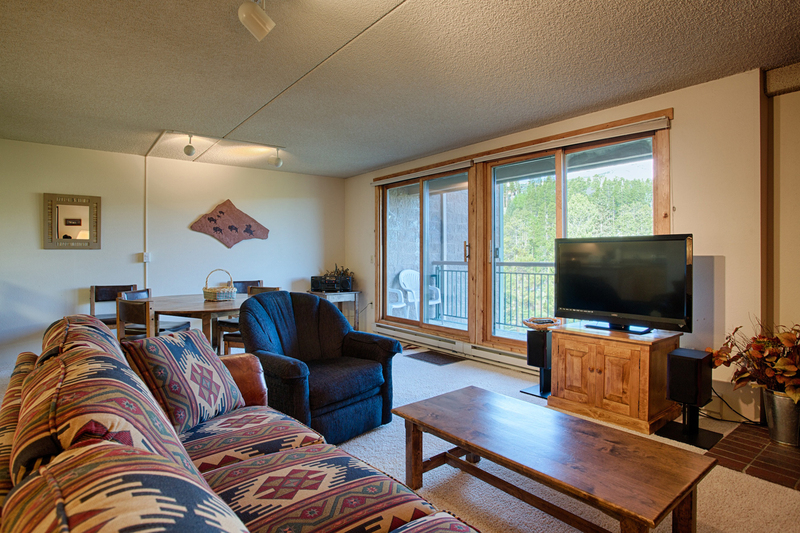 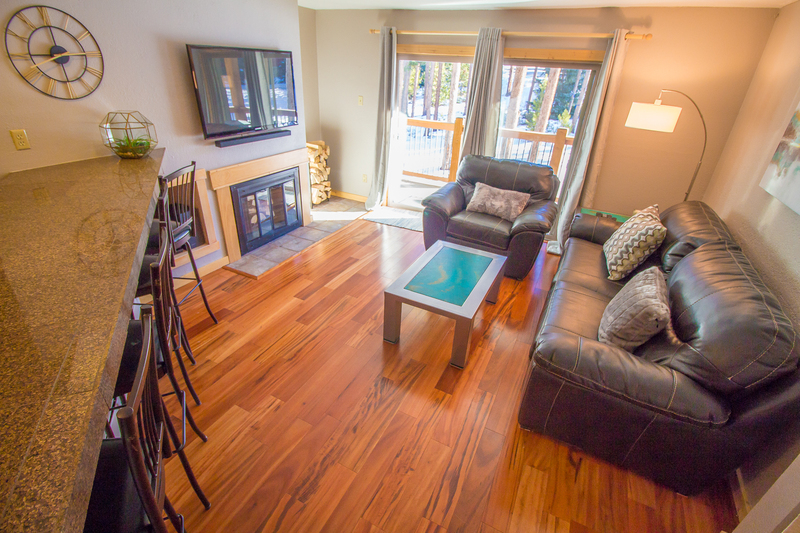 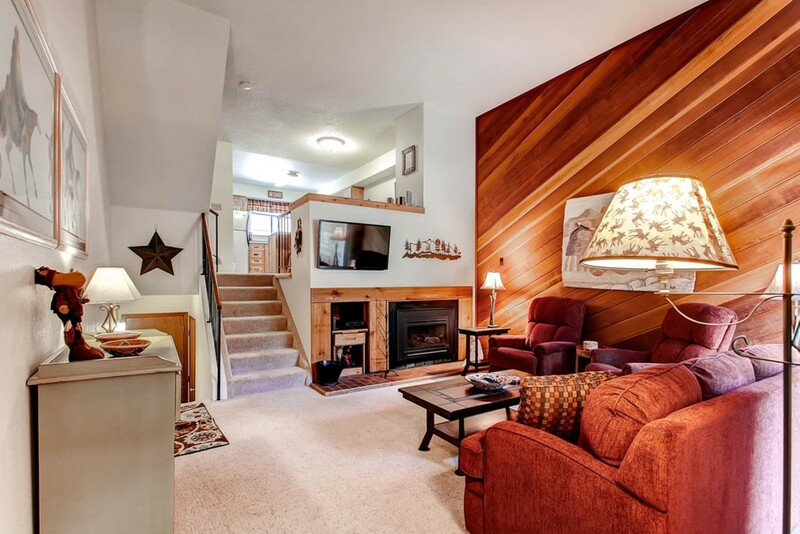 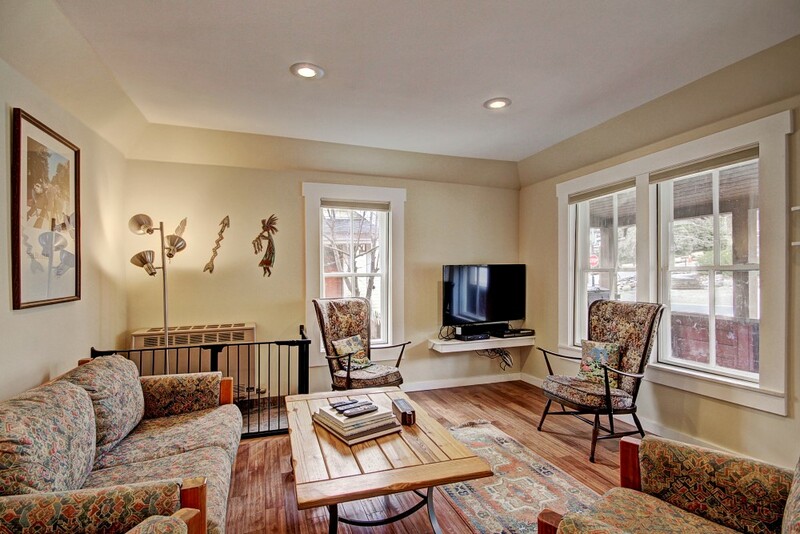 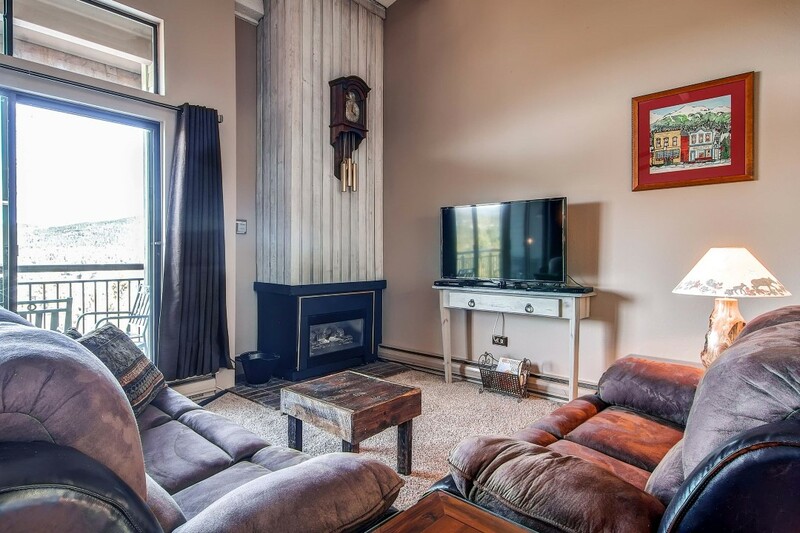 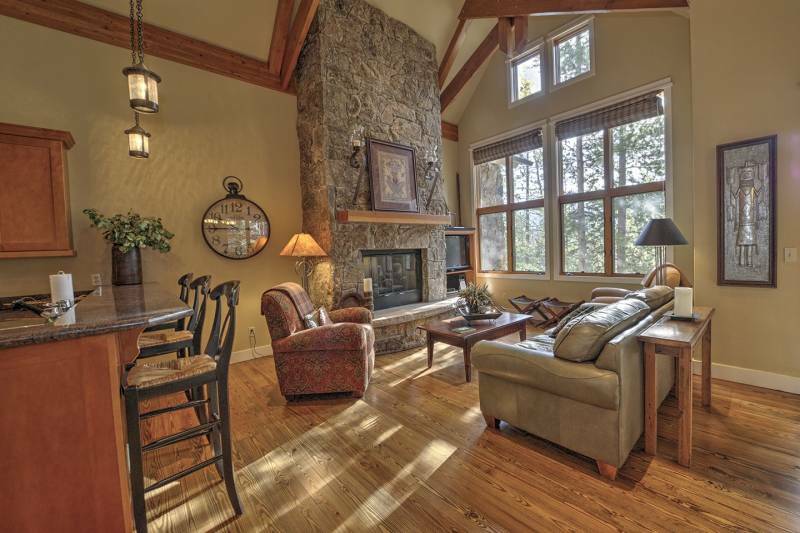 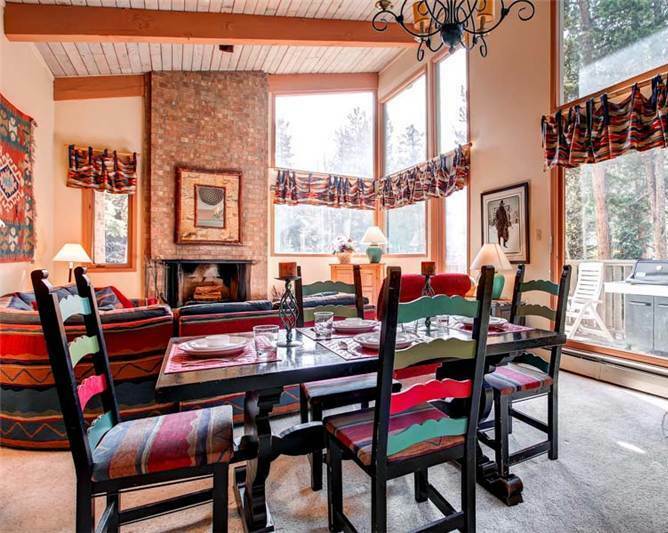 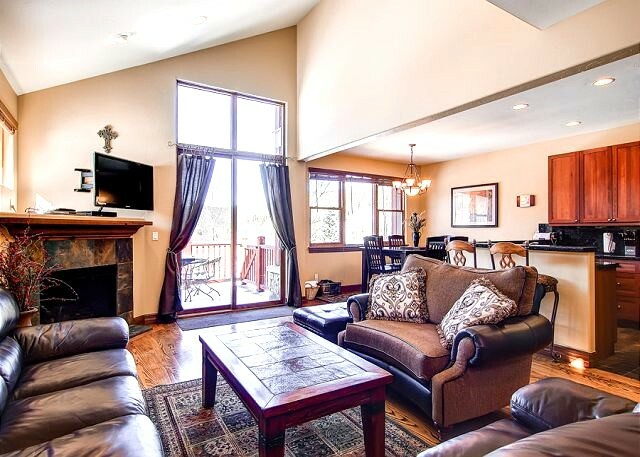 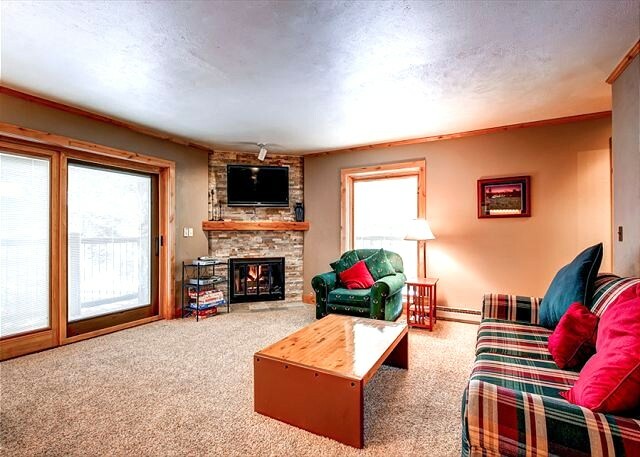 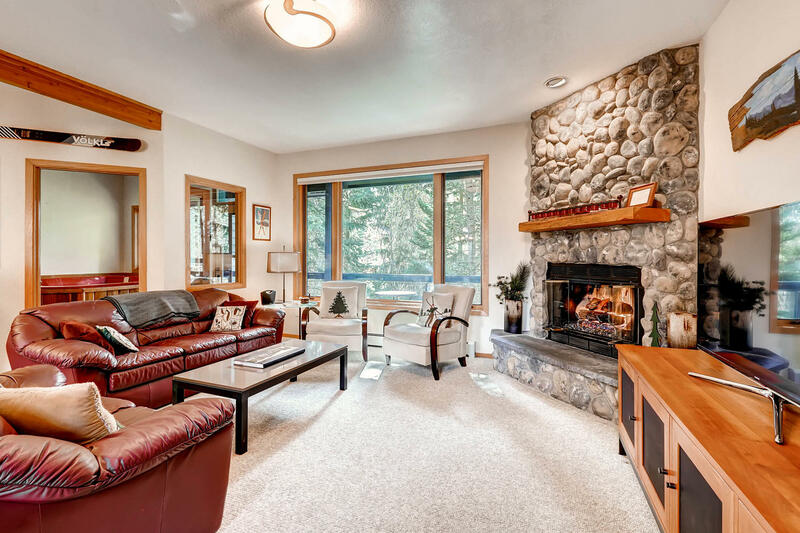 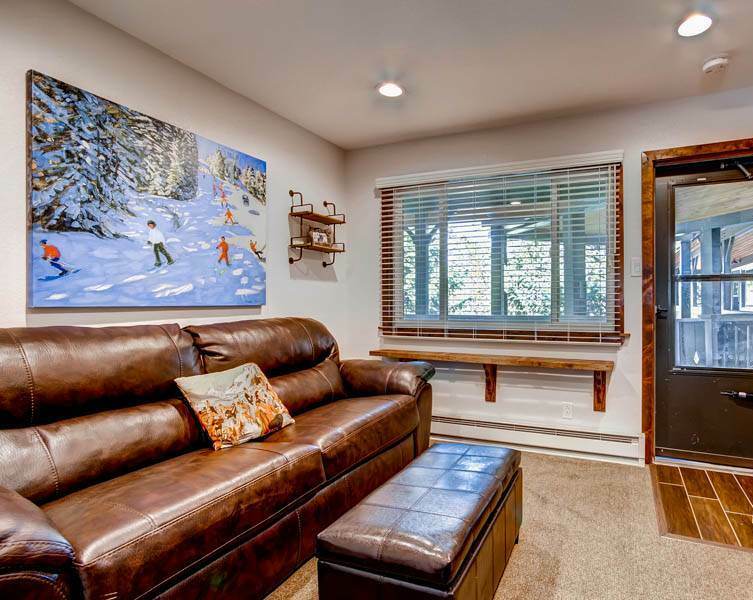 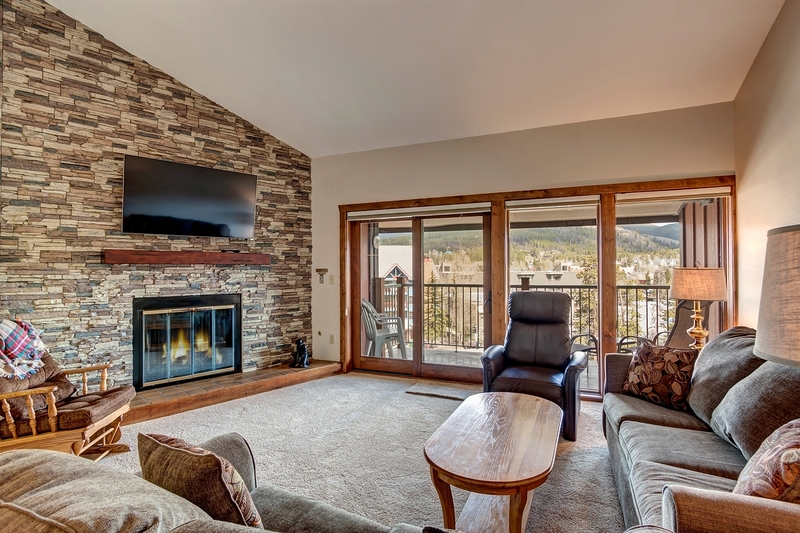 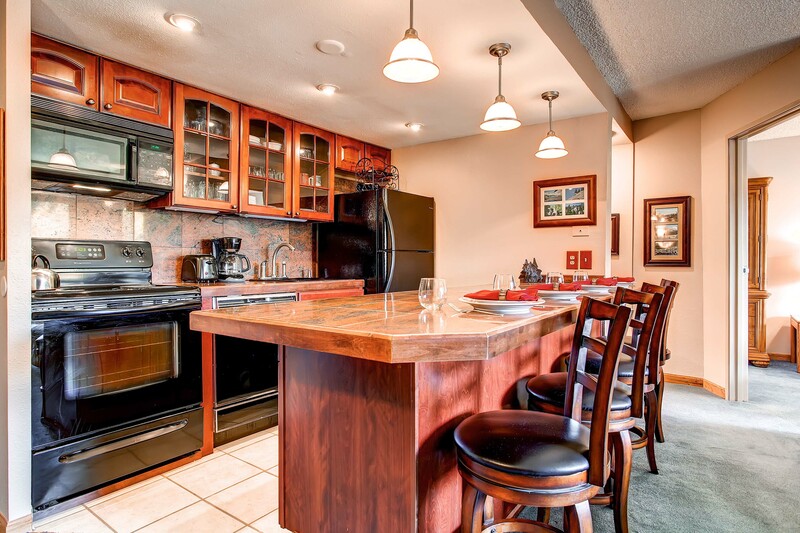 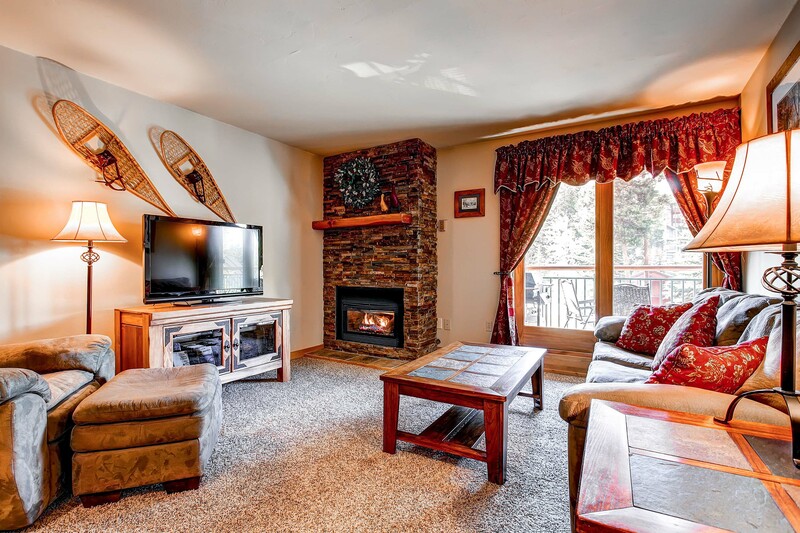 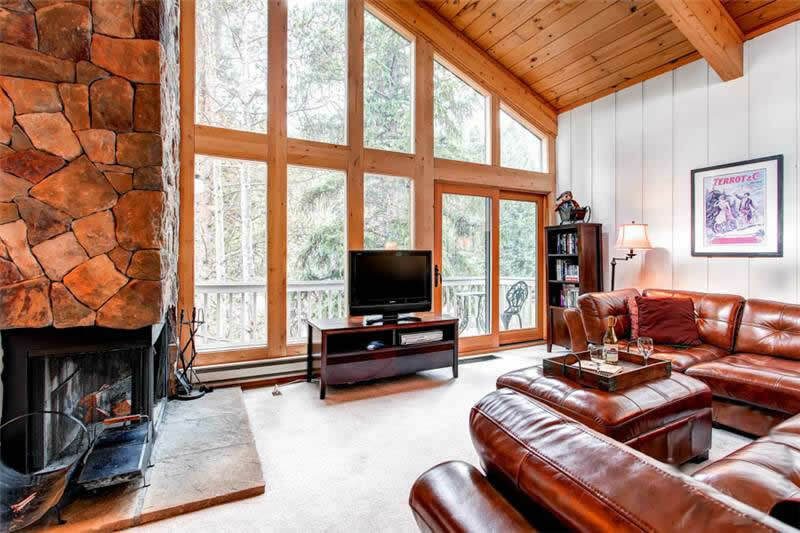 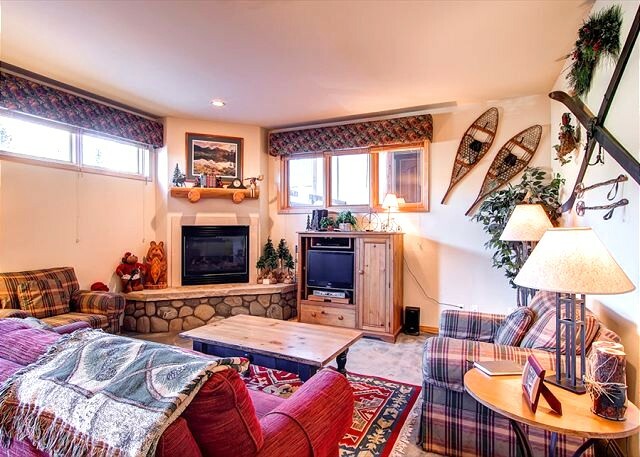 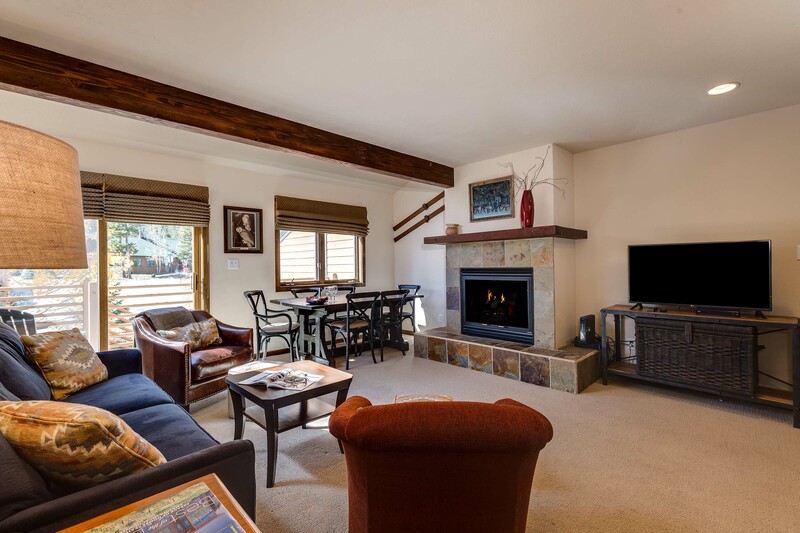 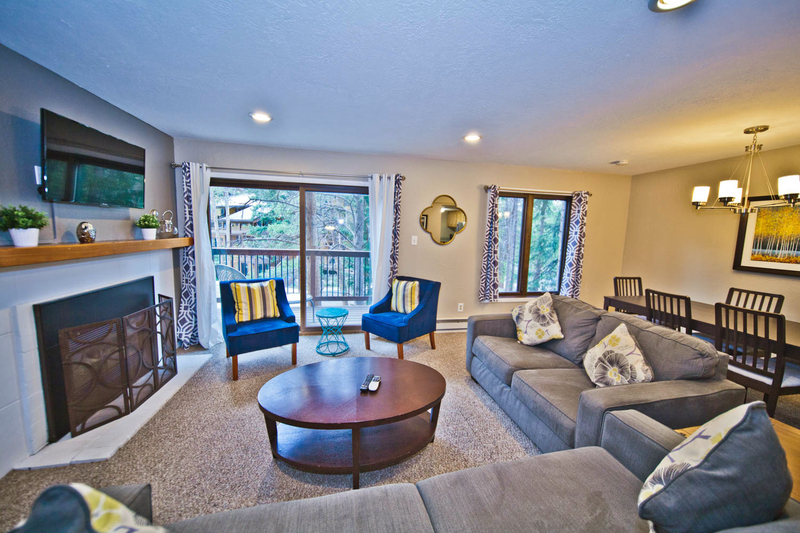 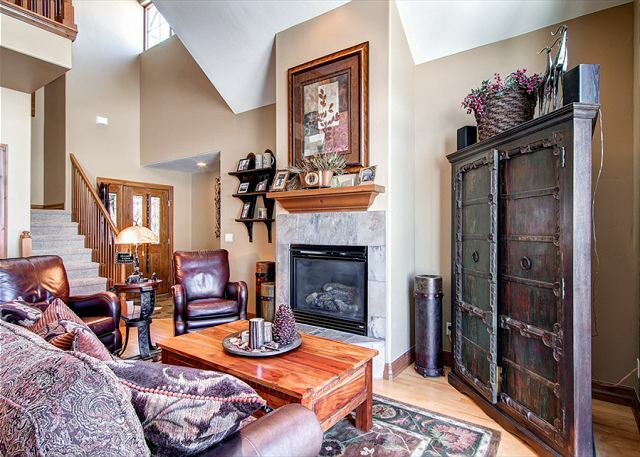 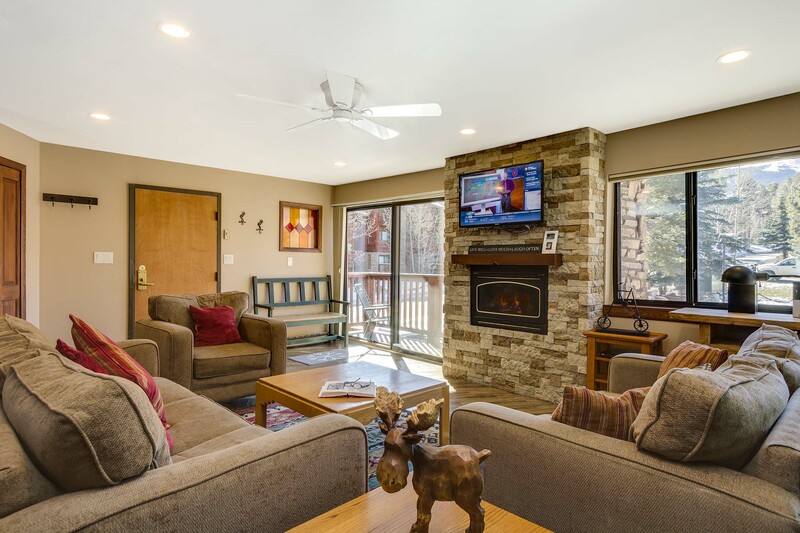 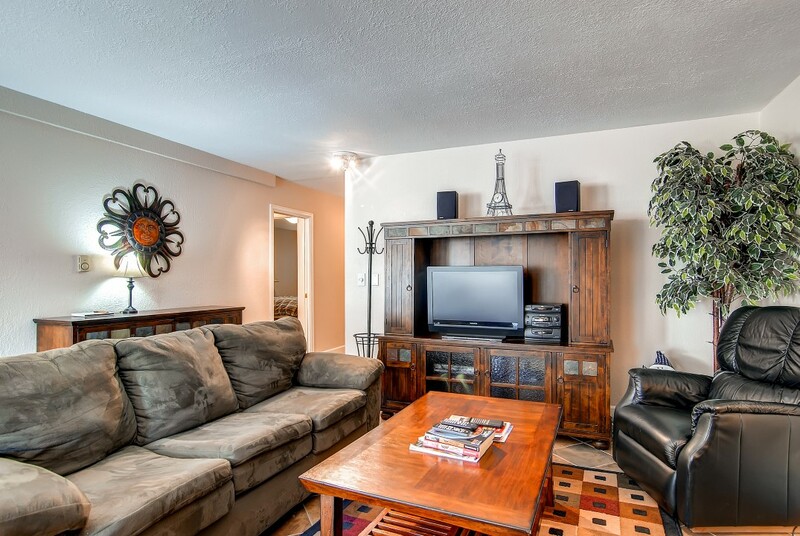 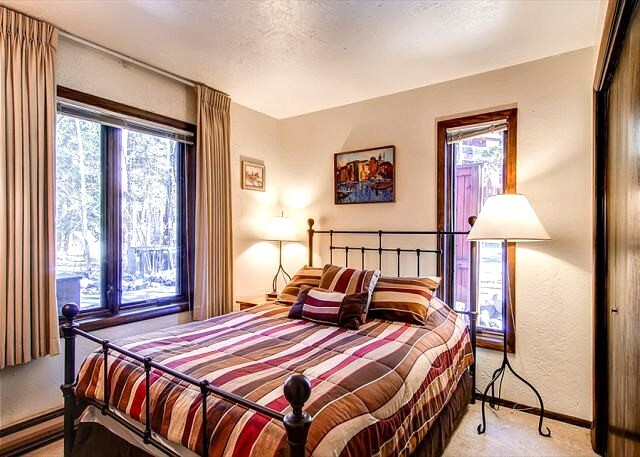 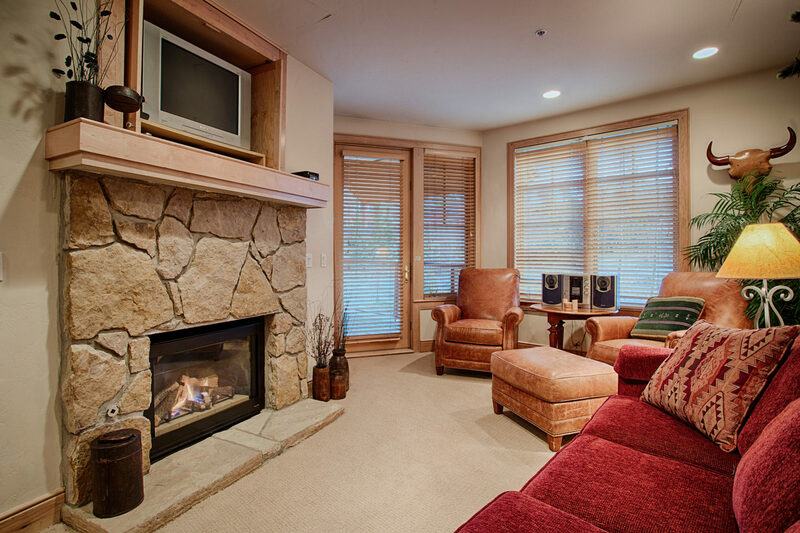 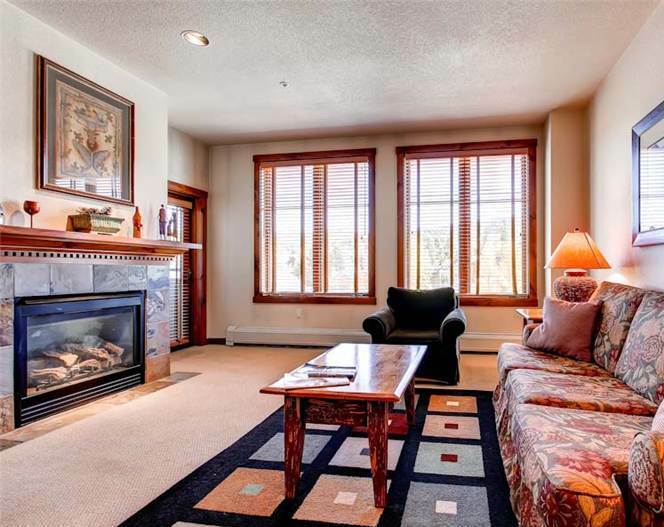 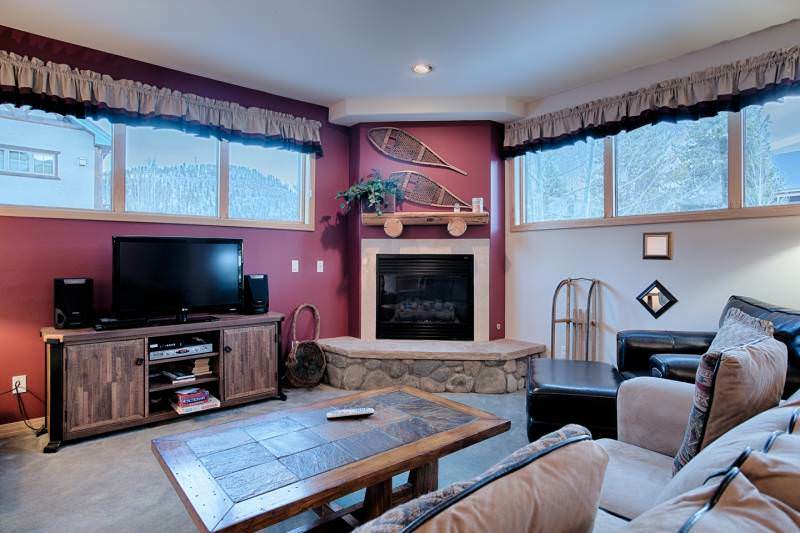 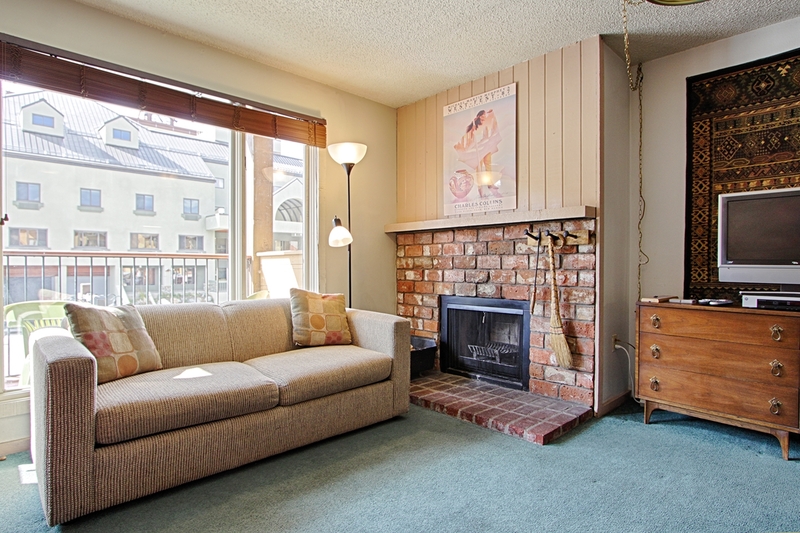 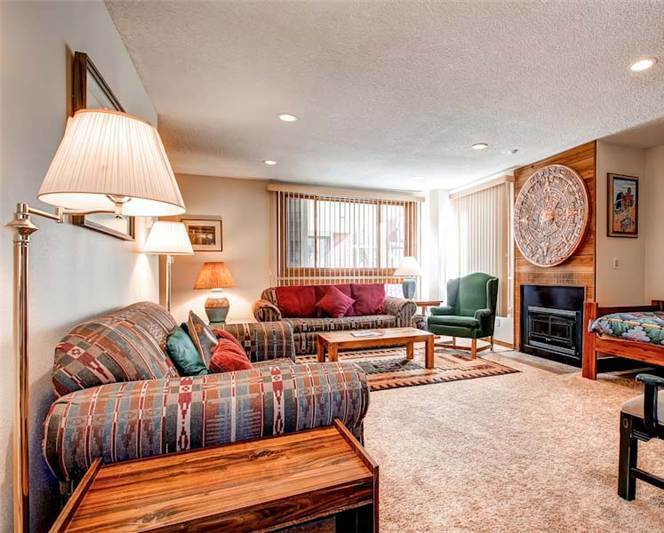 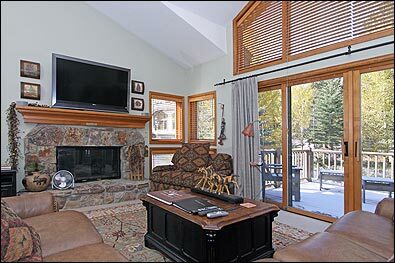 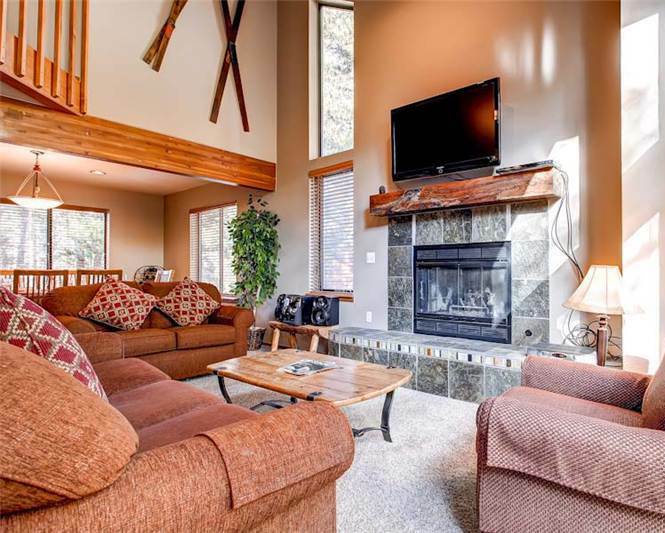 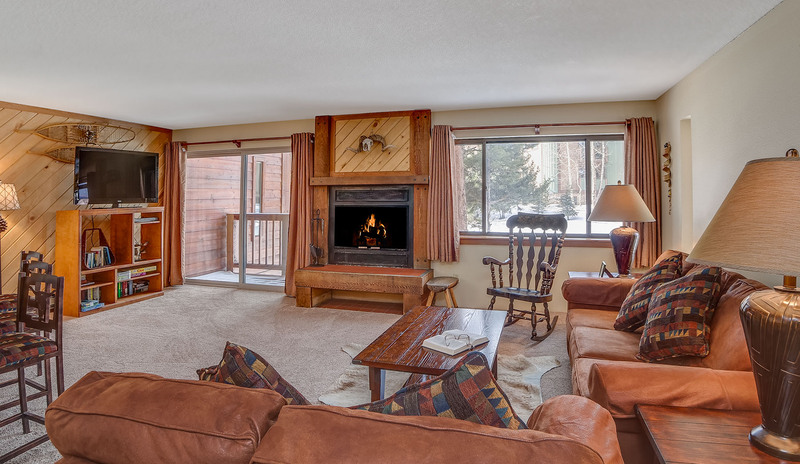 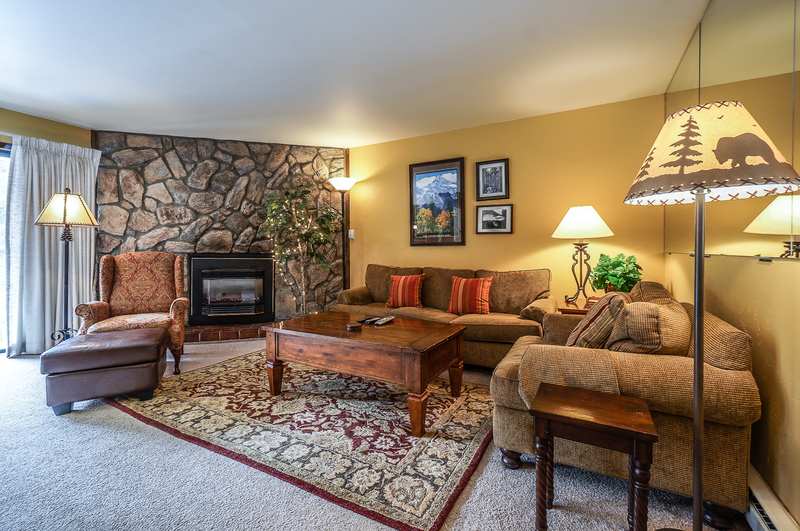 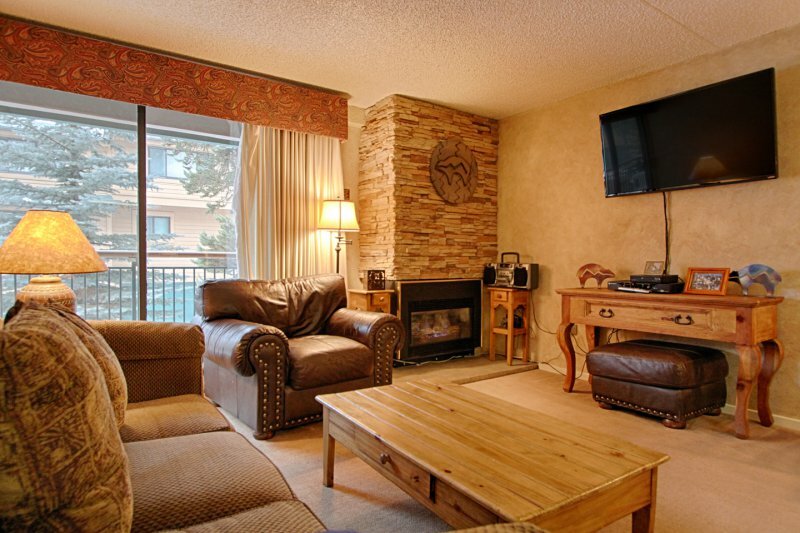 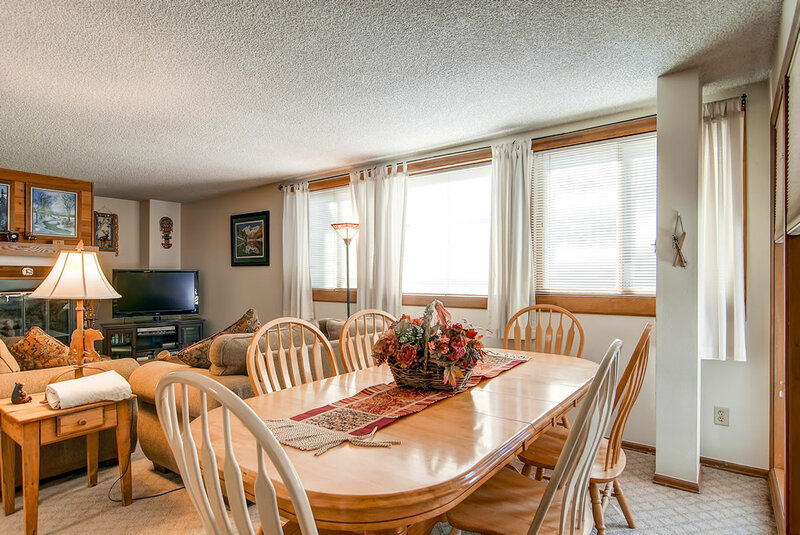 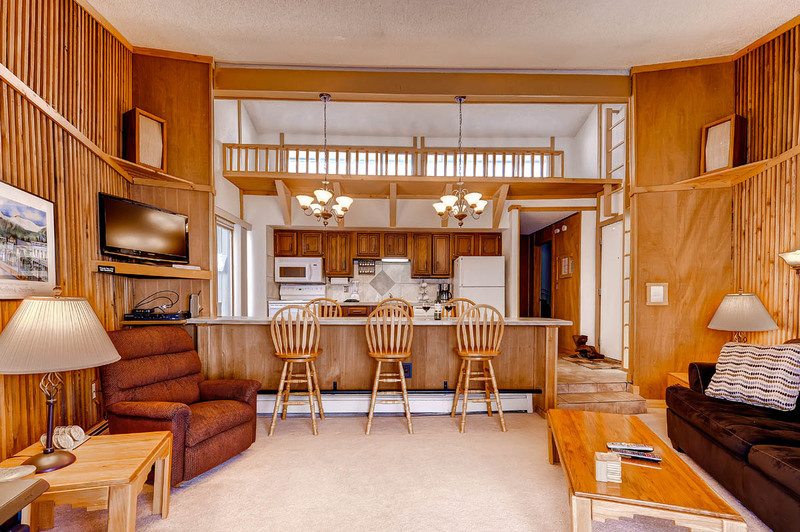 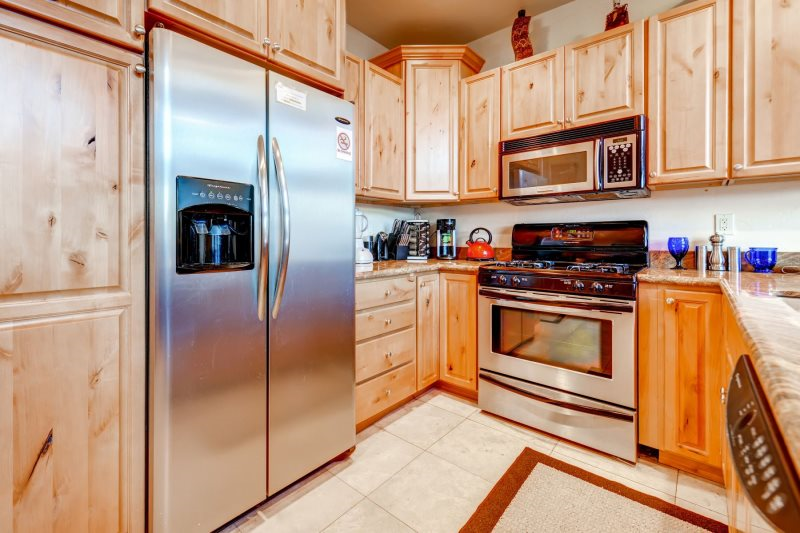 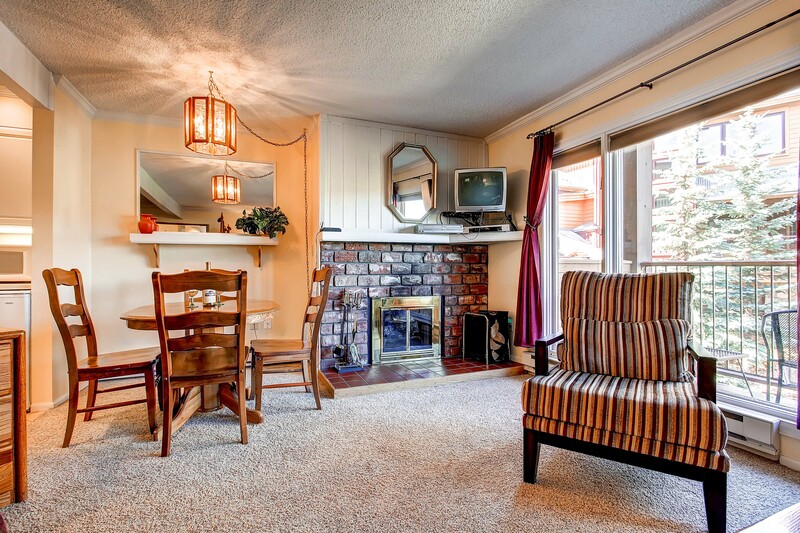 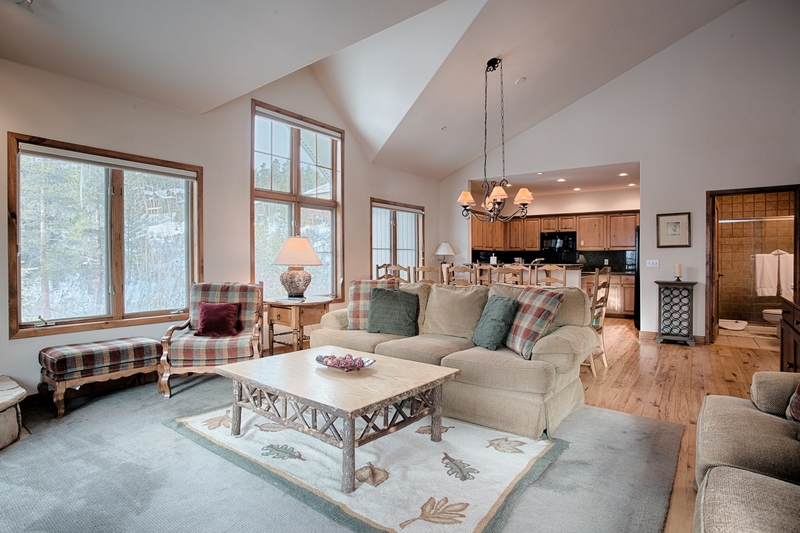 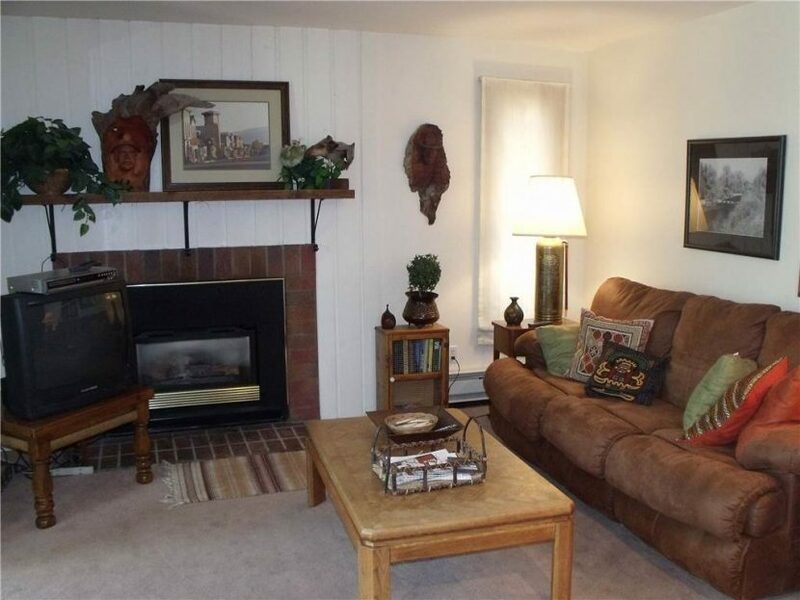 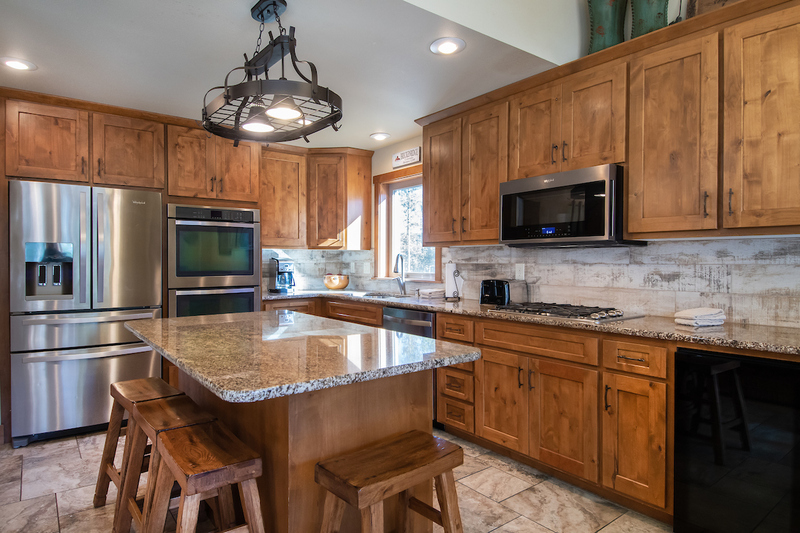 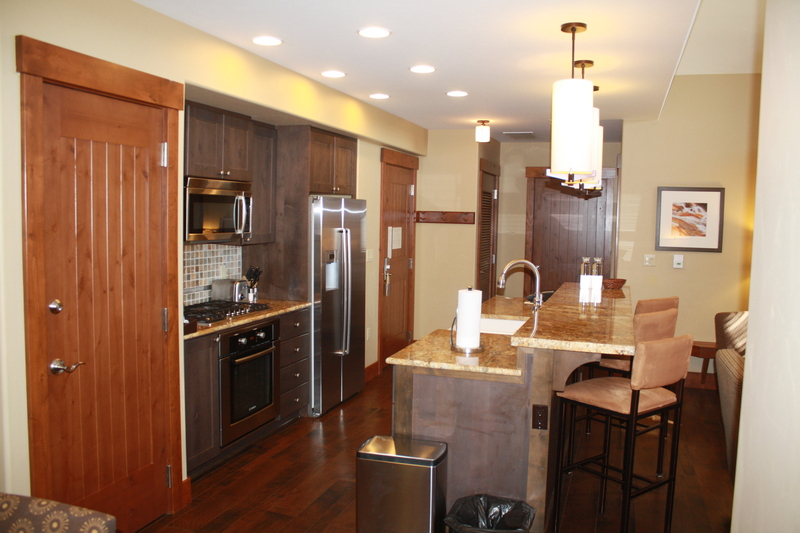 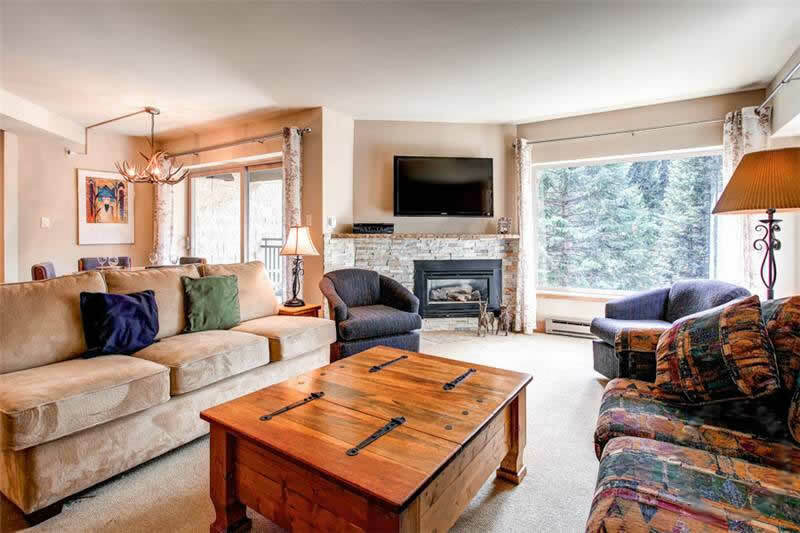 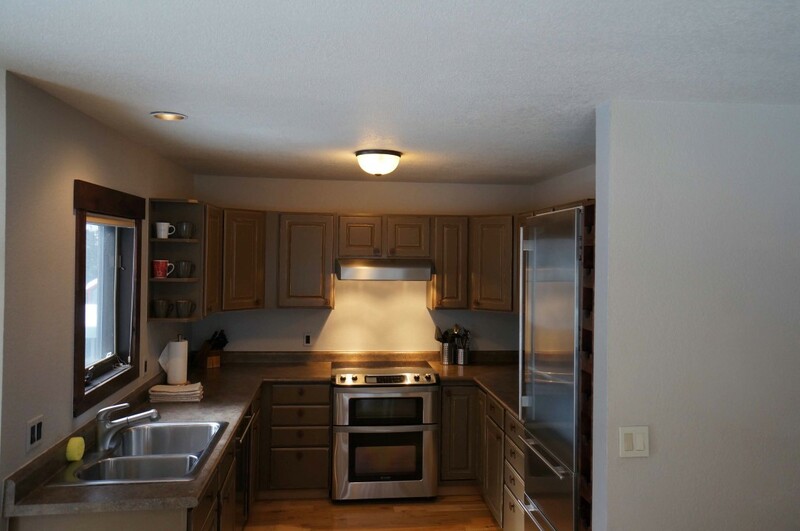 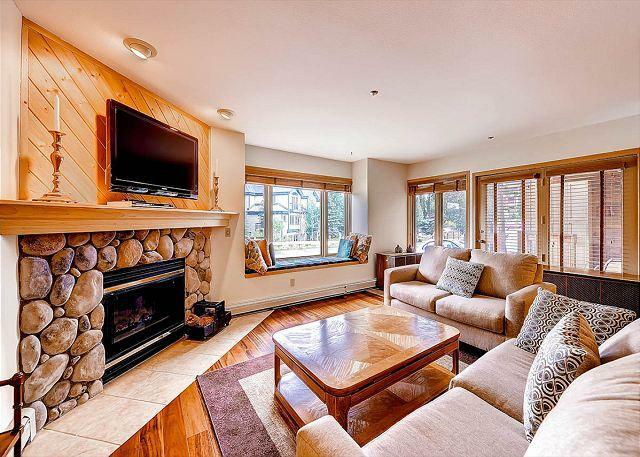 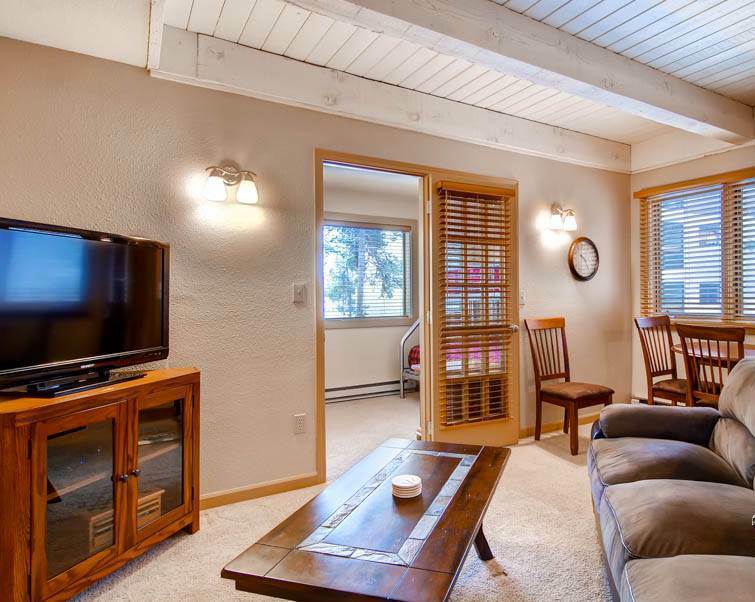 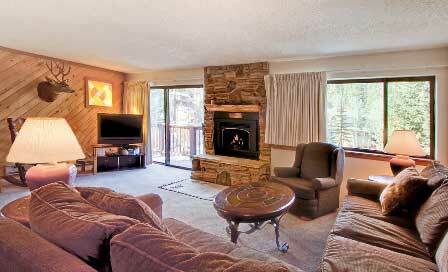 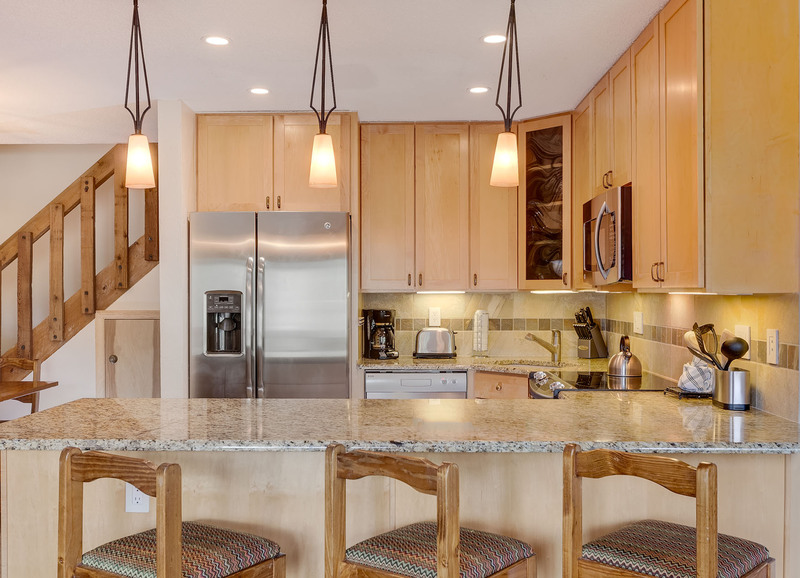 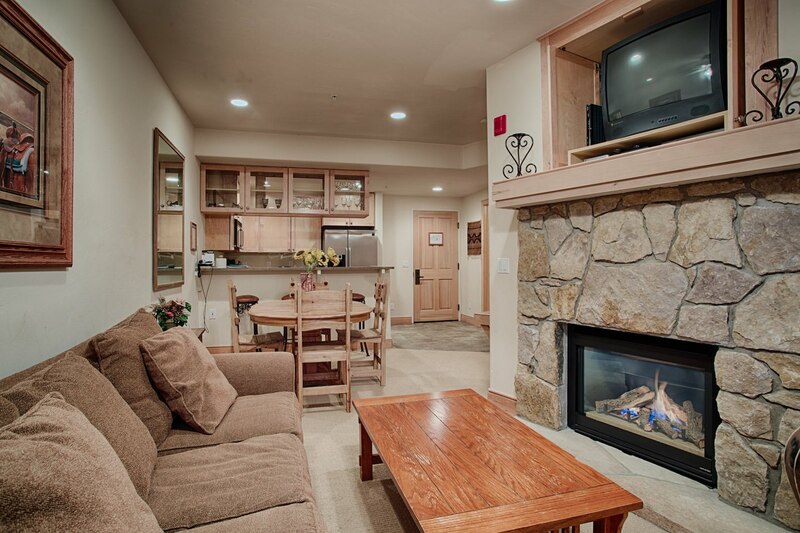 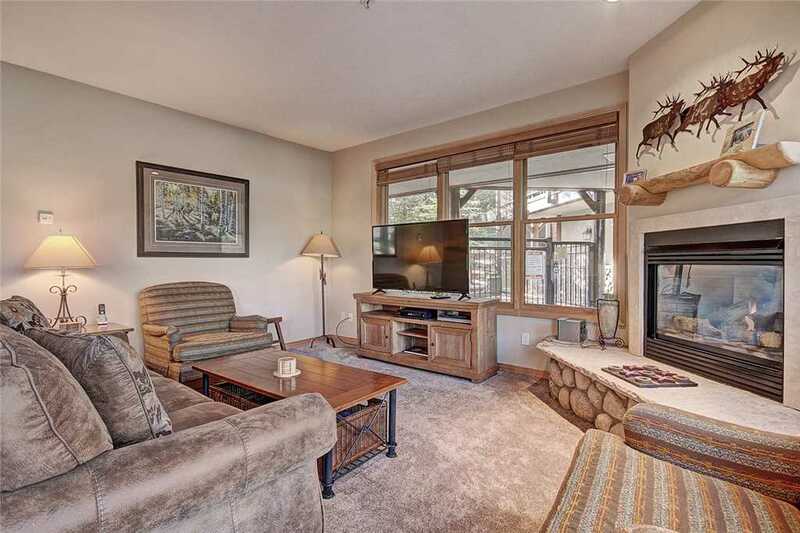 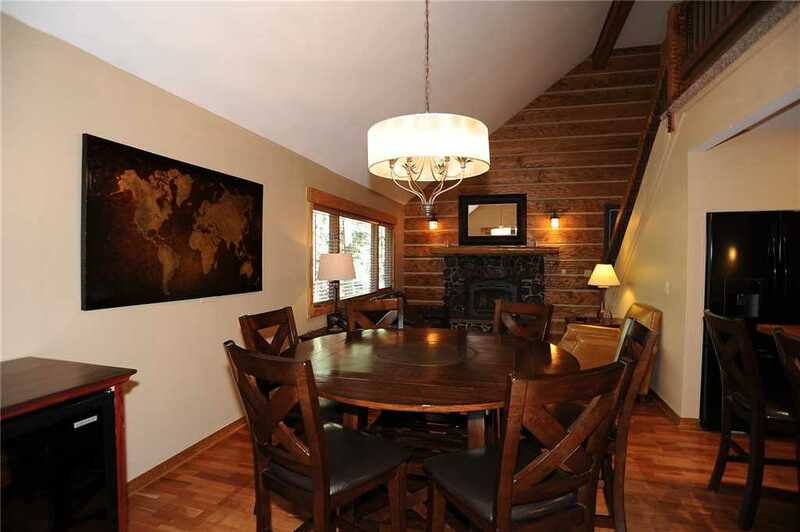 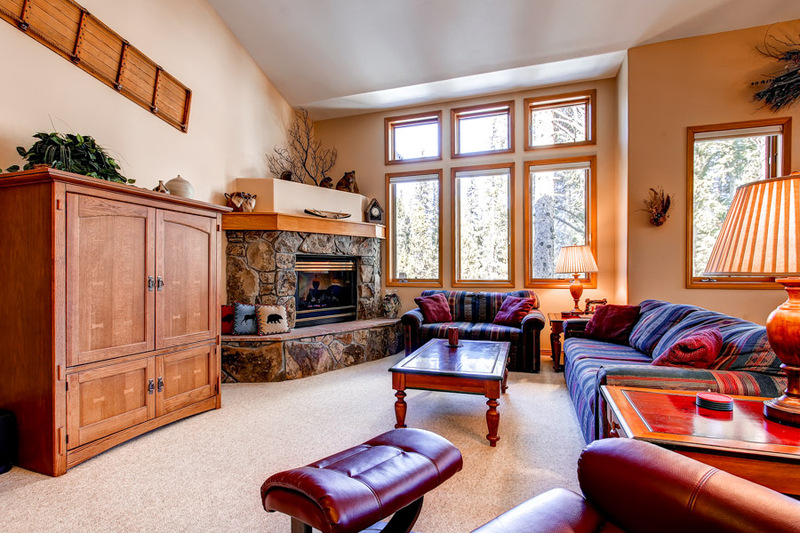 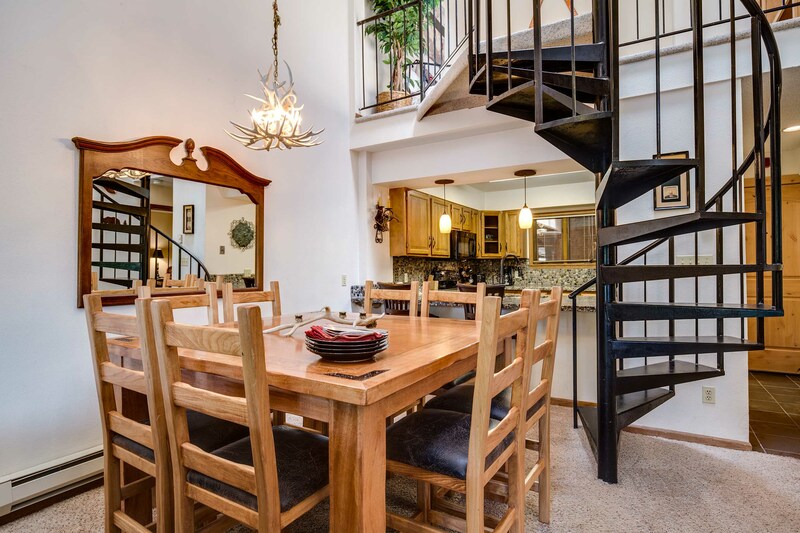 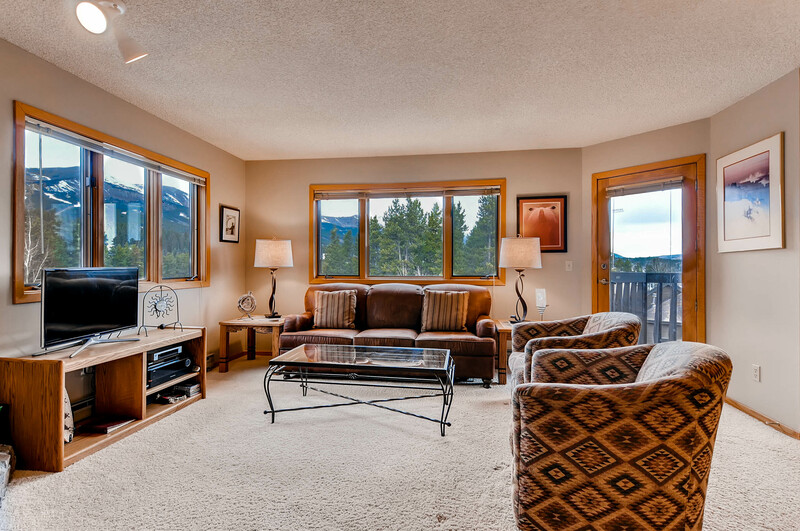 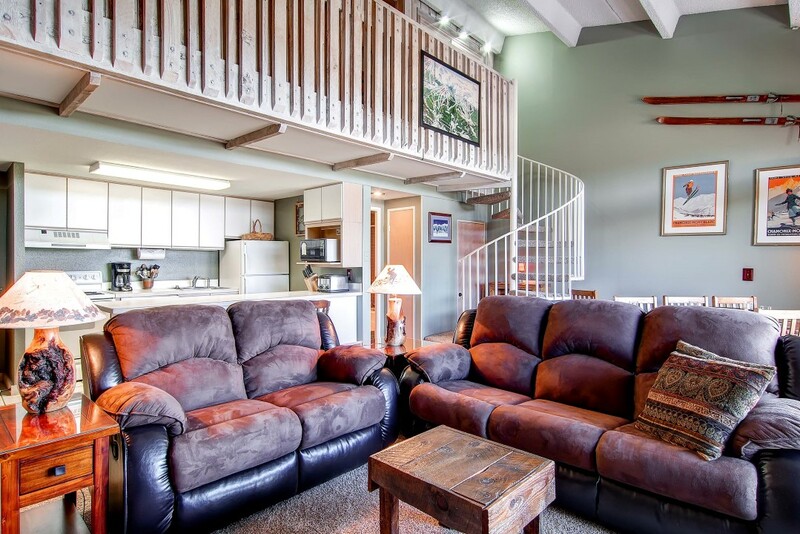 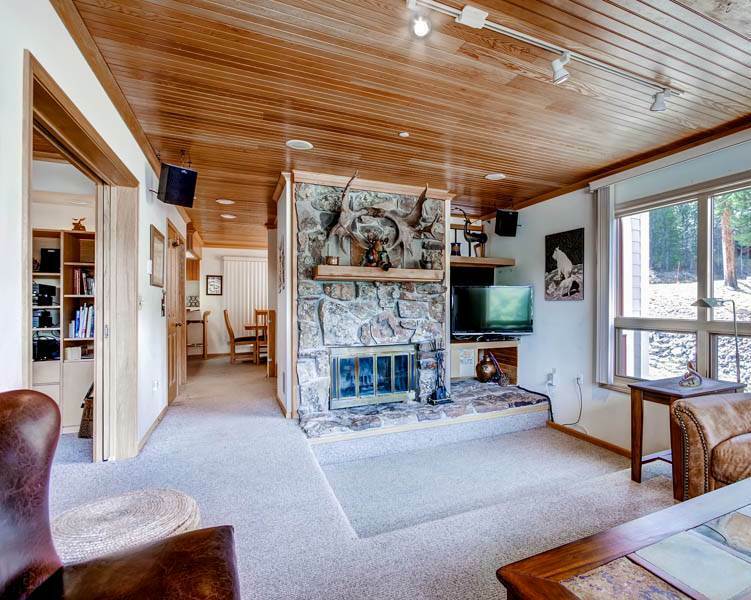 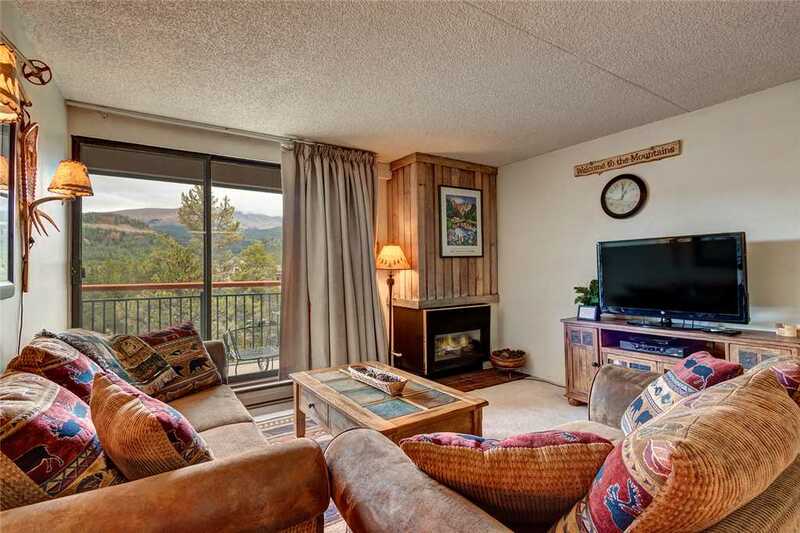 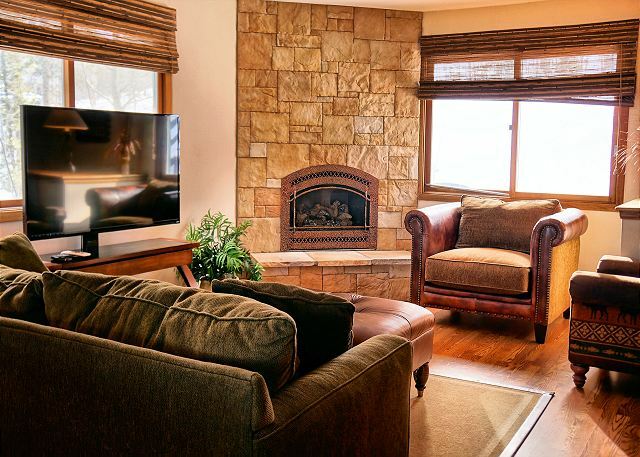 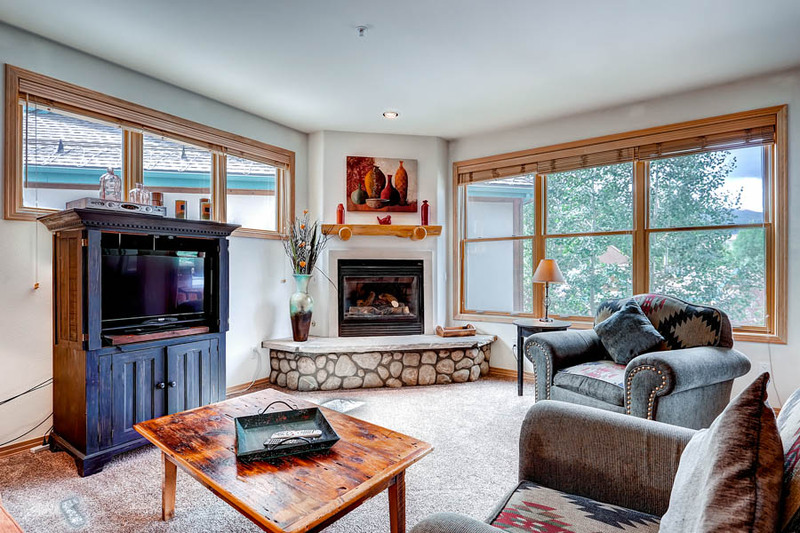 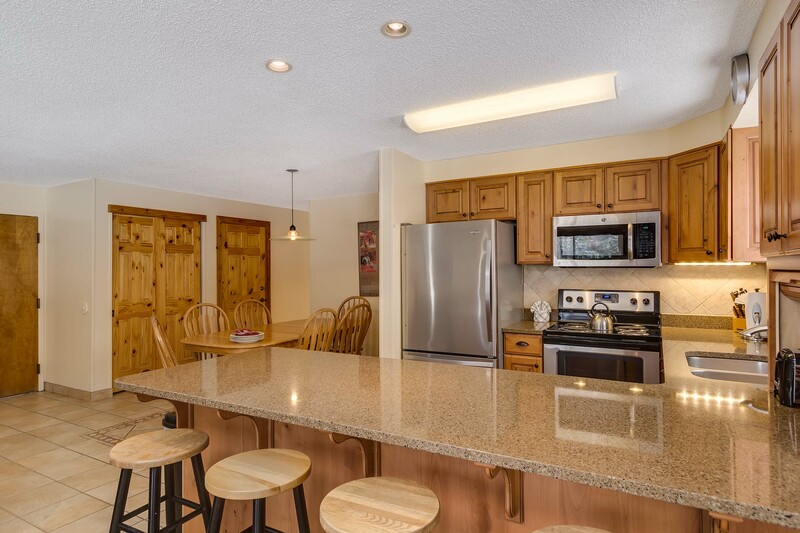 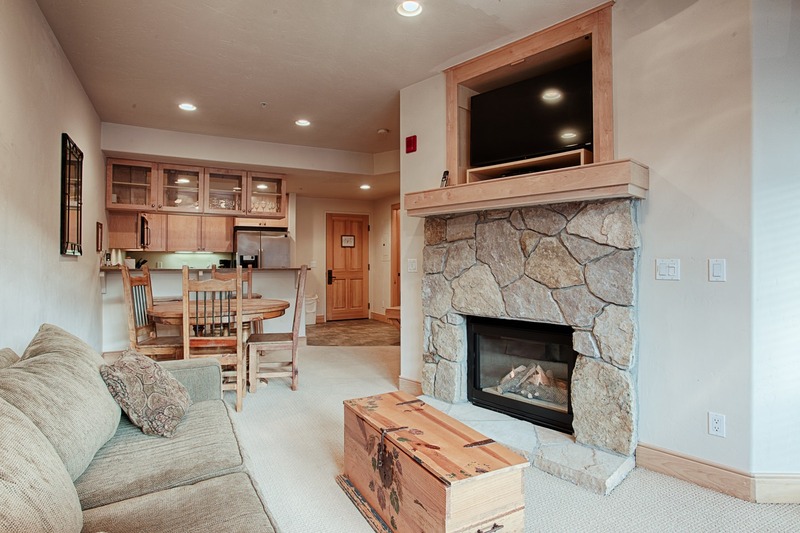 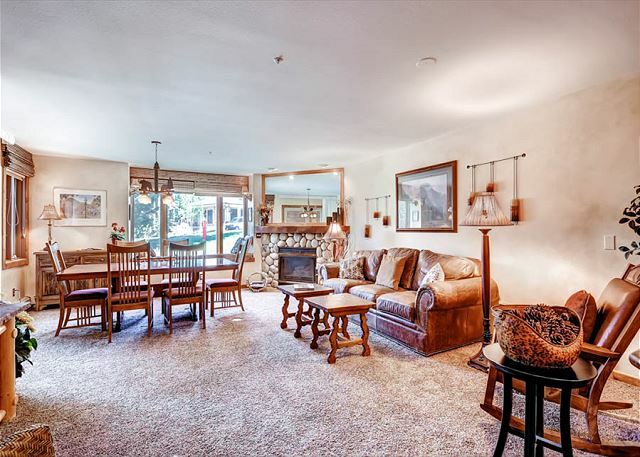 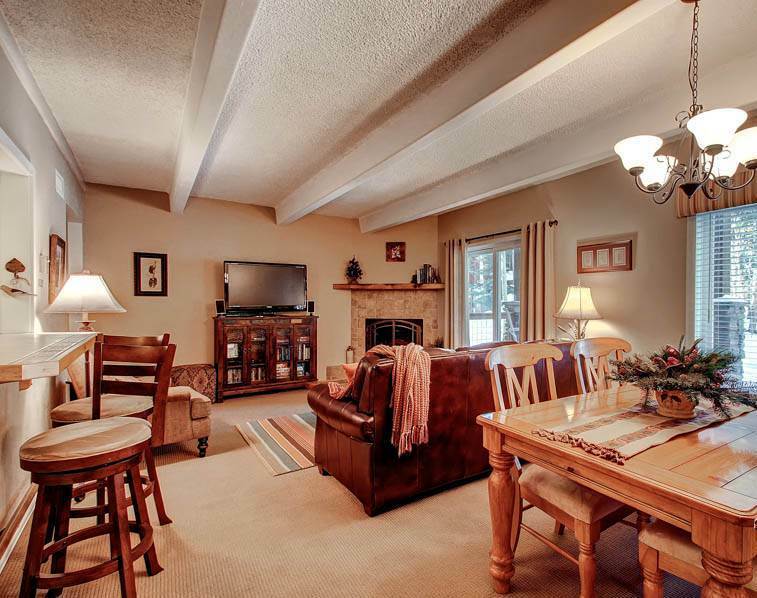 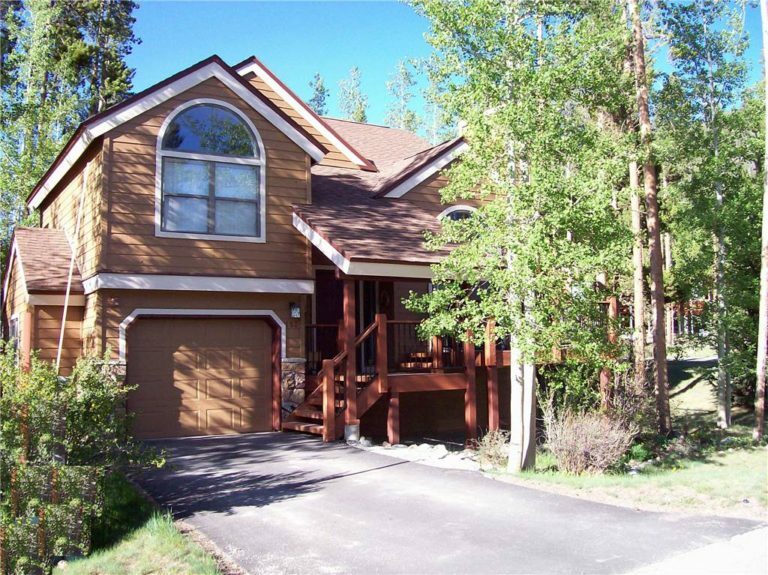 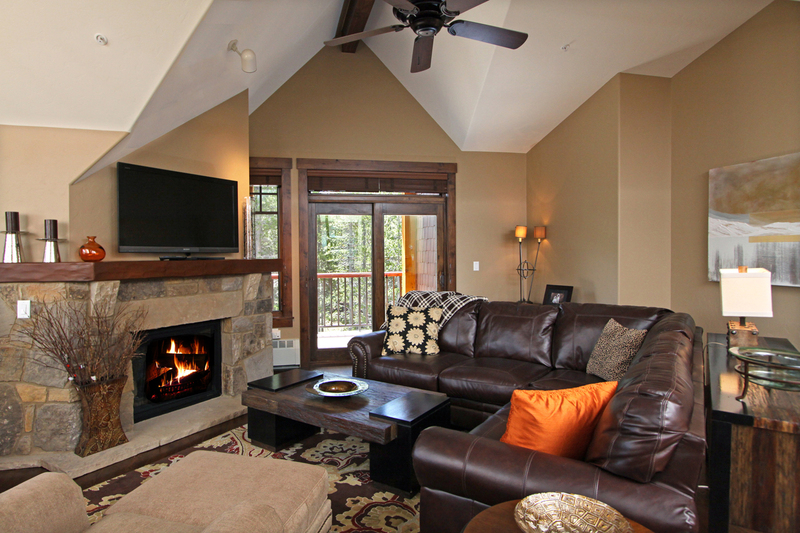 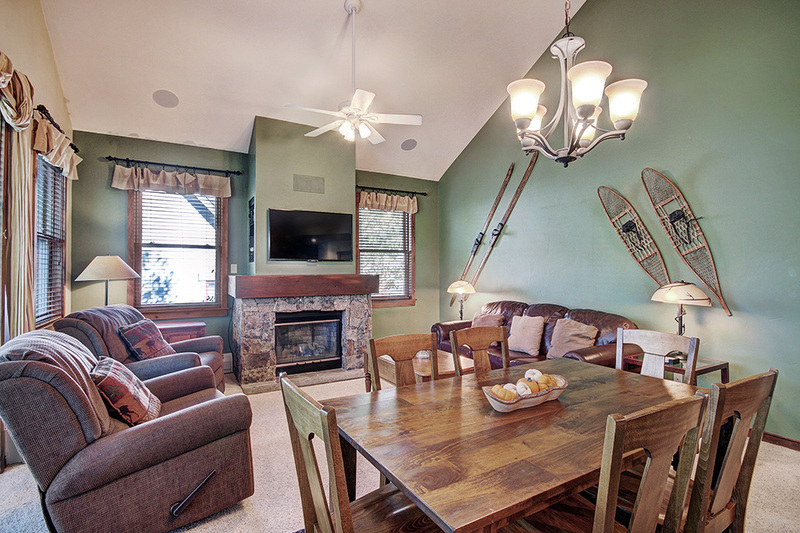 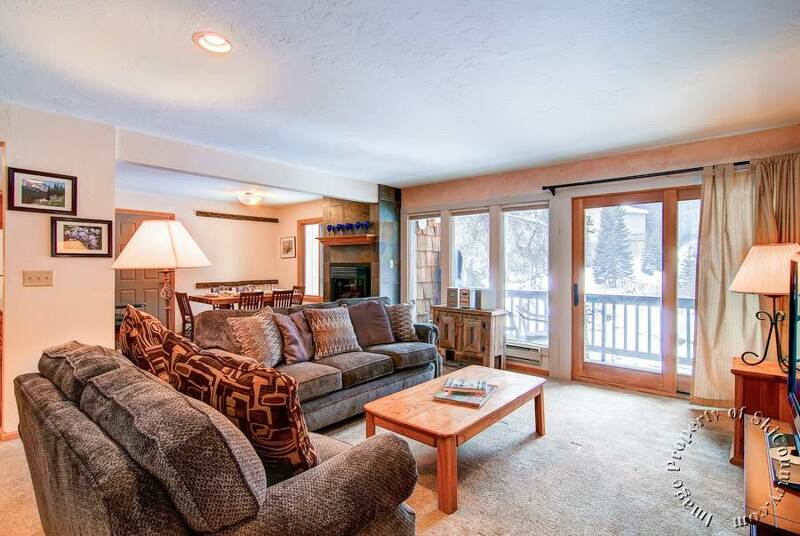 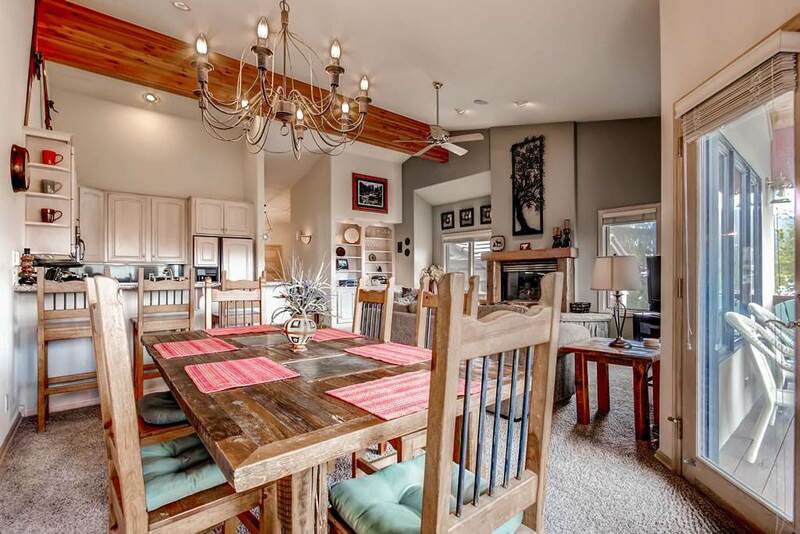 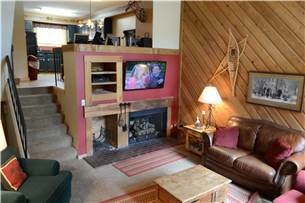 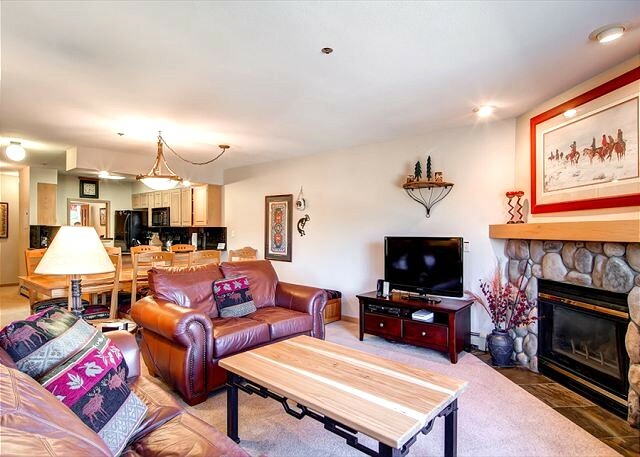 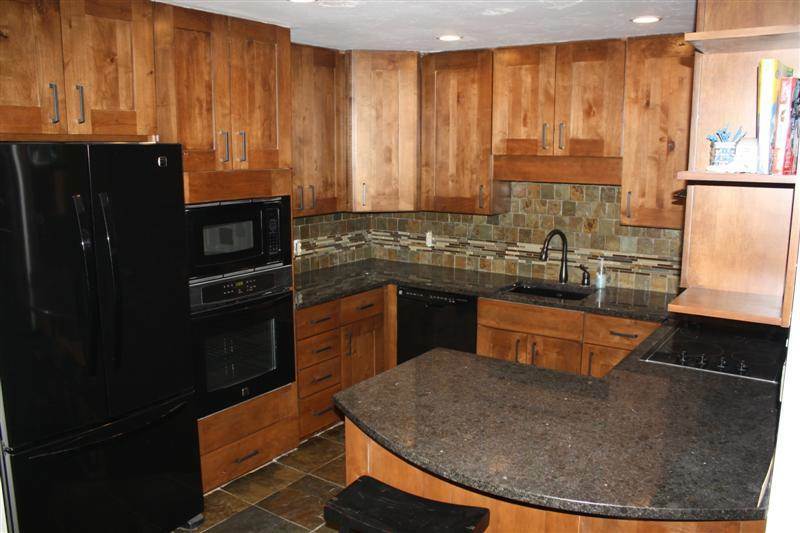 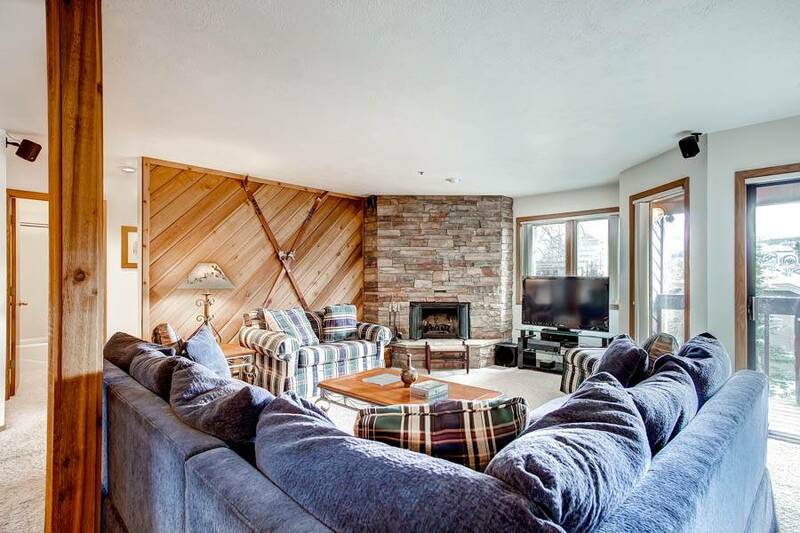 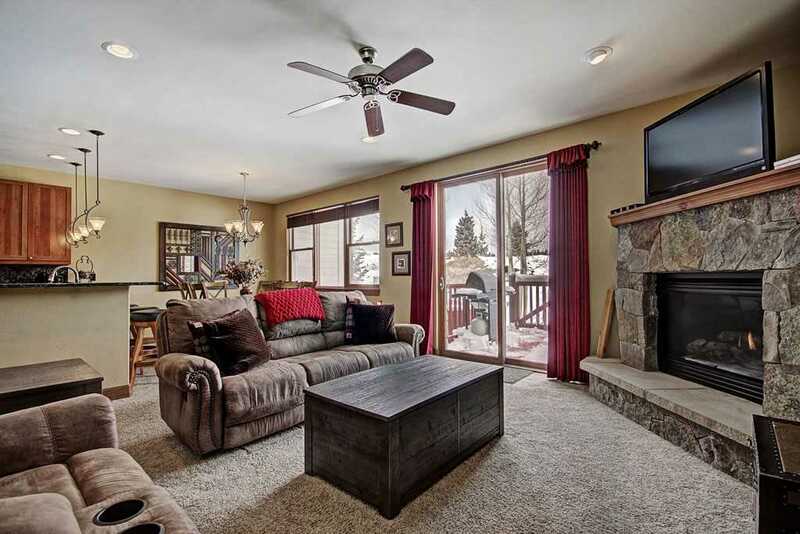 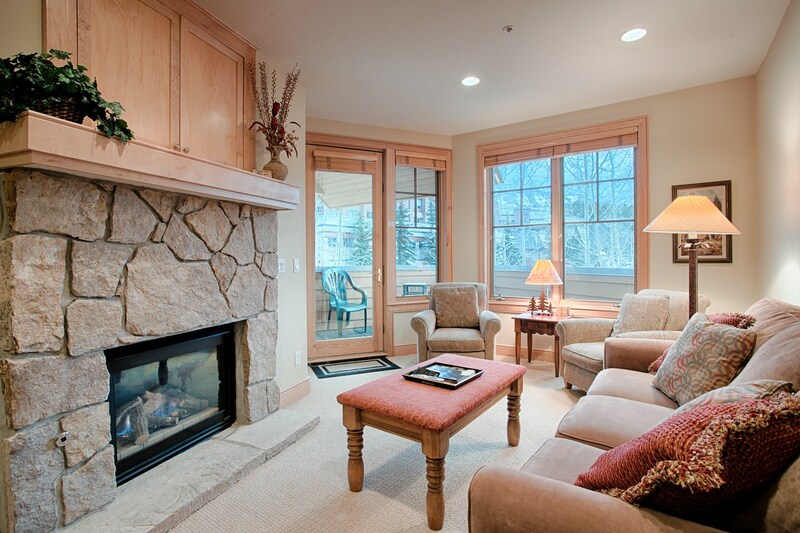 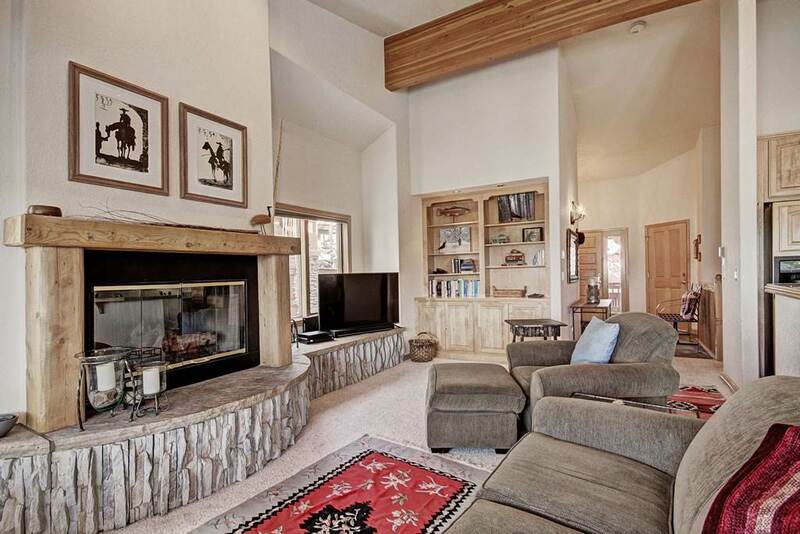 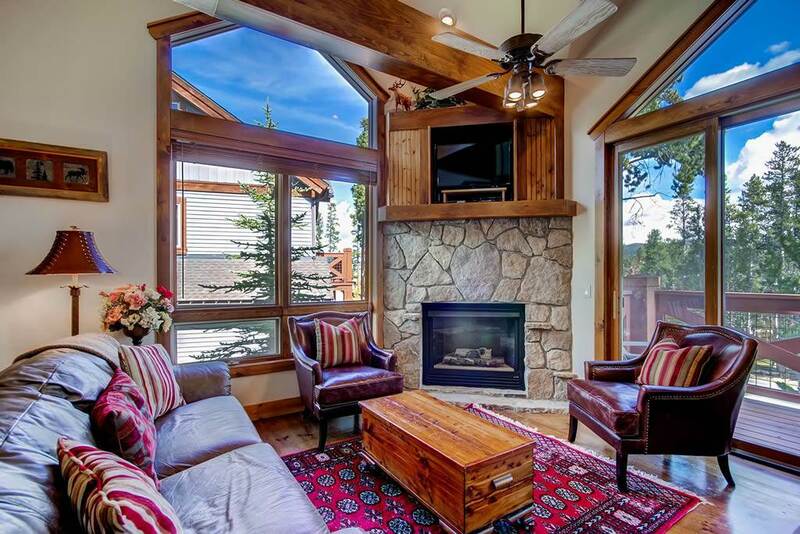 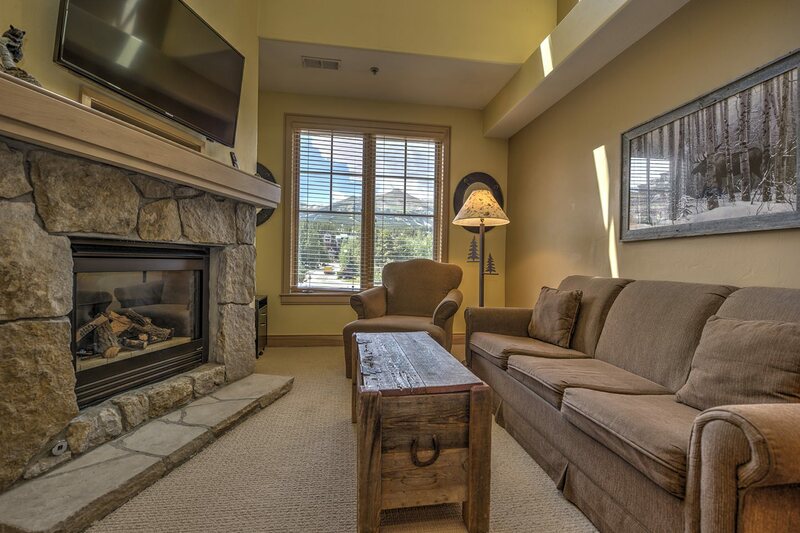 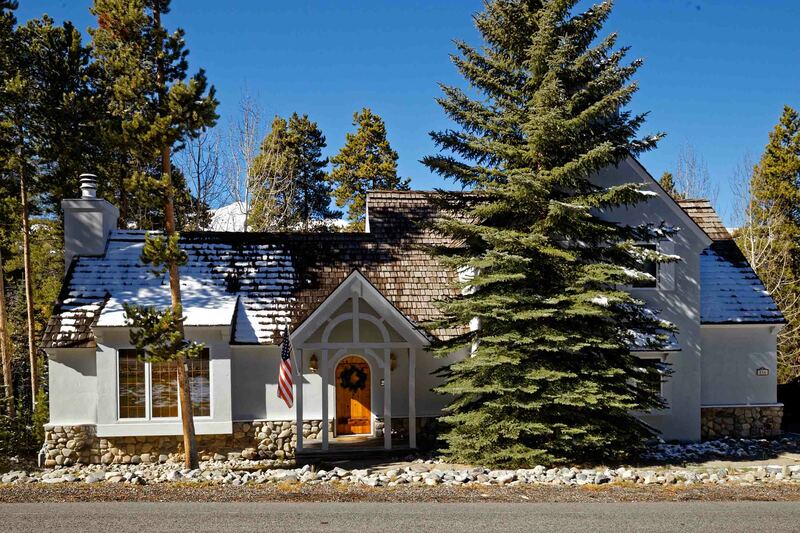 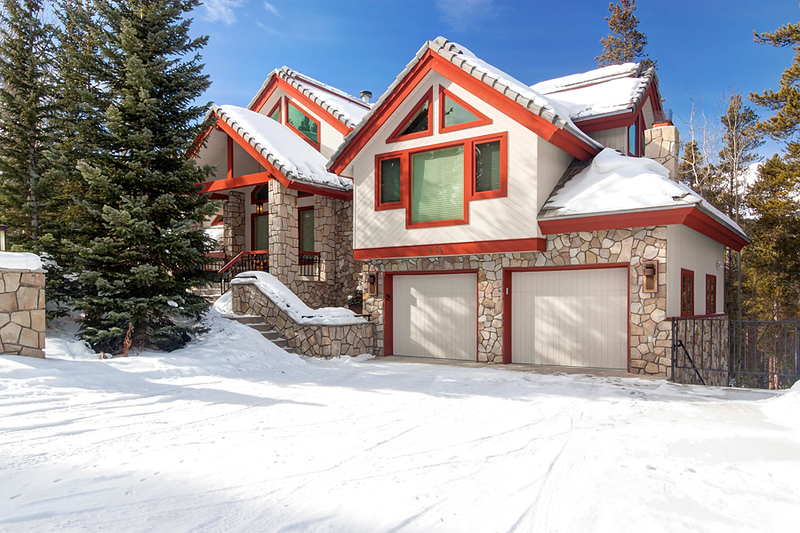 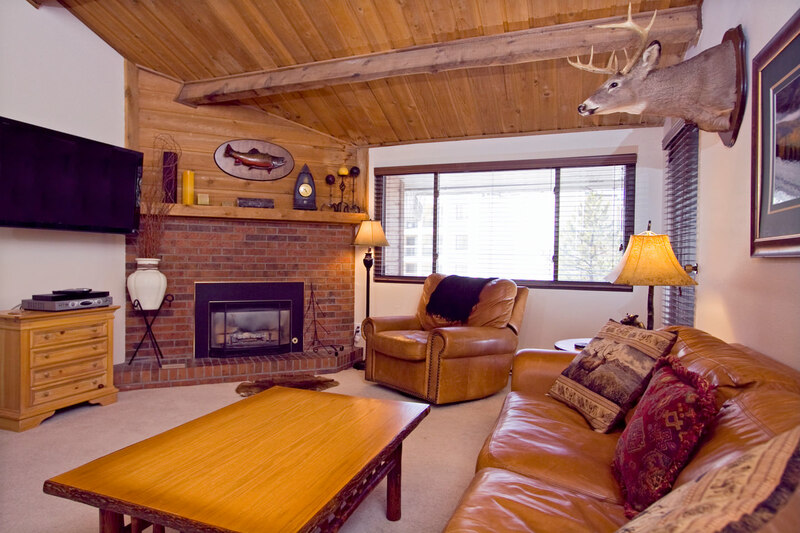 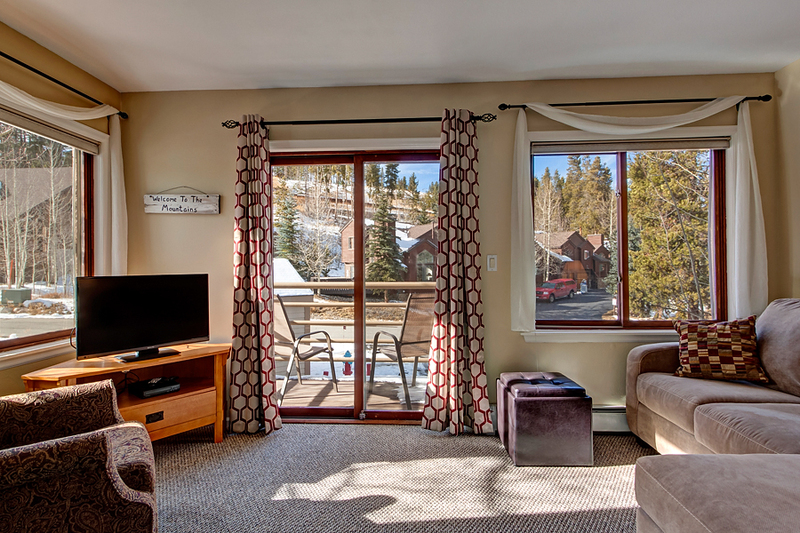 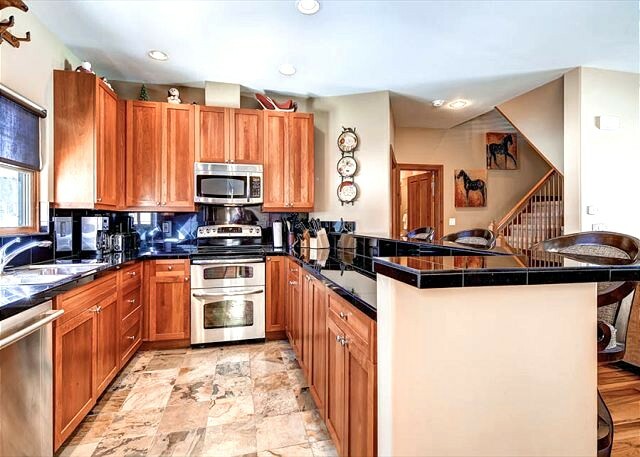 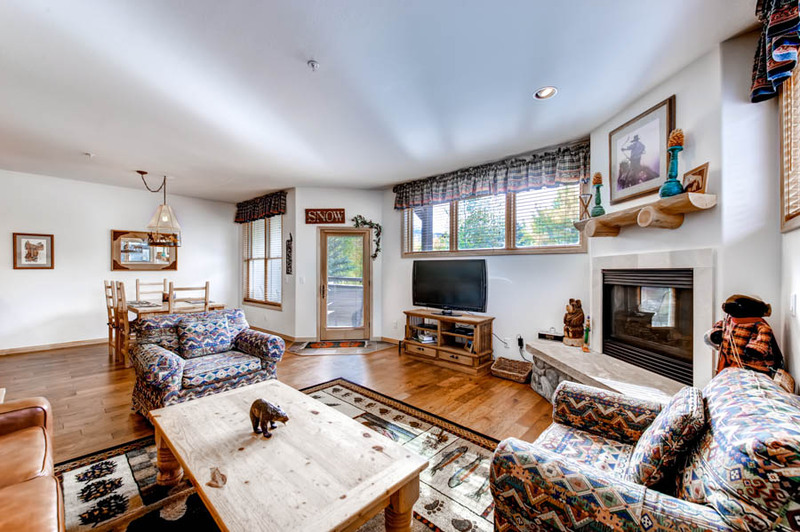 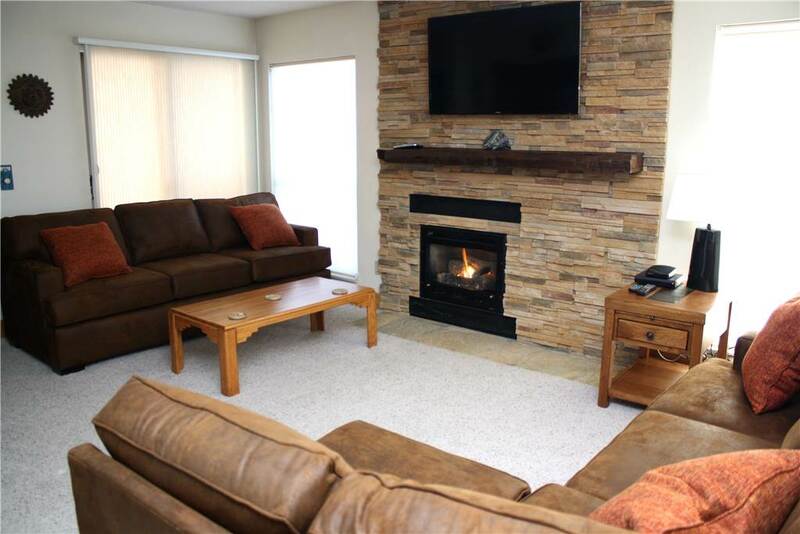 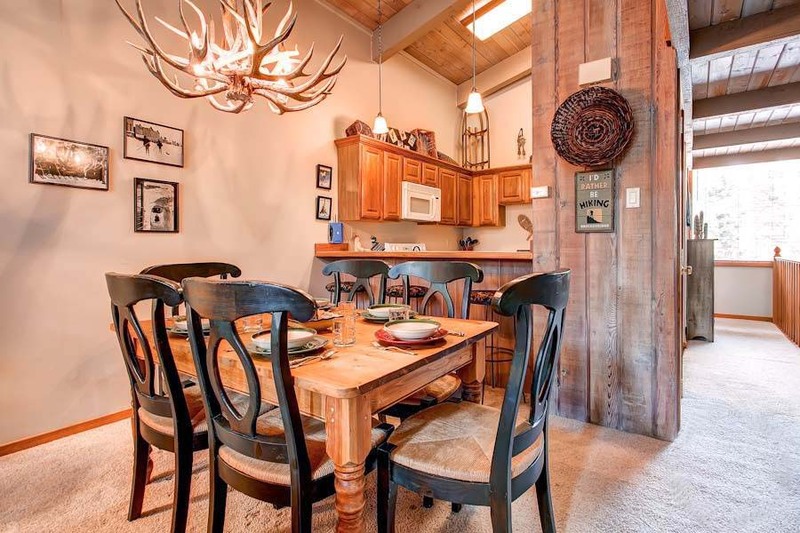 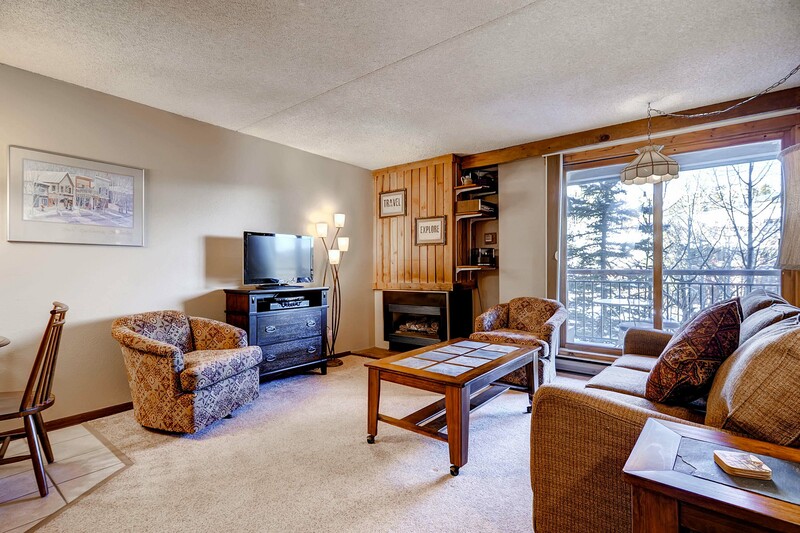 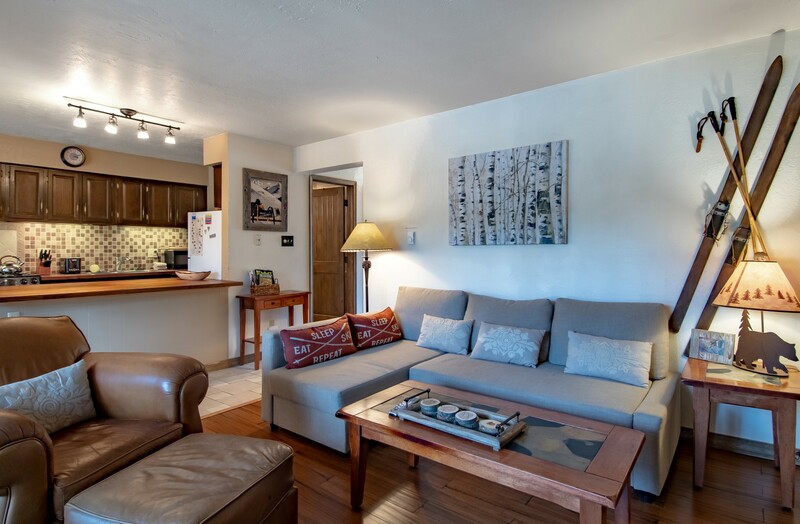 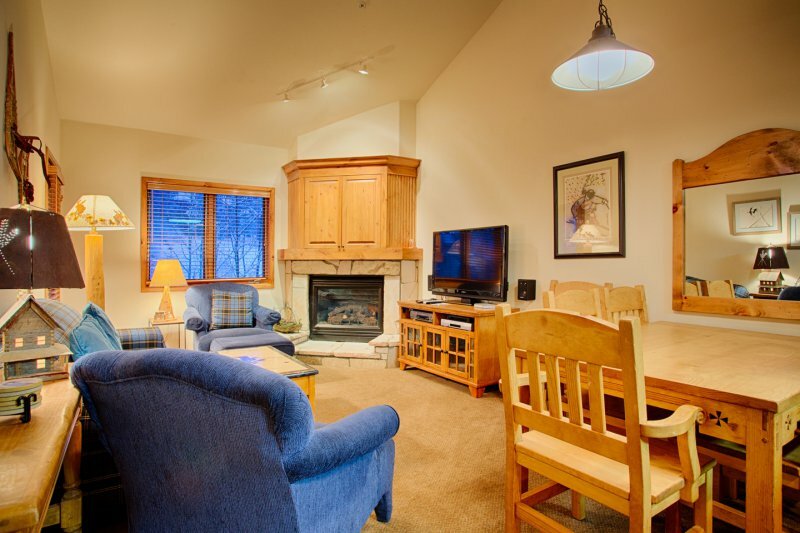 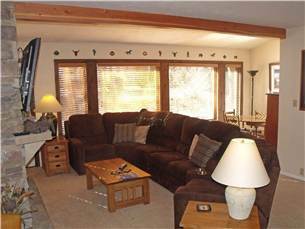 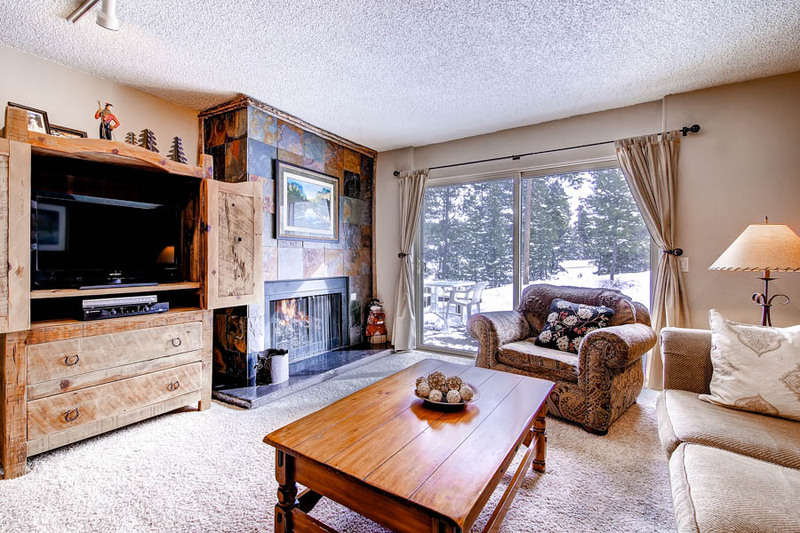 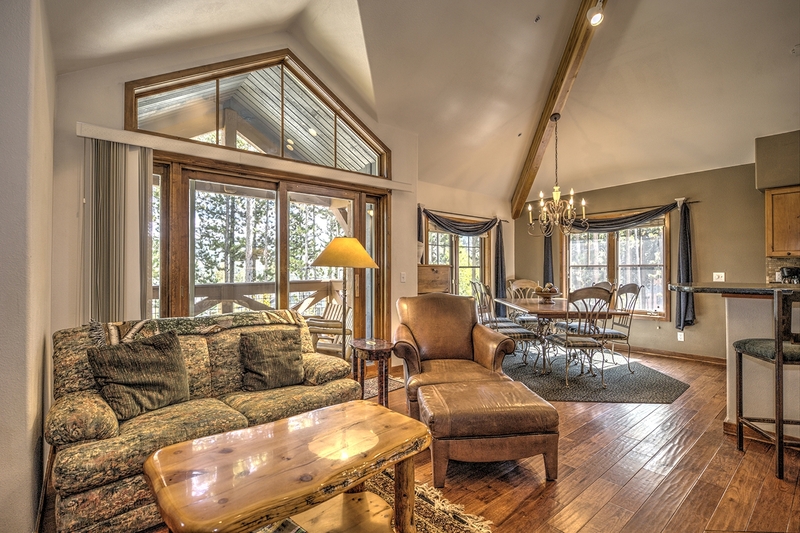 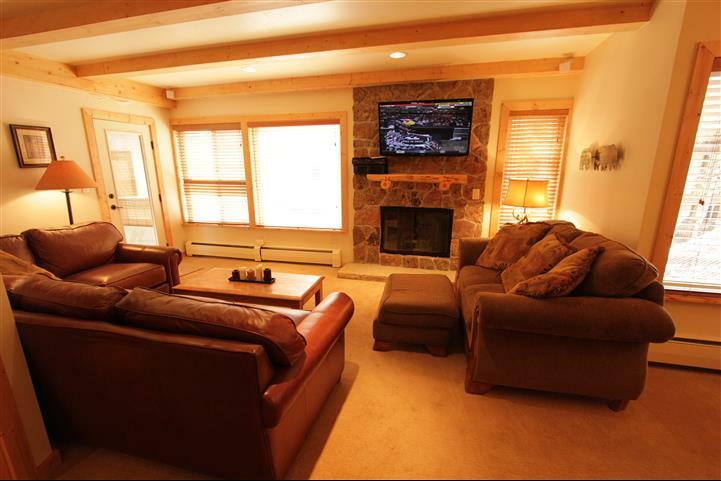 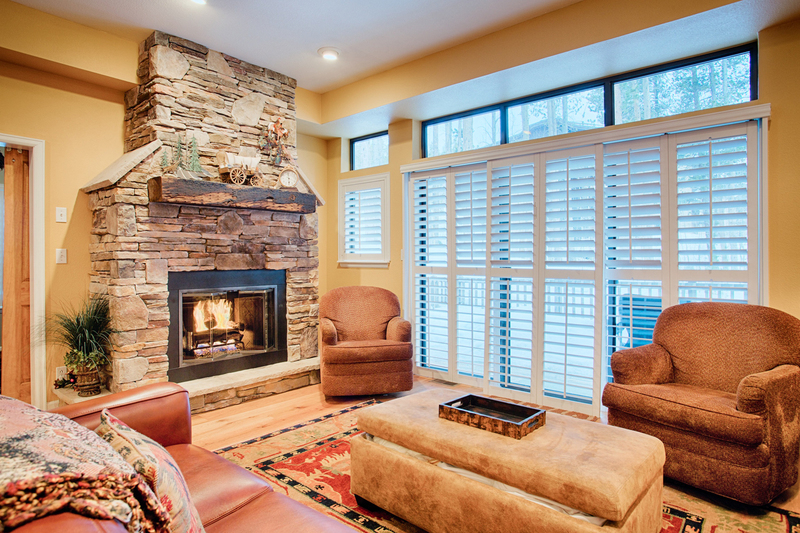 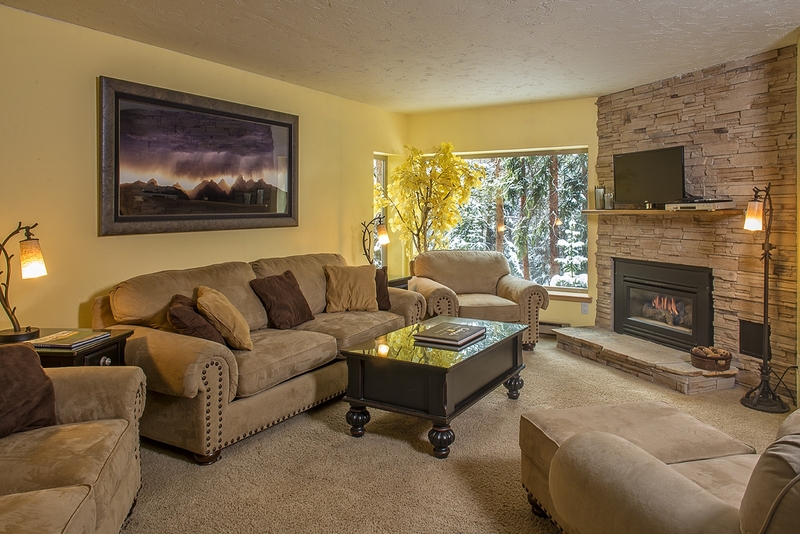 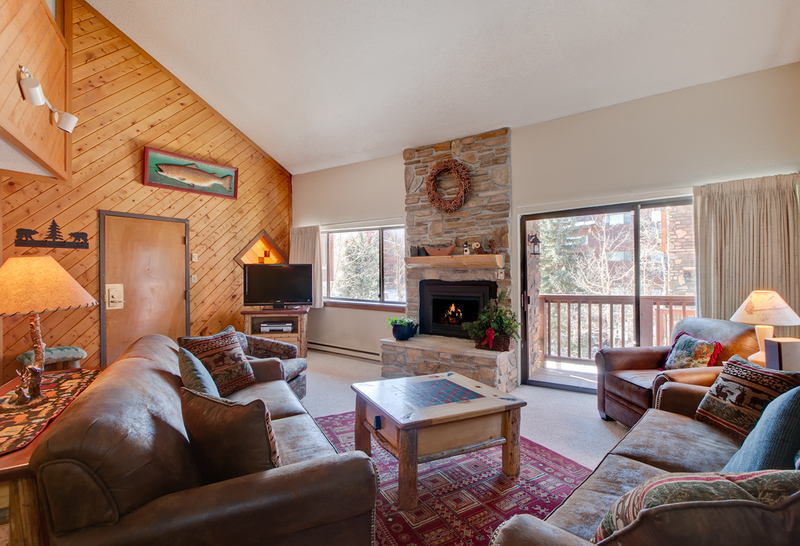 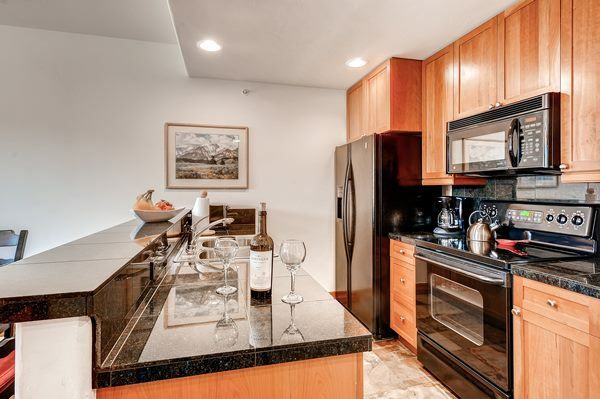 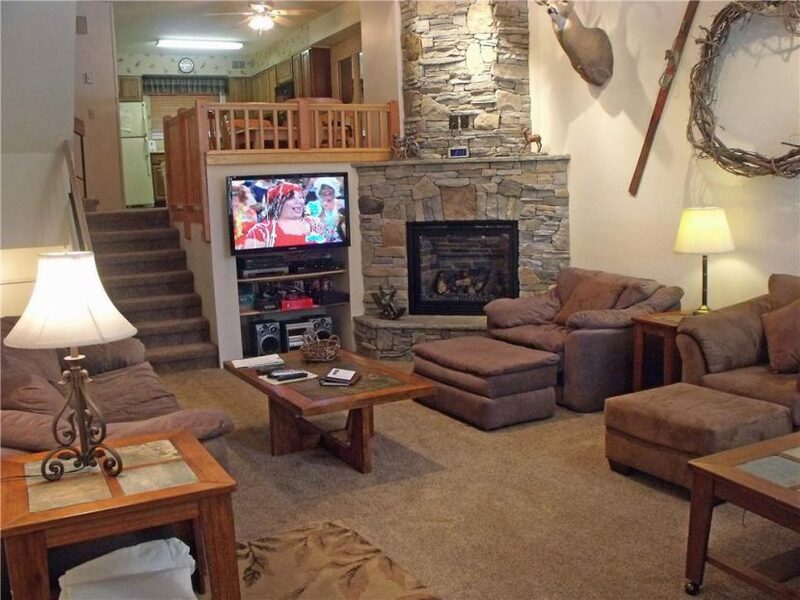 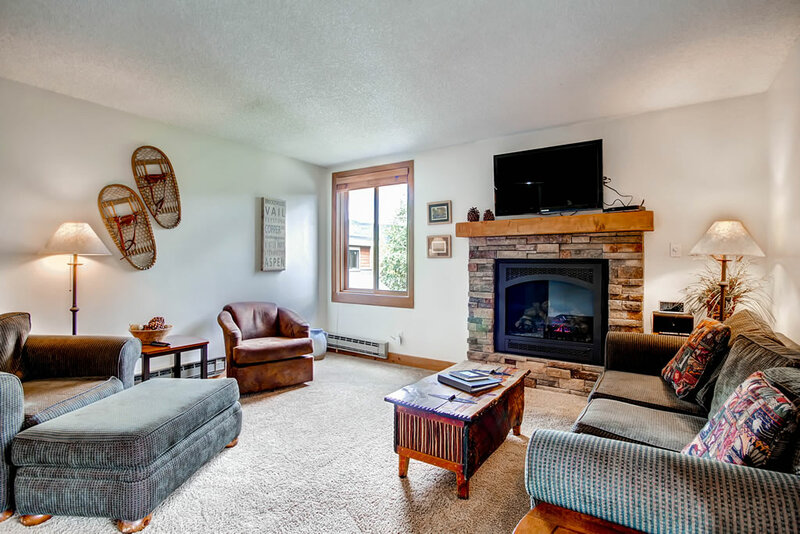 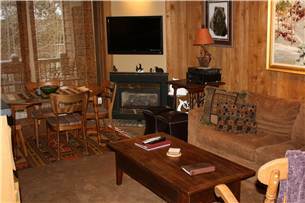 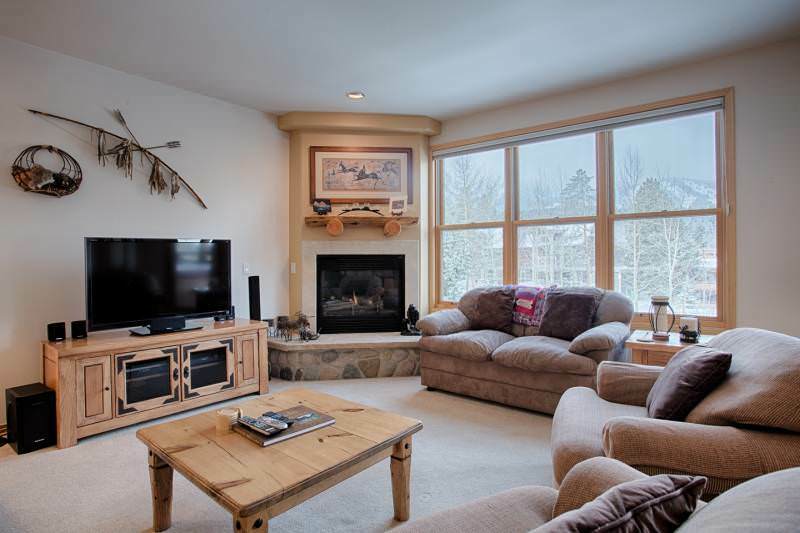 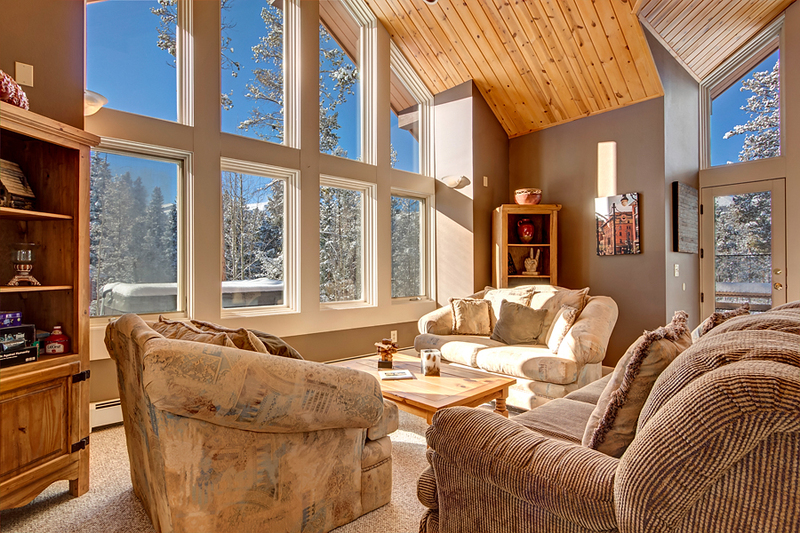 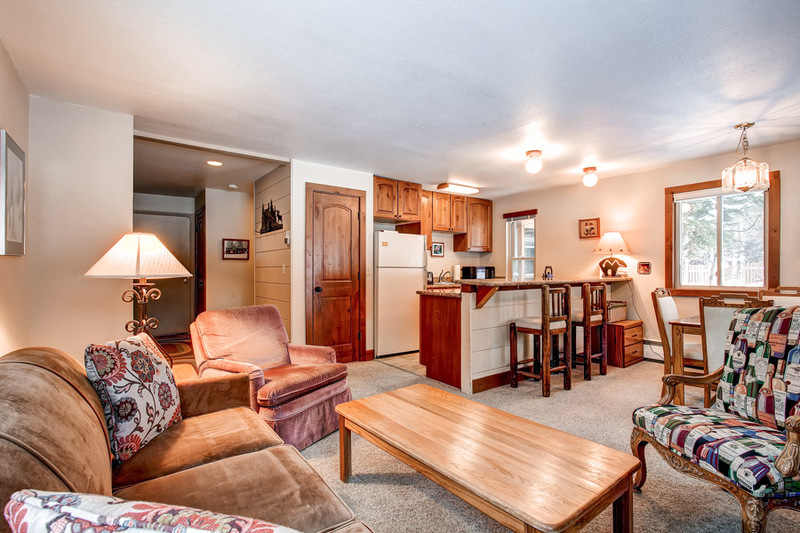 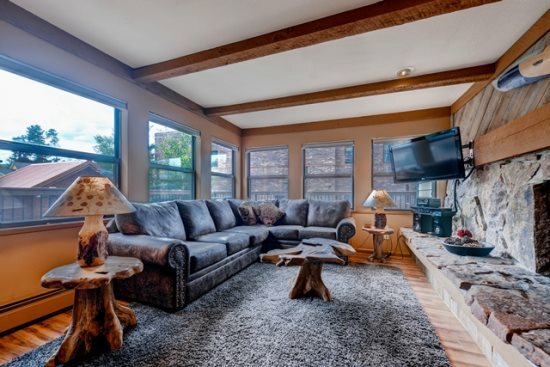 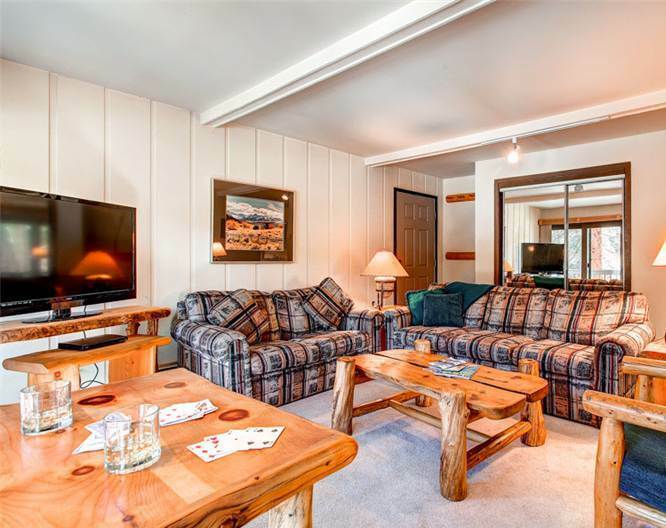 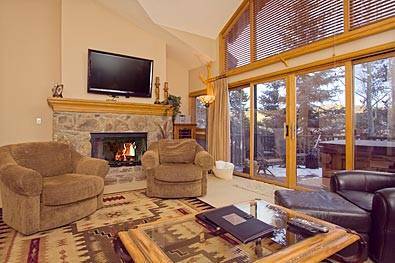 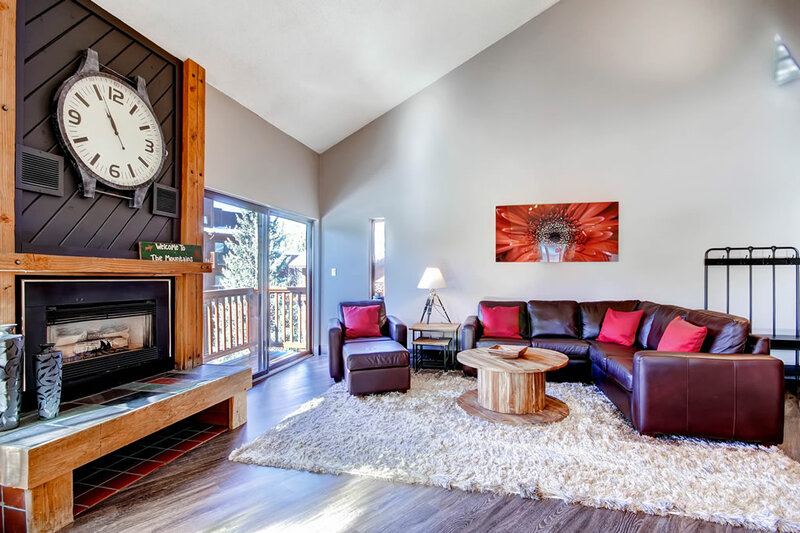 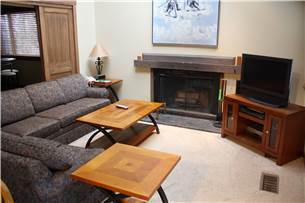 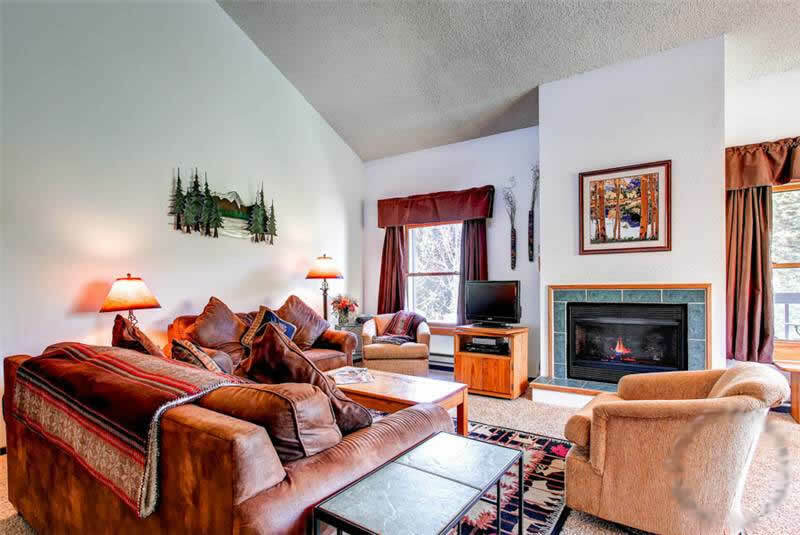 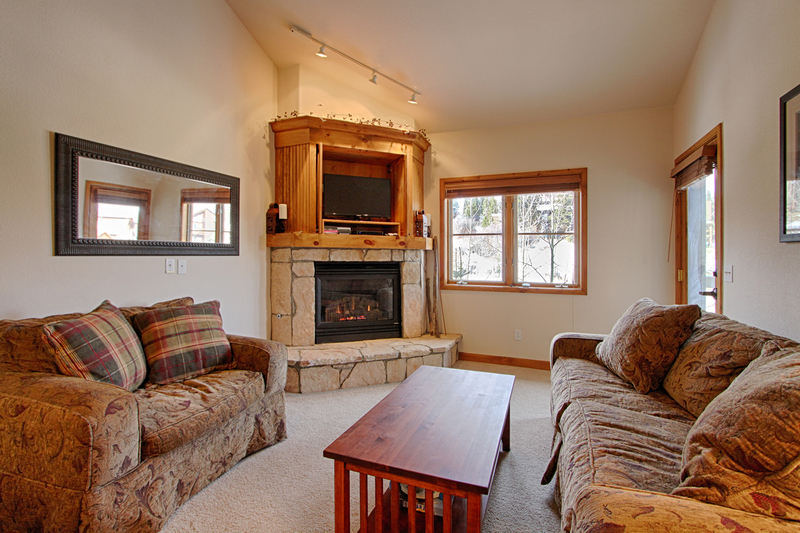 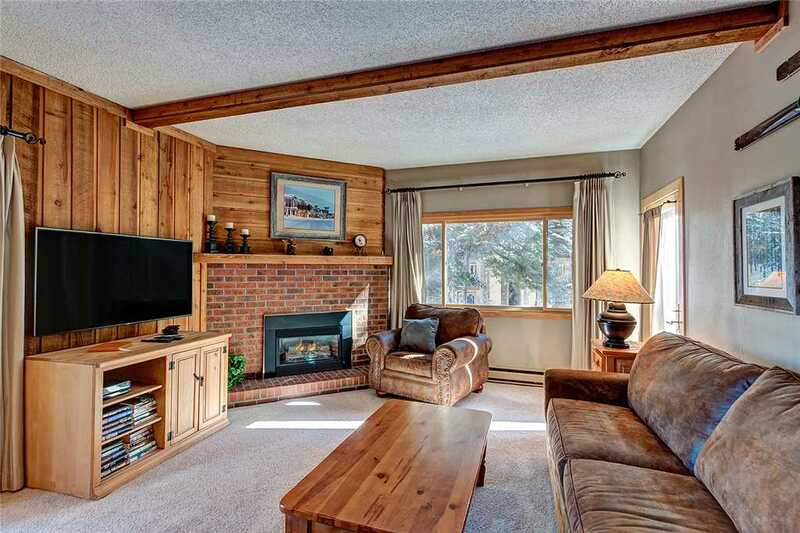 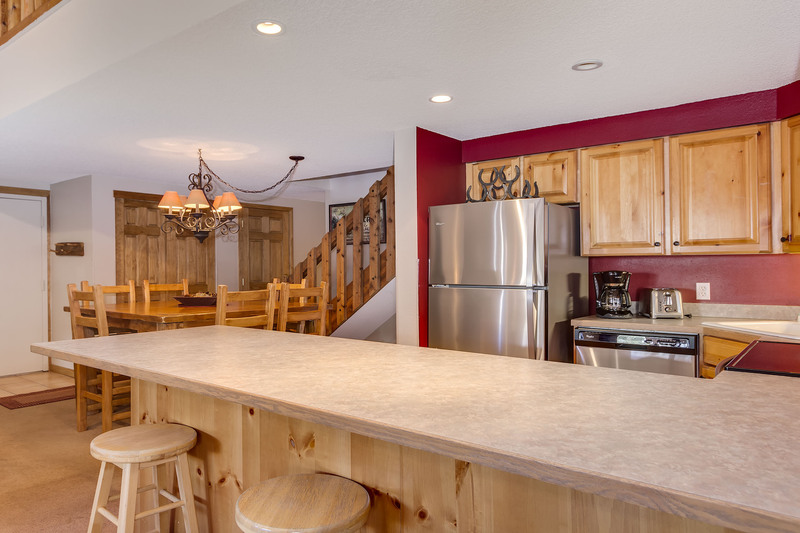 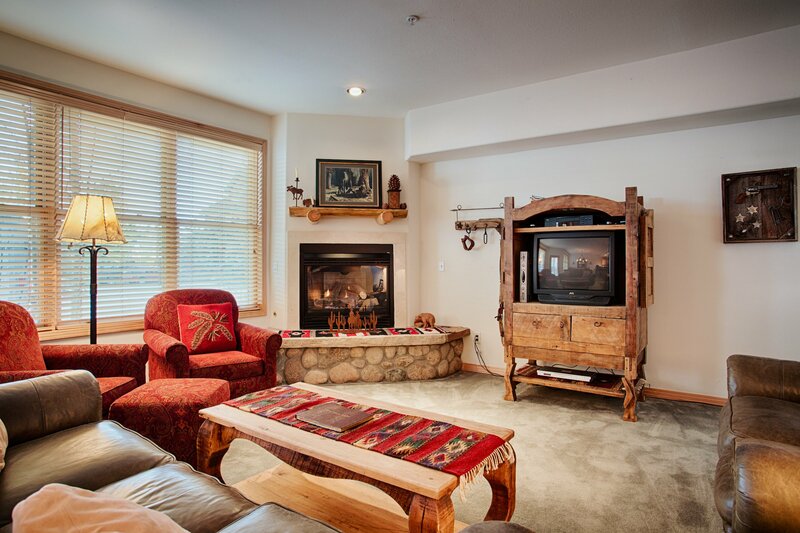 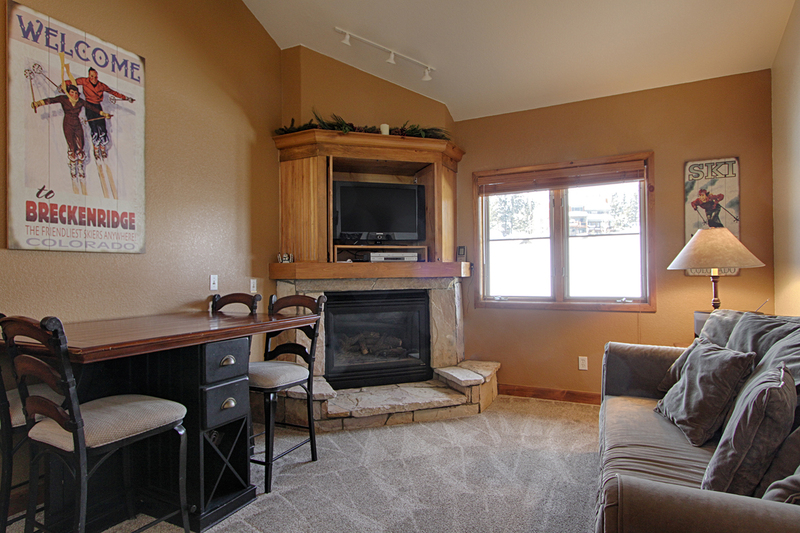 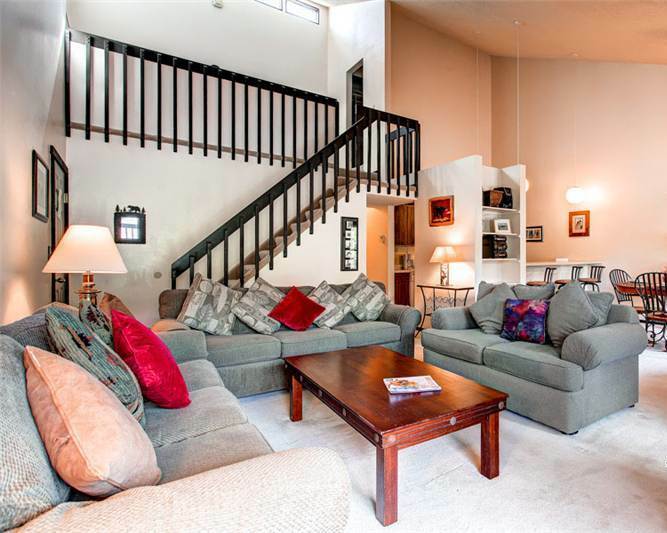 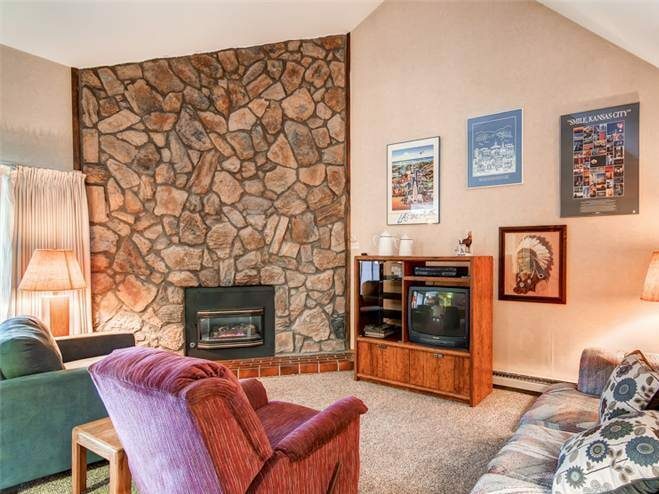 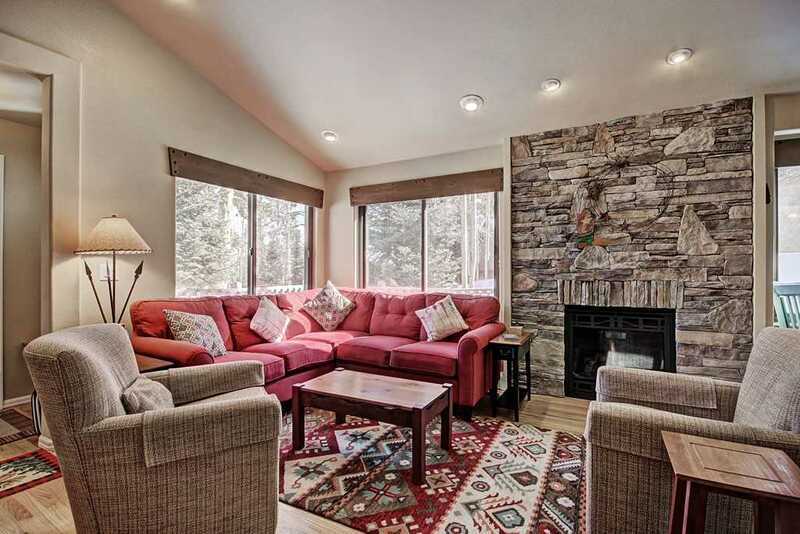 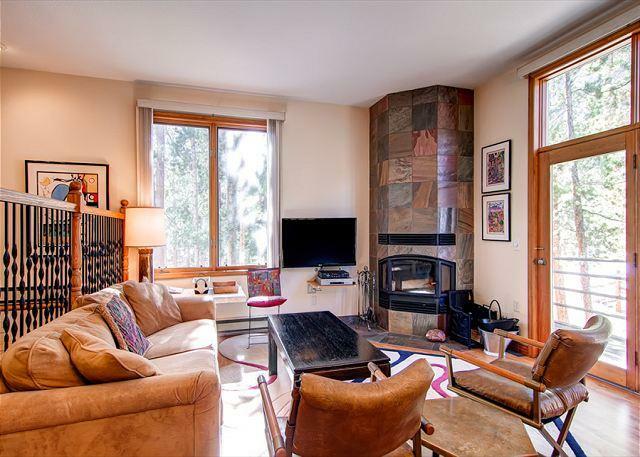 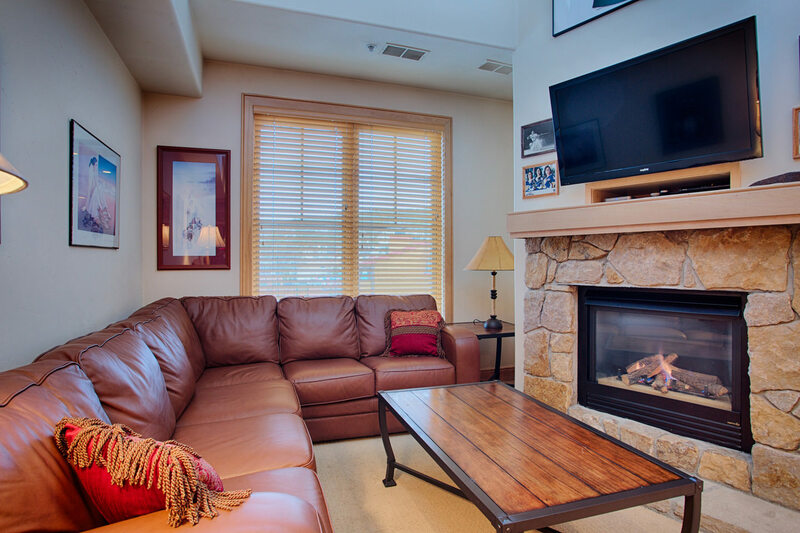 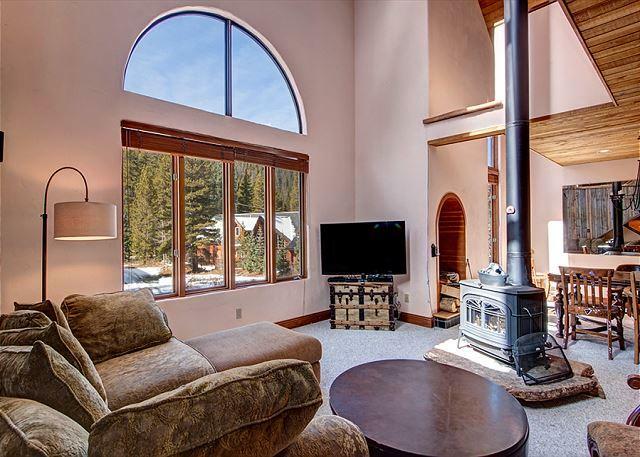 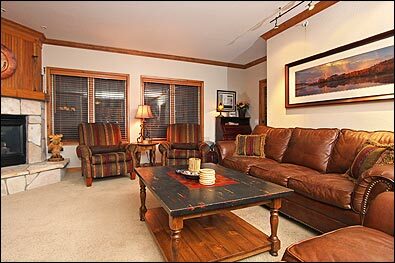 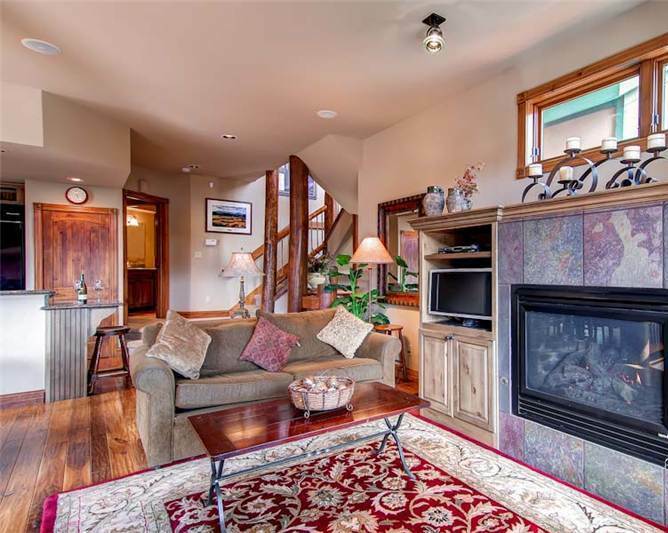 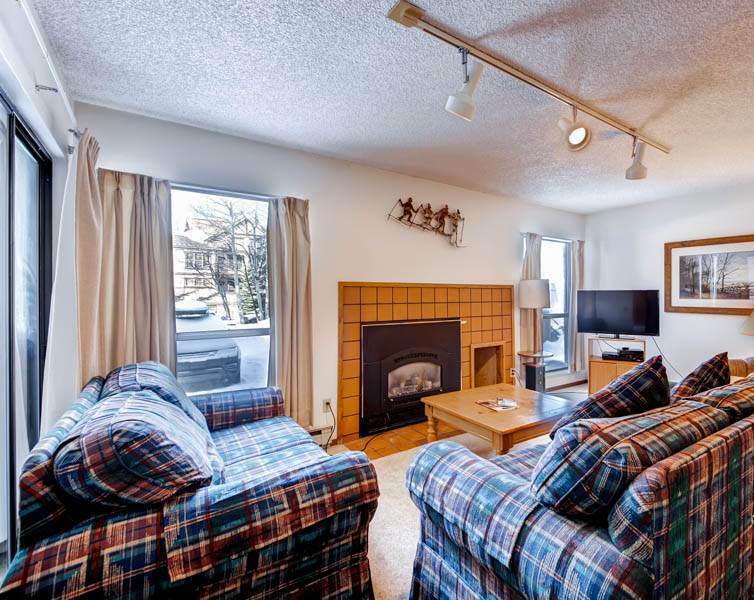 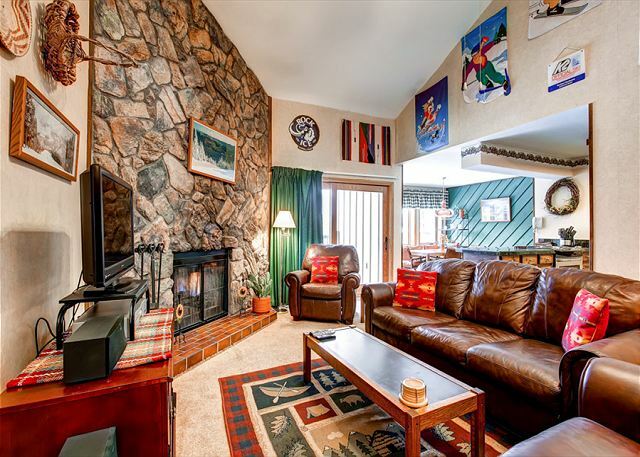 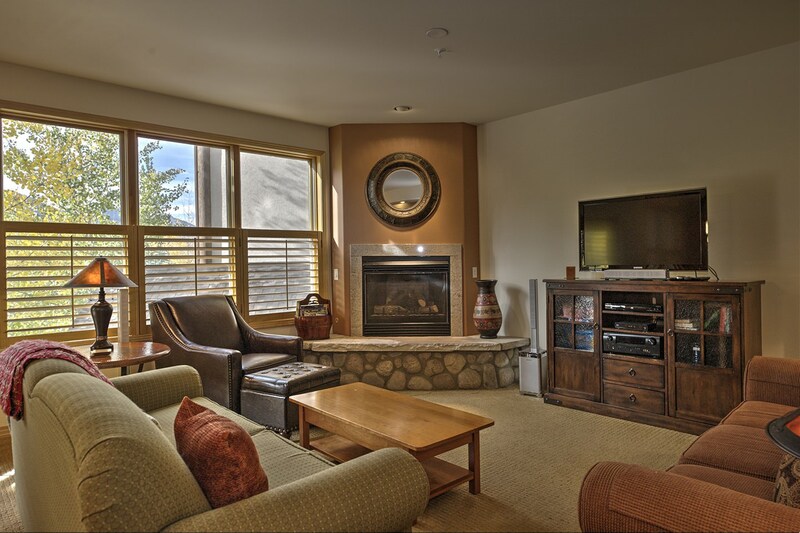 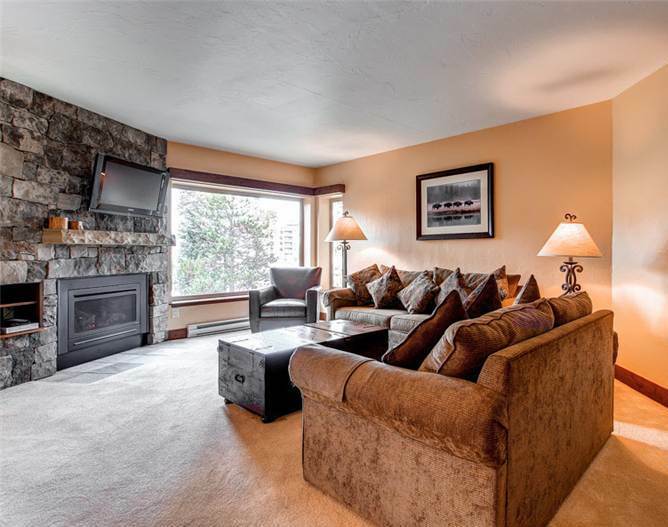 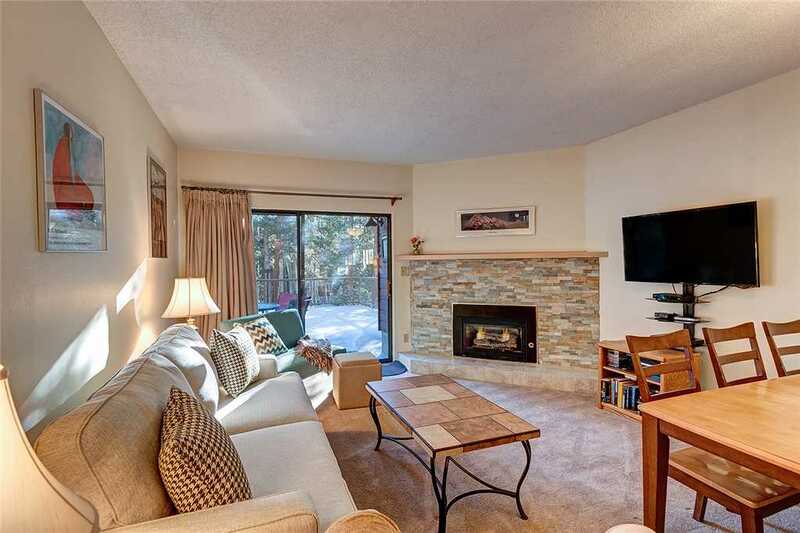 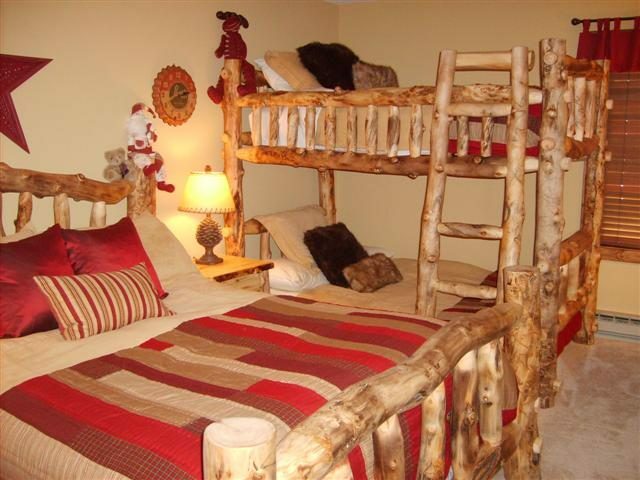 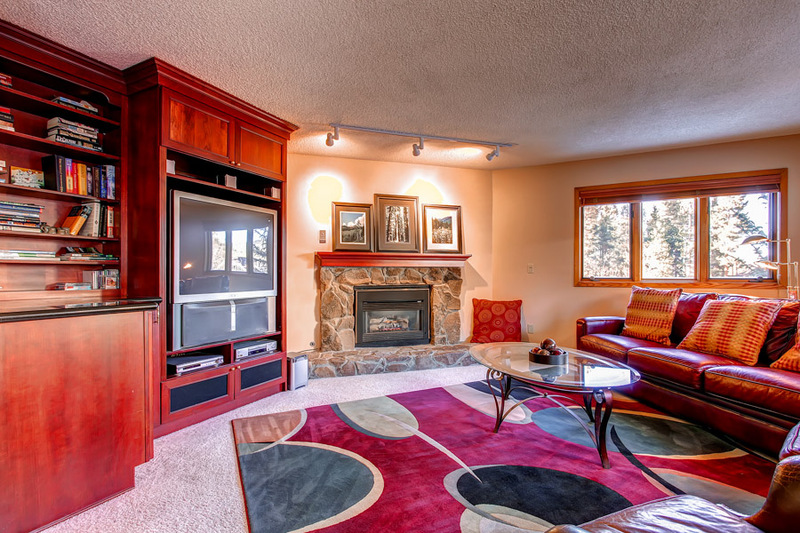 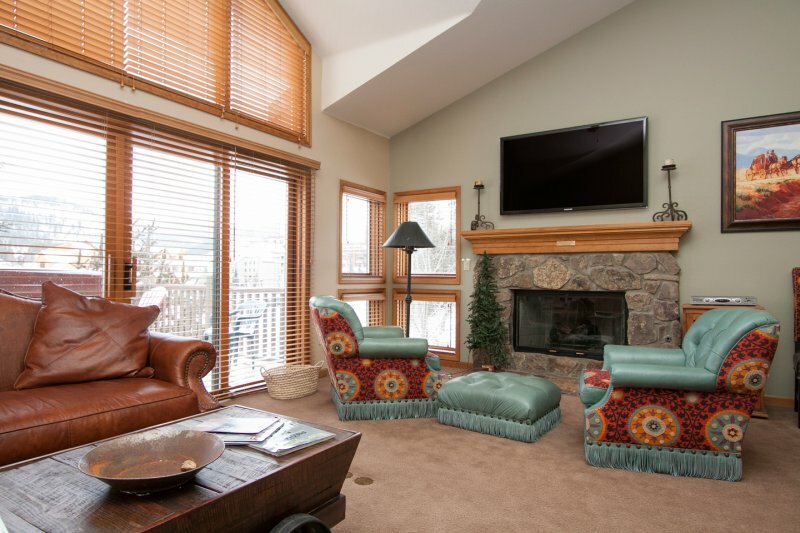 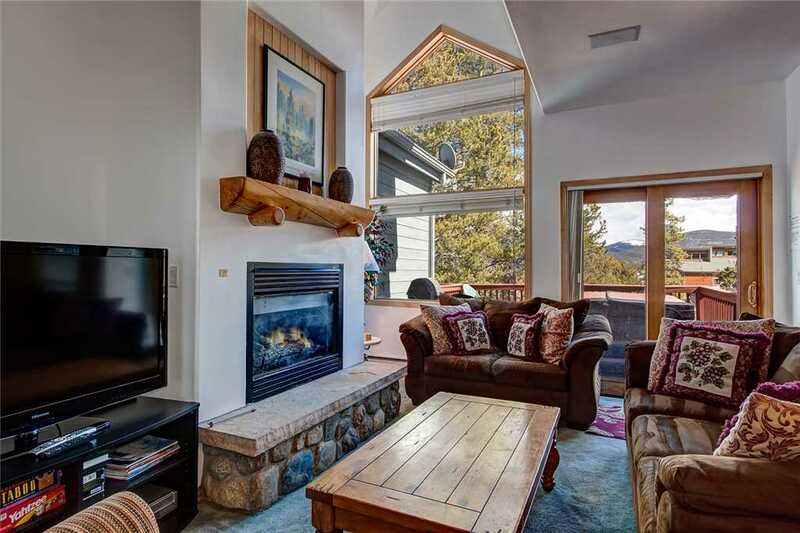 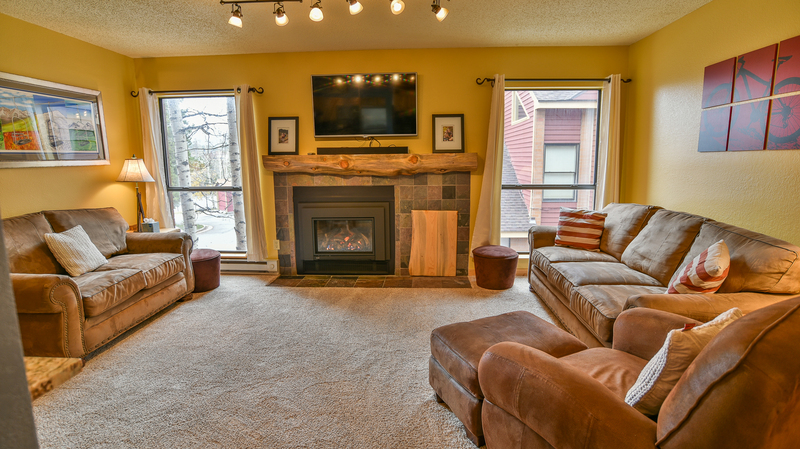 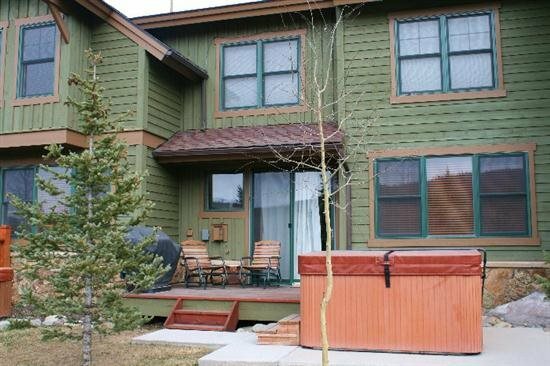 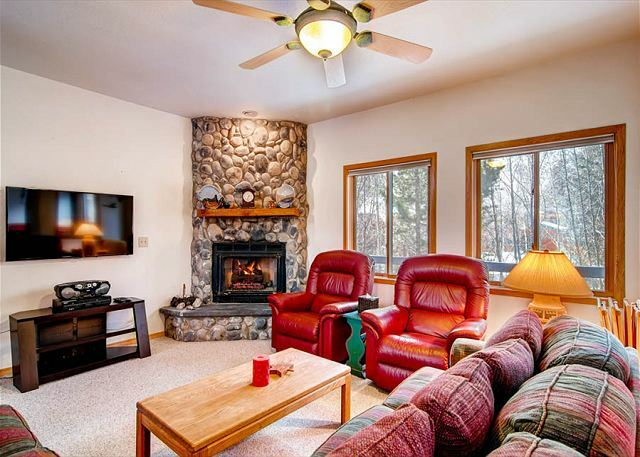 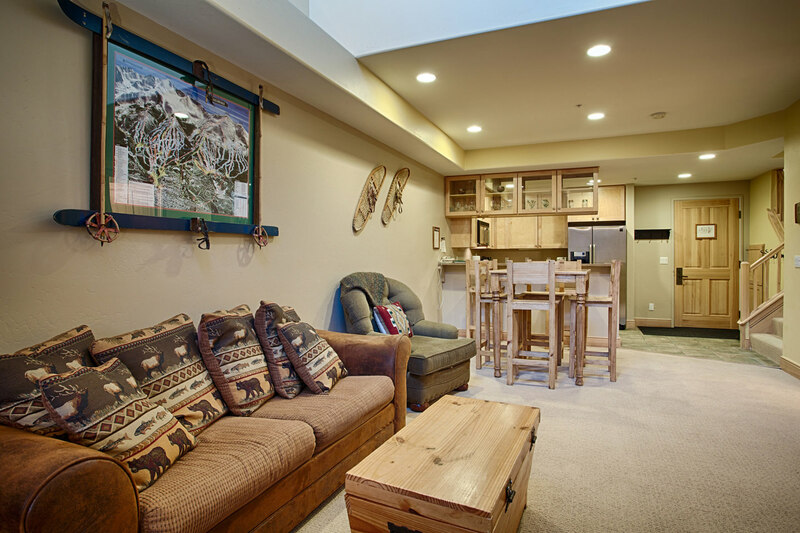 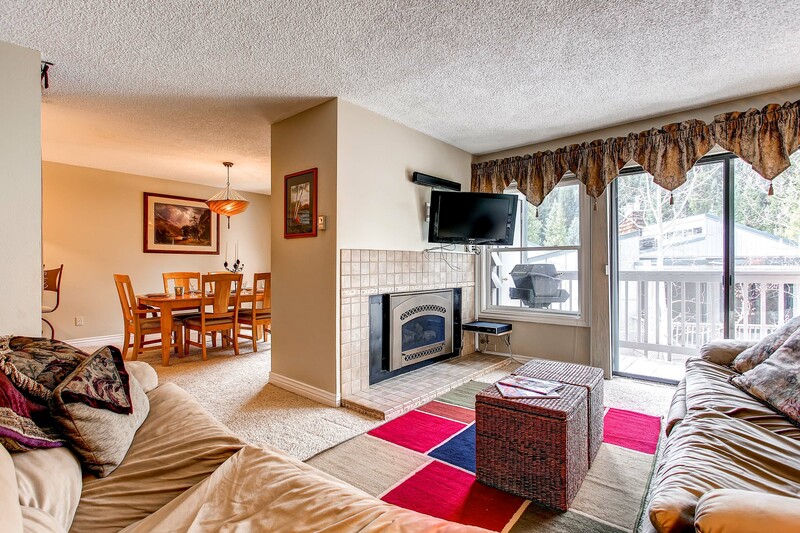 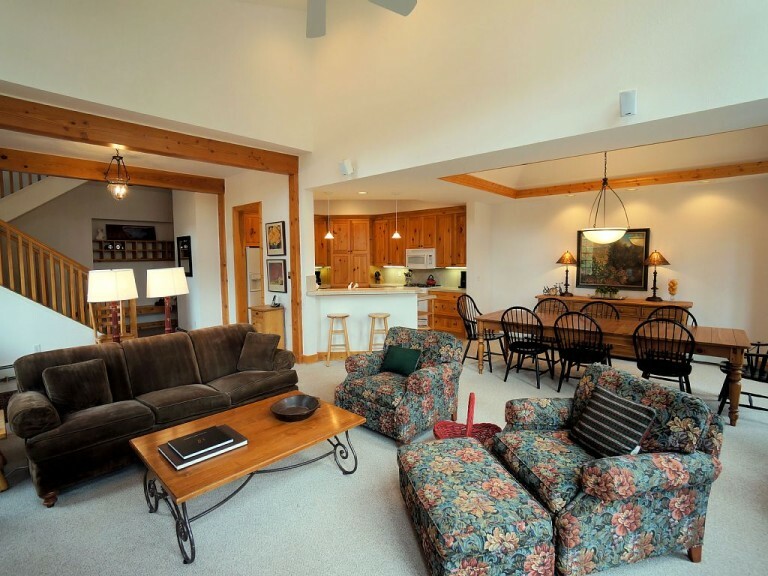 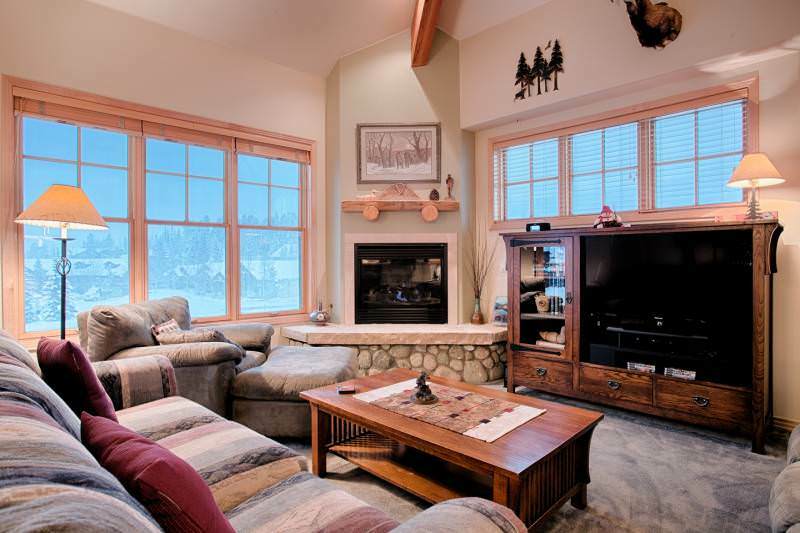 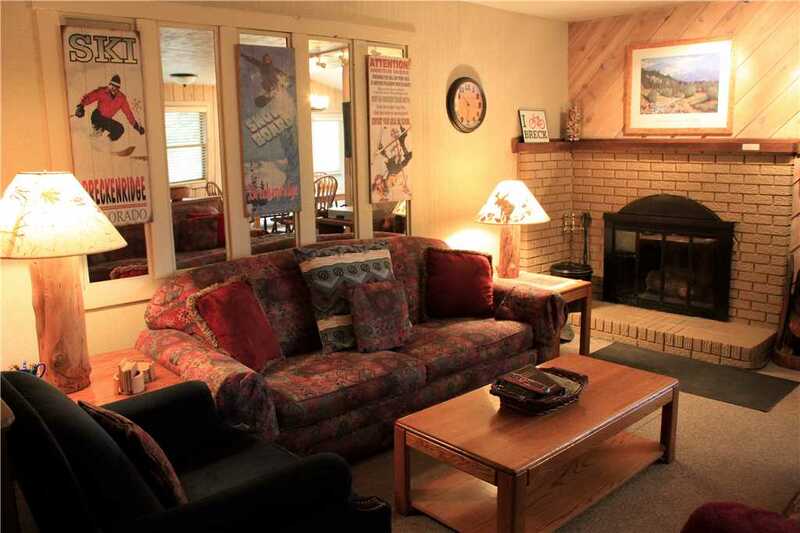 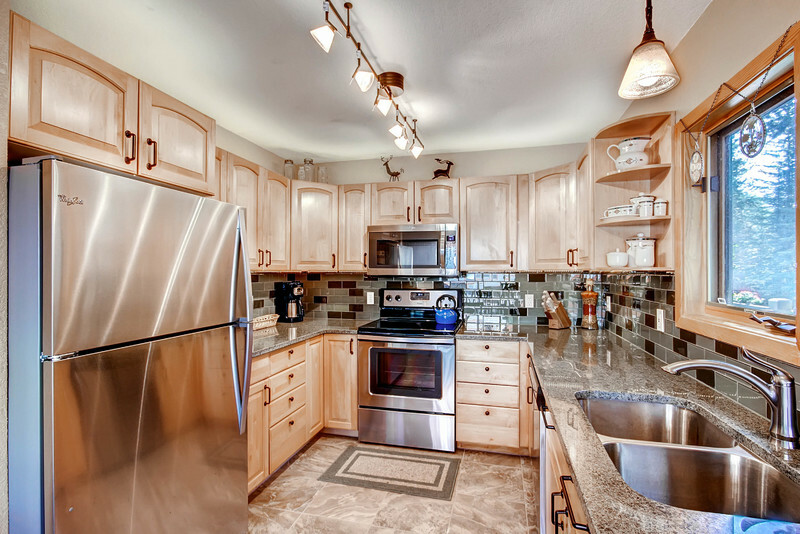 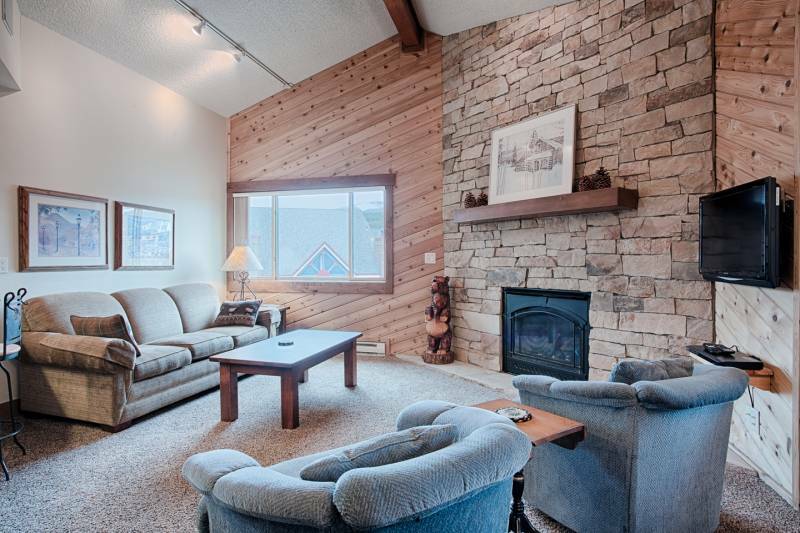 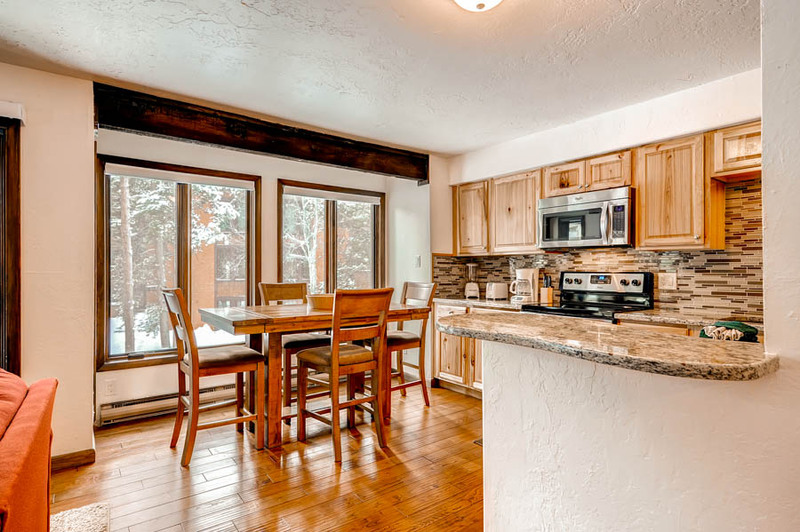 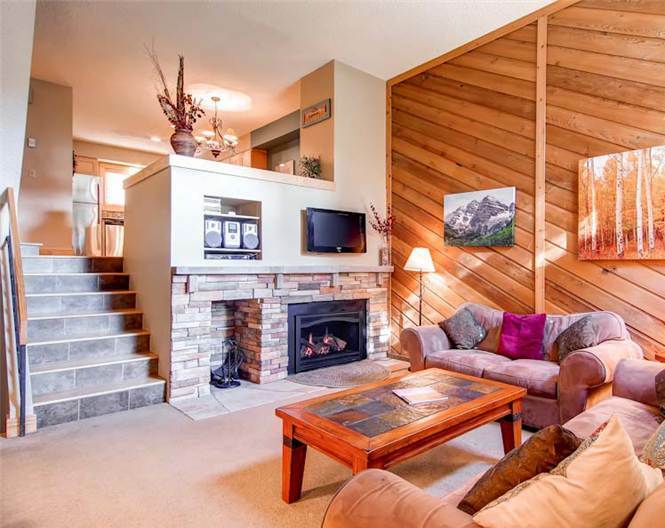 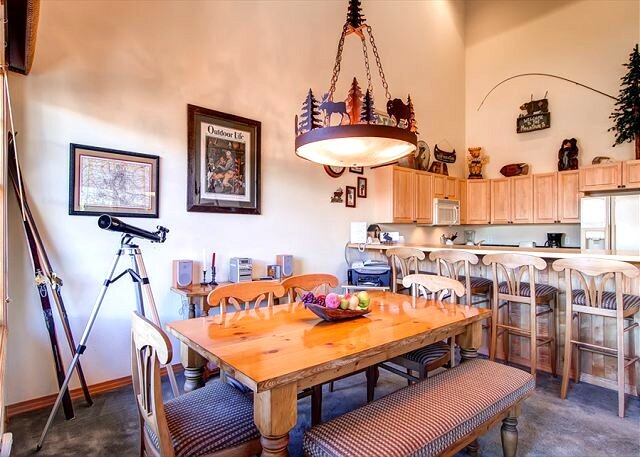 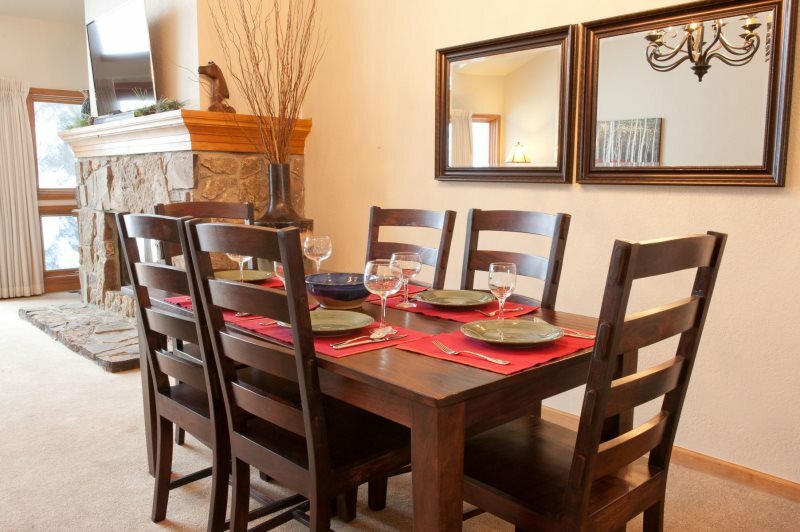 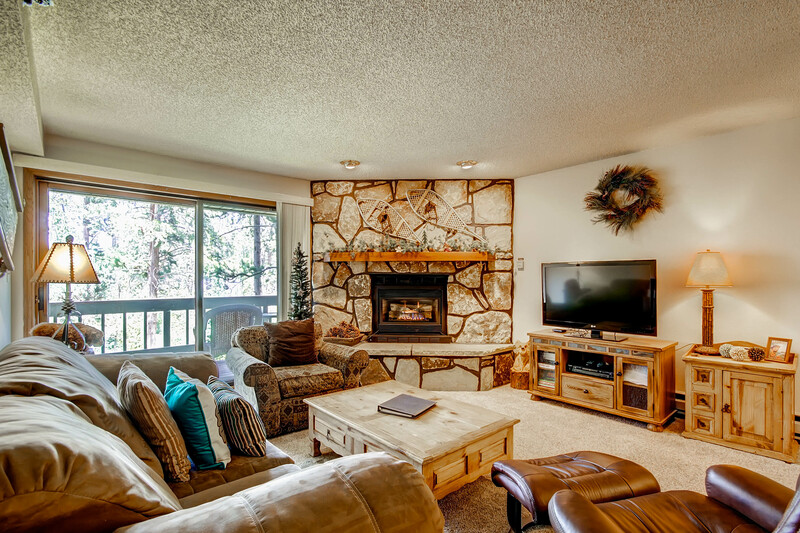 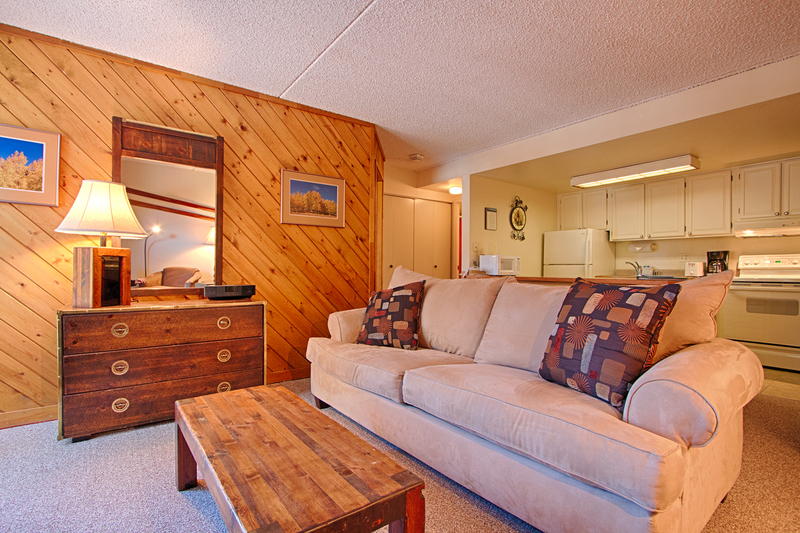 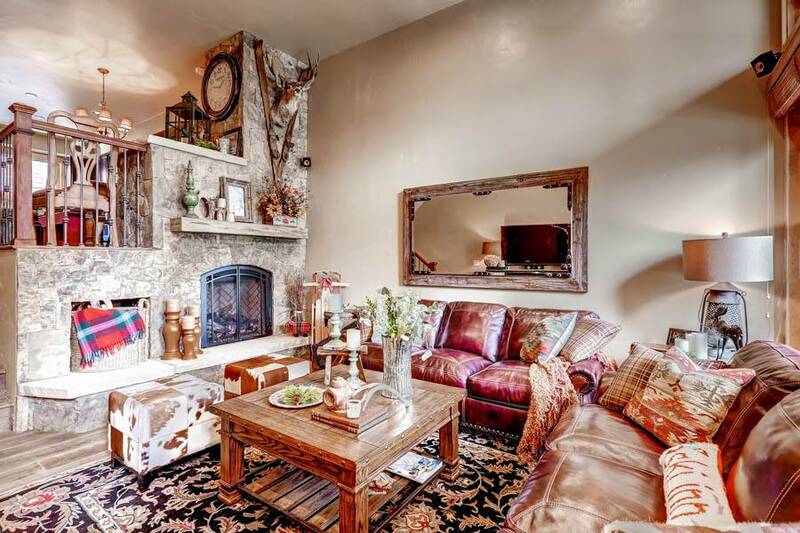 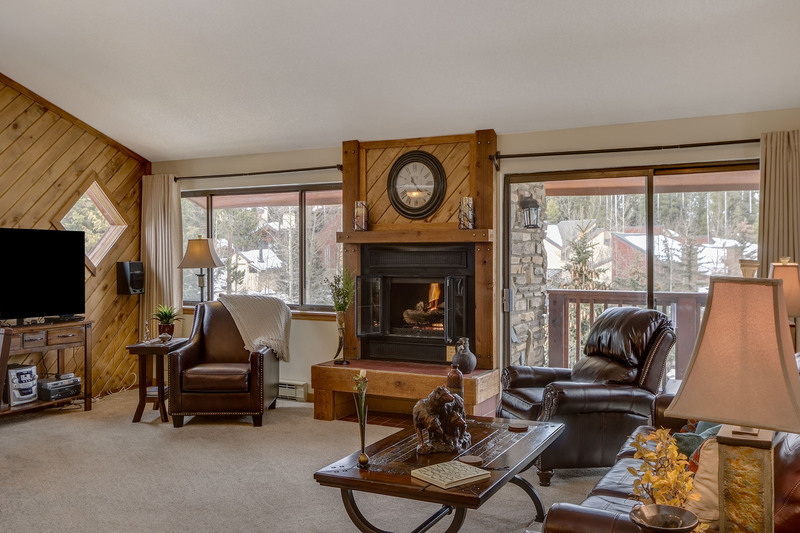 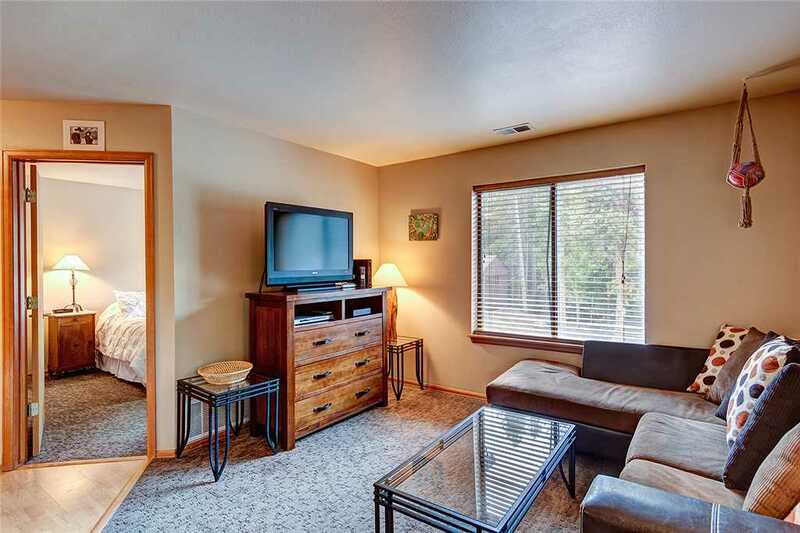 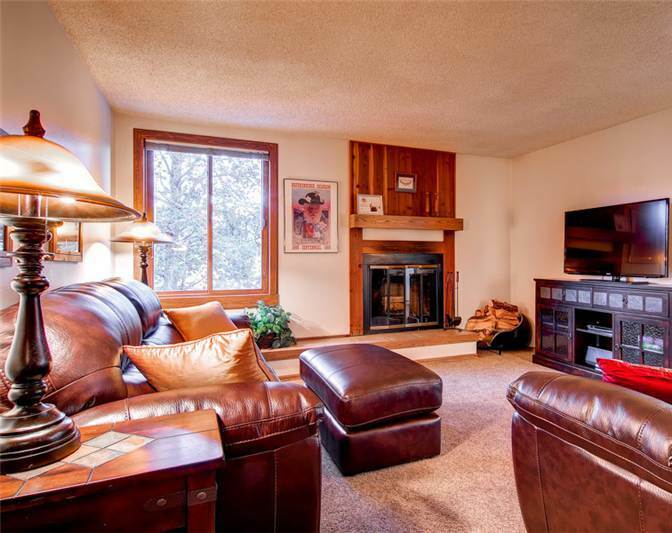 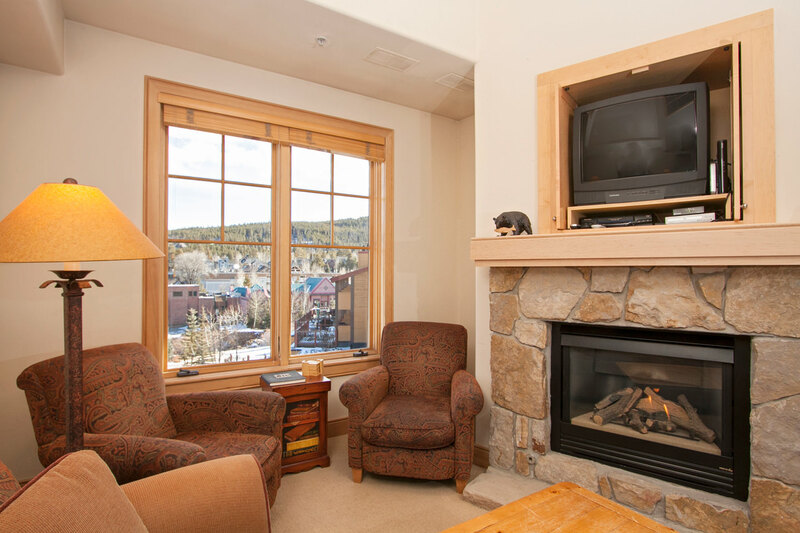 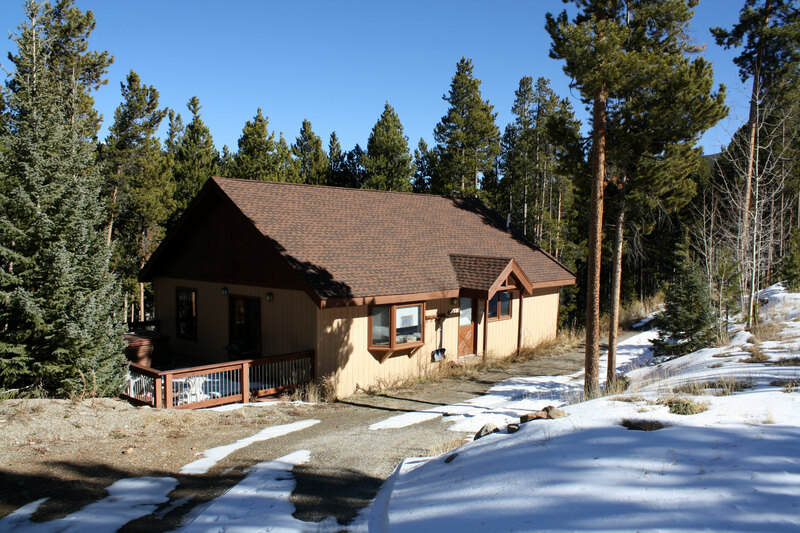 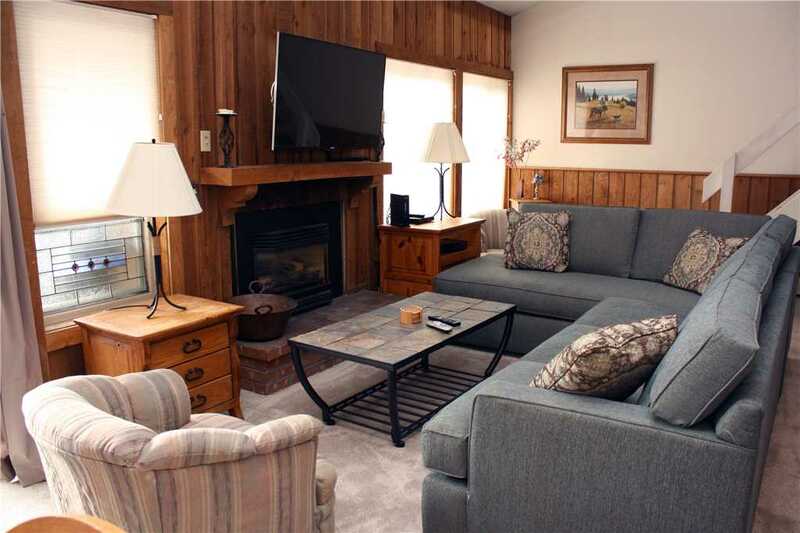 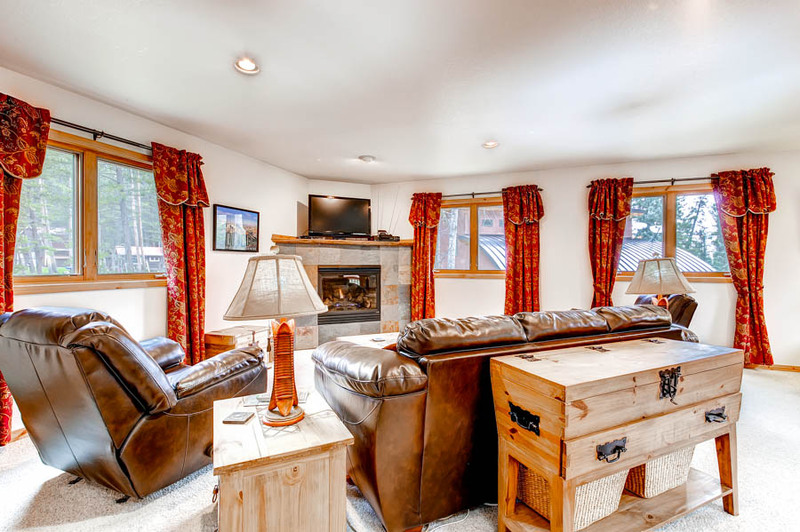 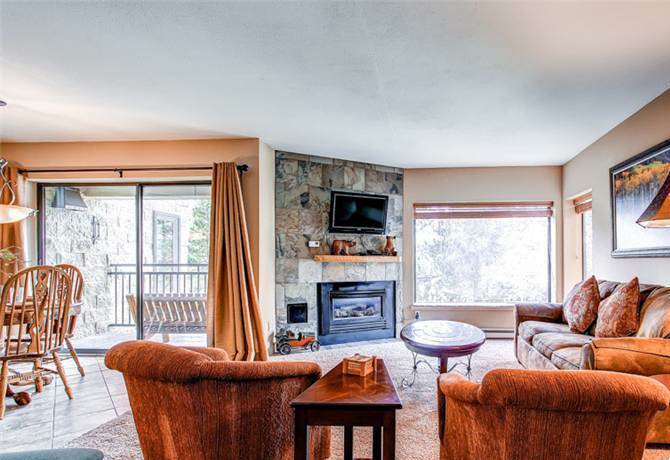 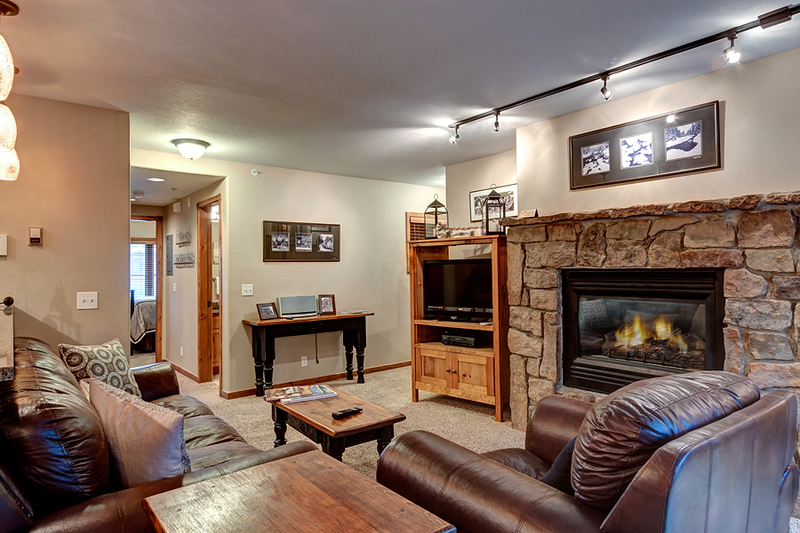 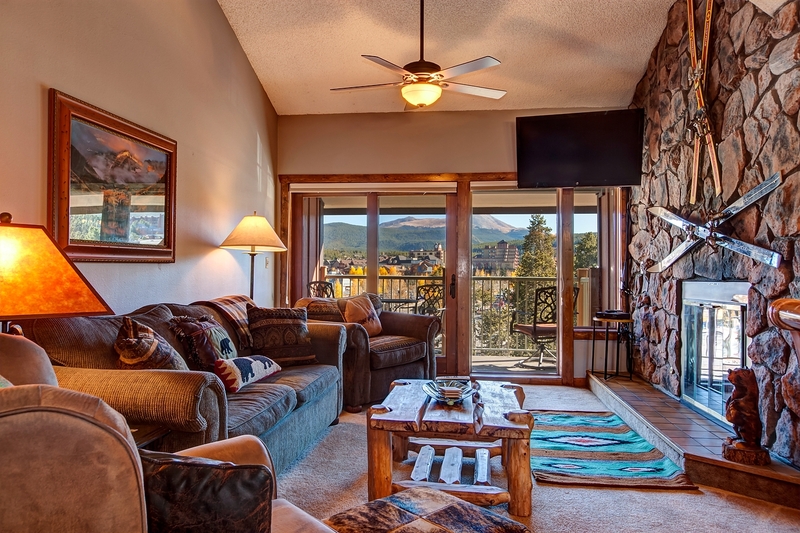 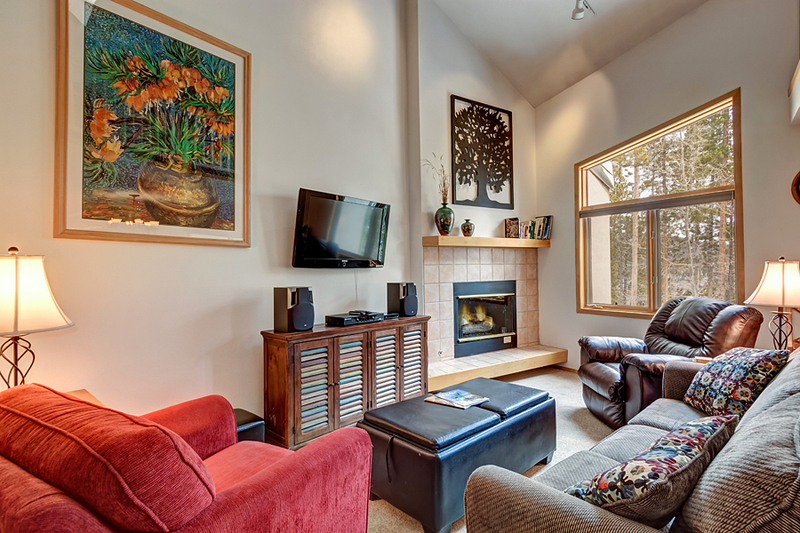 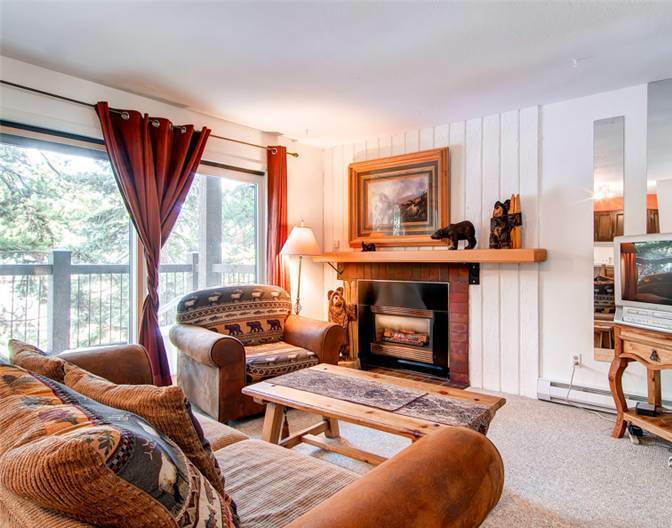 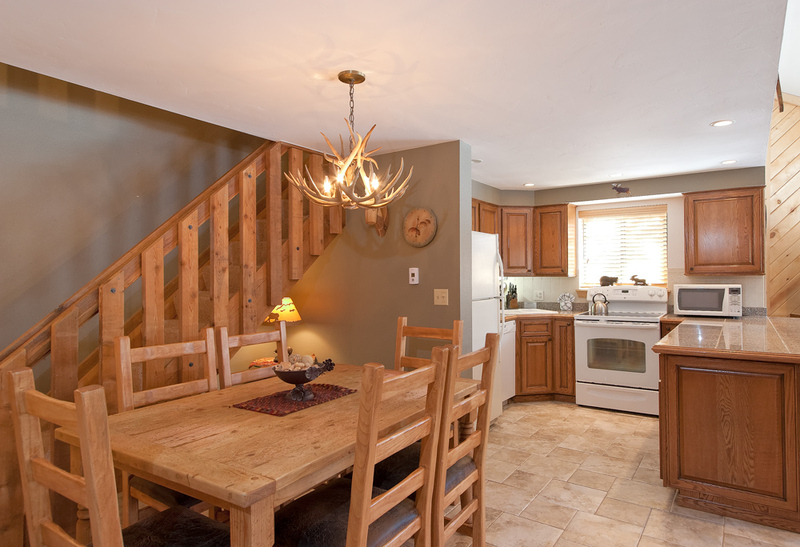 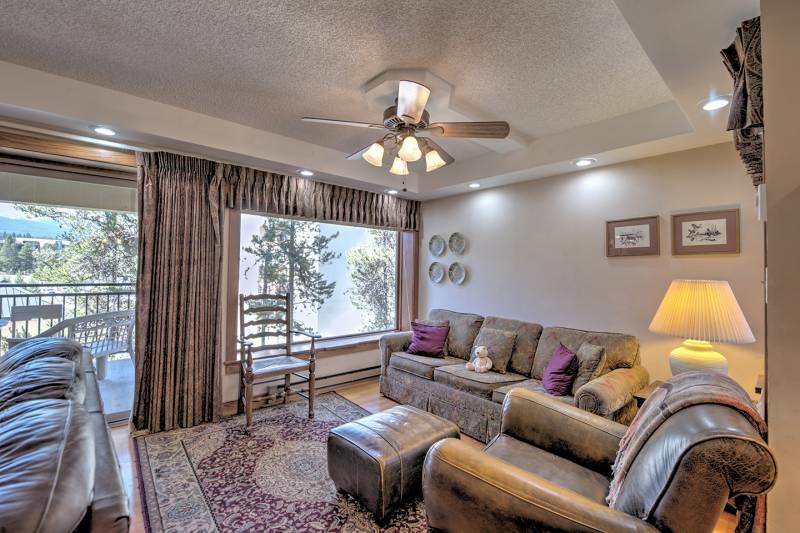 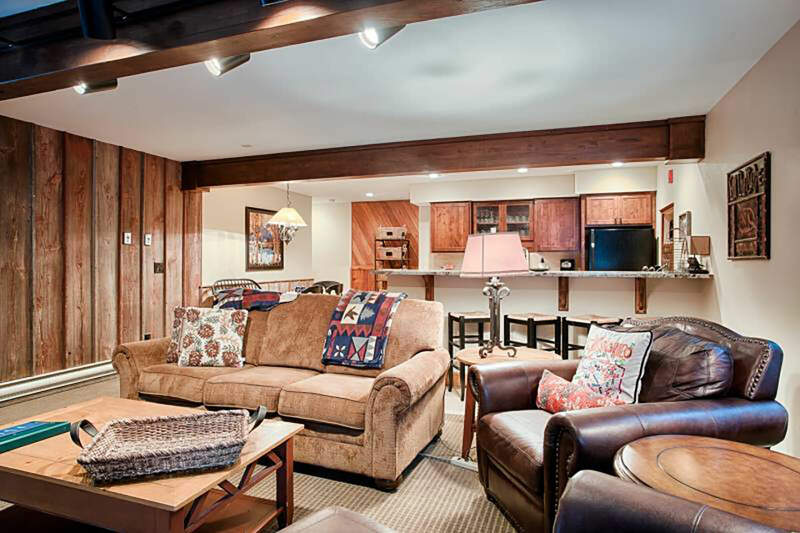 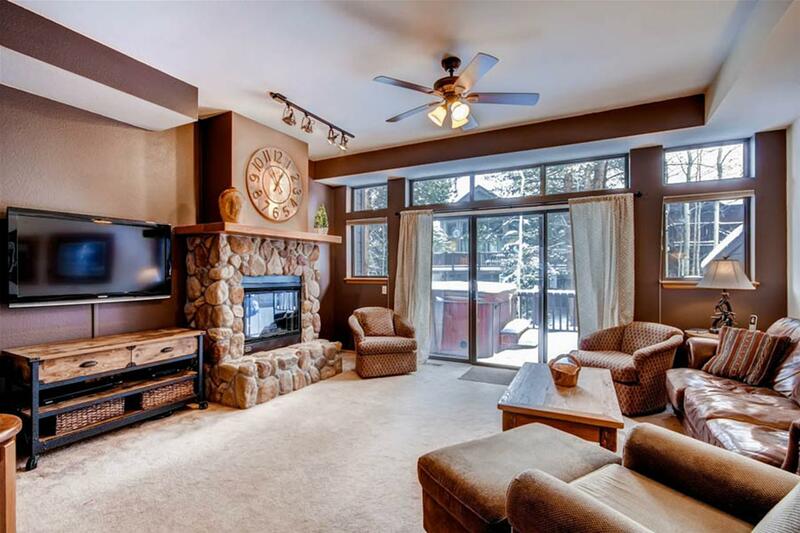 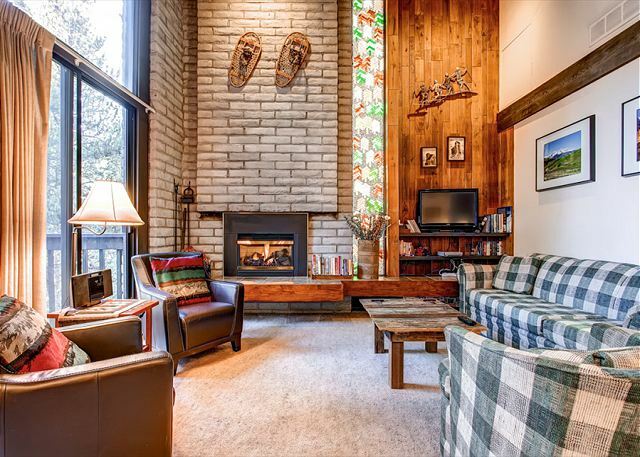 LOCATION – This quaint home, located right on the Breckenridge Free Ride Shuttle is only 2 blocks from Main St. 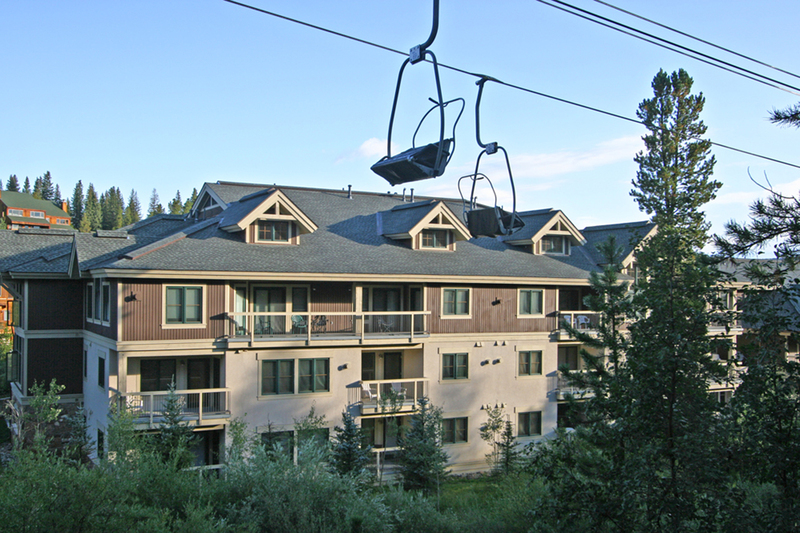 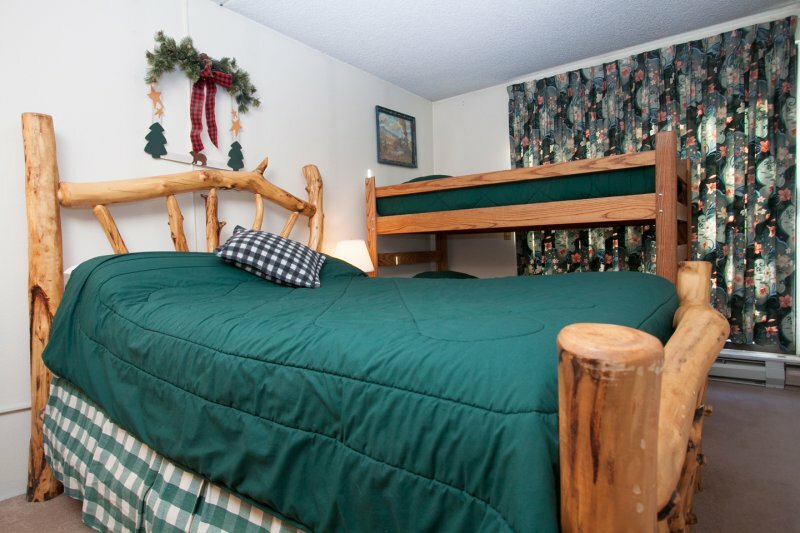 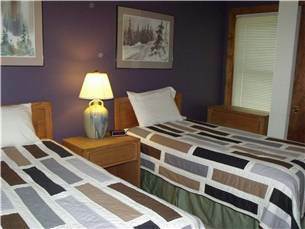 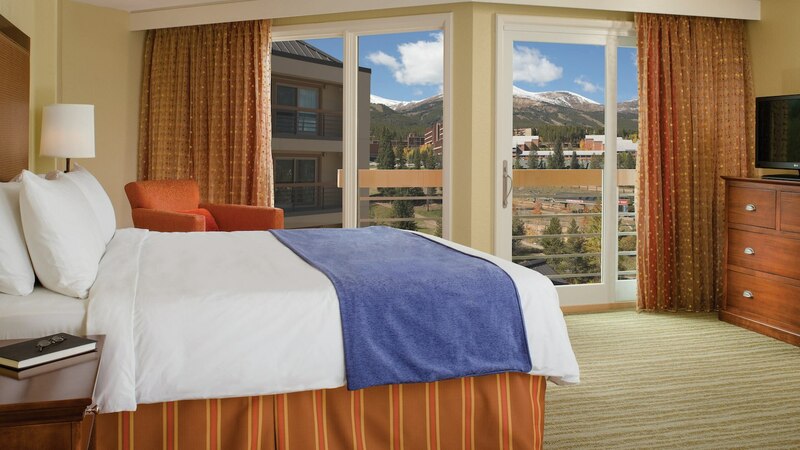 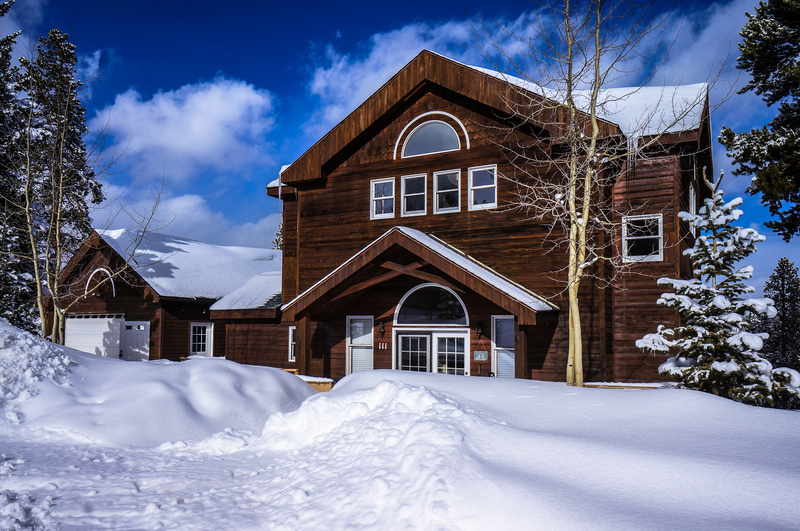 It is an easy walk to the Breckenridge Ice Arena for ice skating, and Carter Park is practically in your backyard where you can enjoy tubing and sledding. 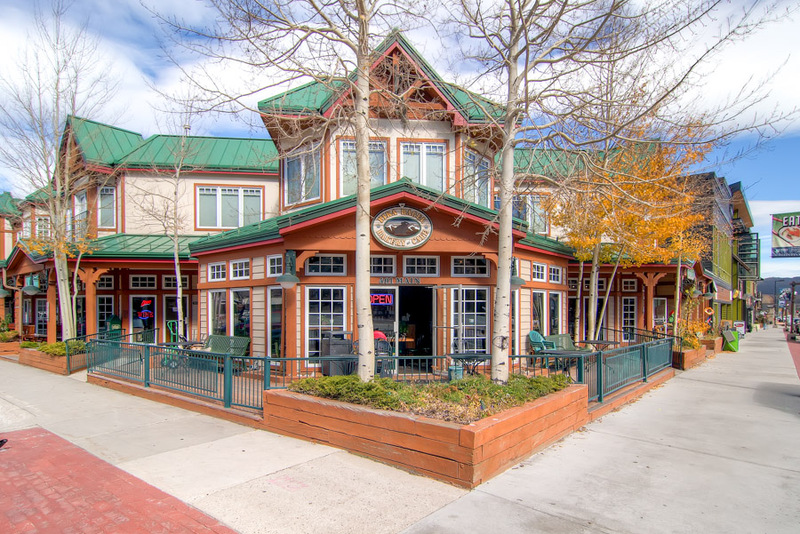 The shuttle stop is located on the corner of French St. and Jefferson Ave. right outside of the property. 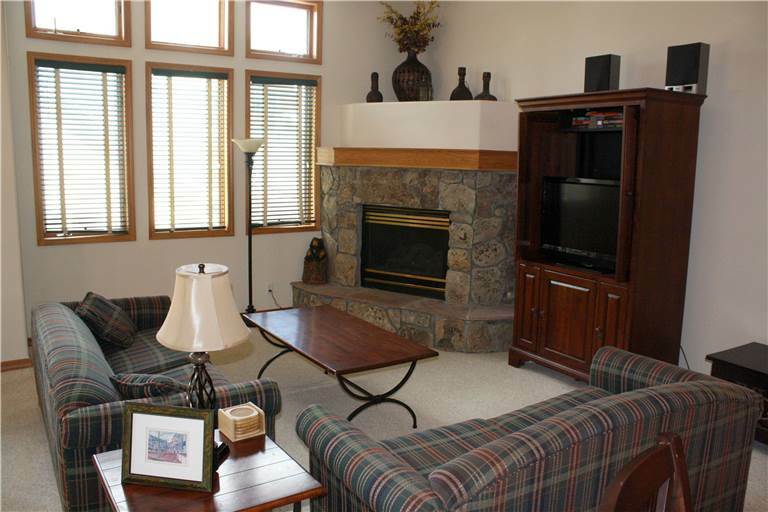 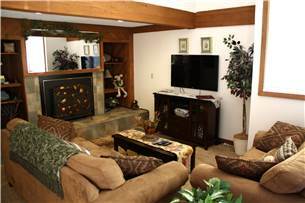 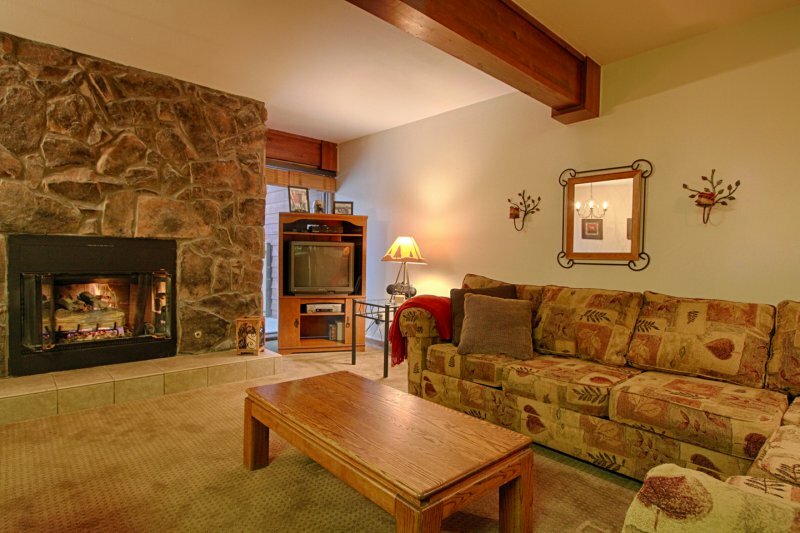 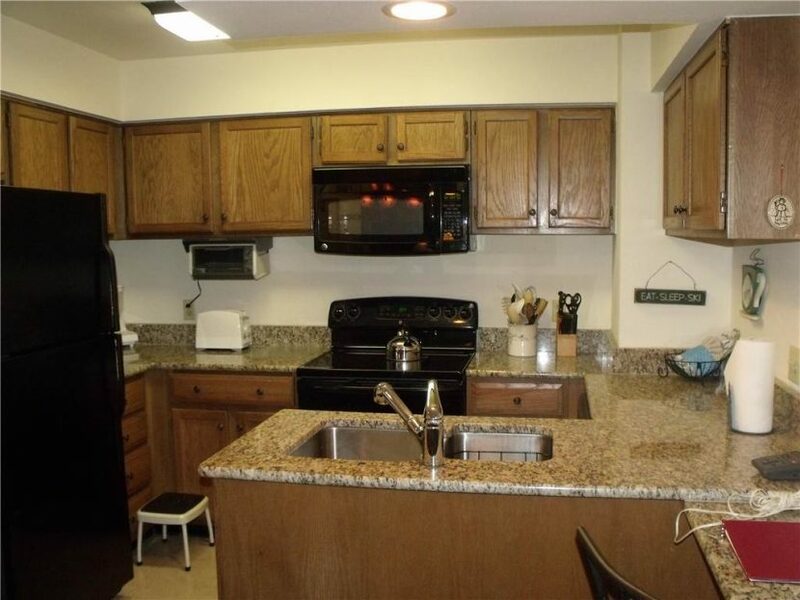 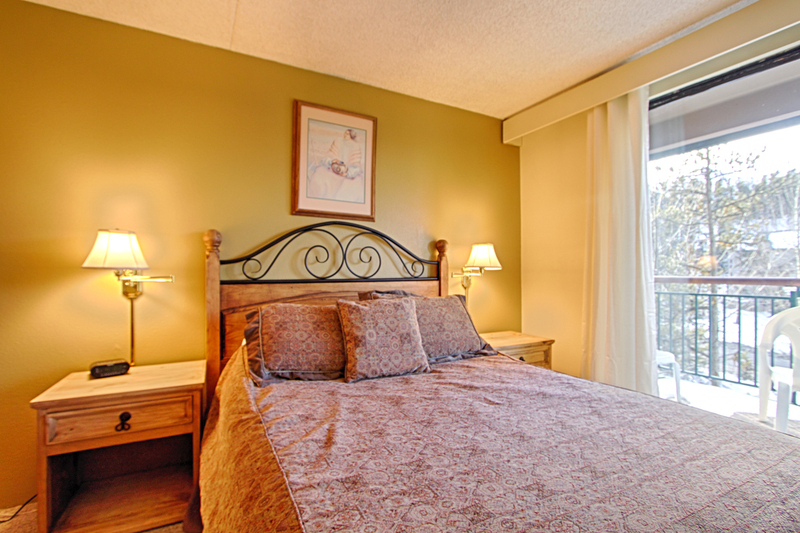 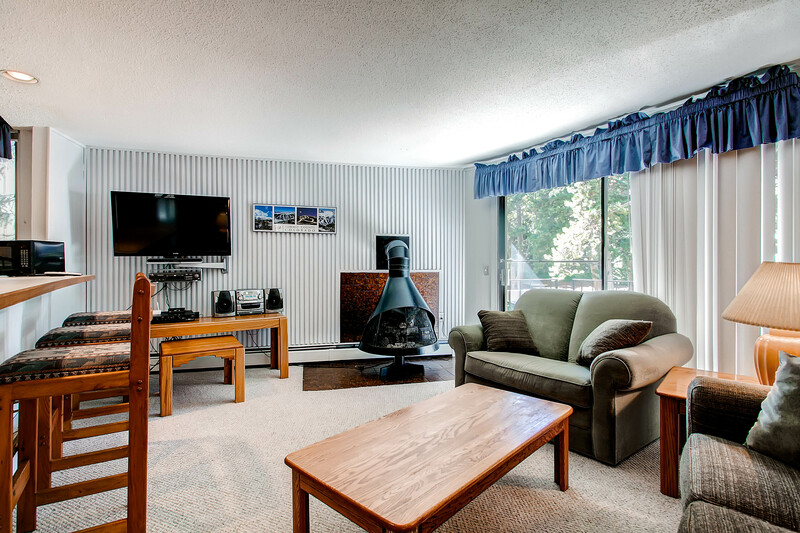 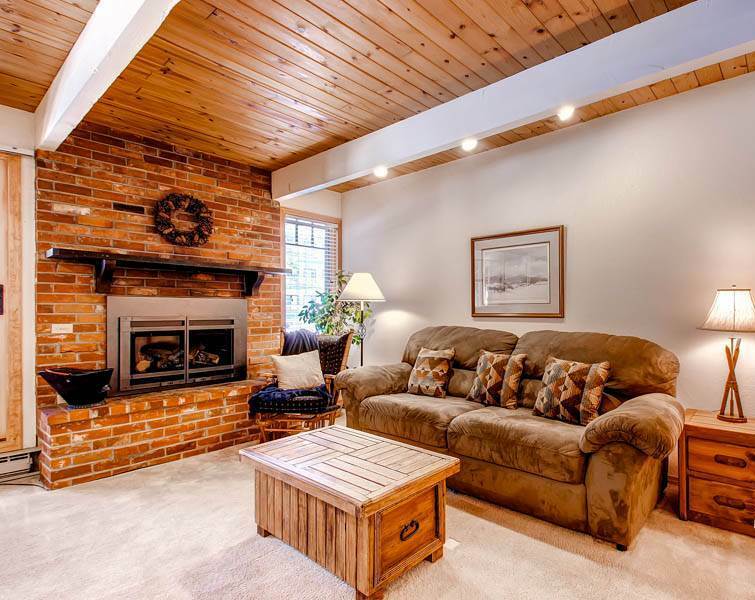 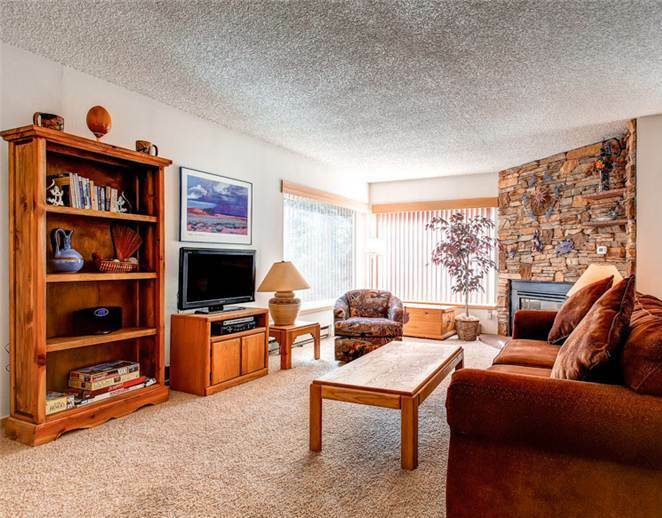 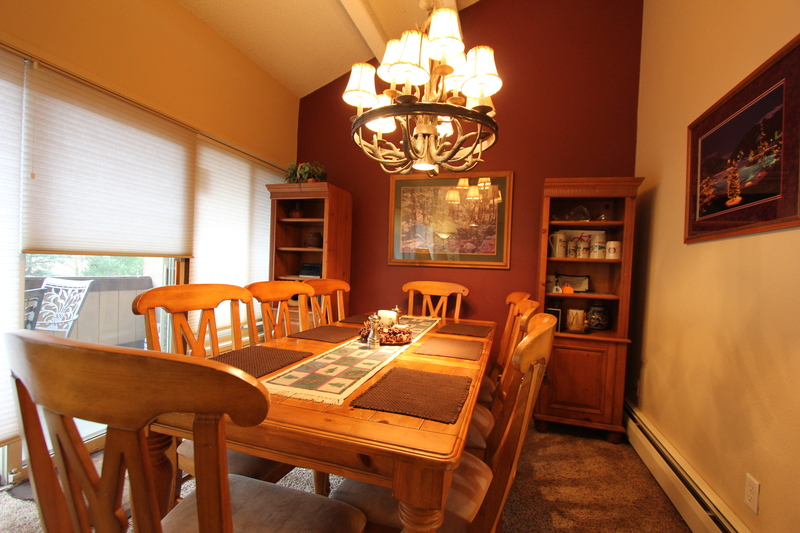 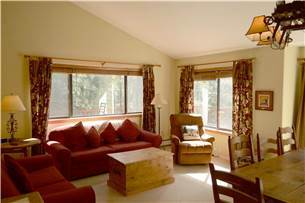 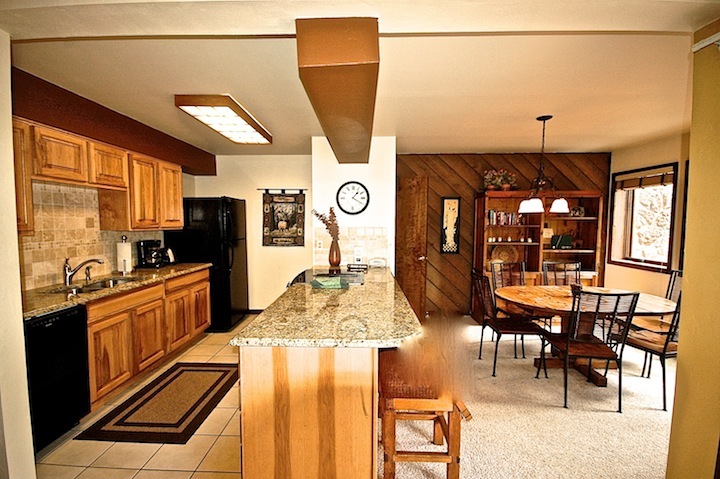 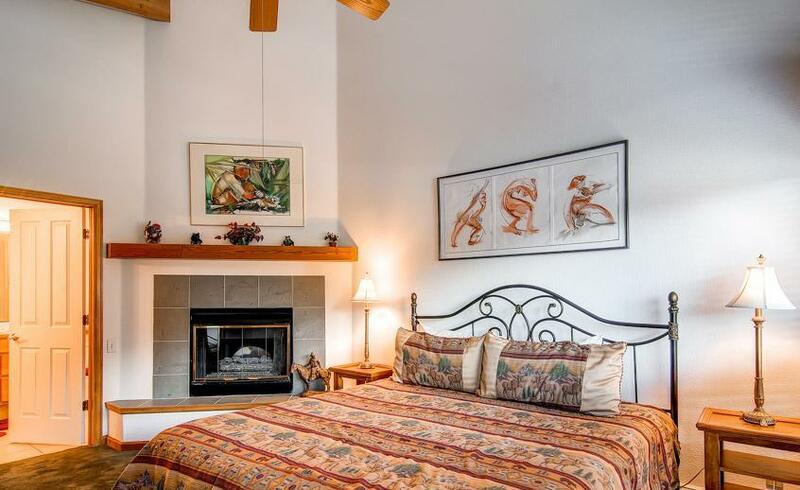 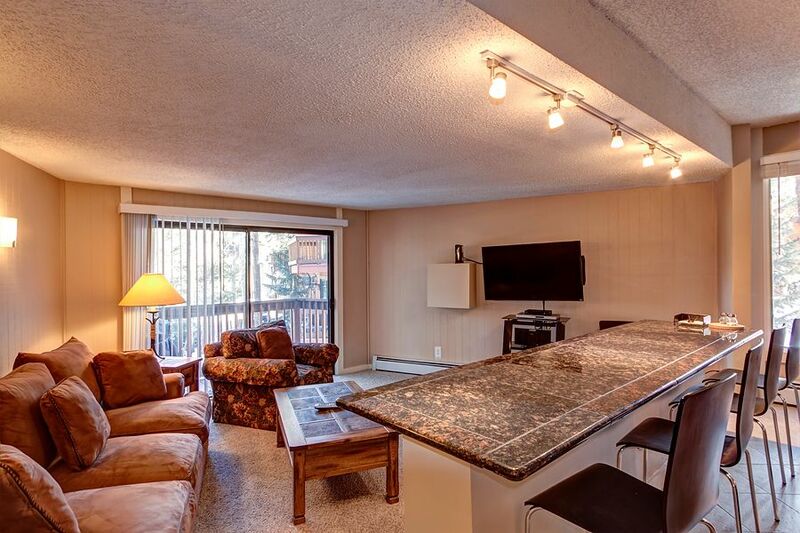 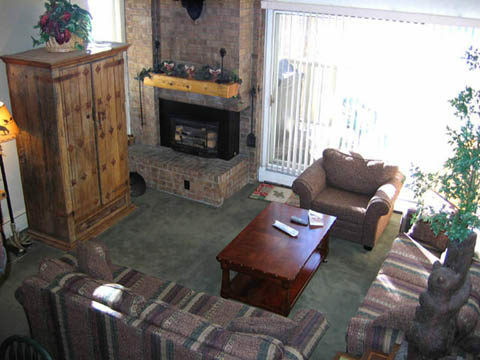 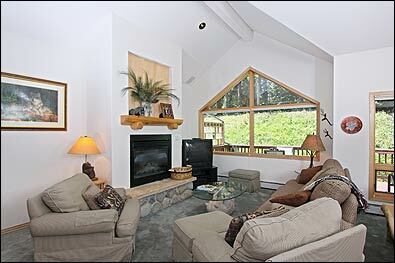 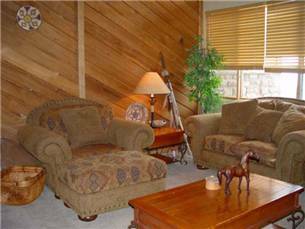 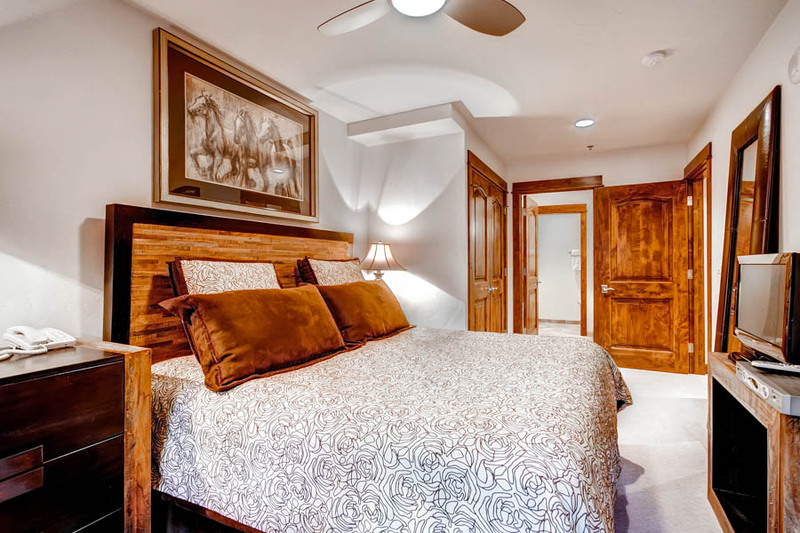 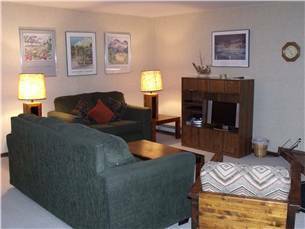 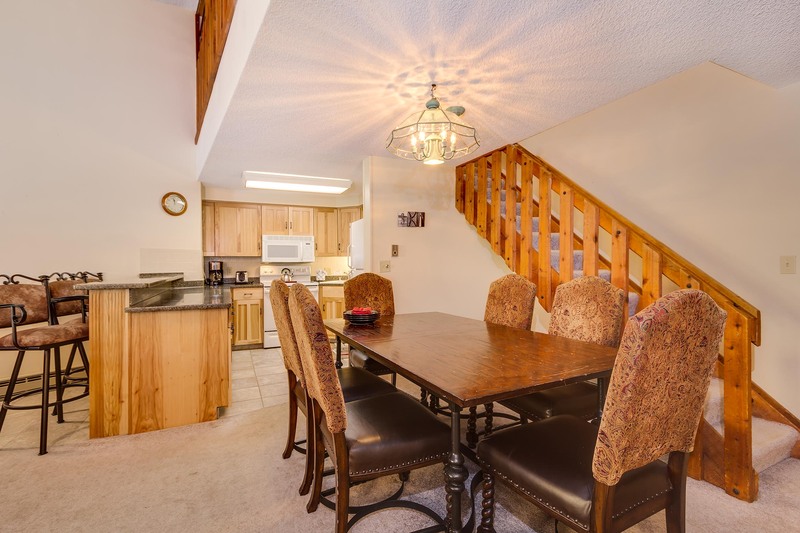 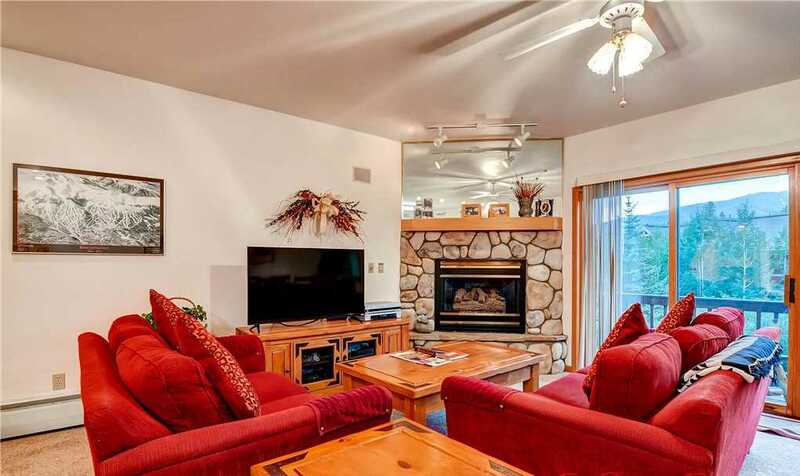 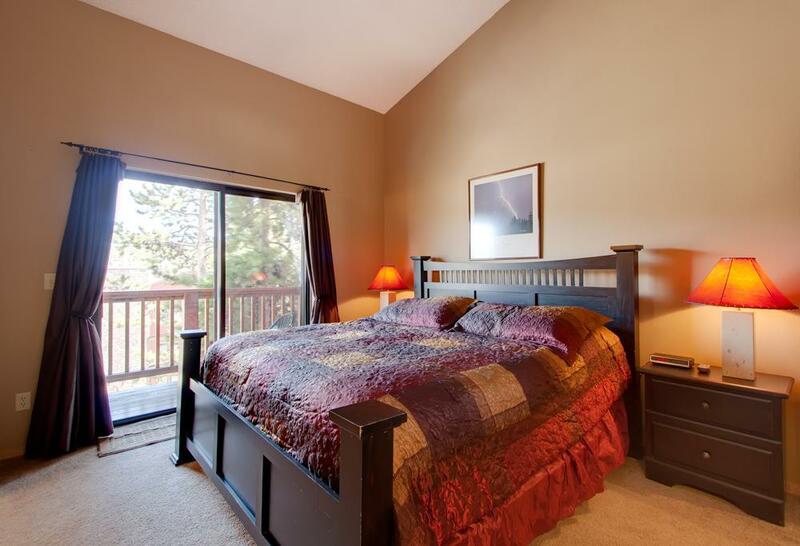 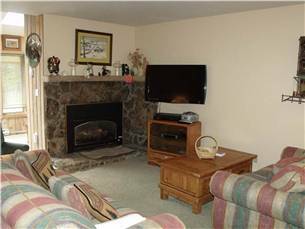 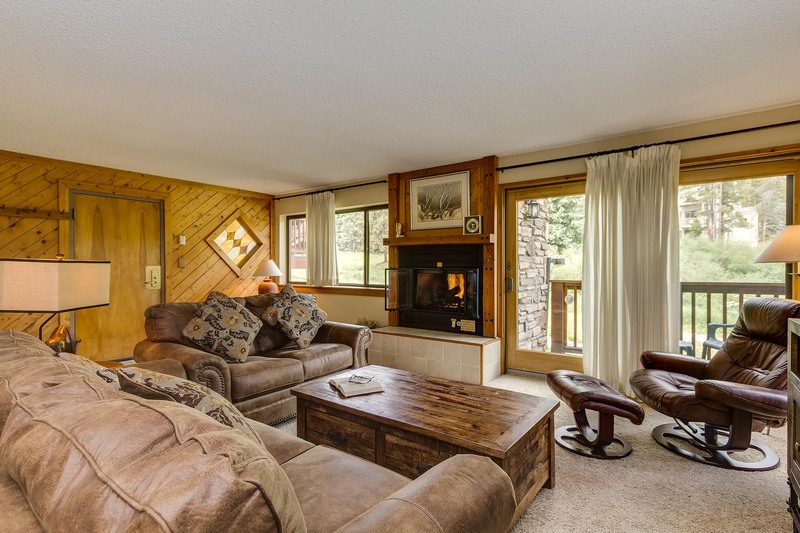 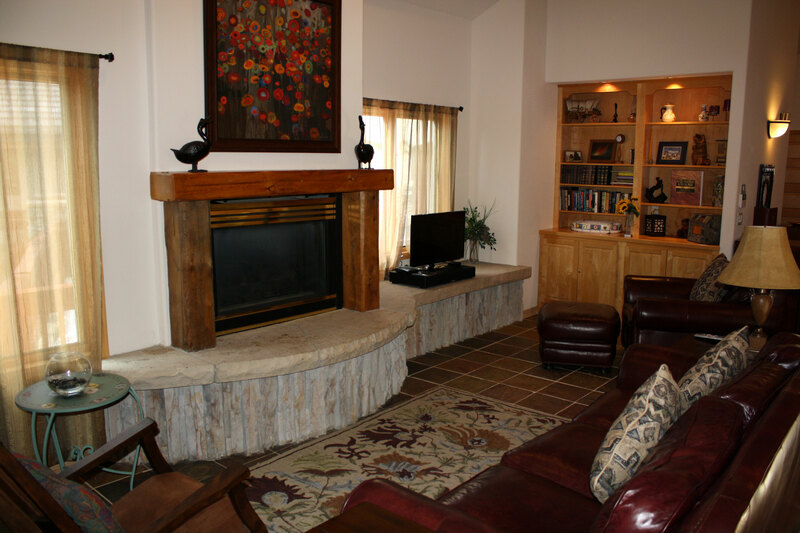 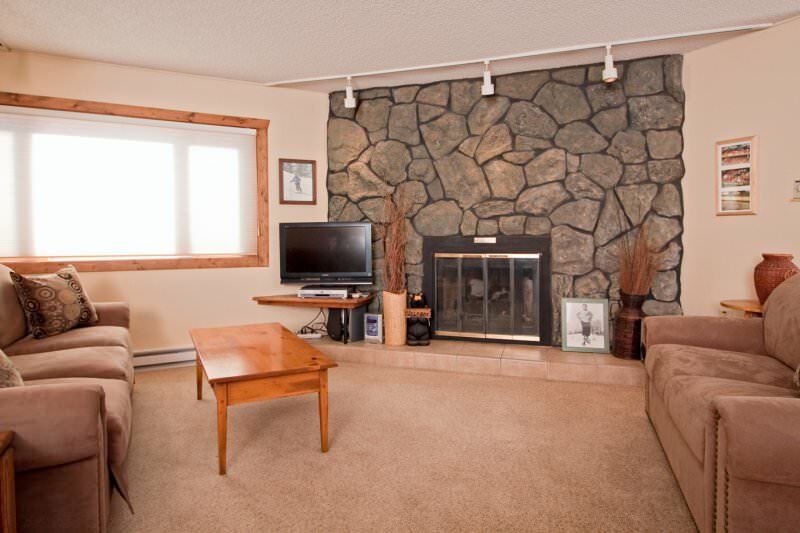 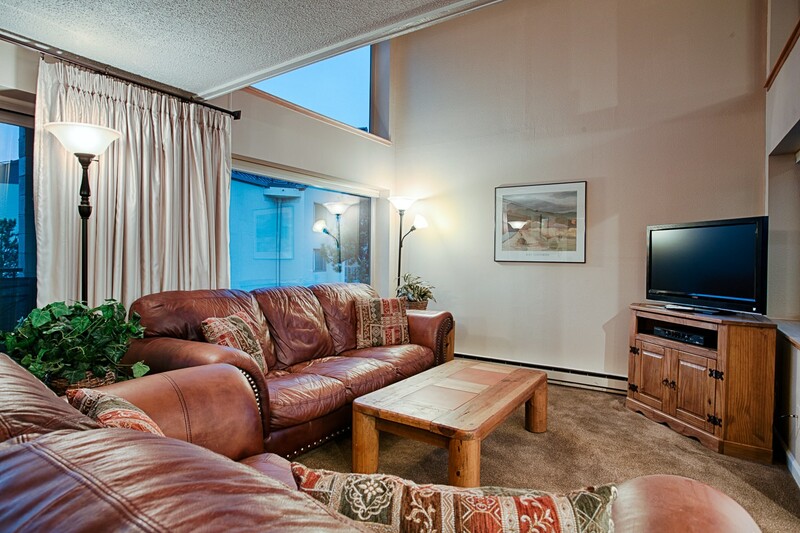 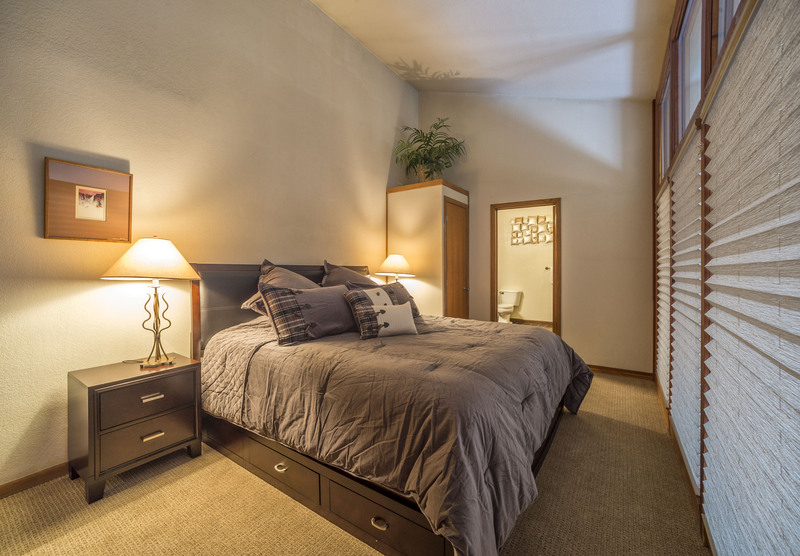 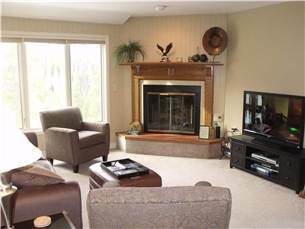 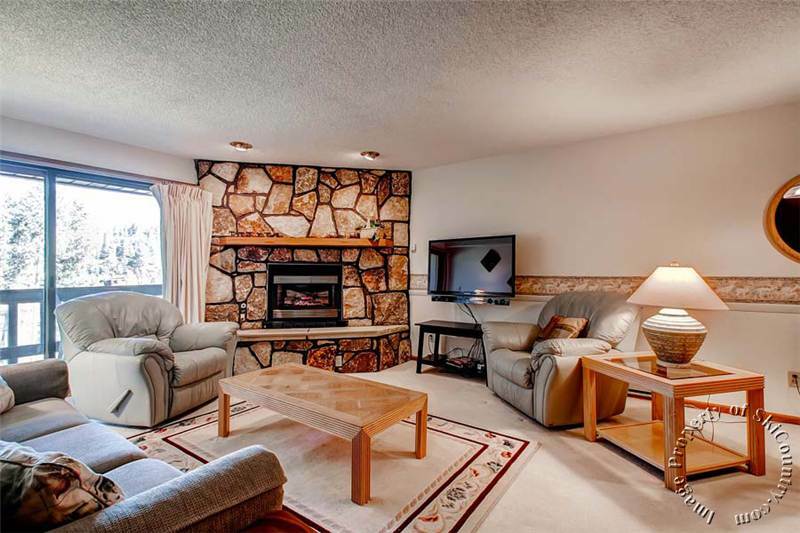 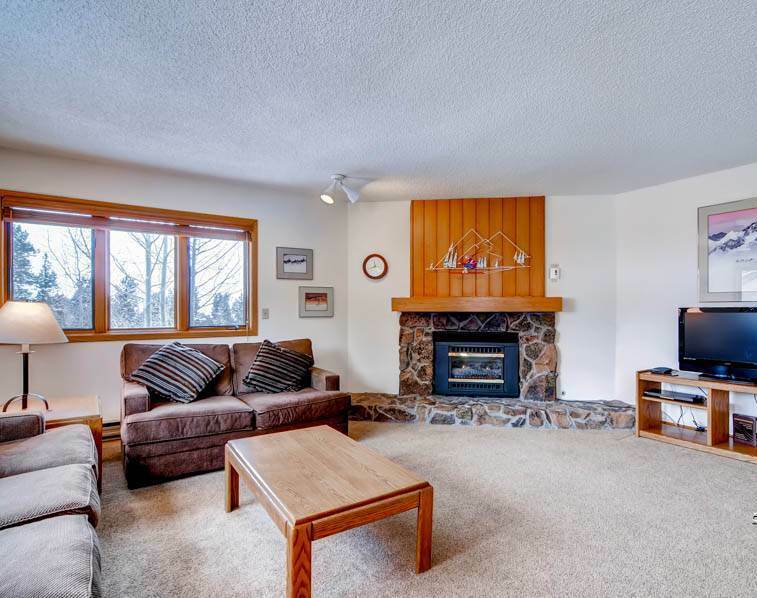 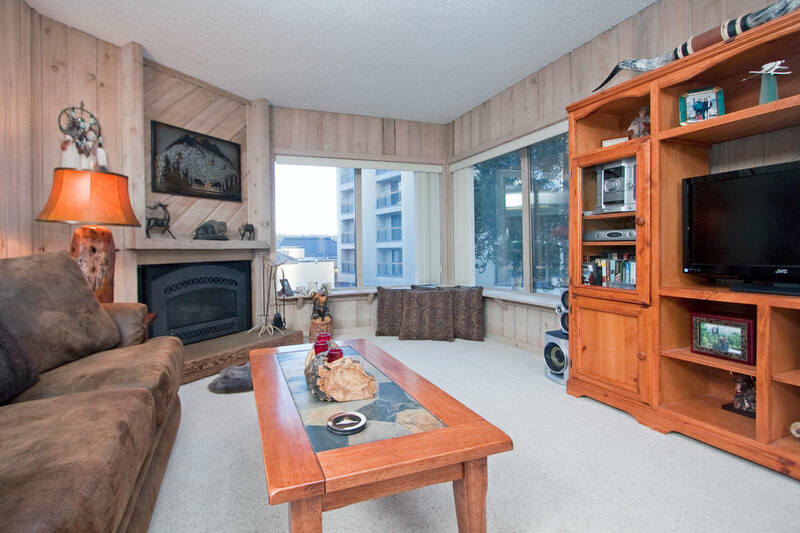 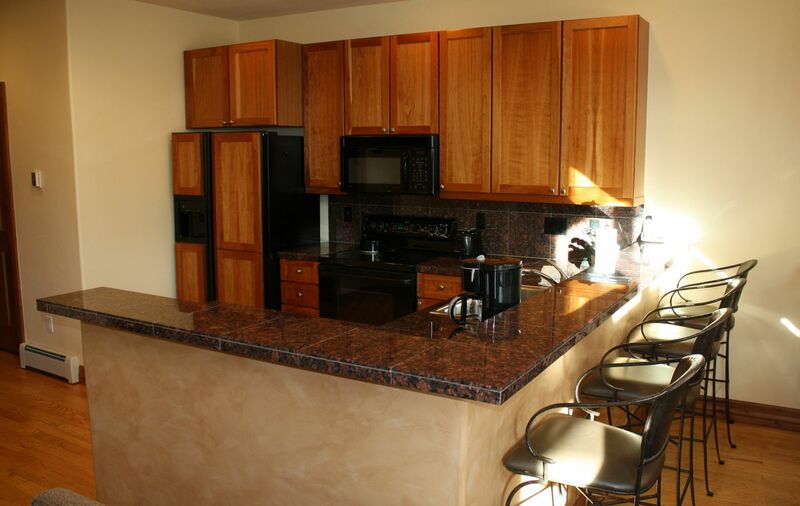 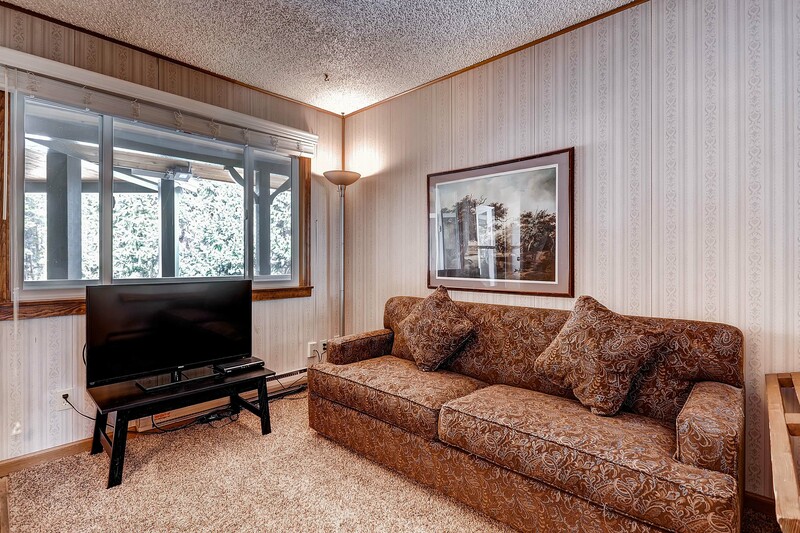 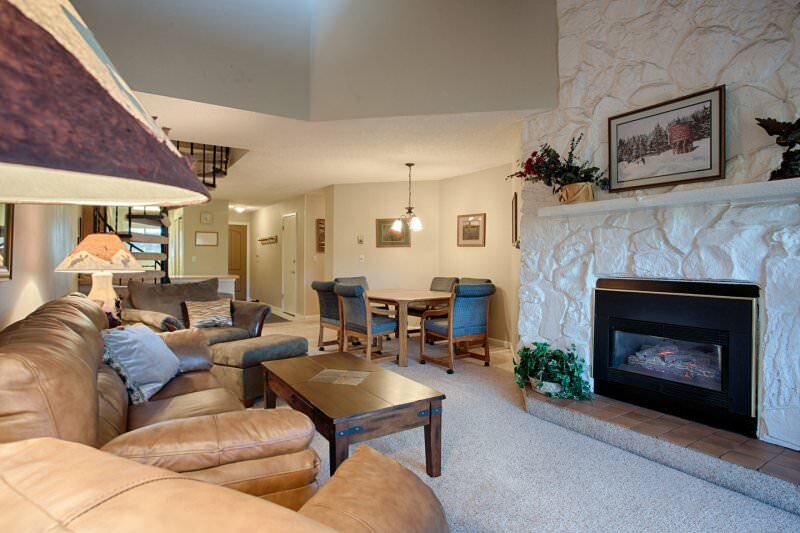 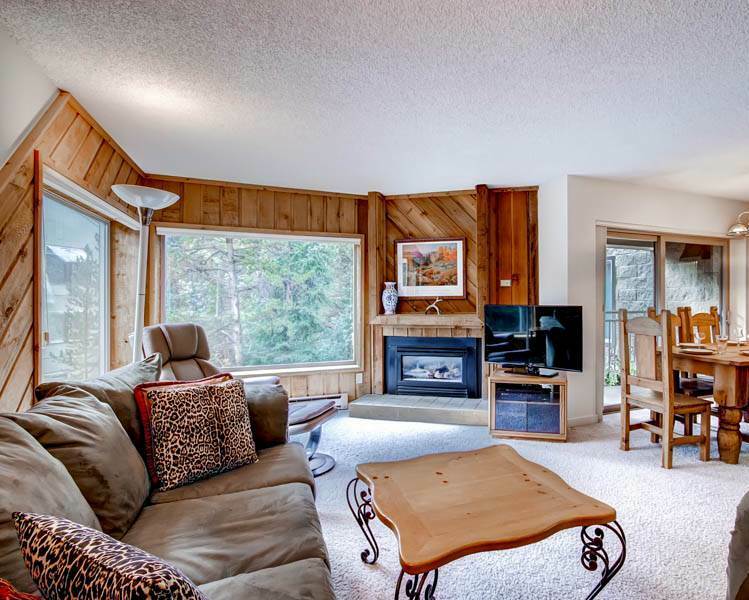 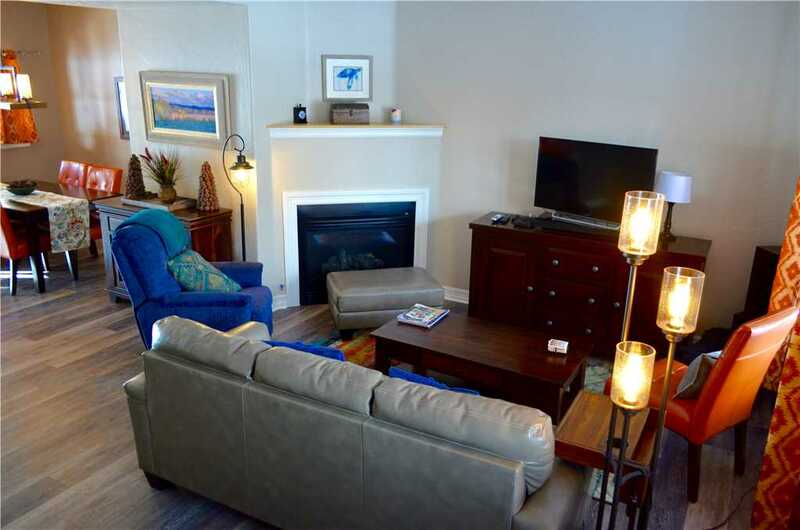 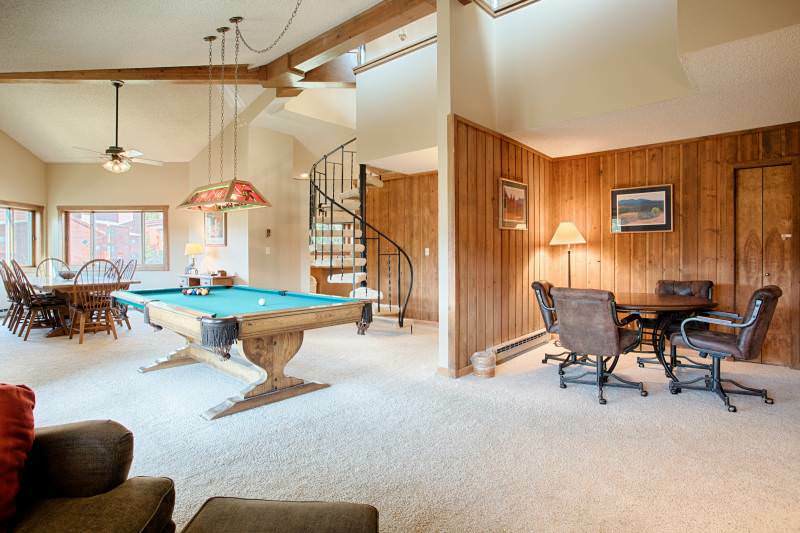 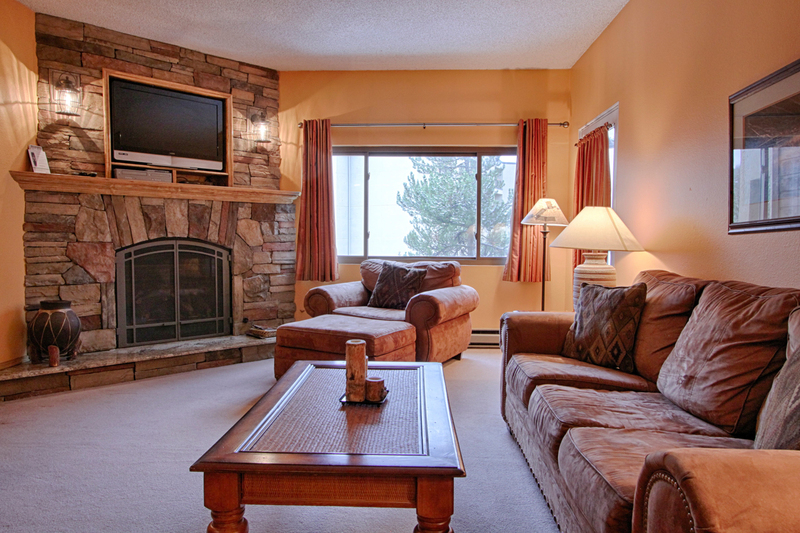 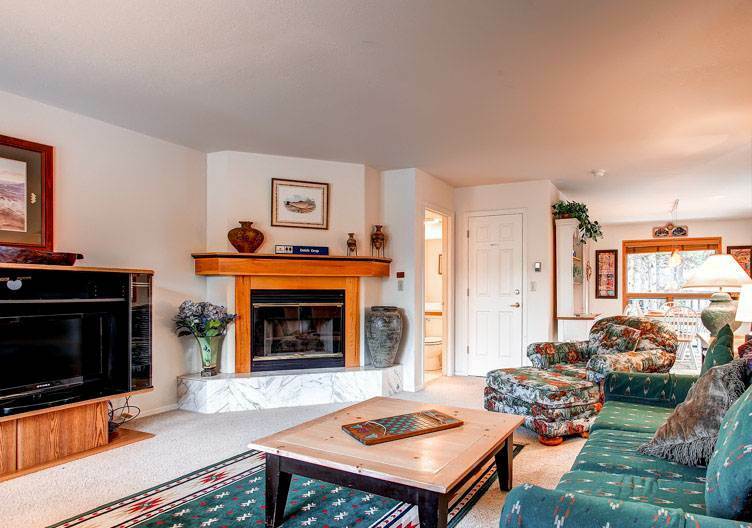 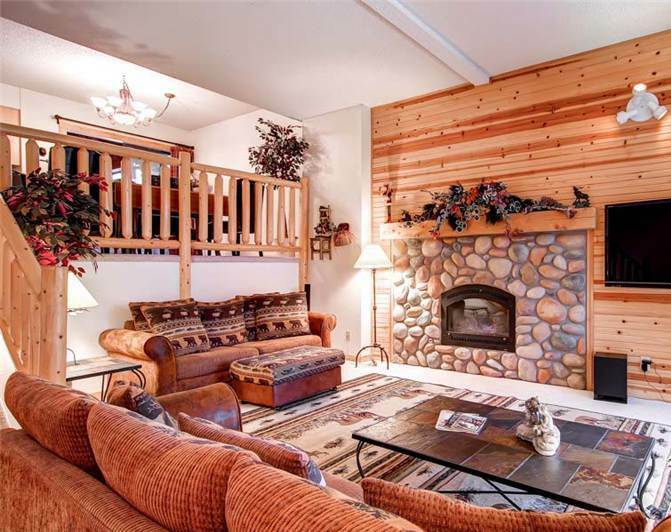 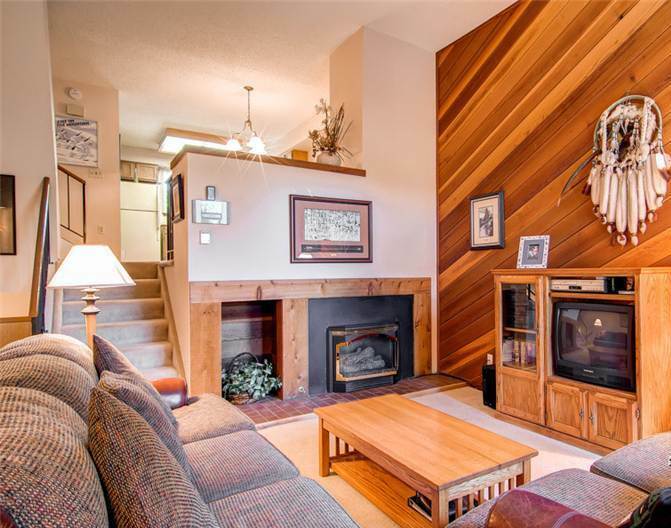 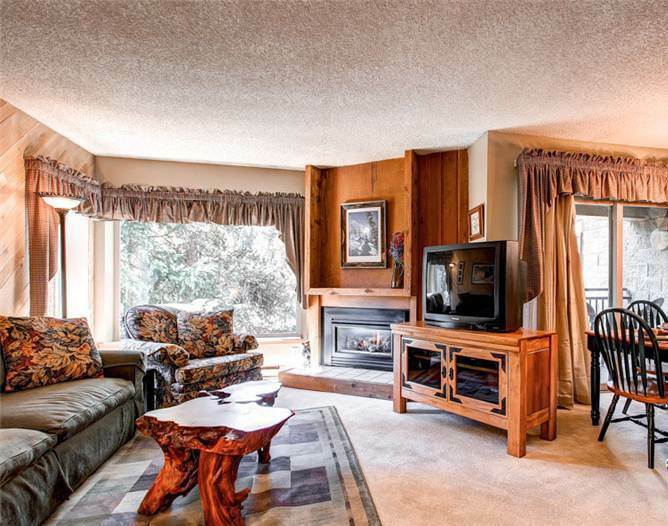 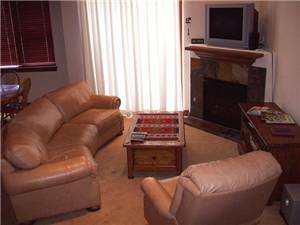 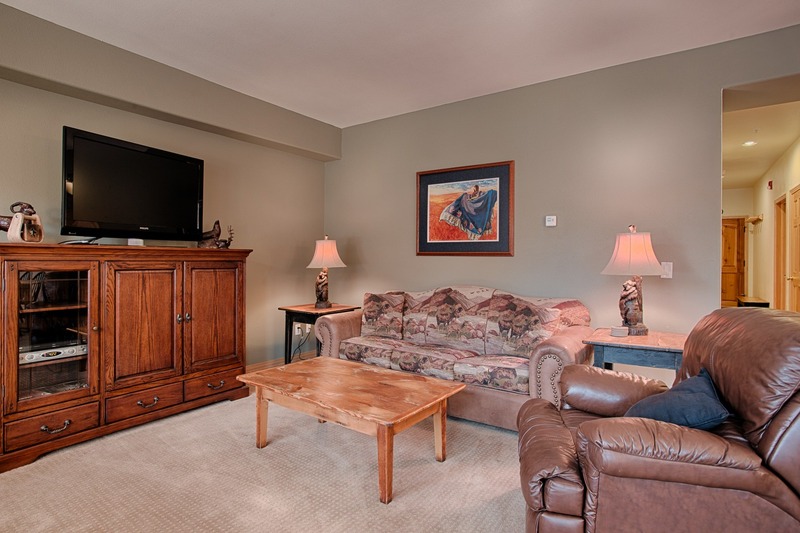 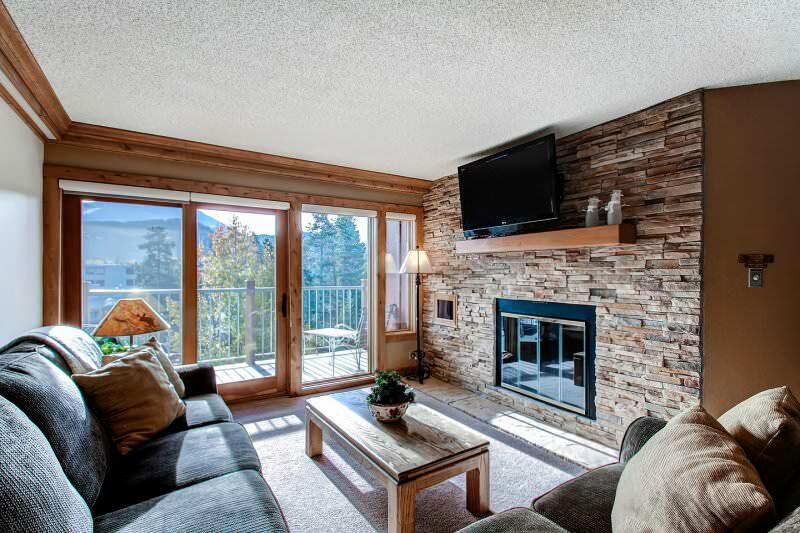 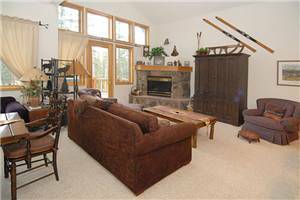 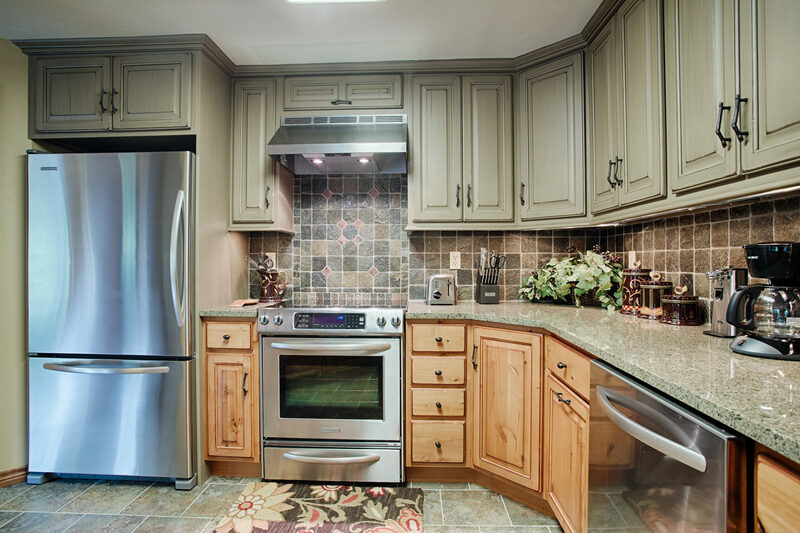 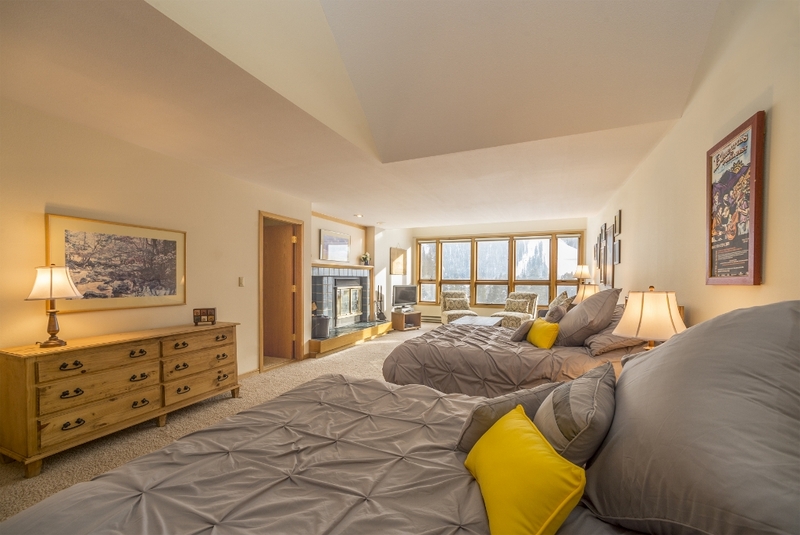 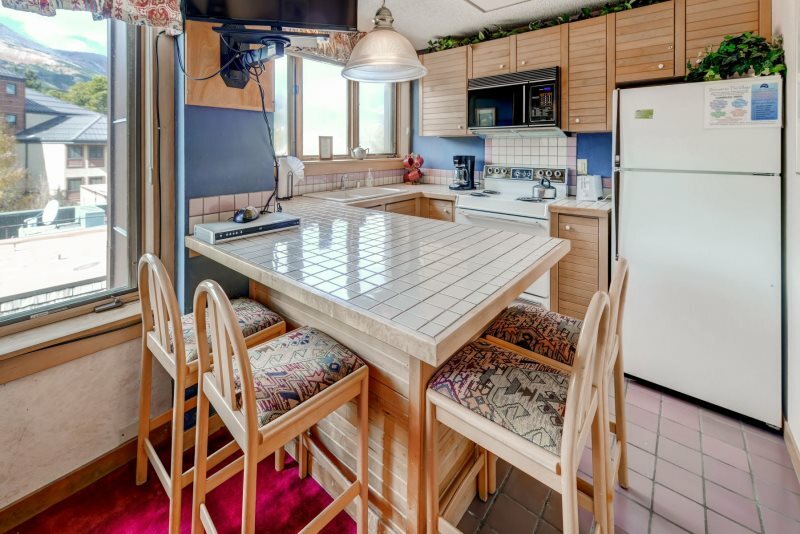 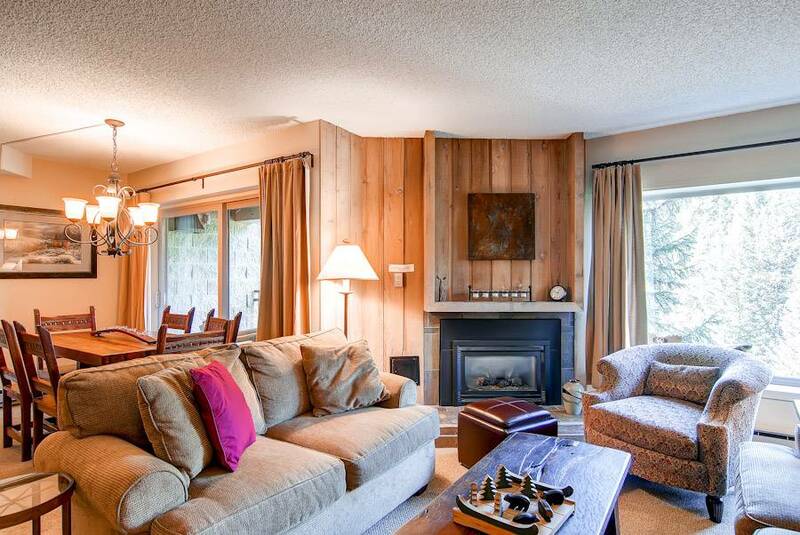 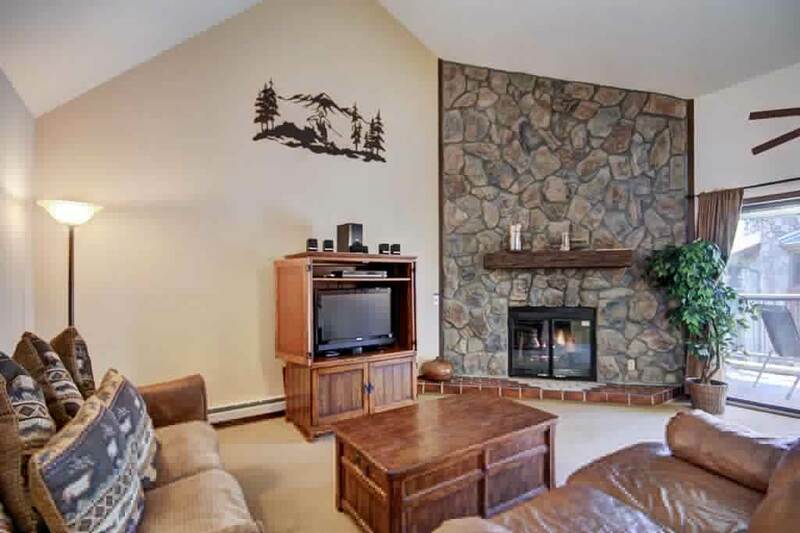 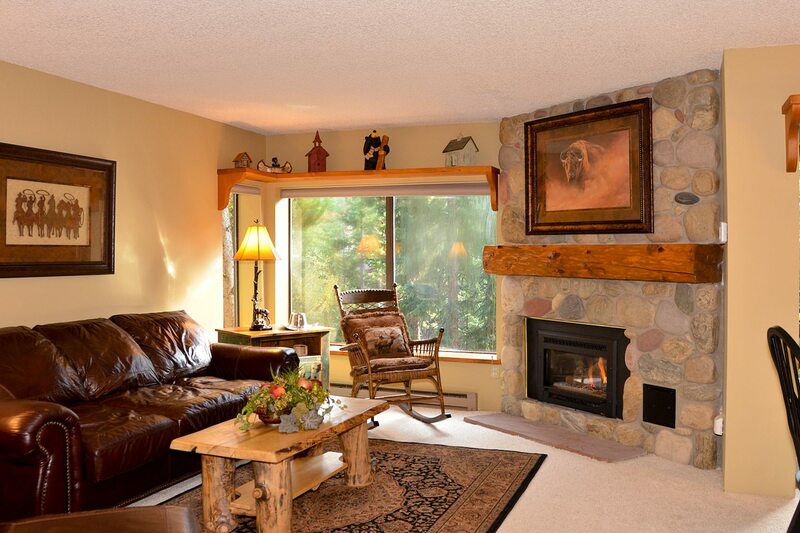 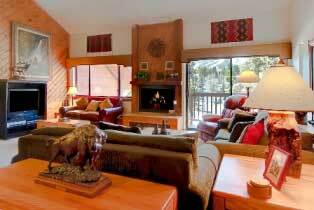 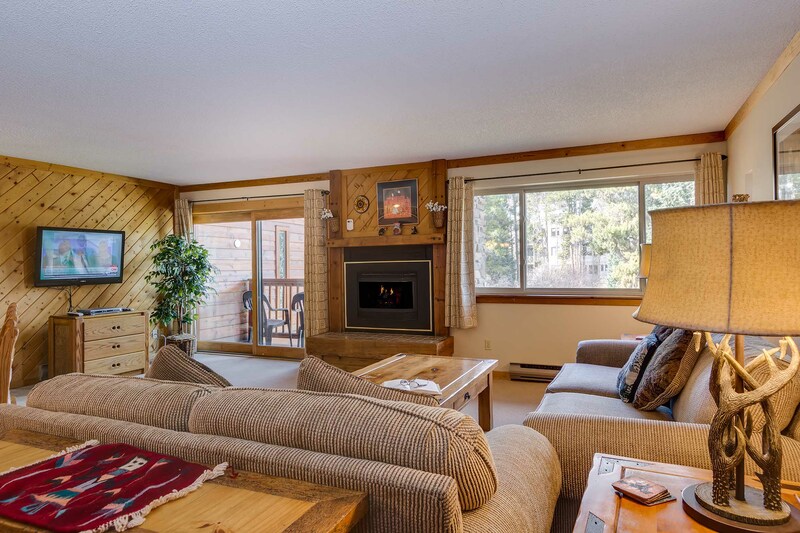 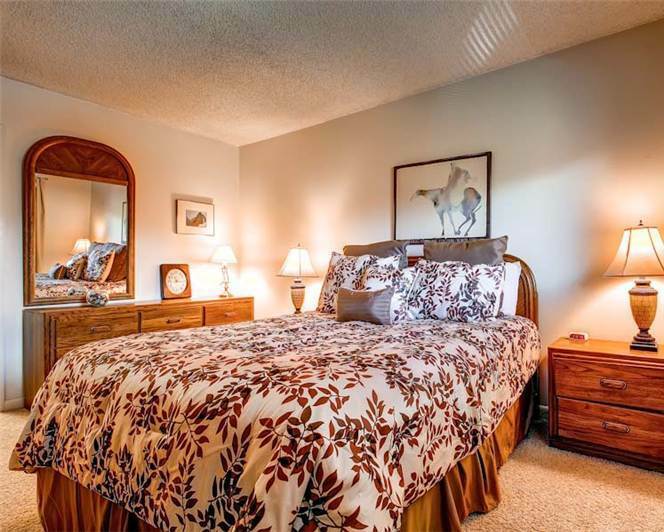 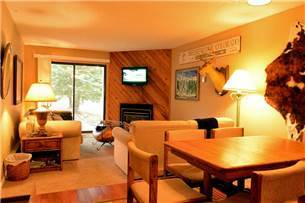 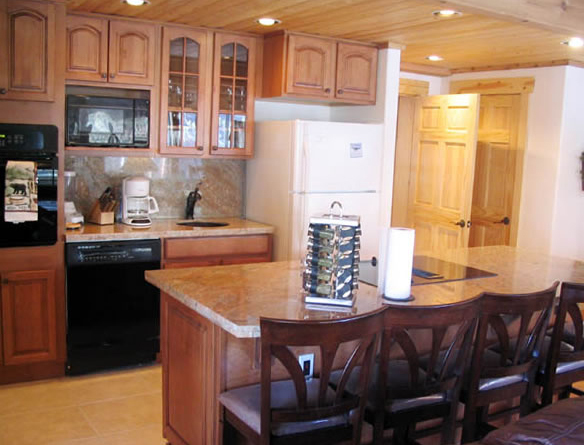 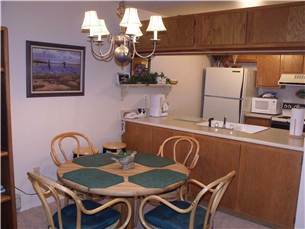 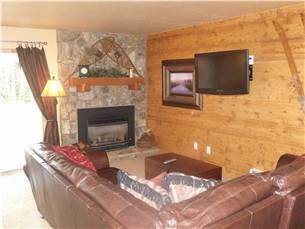 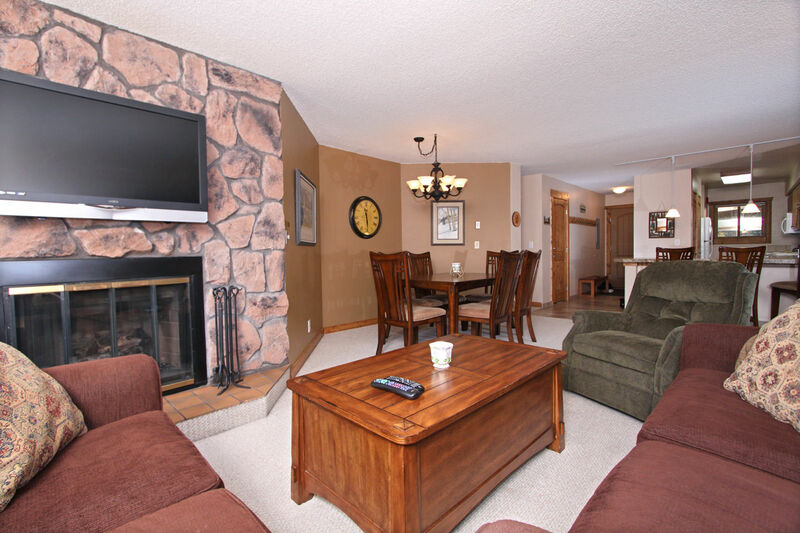 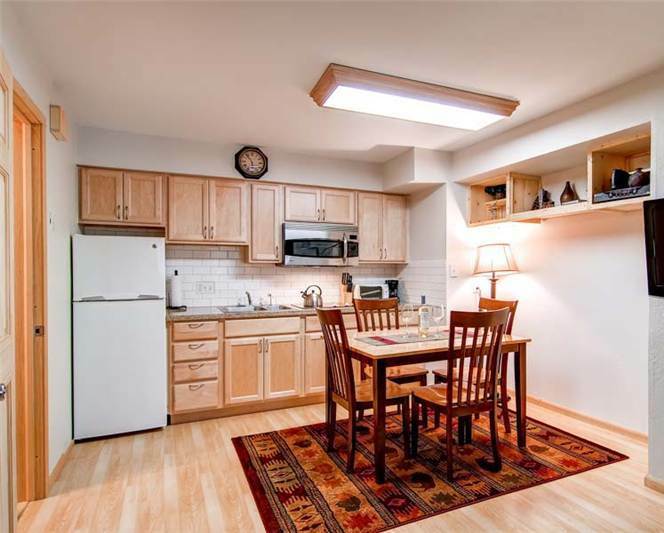 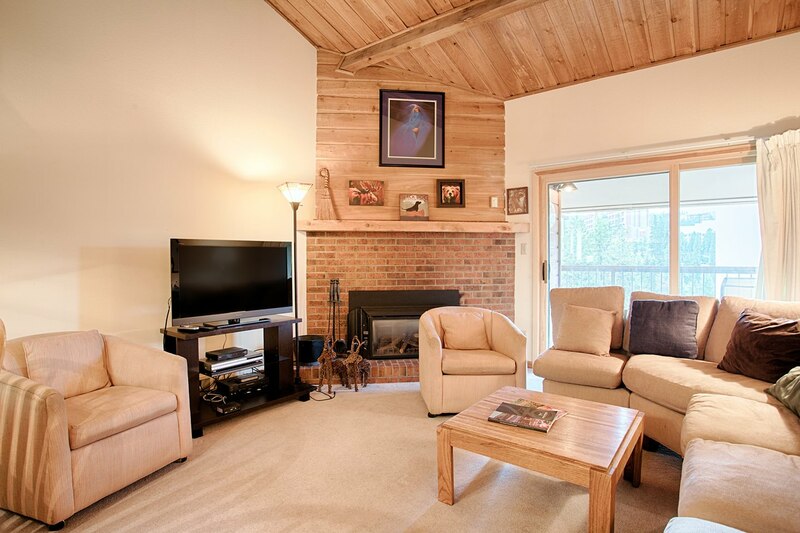 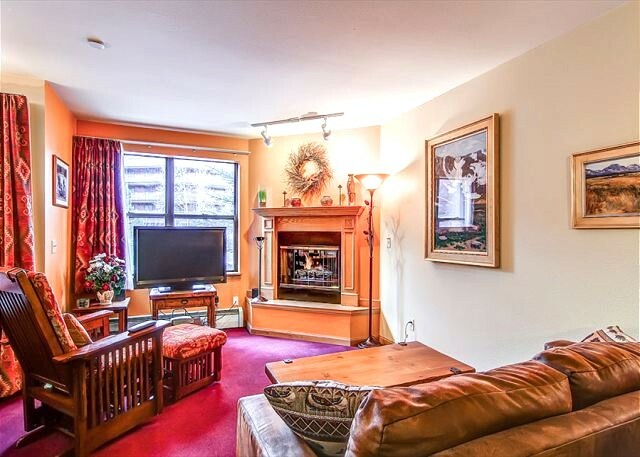 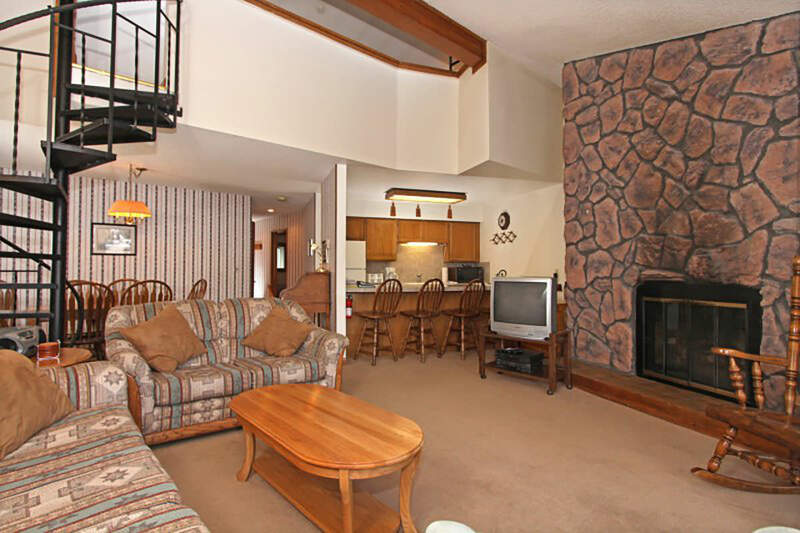 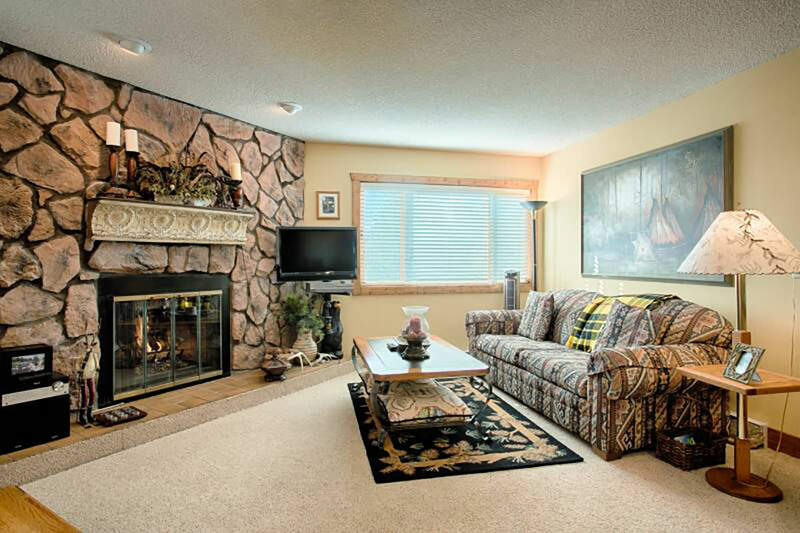 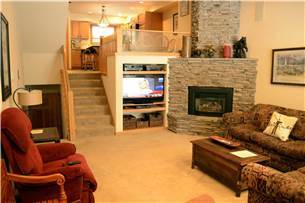 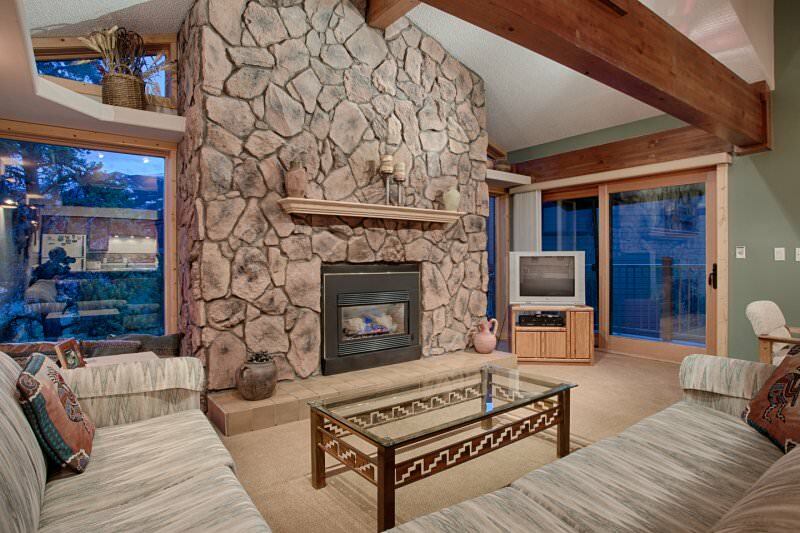 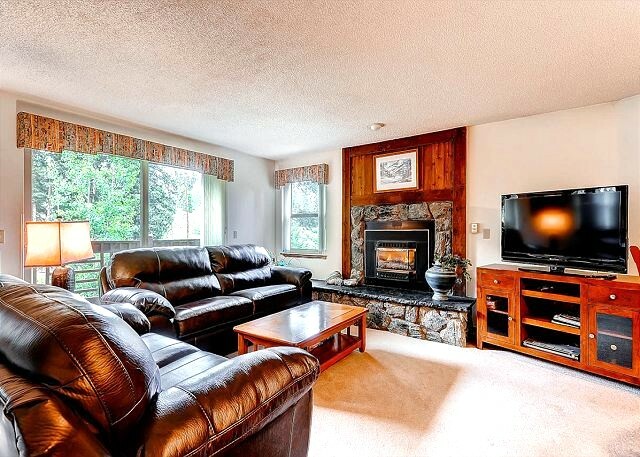 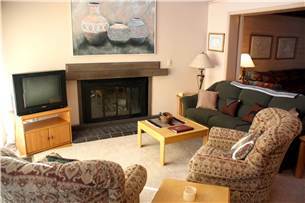 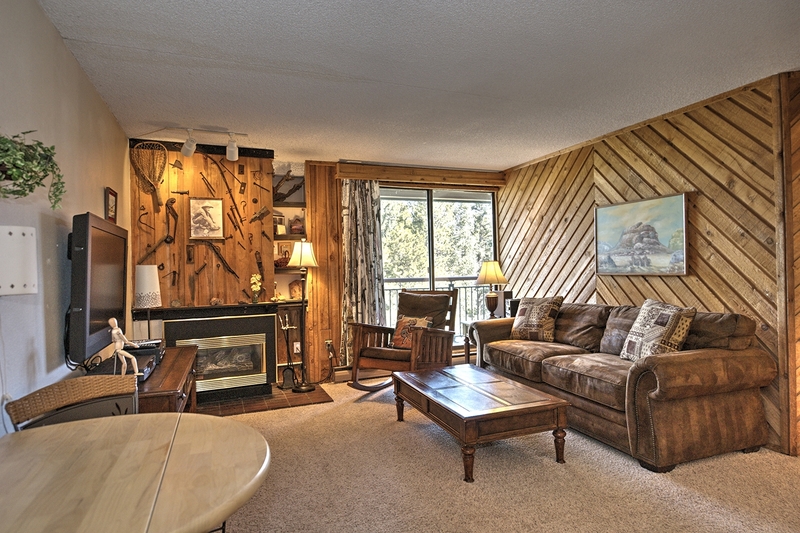 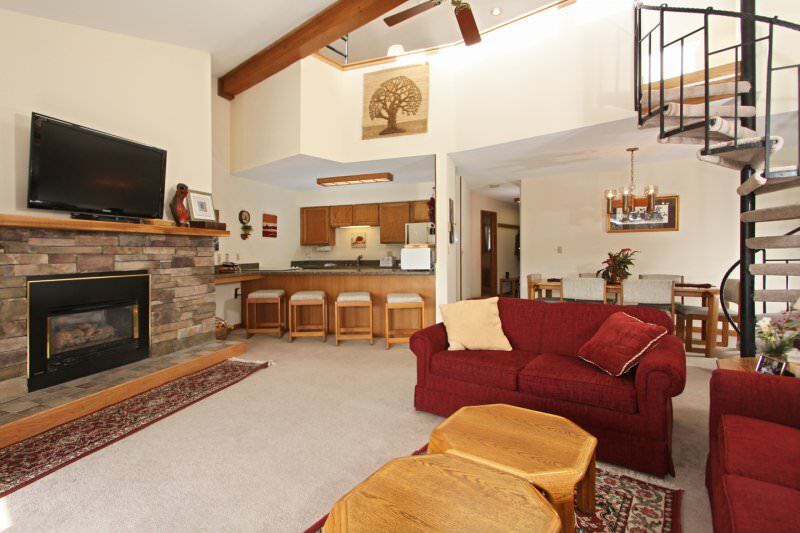 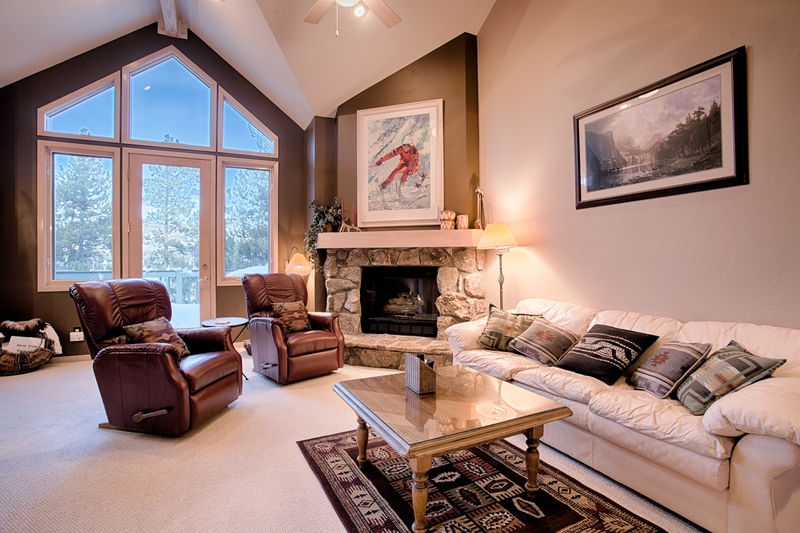 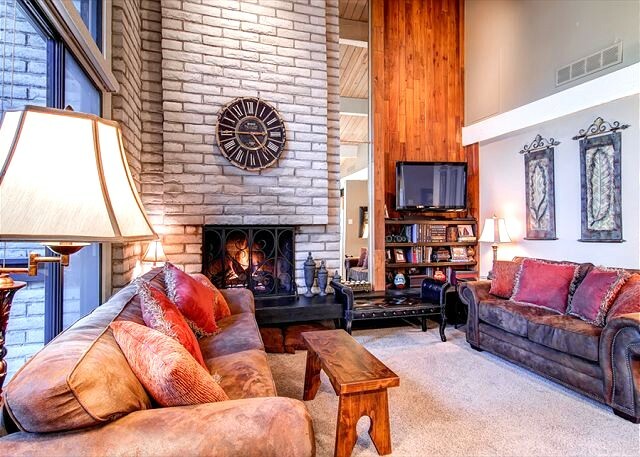 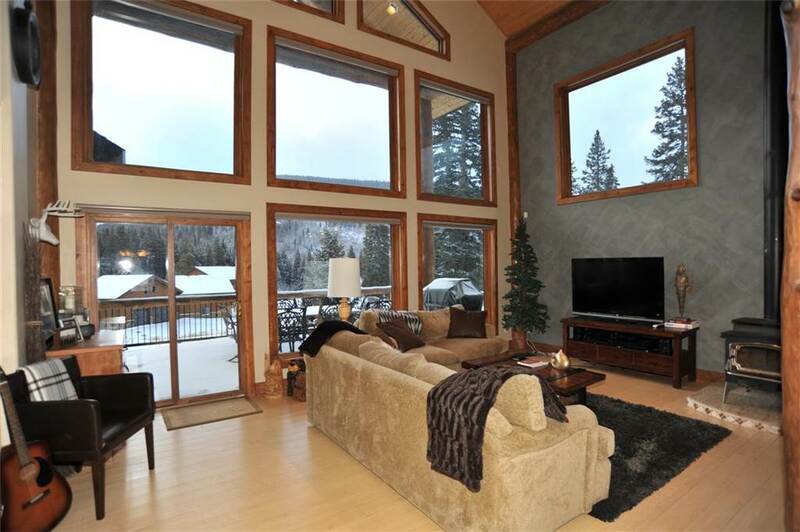 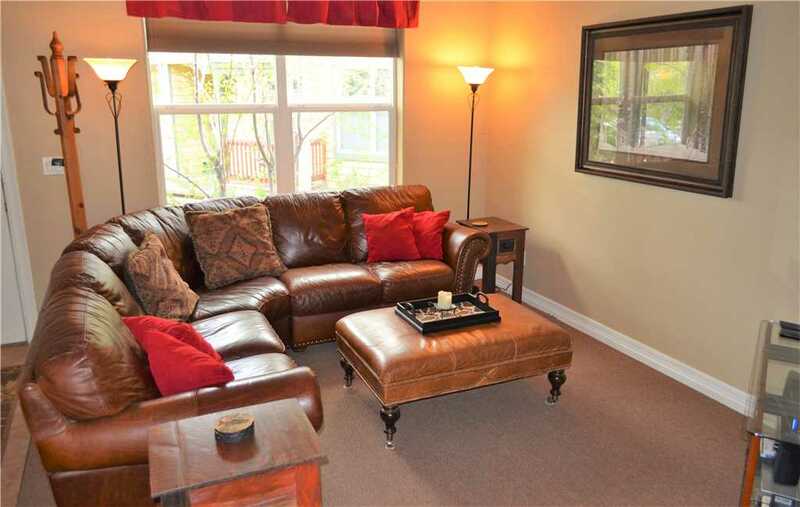 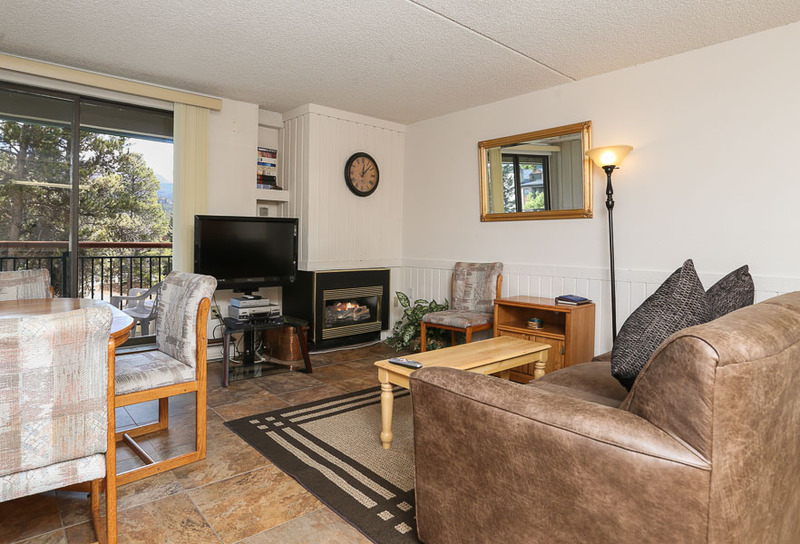 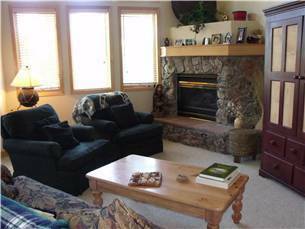 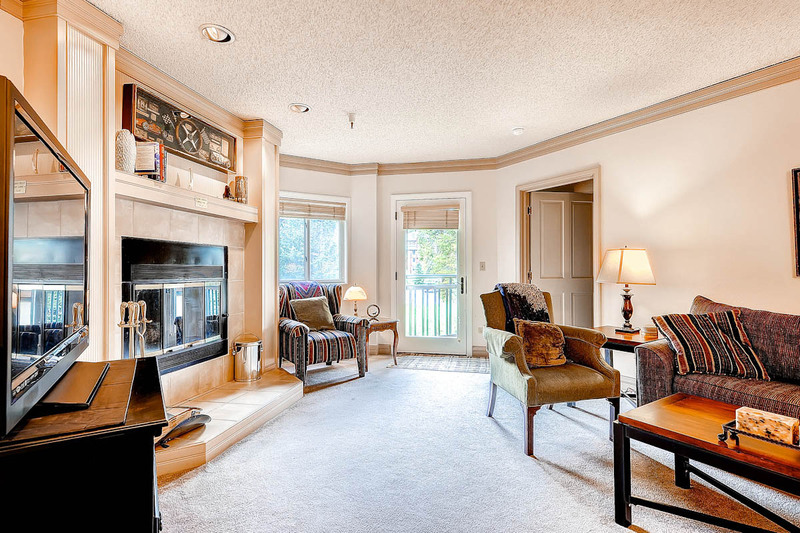 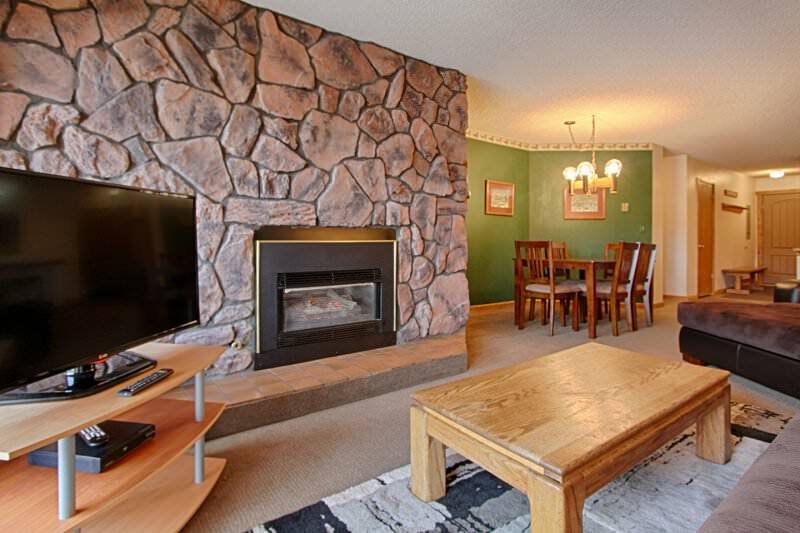 AMENITIES – This 3 bedroom home provides guests with excellent amenities throughout. 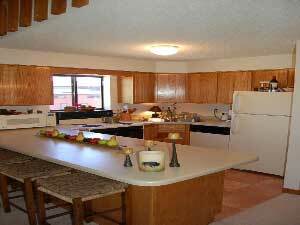 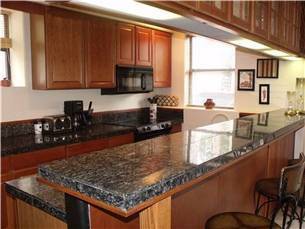 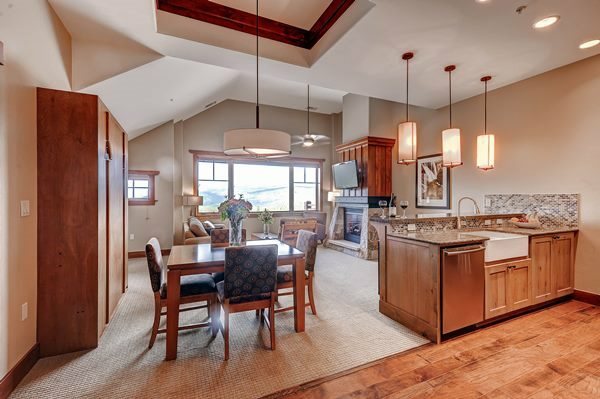 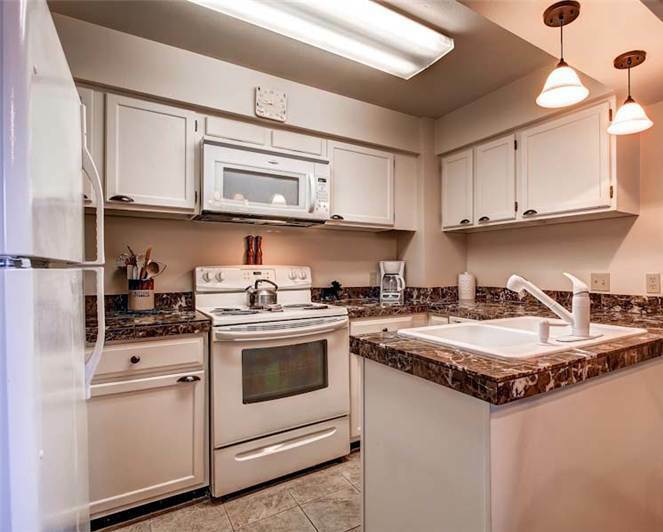 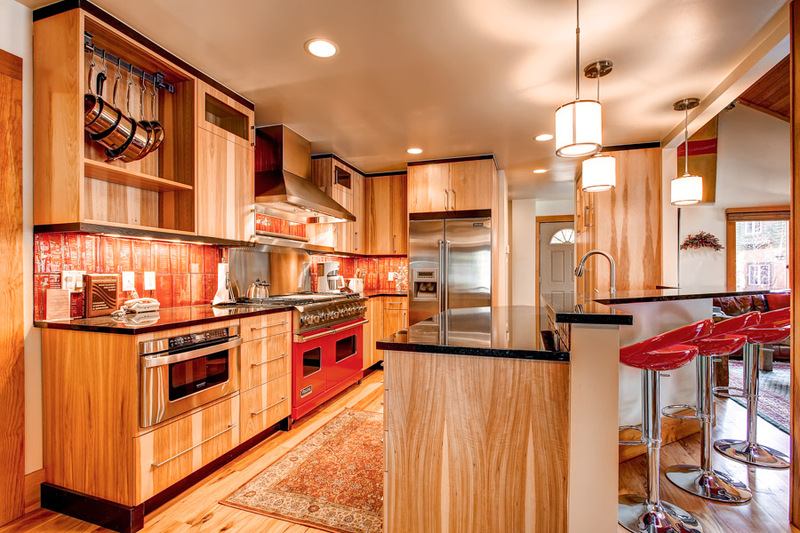 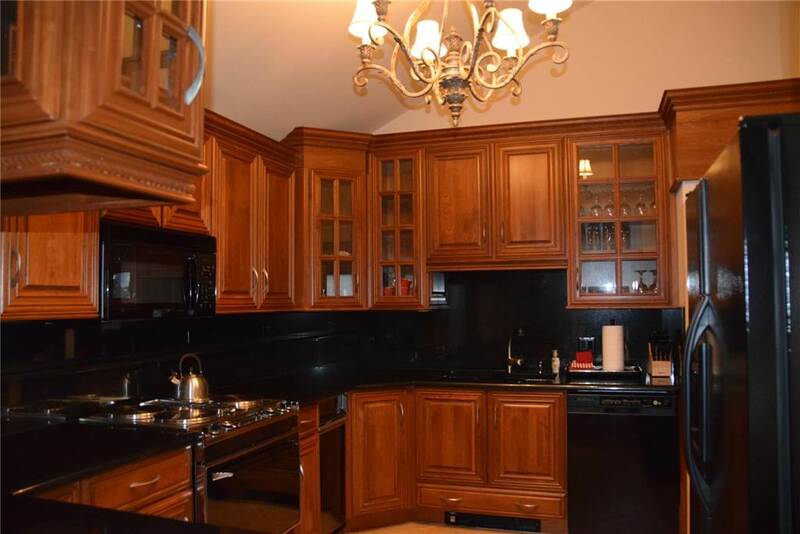 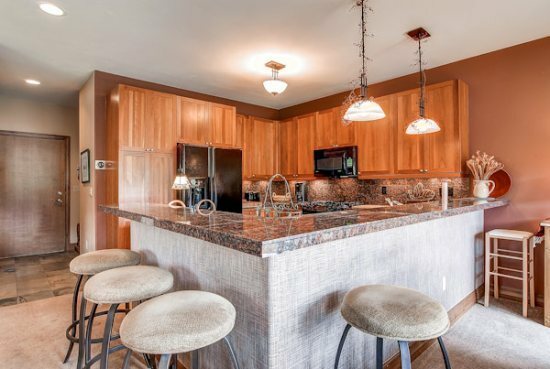 The chef of the group can prepare dinner in the kitchen while others can cozy up to the fireplace or large flat screen TV in the living room close by. 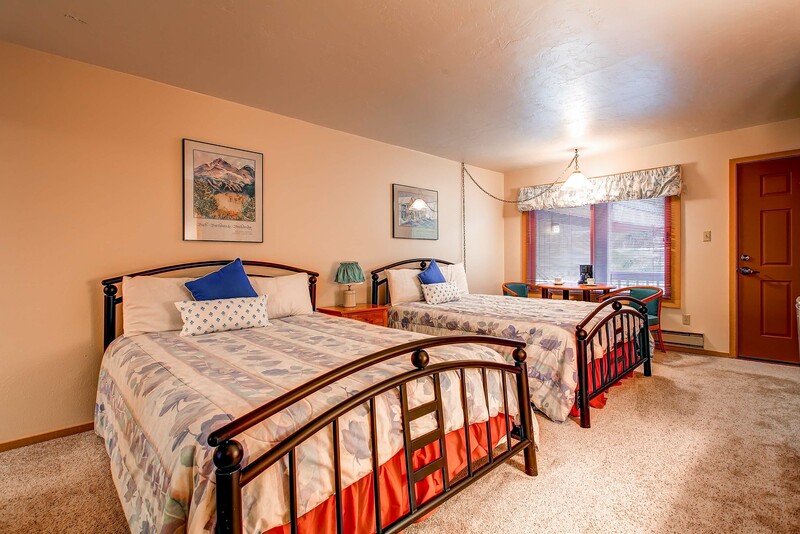 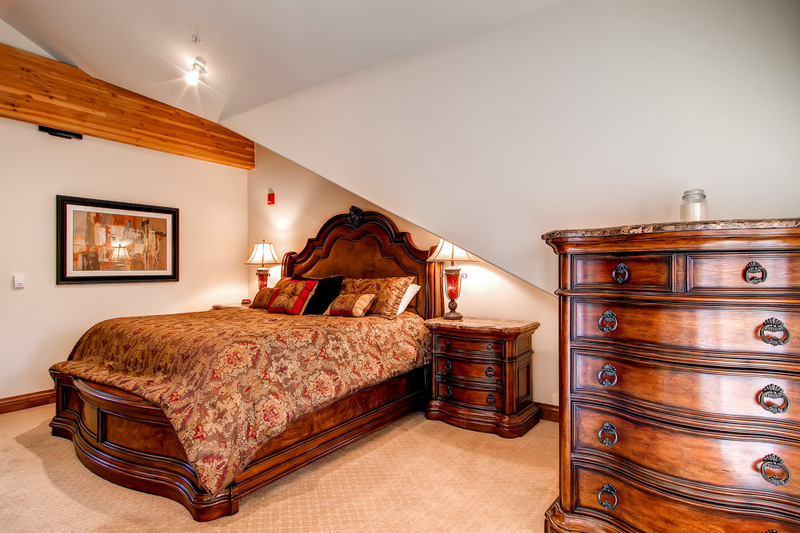 There is plenty of privacy in the lower level bedroom where you can relax and watch a movie on the flat screen TV in the living area or get to bed early in the captain’s bunk and sleeper sofa. 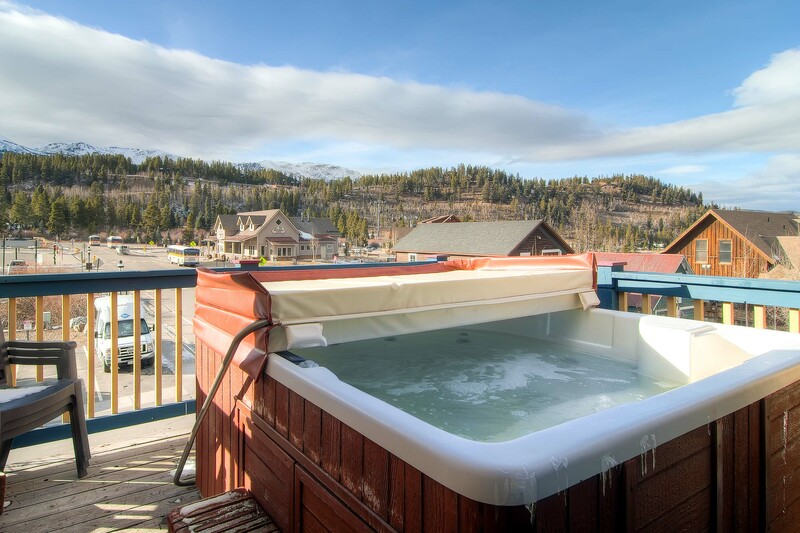 Guests can find relaxation in the private hot tub on the back patio while others can enjoy sledding at Carter Park only a block away.